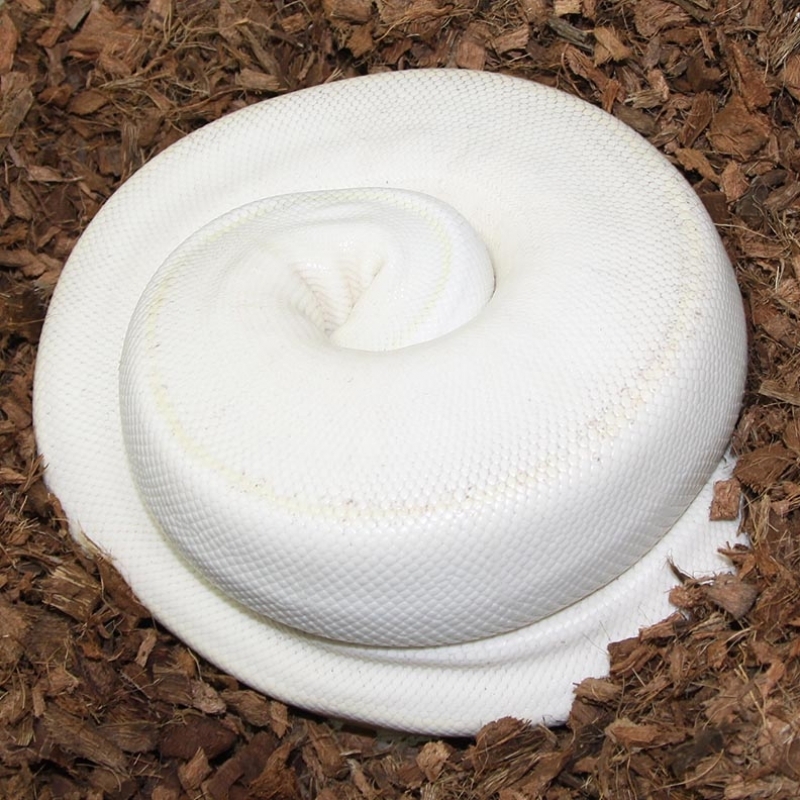 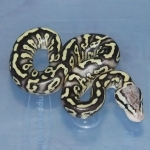 Description: Gold Stripe PH Pied 4/13 x PG 1/07. 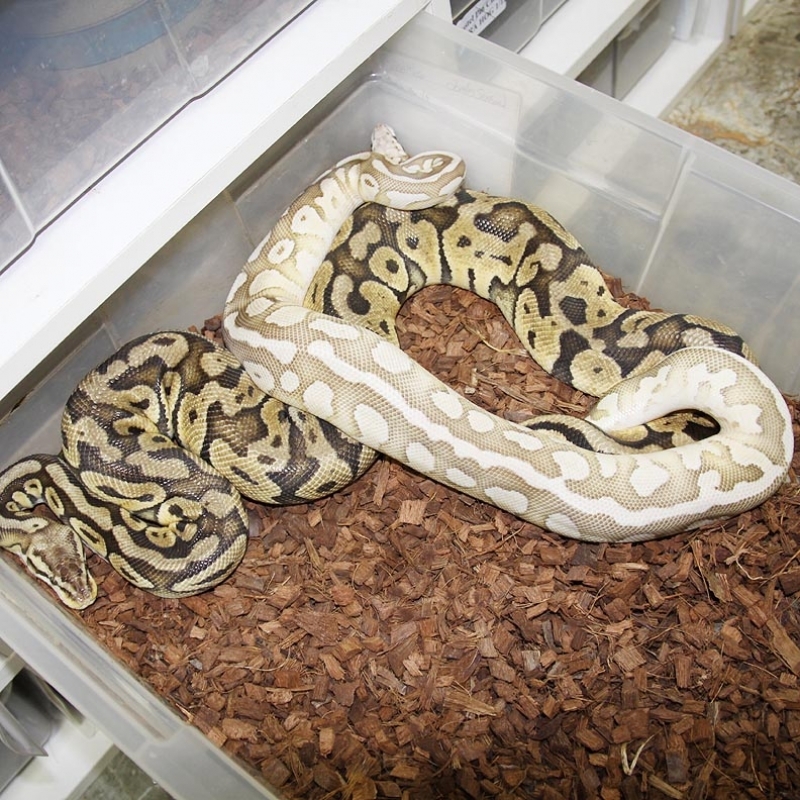 Description: Lesser Ivory 3/12 x HY Lesser PHOG 1/10. 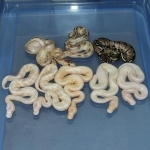 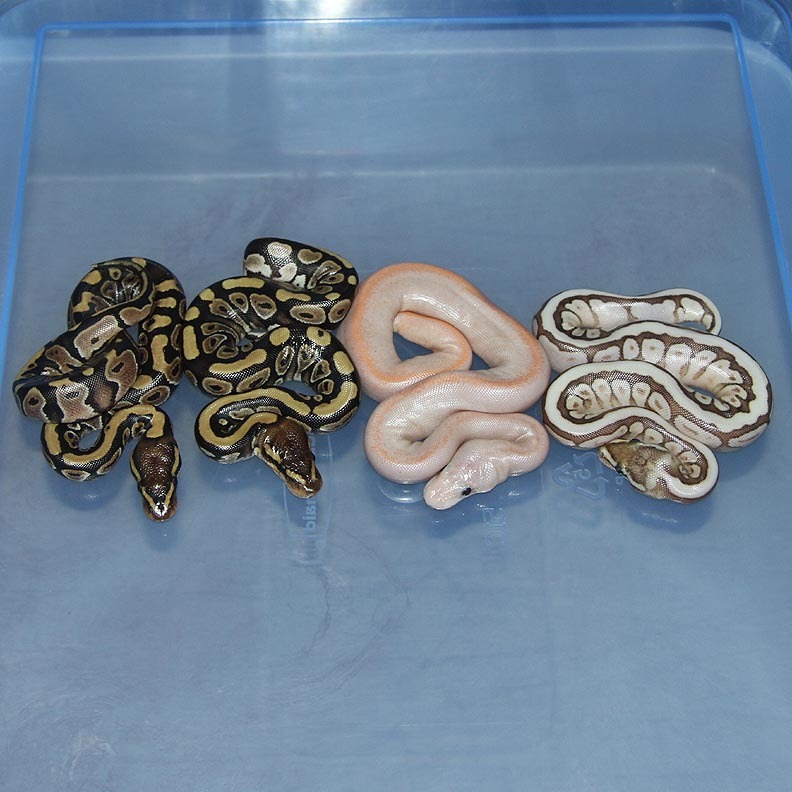 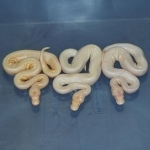 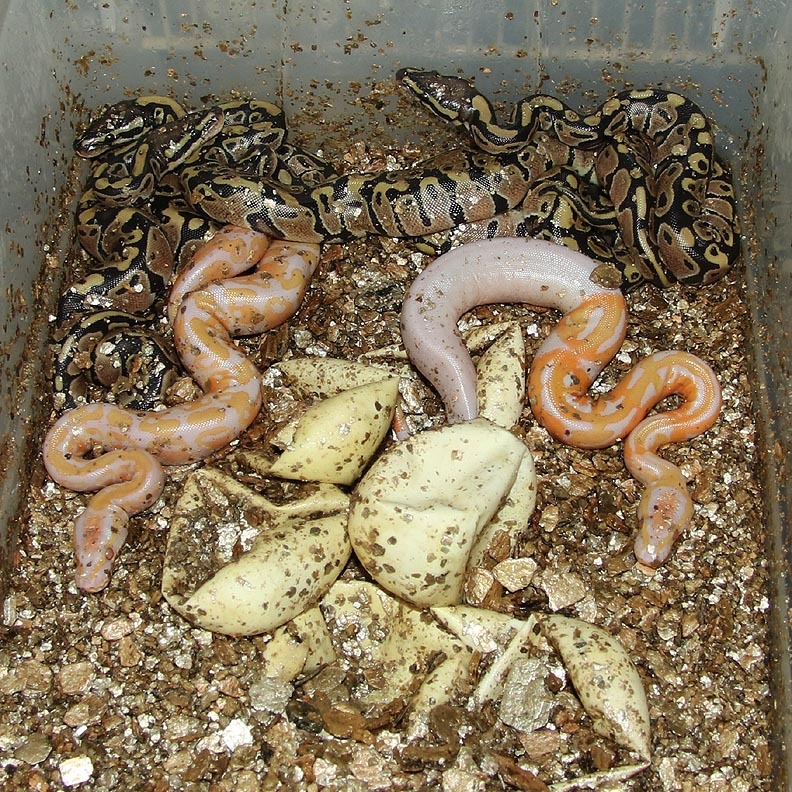 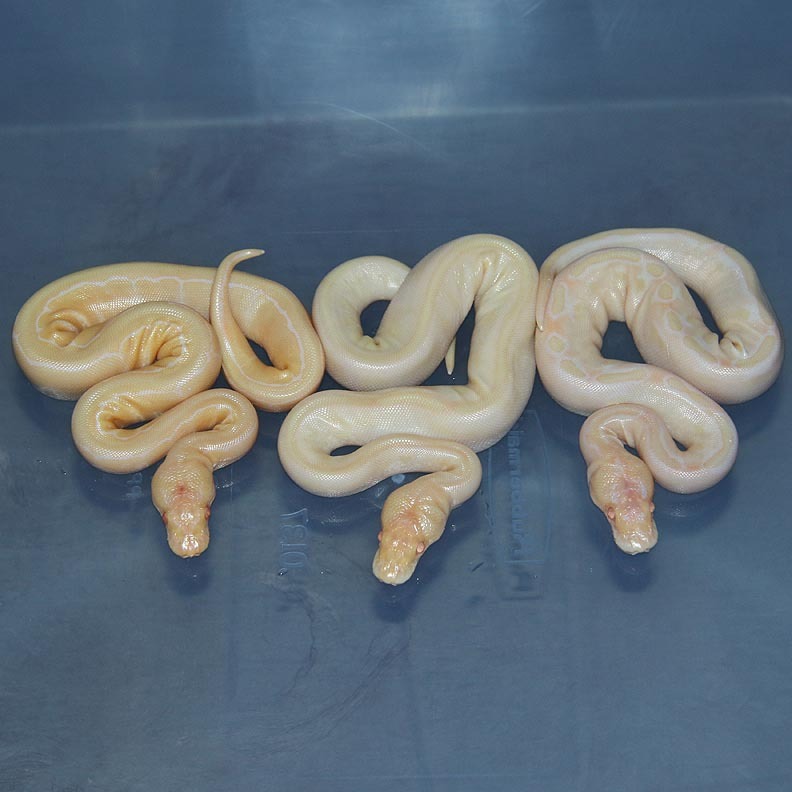 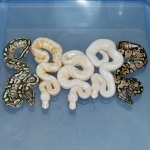 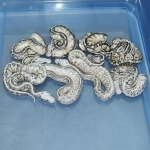 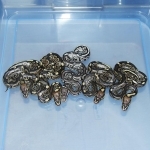 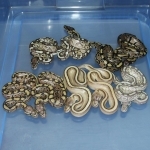 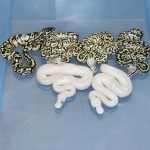 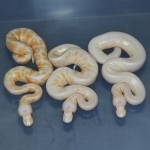 Description: Pastel Red Axanthic Banded 1/13 x Banded HRA 2/11. 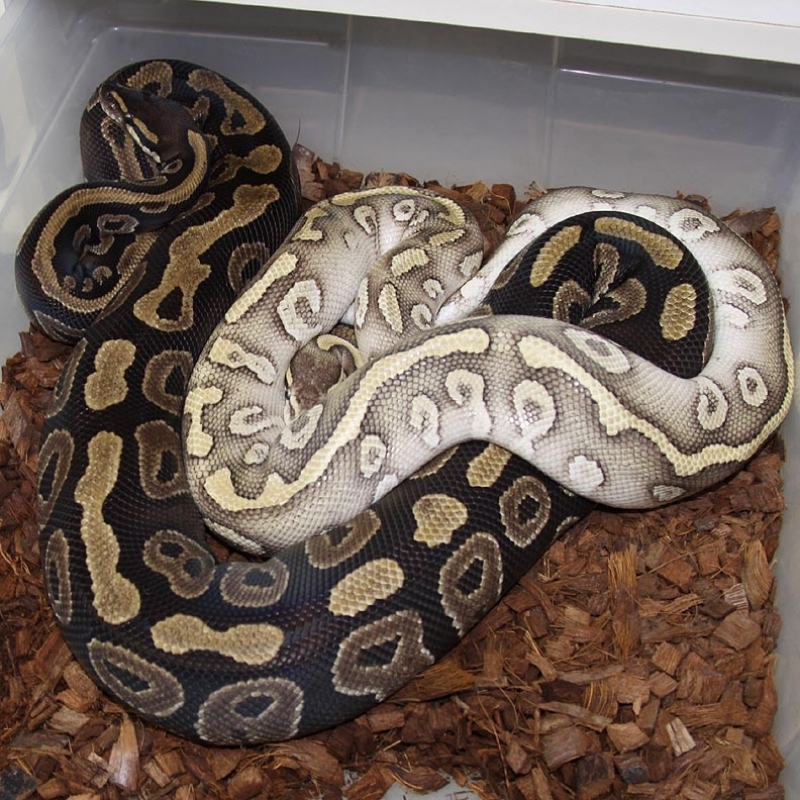 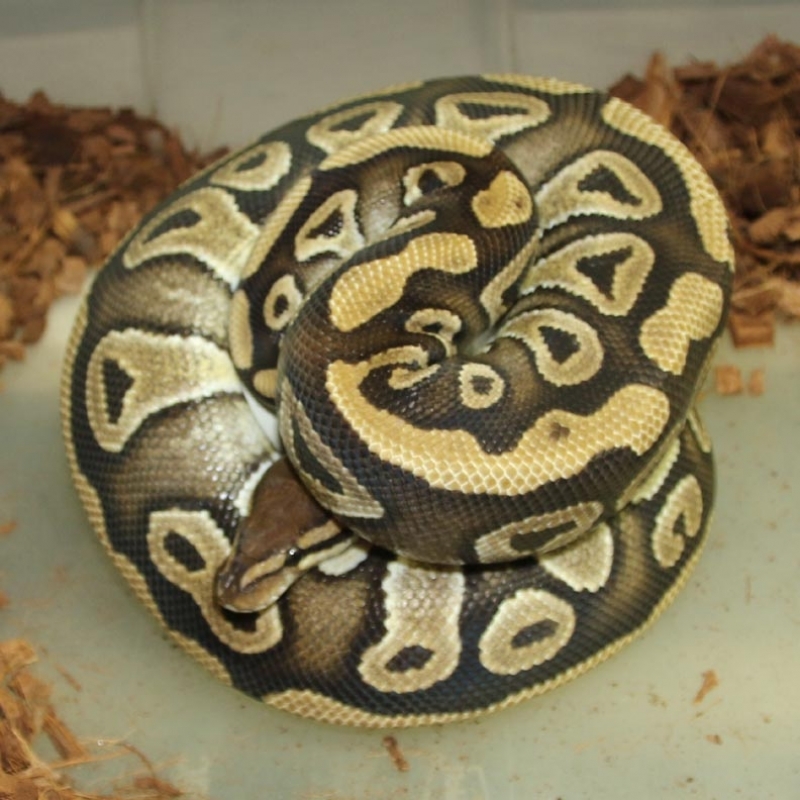 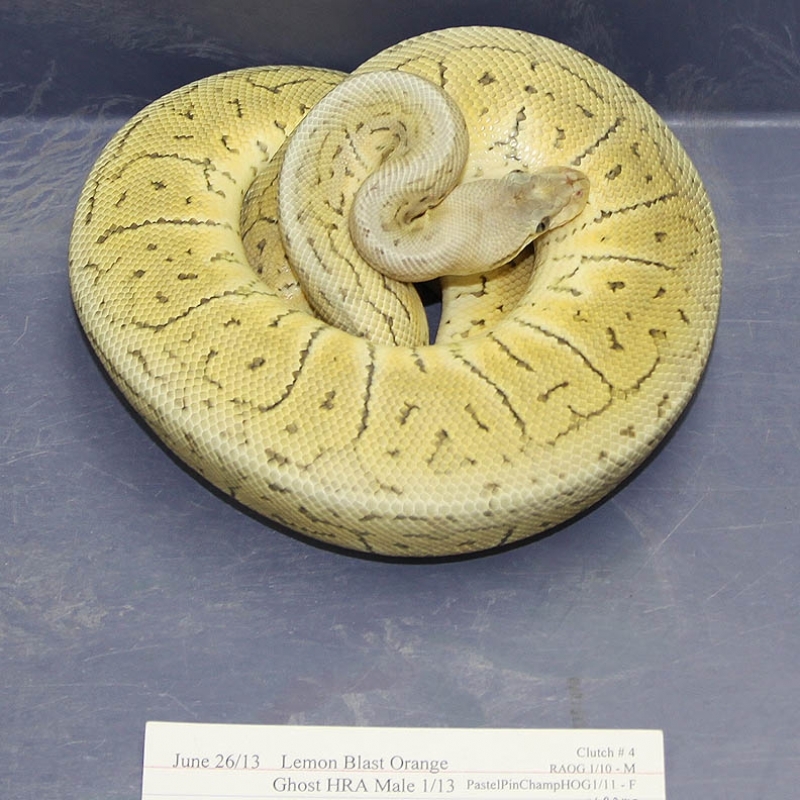 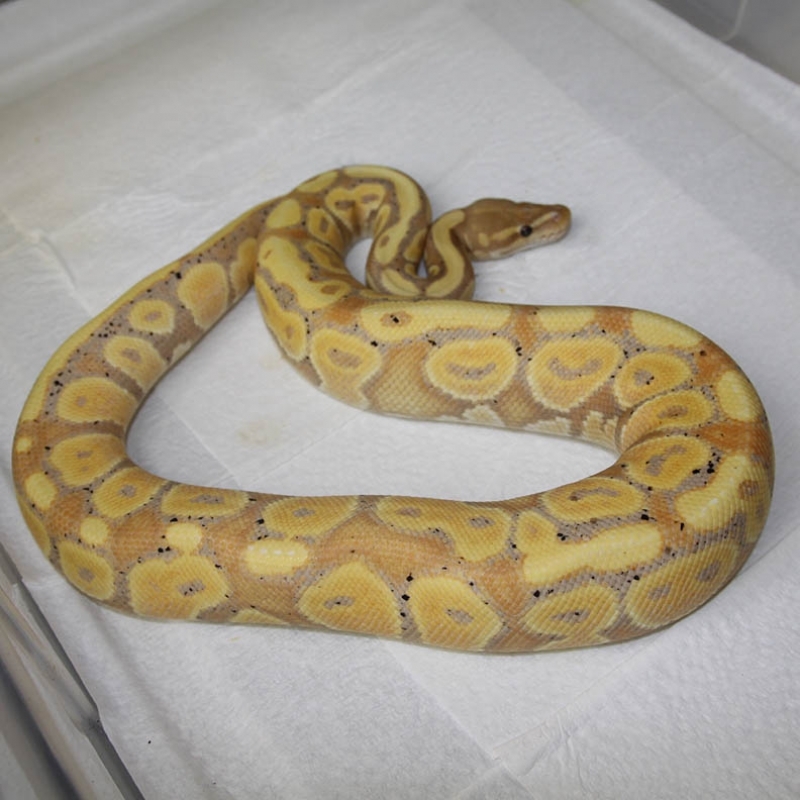 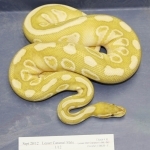 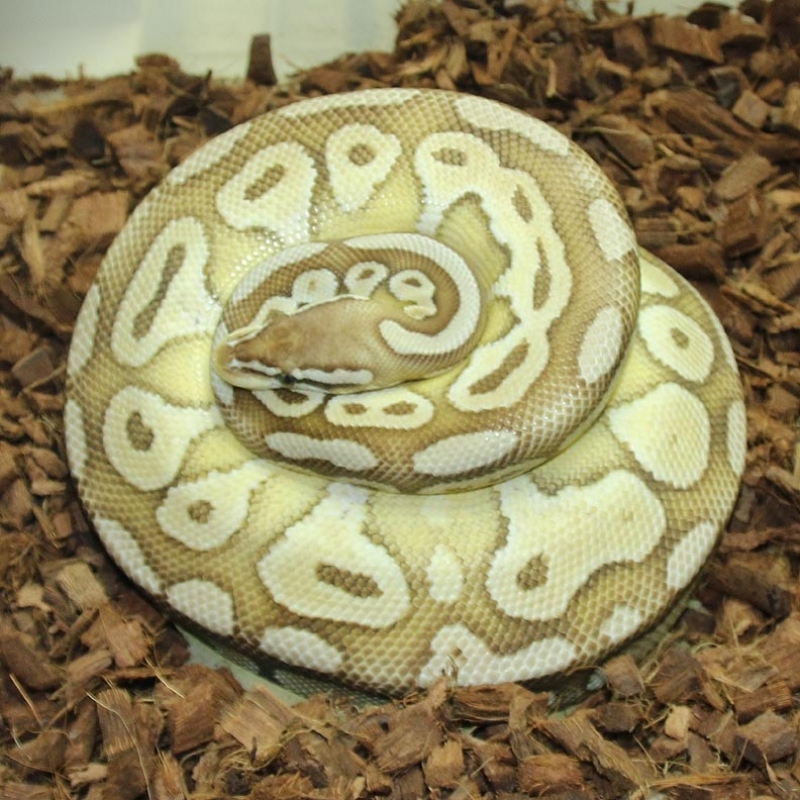 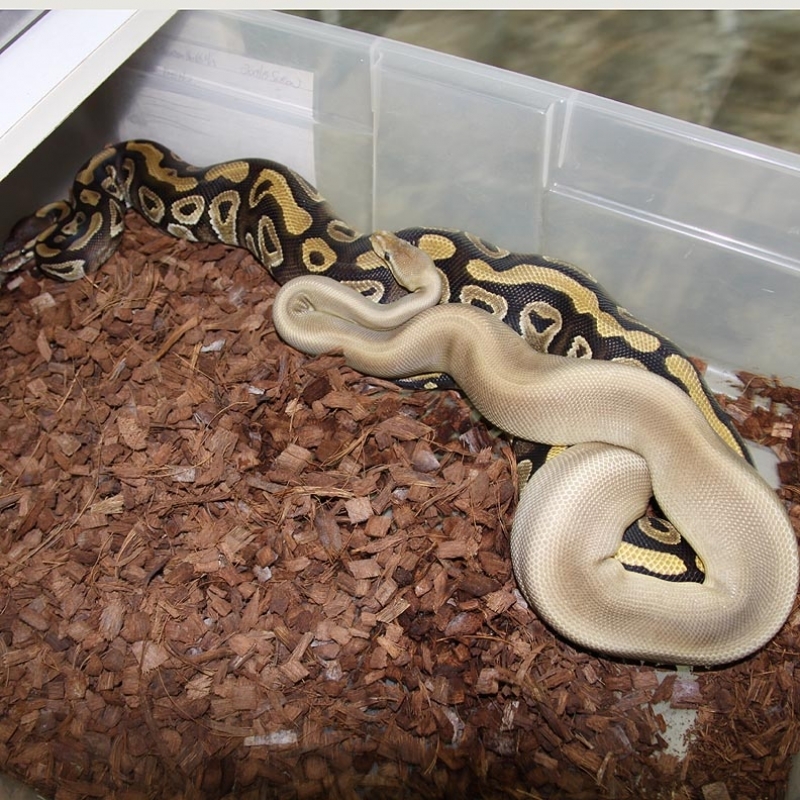 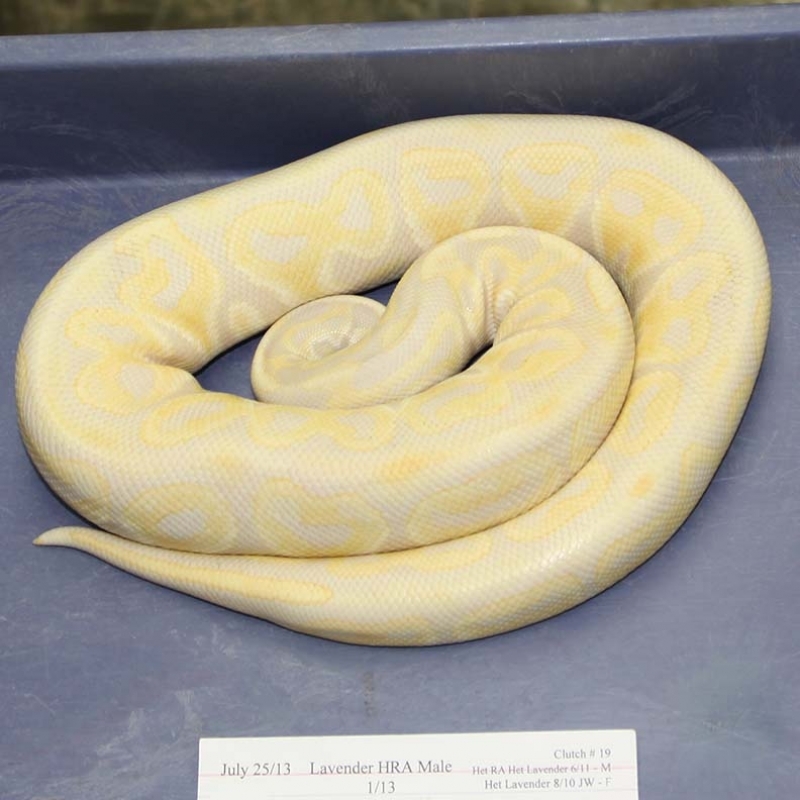 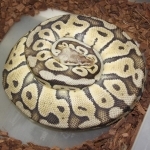 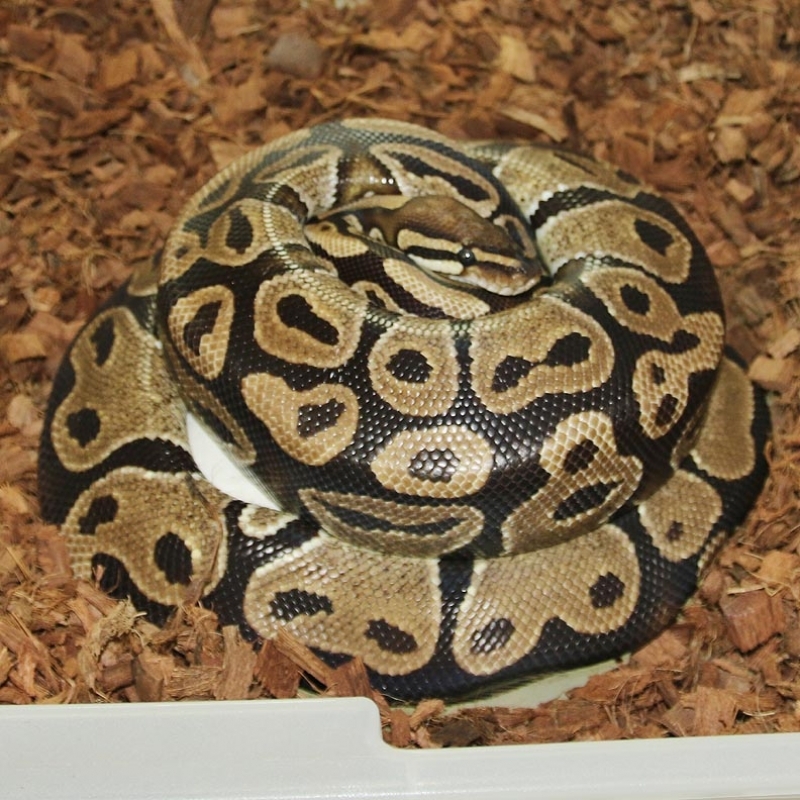 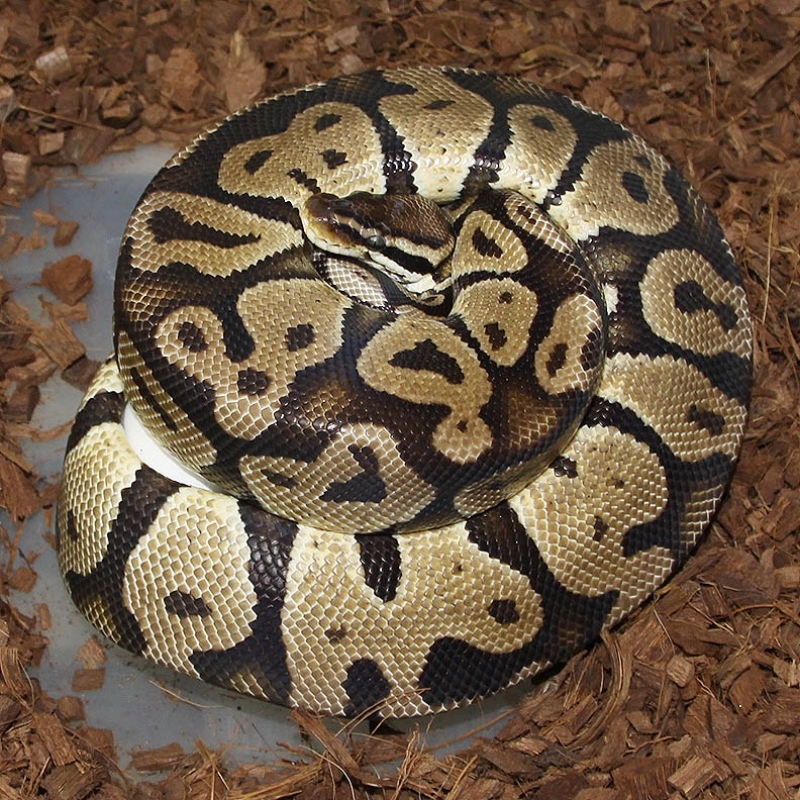 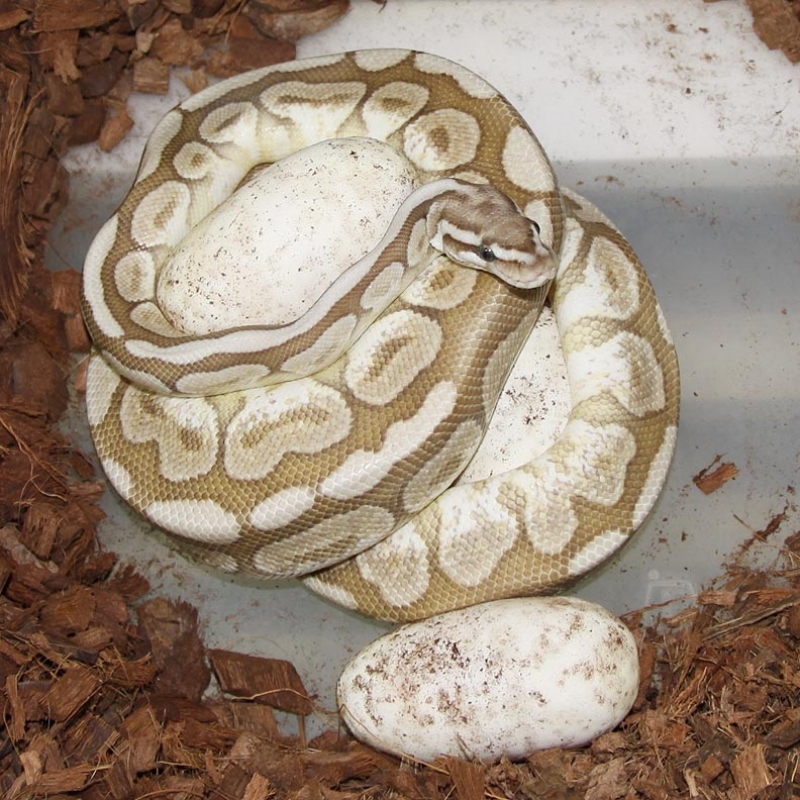 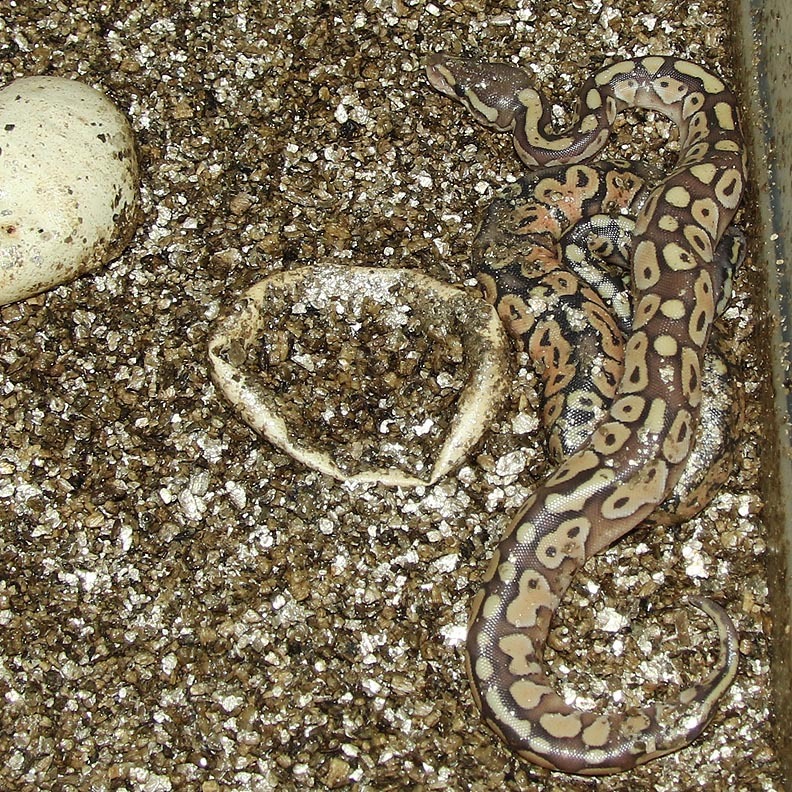 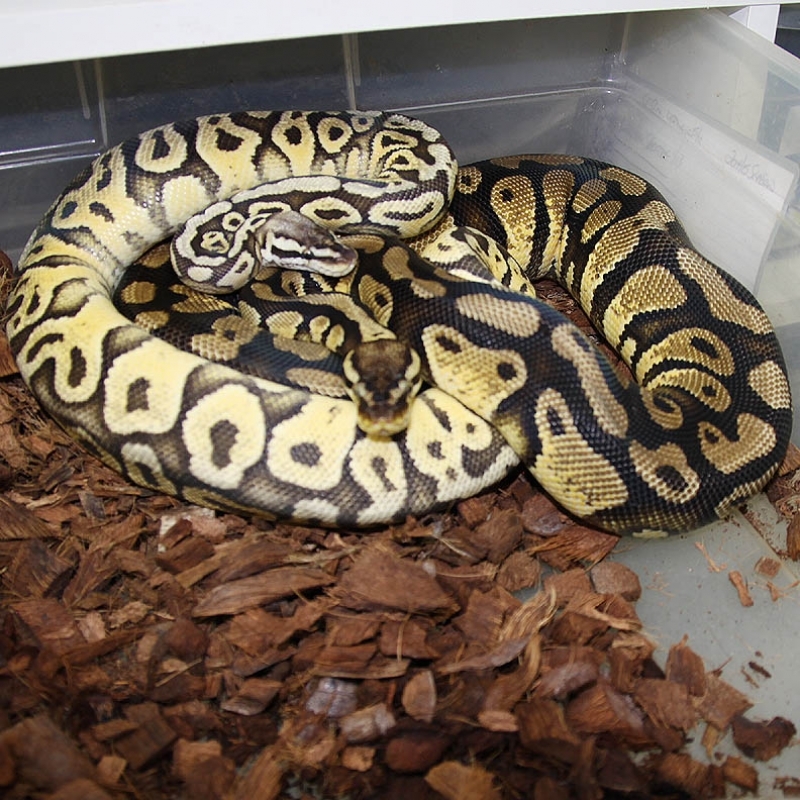 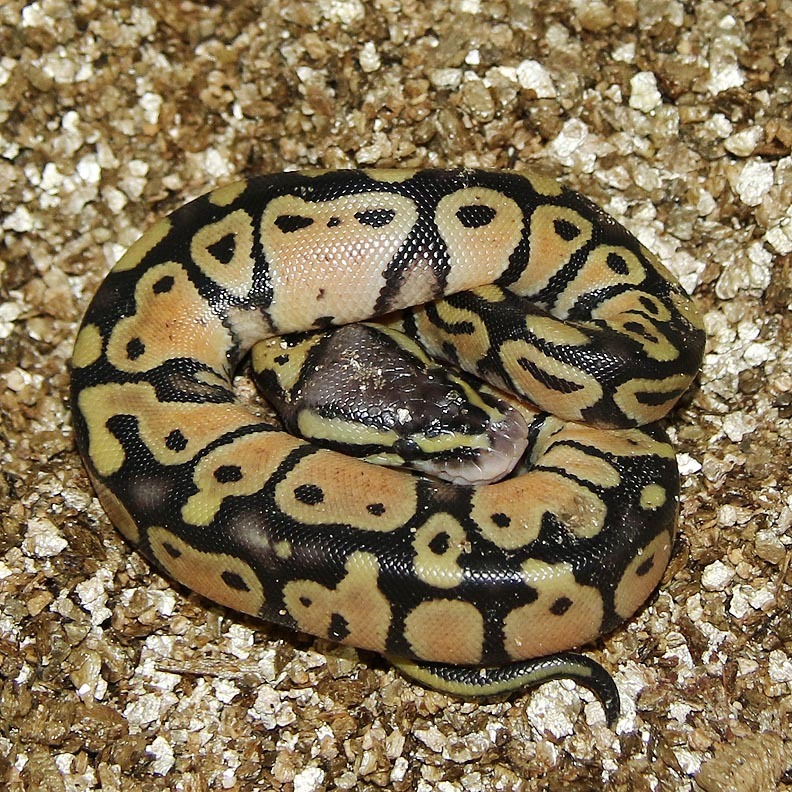 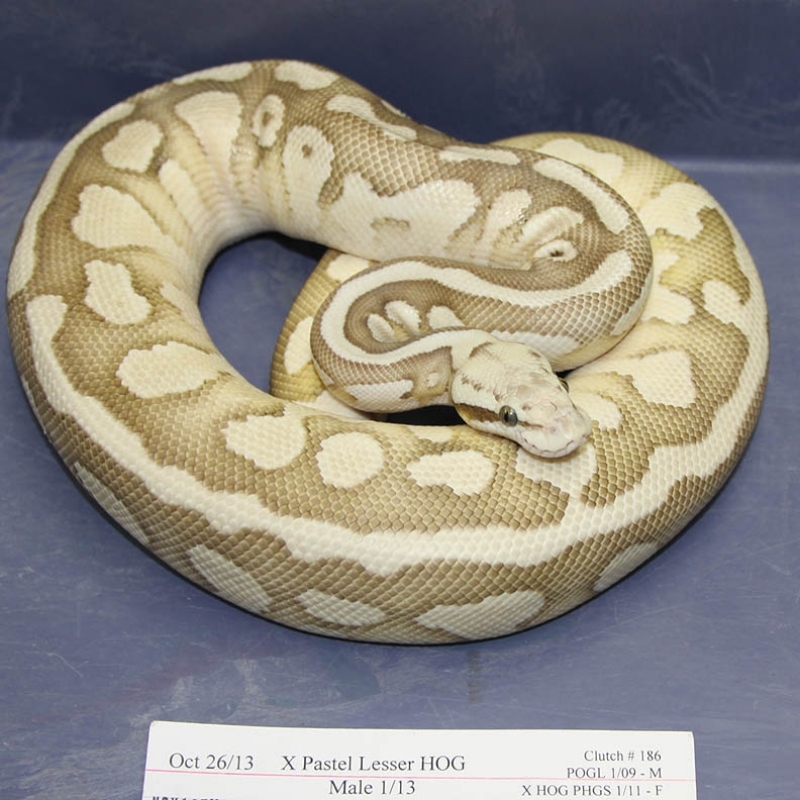 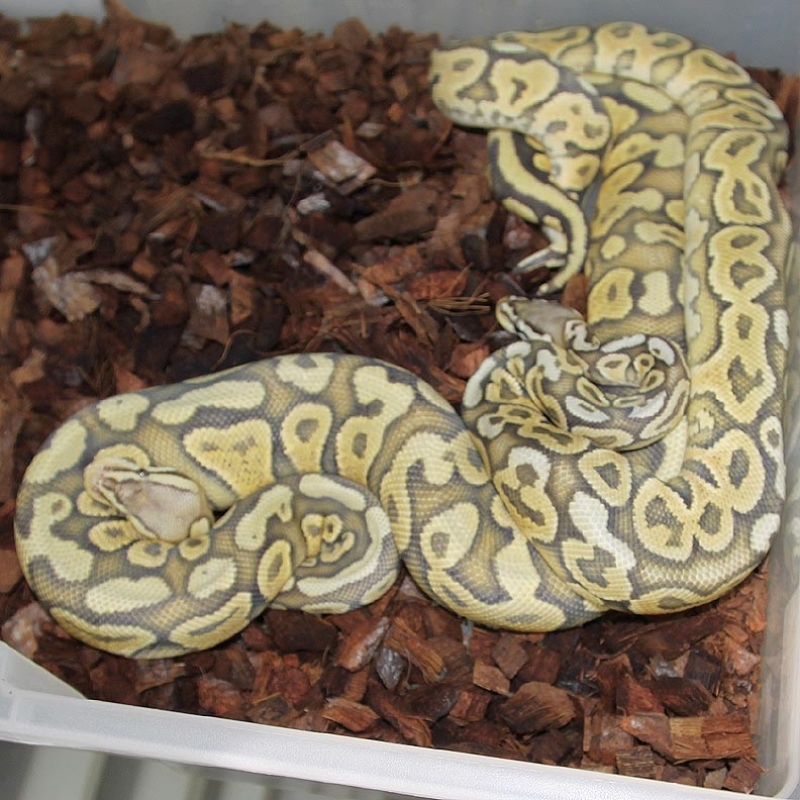 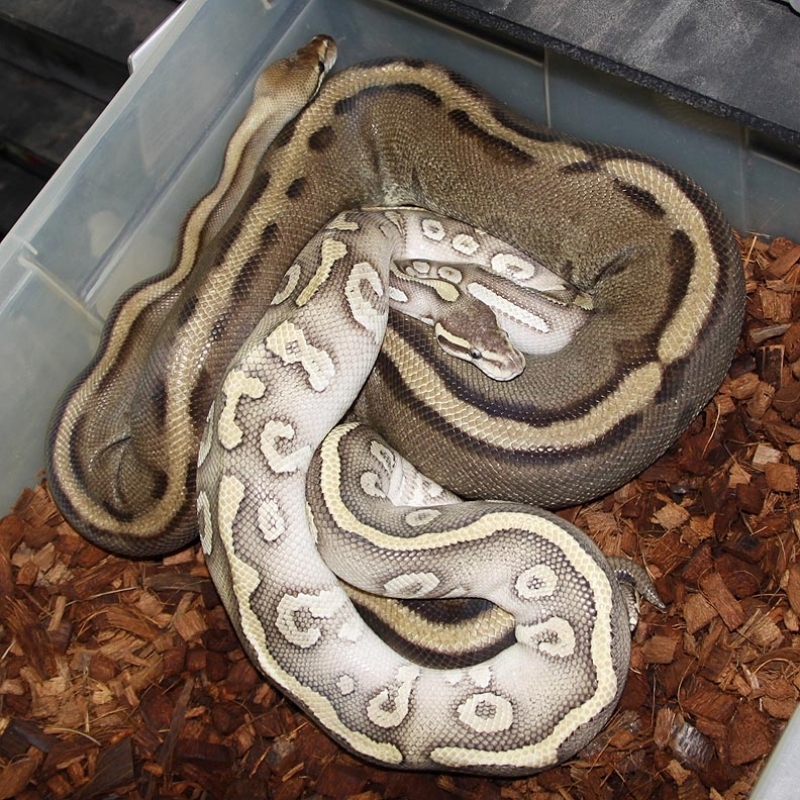 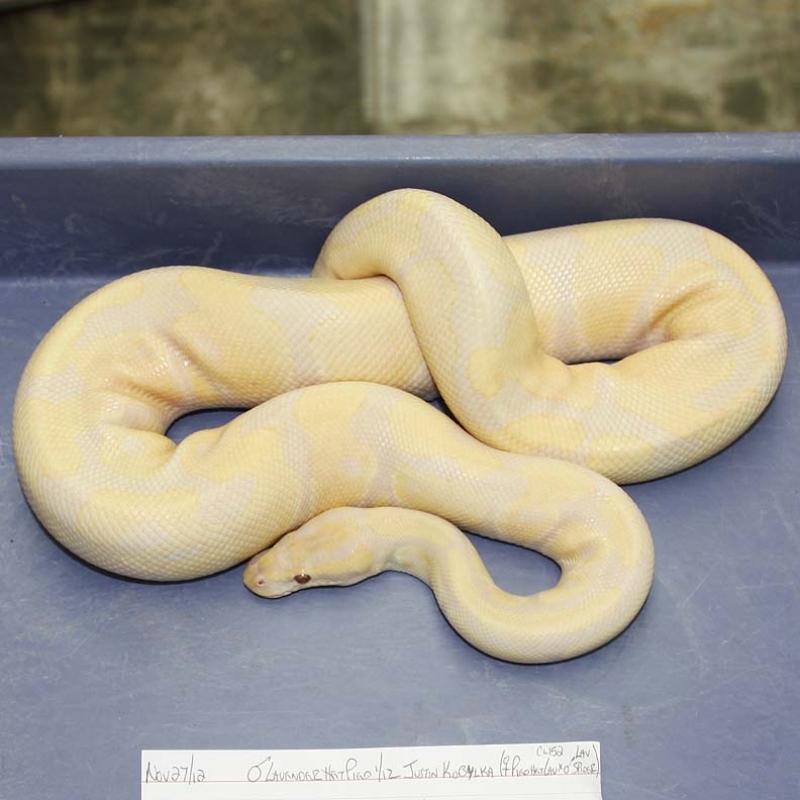 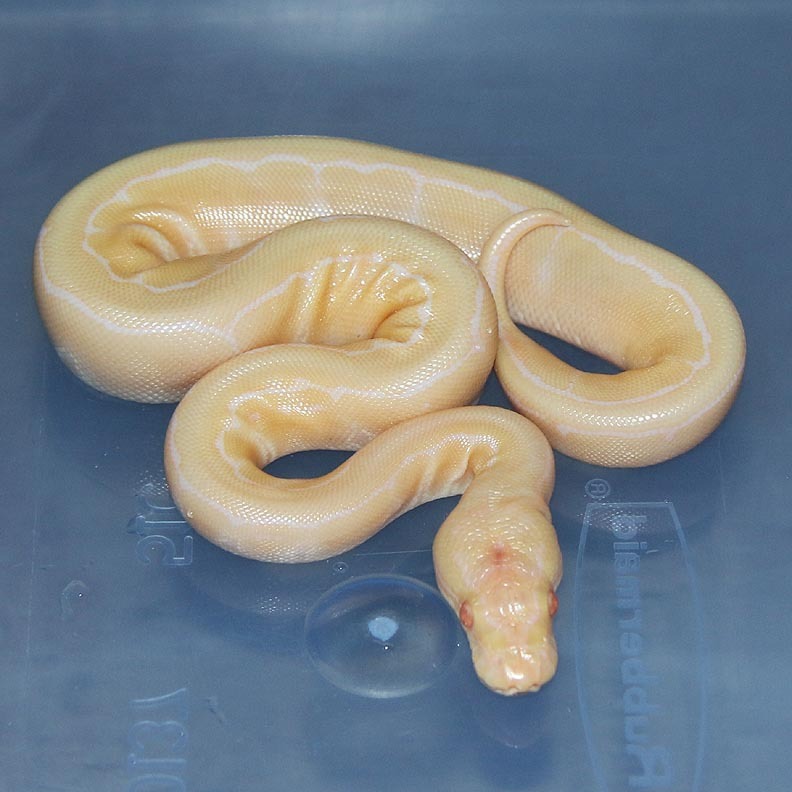 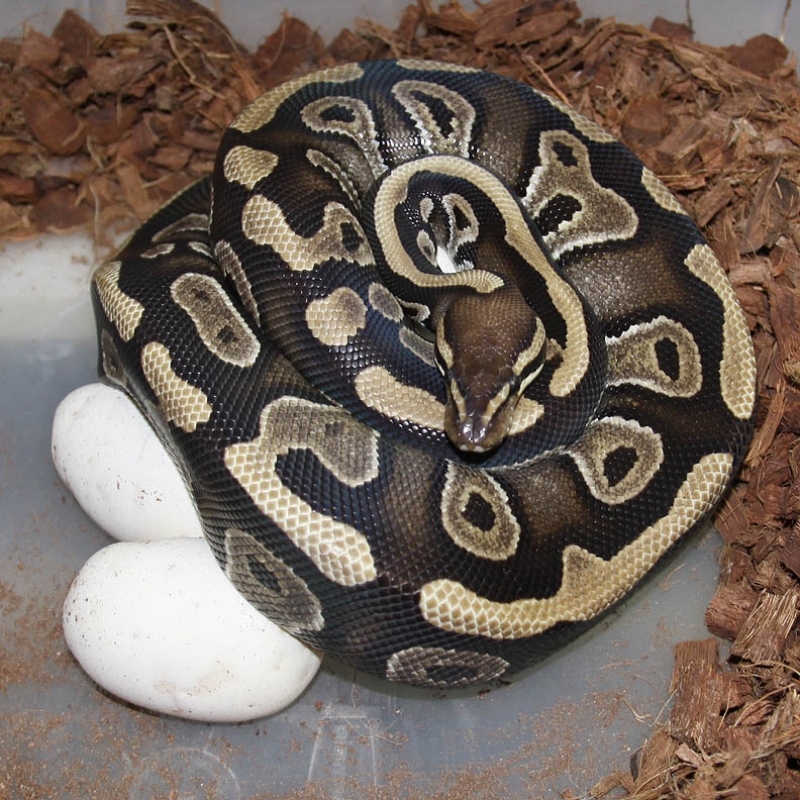 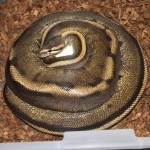 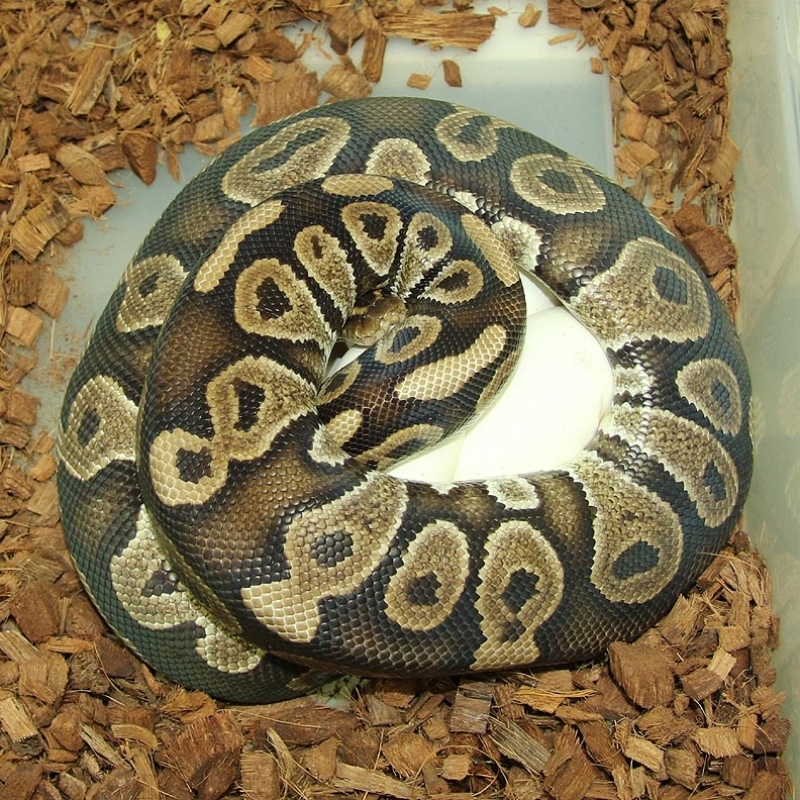 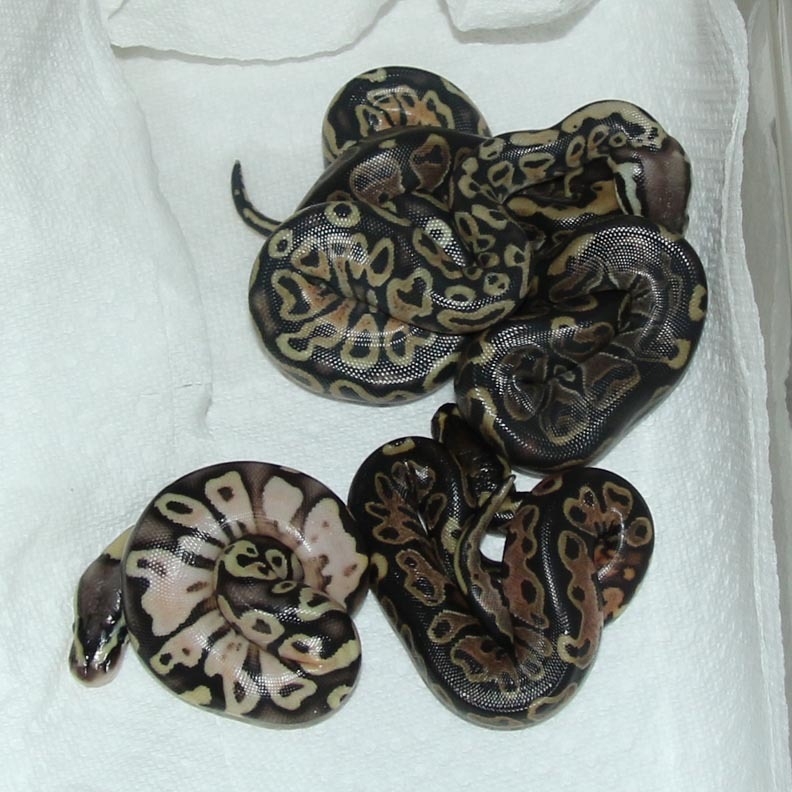 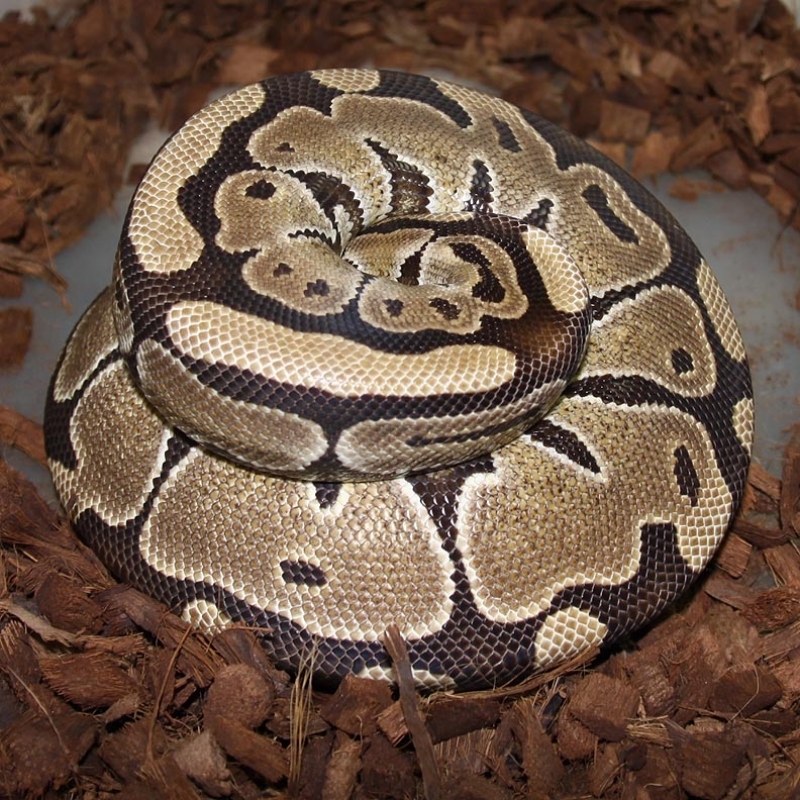 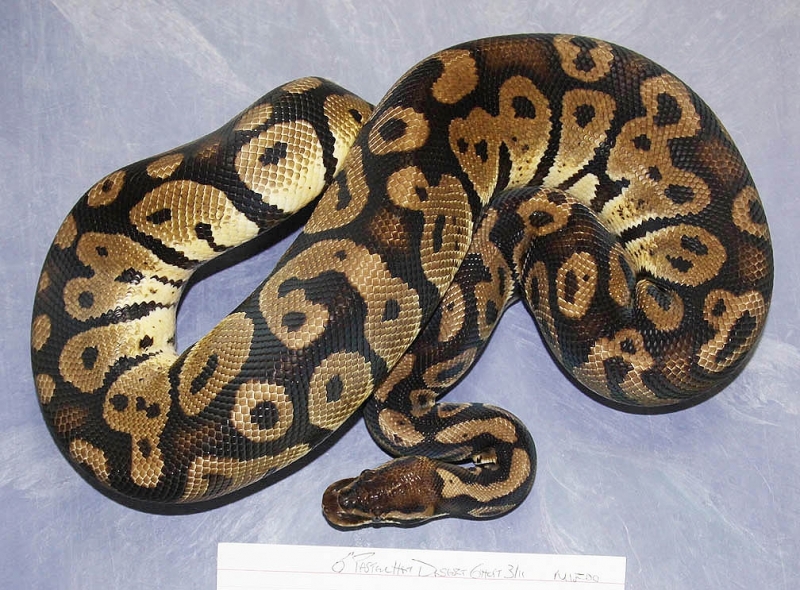 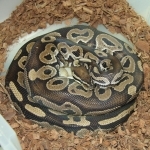 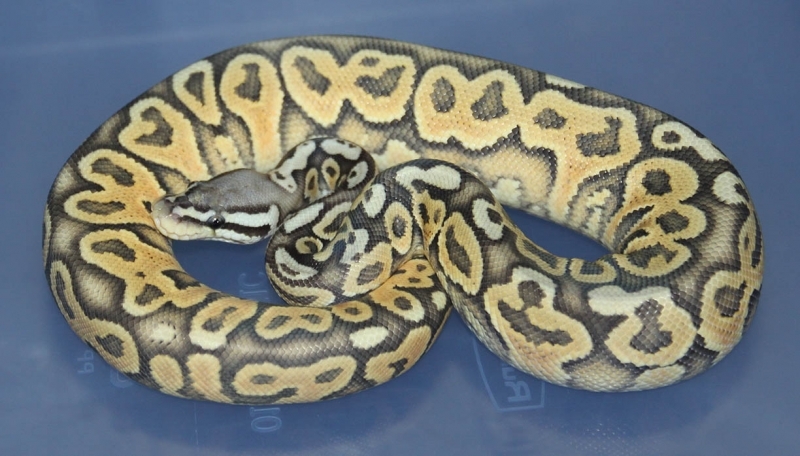 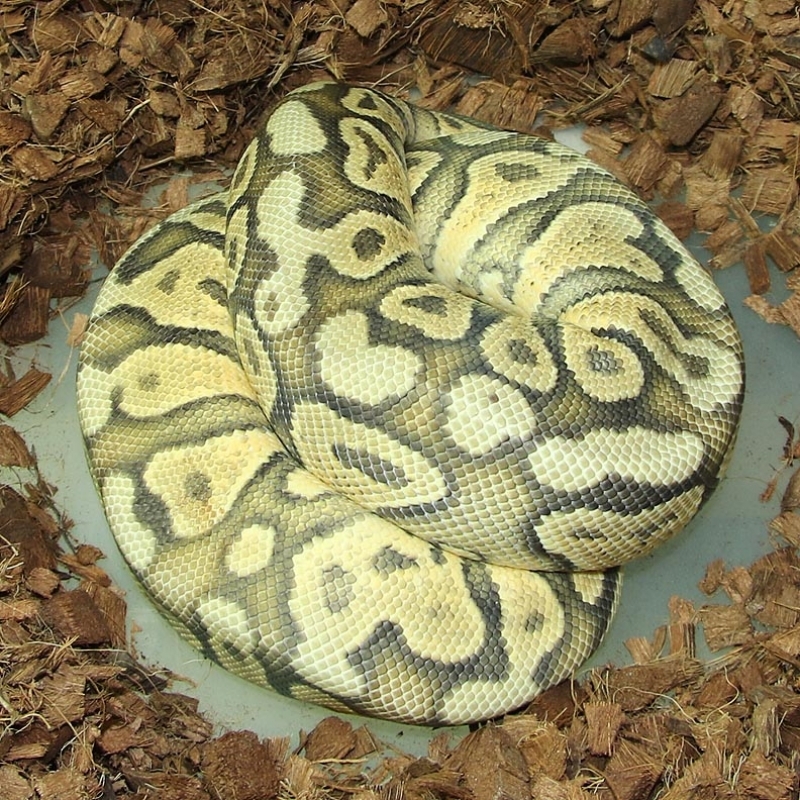 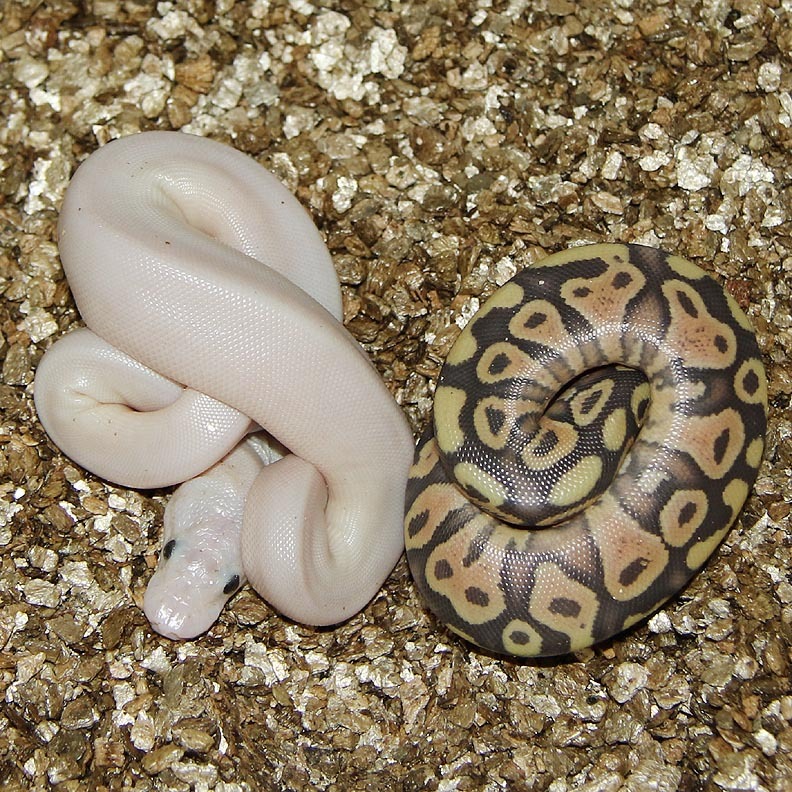 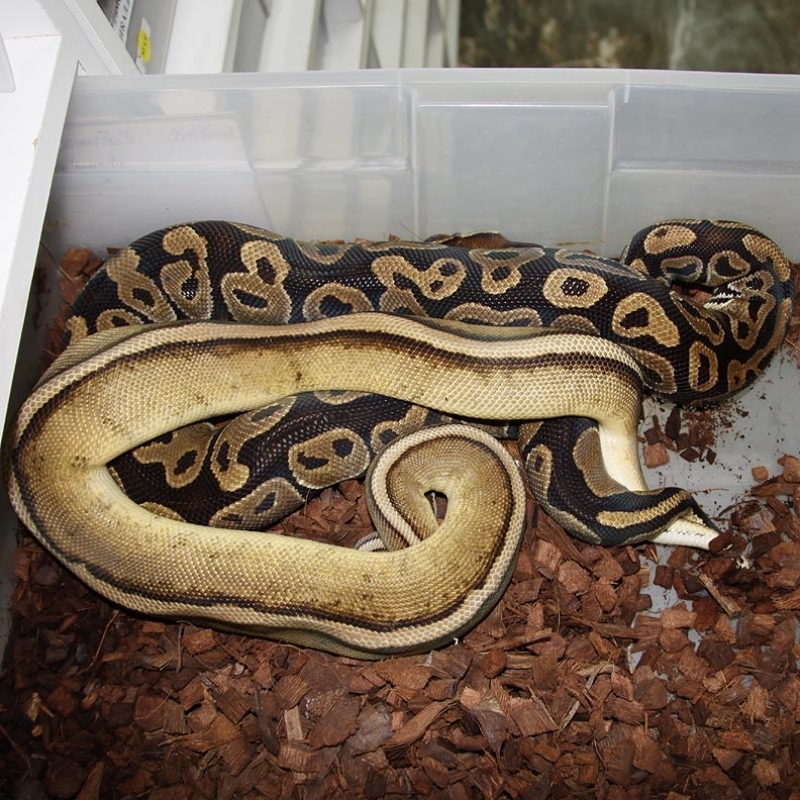 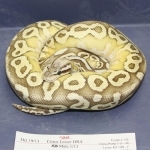 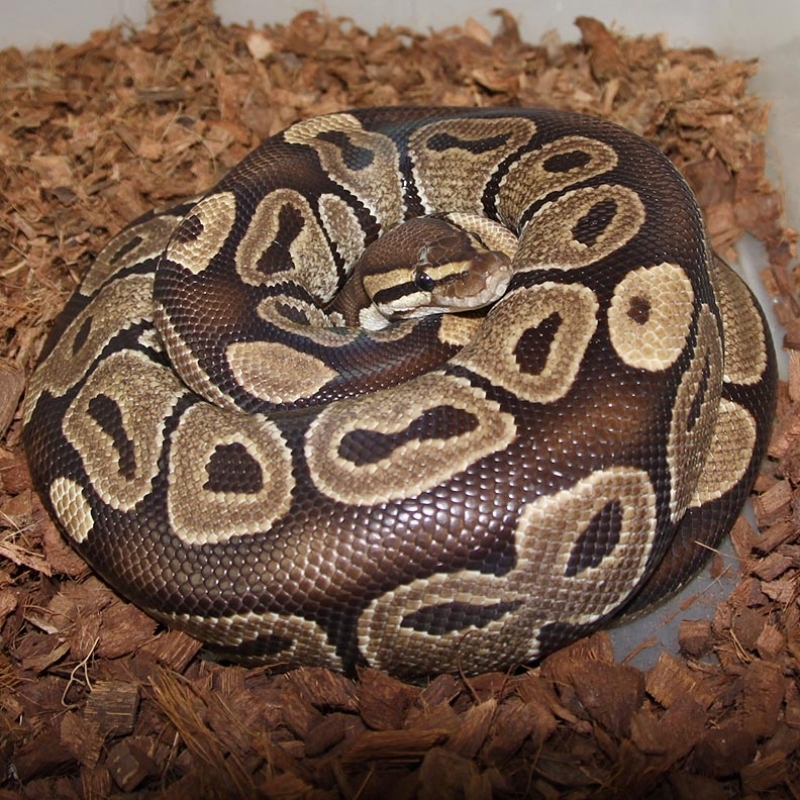 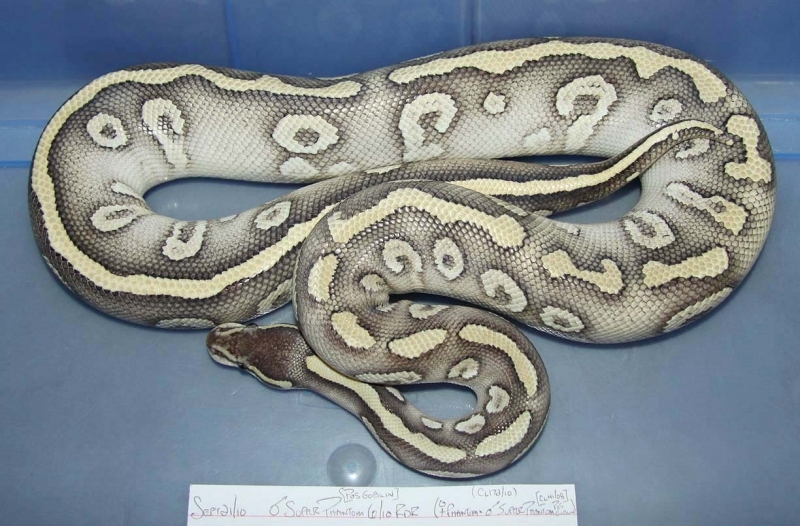 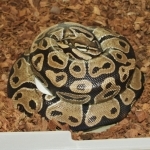 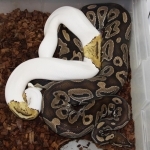 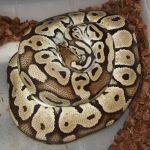 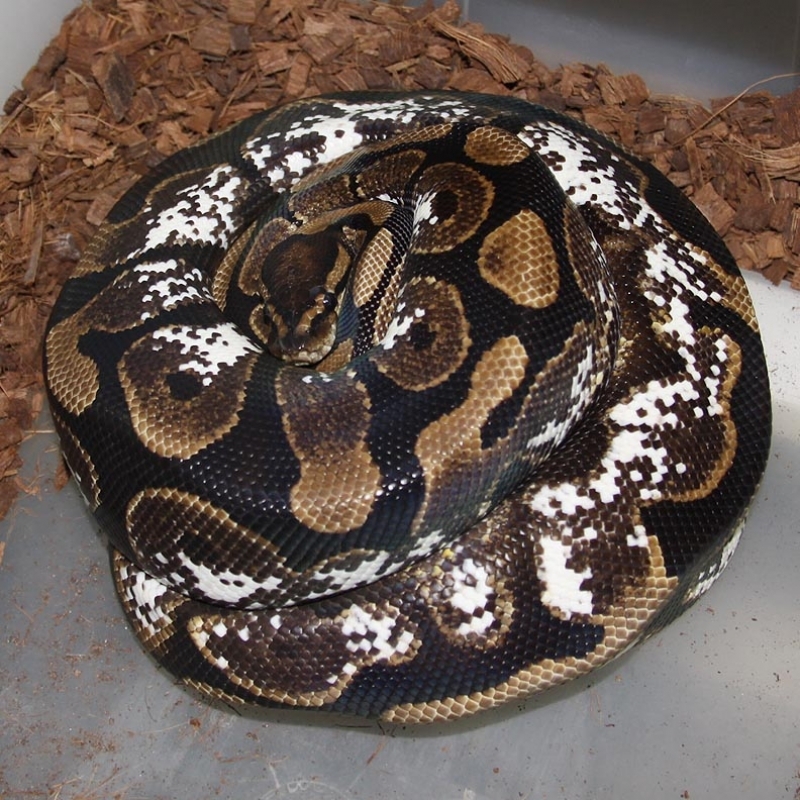 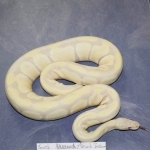 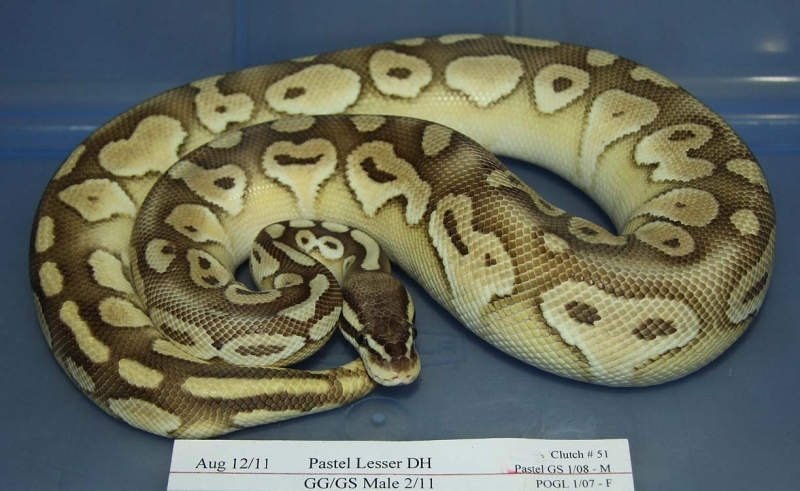 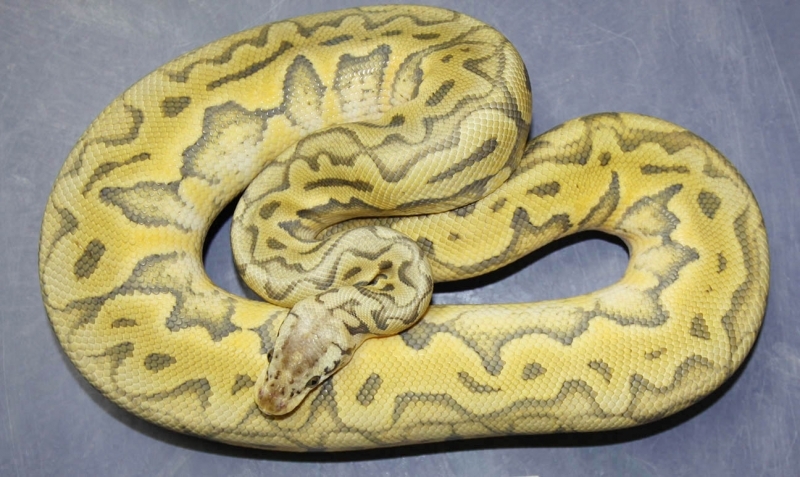 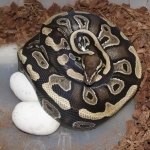 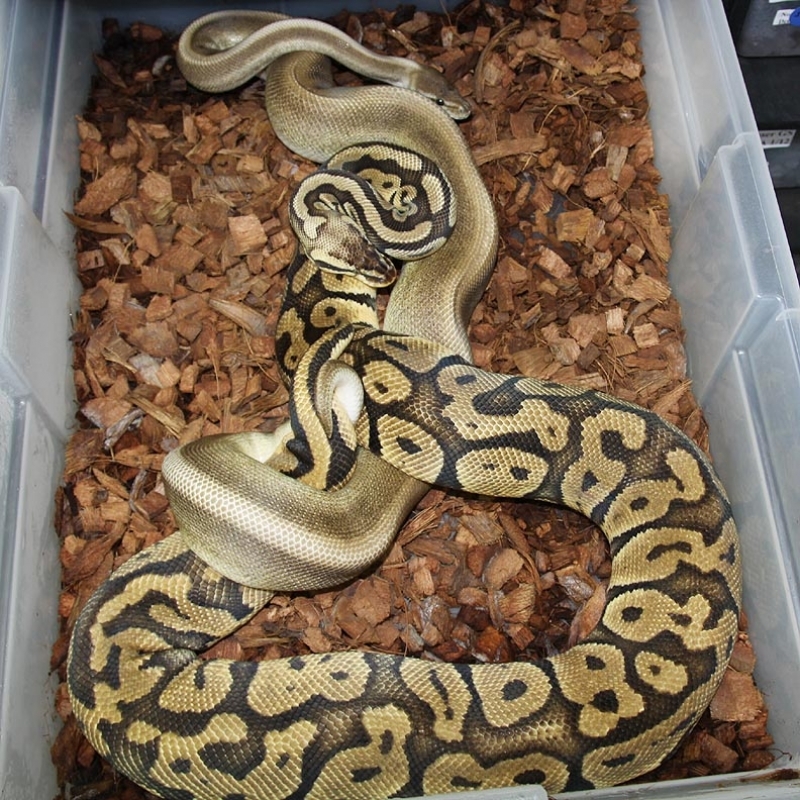 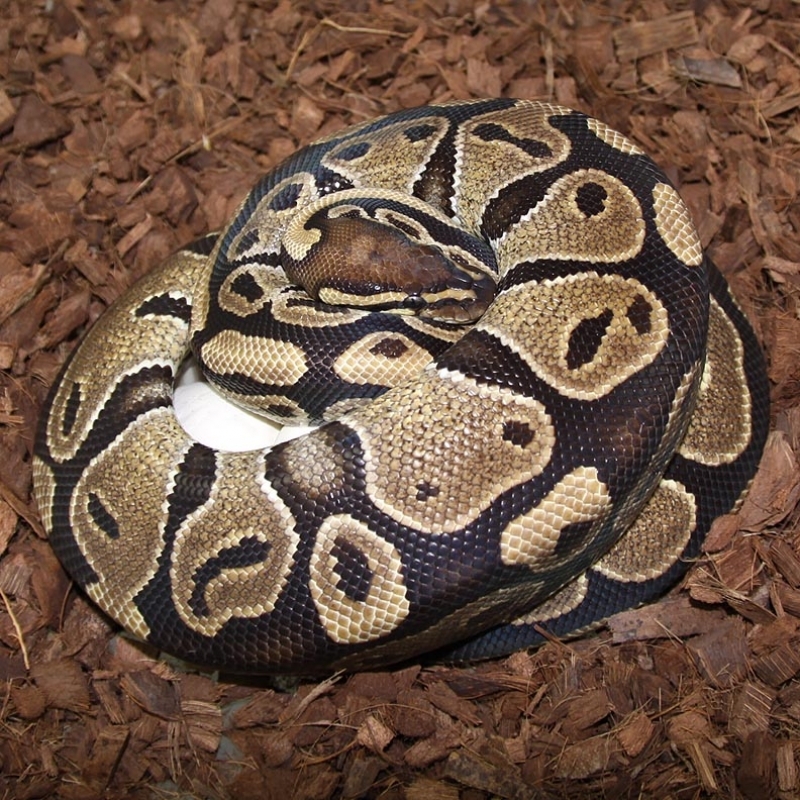 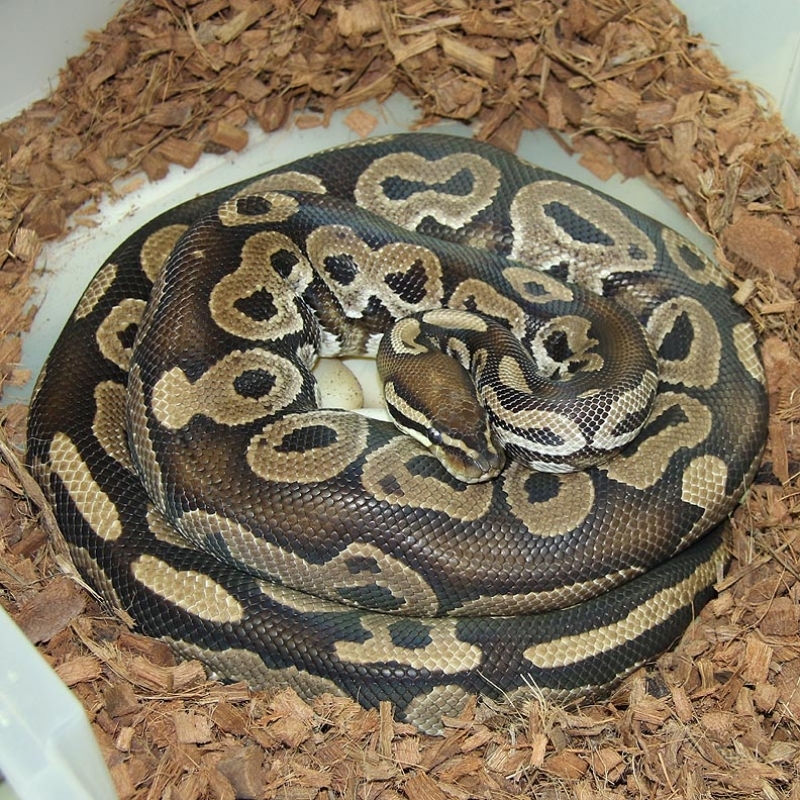 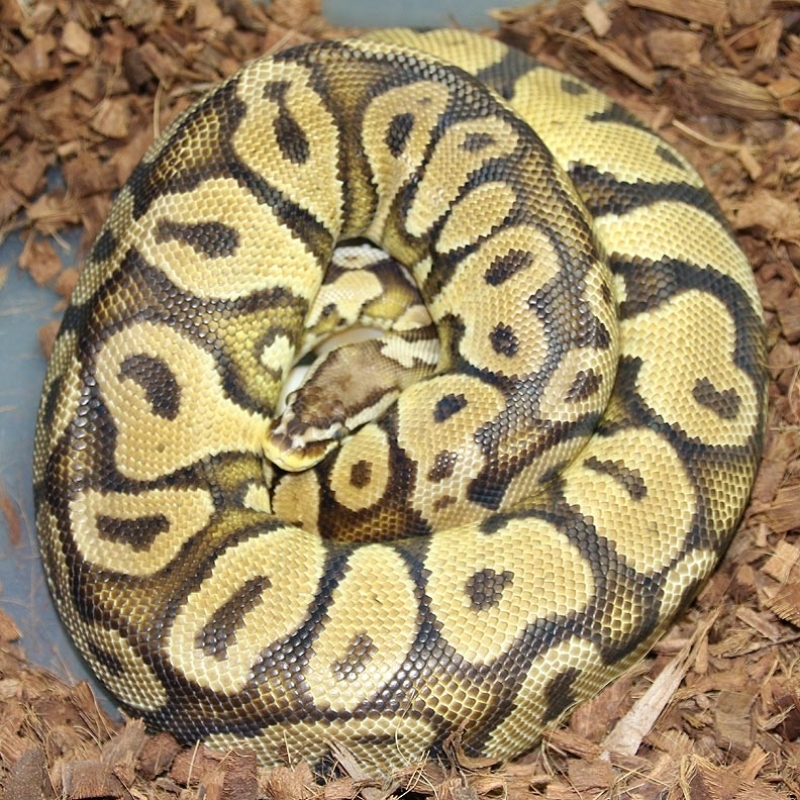 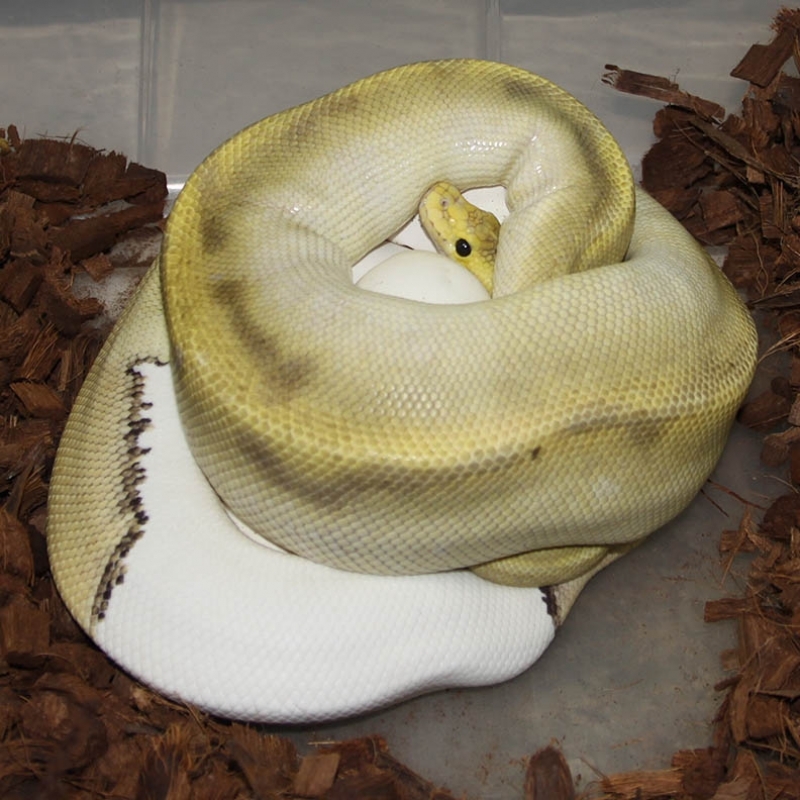 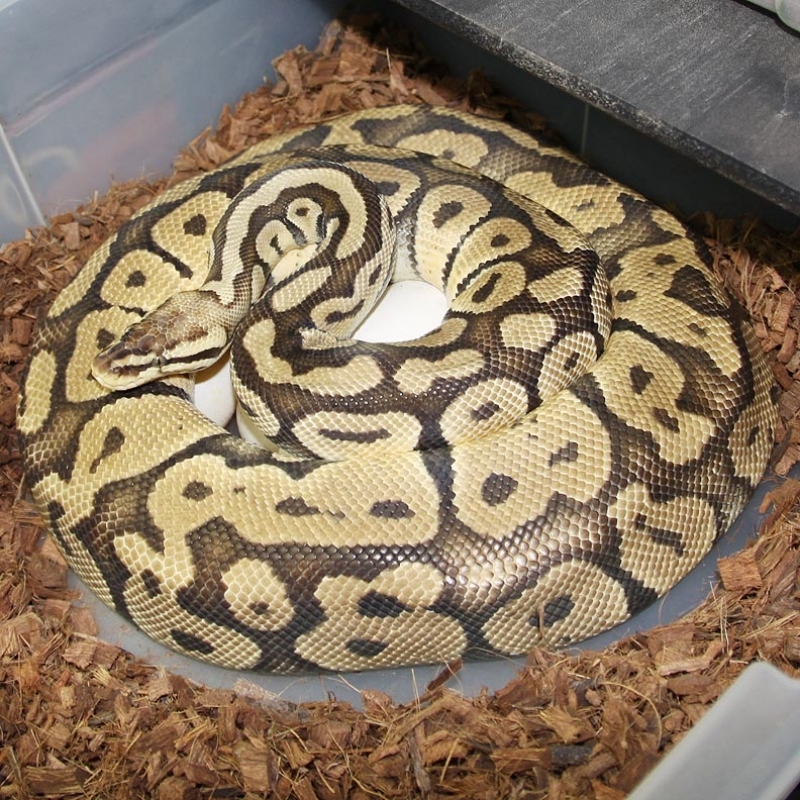 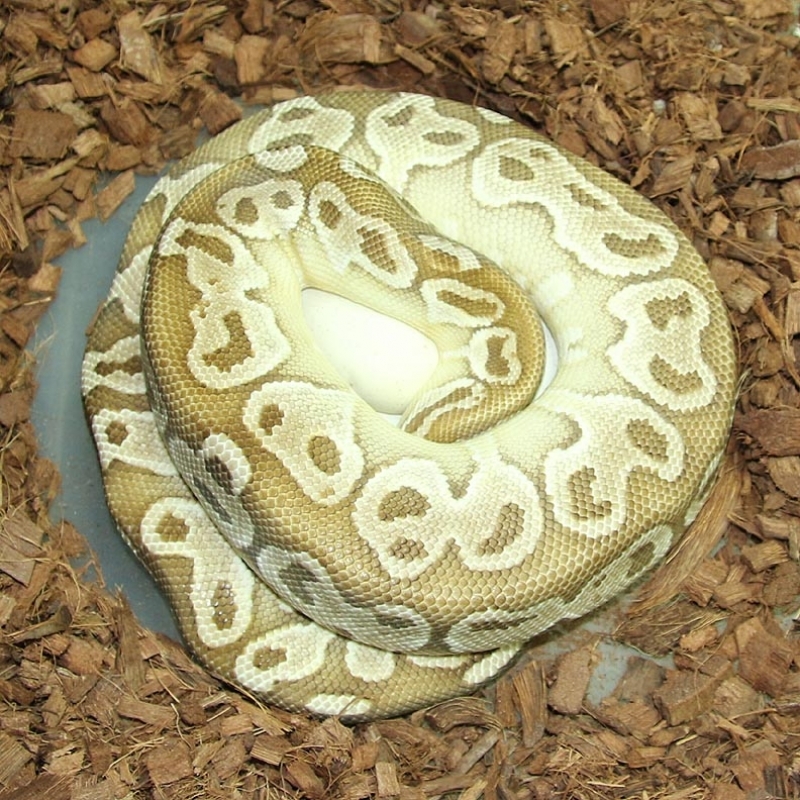 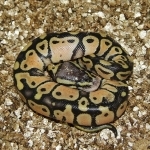 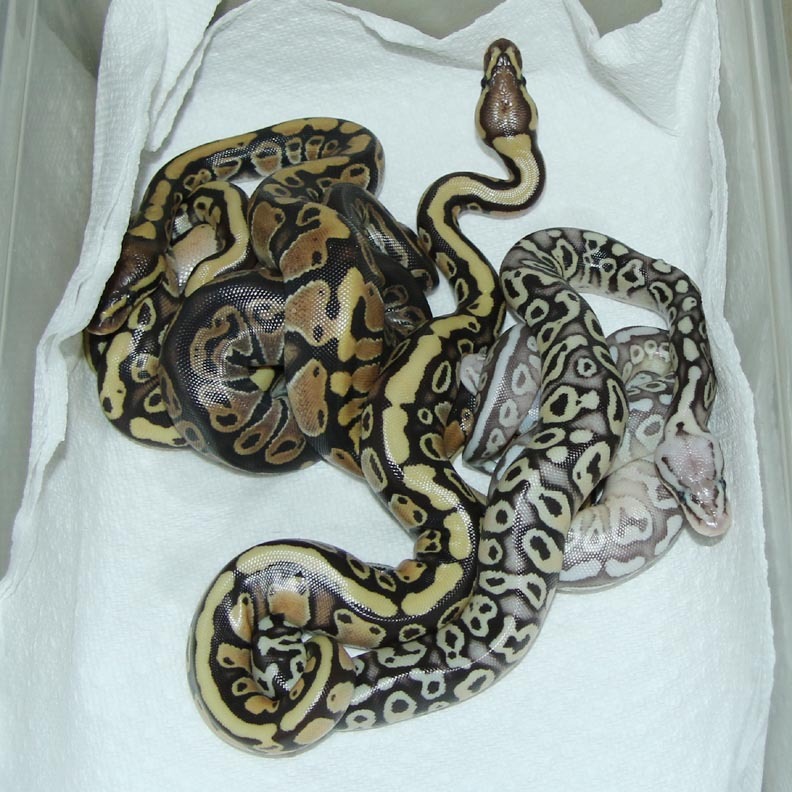 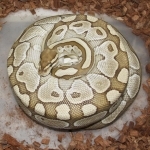 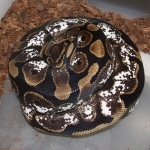 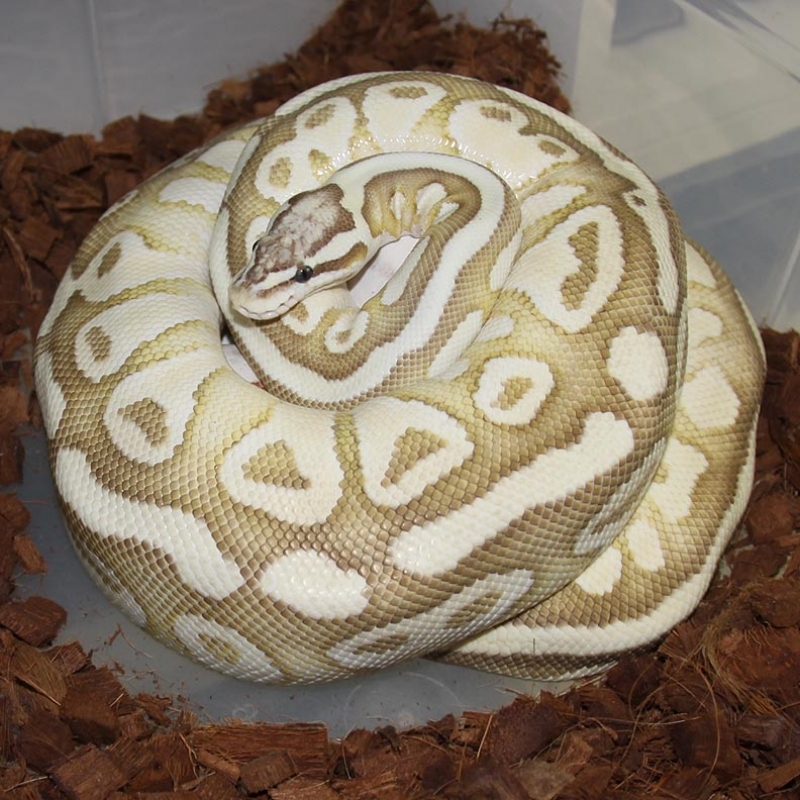 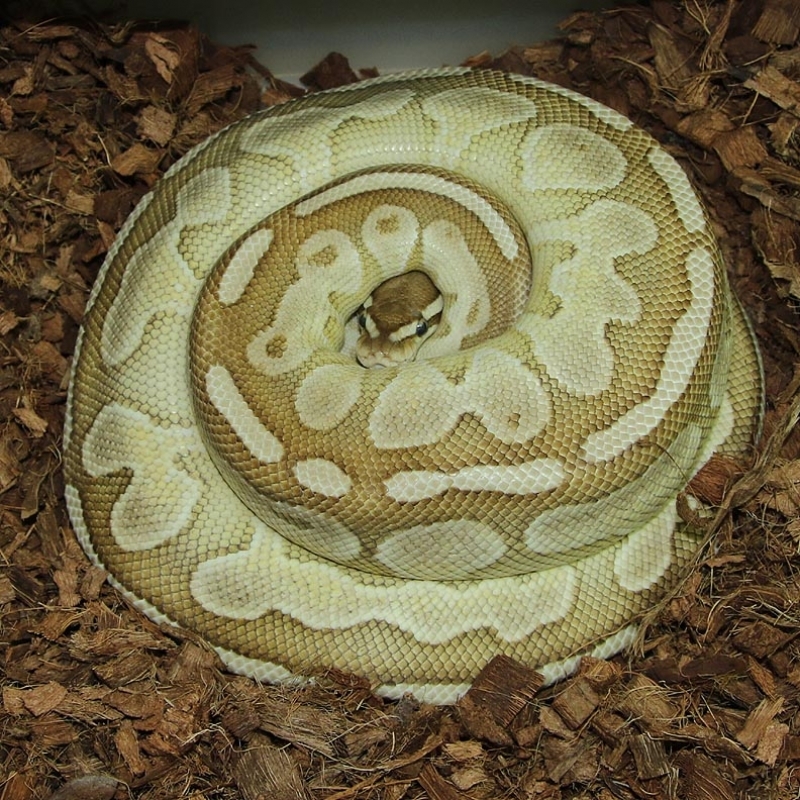 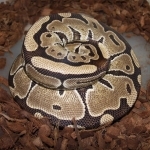 Description: Mutation X Pastel Lesser Het Orange Ghost 1/13 x SPOG 4/06. 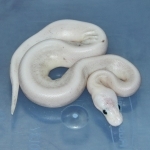 Description: SPOGL 1/13 x Sugar 1/10 "Henry". 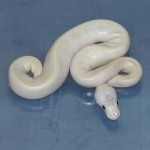 The Pastel Sugar is very small and skinny. 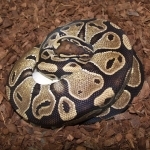 Once she gets eating she will be fine. 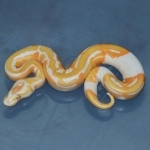 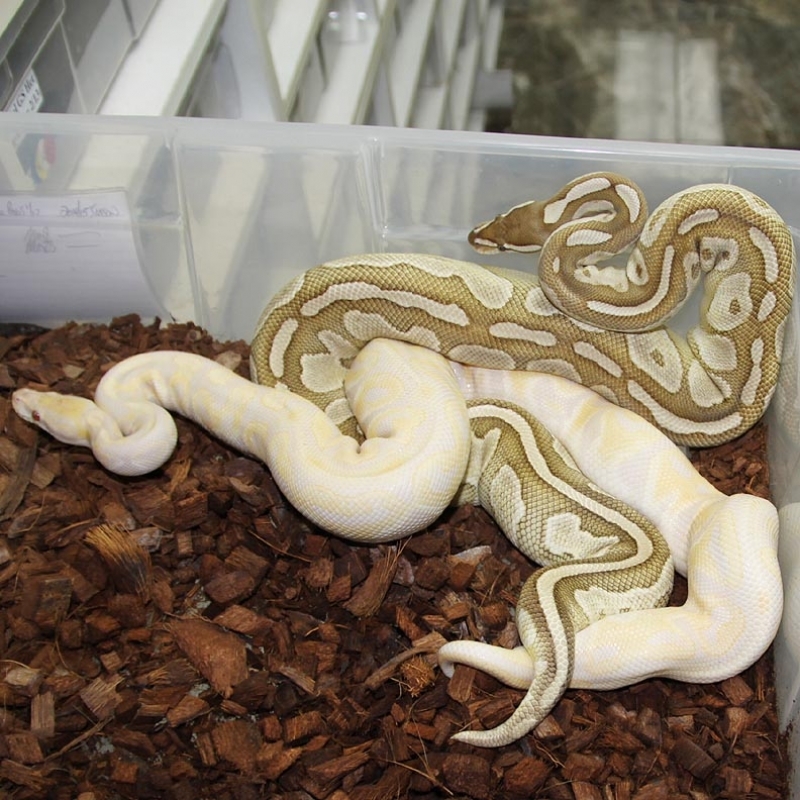 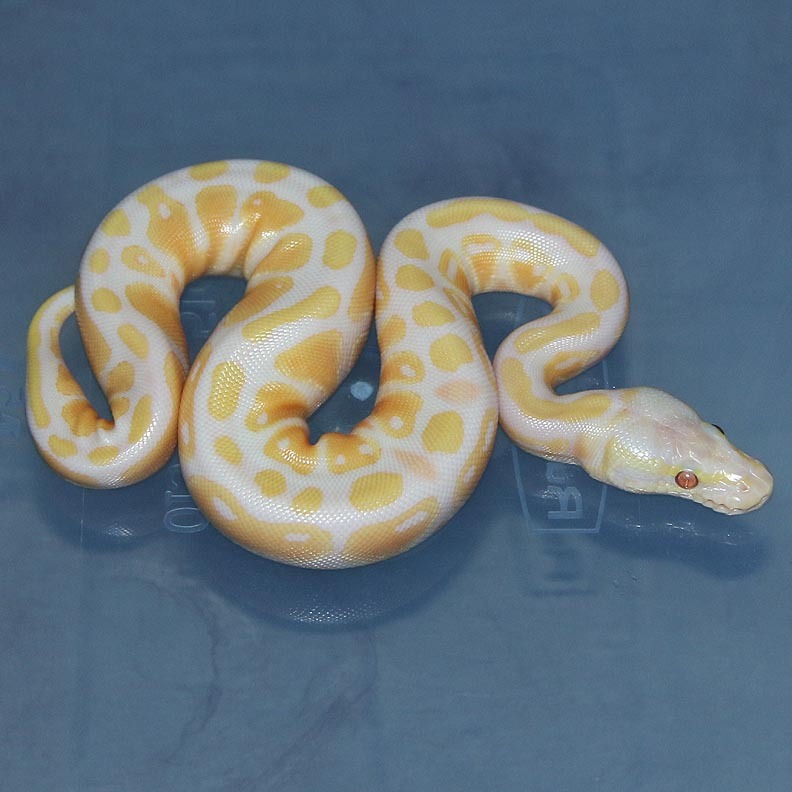 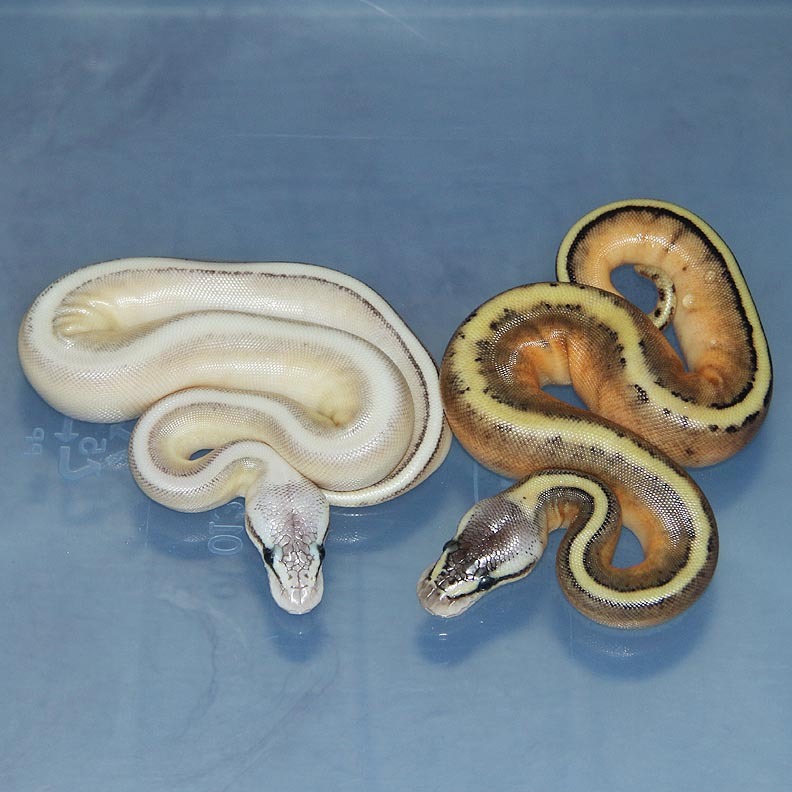 Description: Lemon Blast Orange Ghost HRA 1/13 x Het RA Het Orange Ghost 1/07. 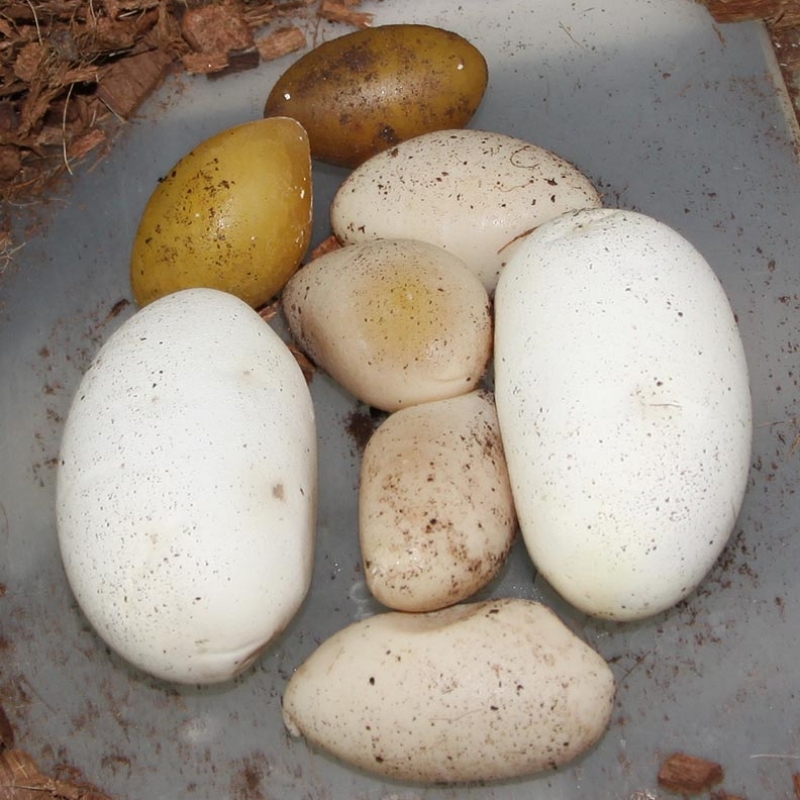 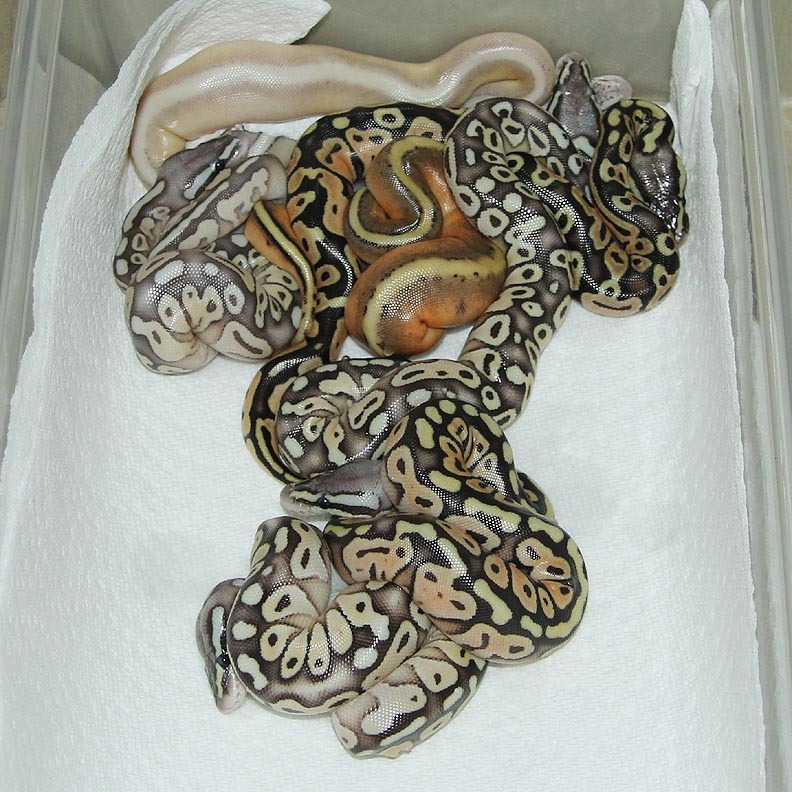 I really like the Red Axanthic combos in this clutch! 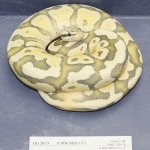 Description: POG HRA YB 1/13 x Sugar 1/13. Description: Super Pastel Puzzle 1/12 x Het Puzzle 1/12. 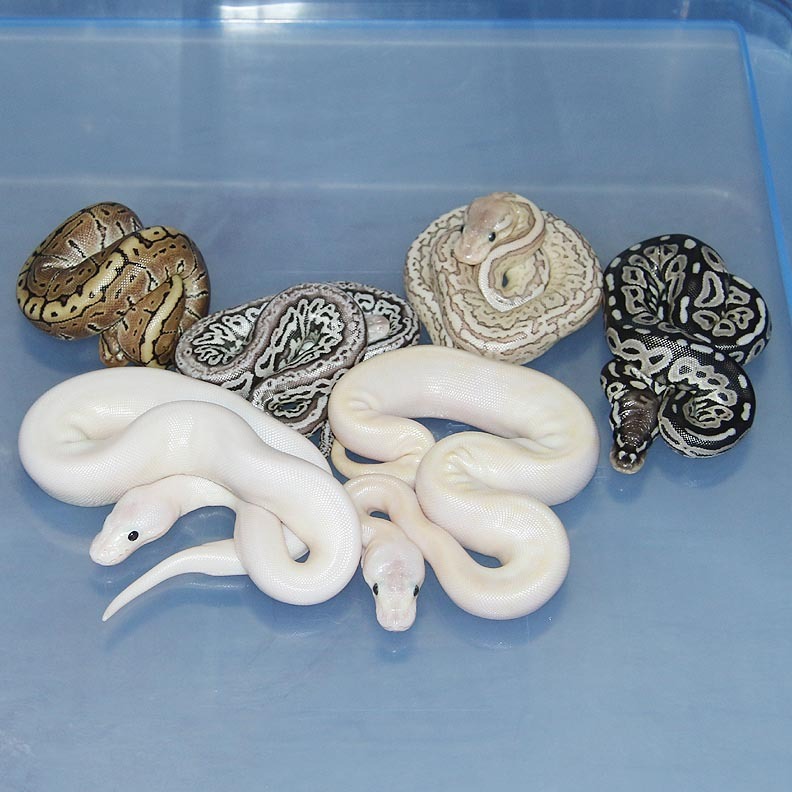 This is my only clutch that could contain visual Puzzles. 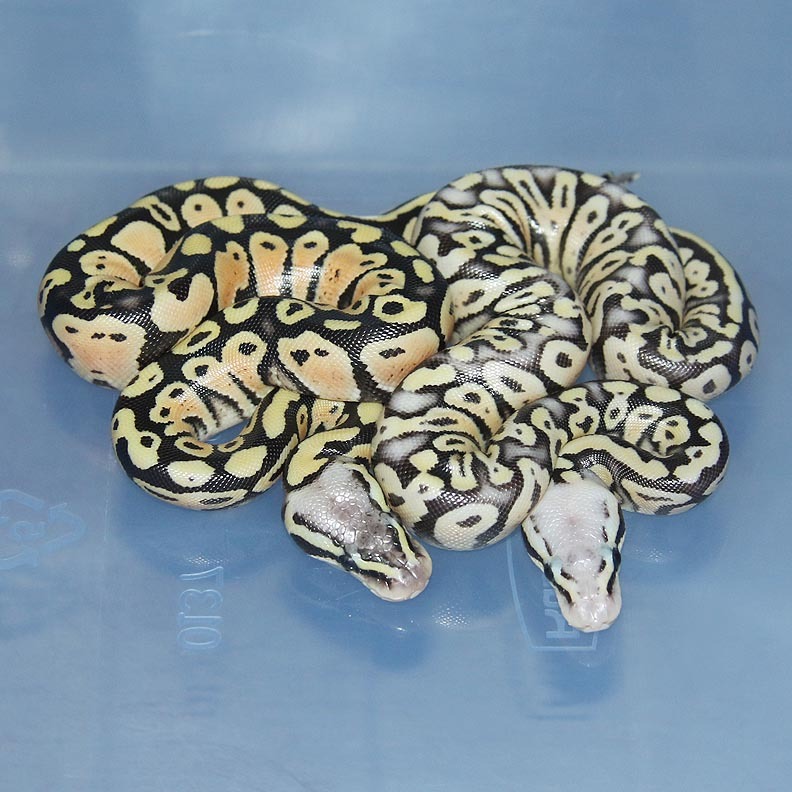 All of my other clutches will be all Het Puzzle crosses. 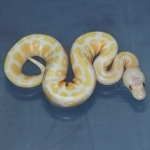 If I produce a Pastel Puzzle male he will be for sale as my Super Pastel Puzzle male is a great breeder so I do not need a back up male. 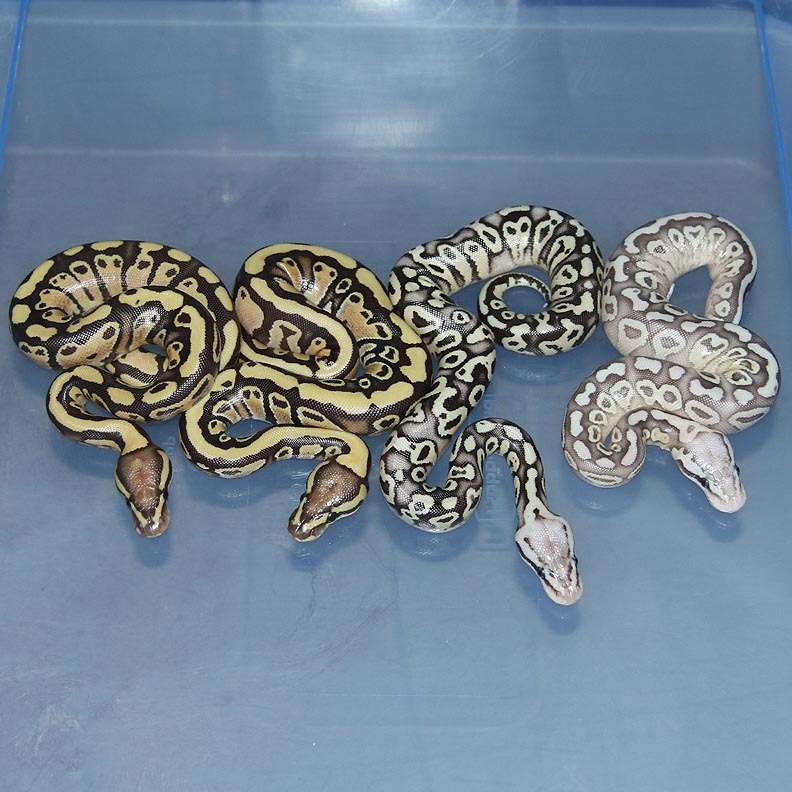 The Pastel Puzzles are amazing in person! 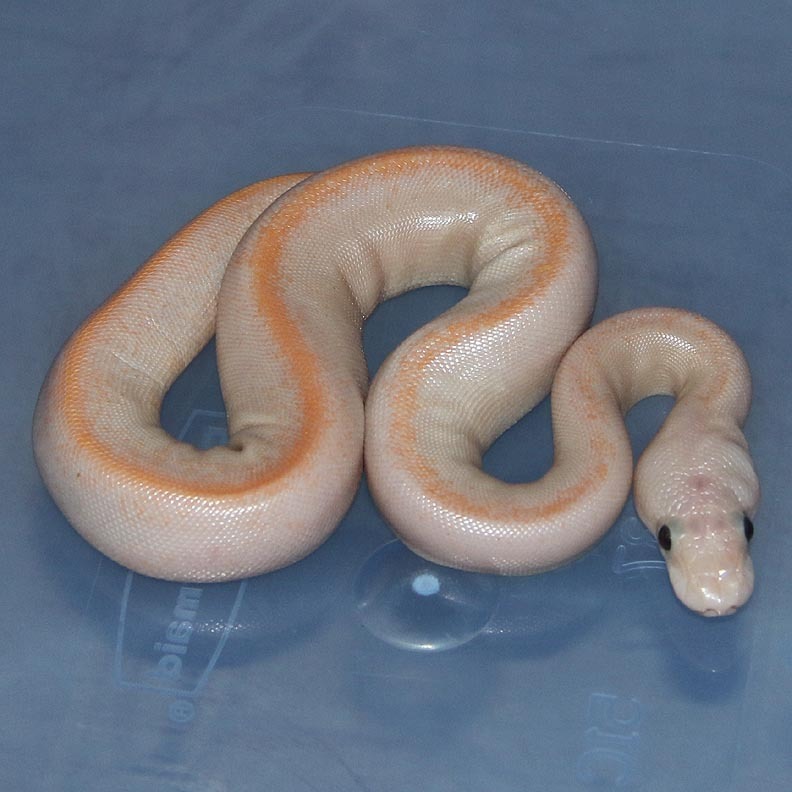 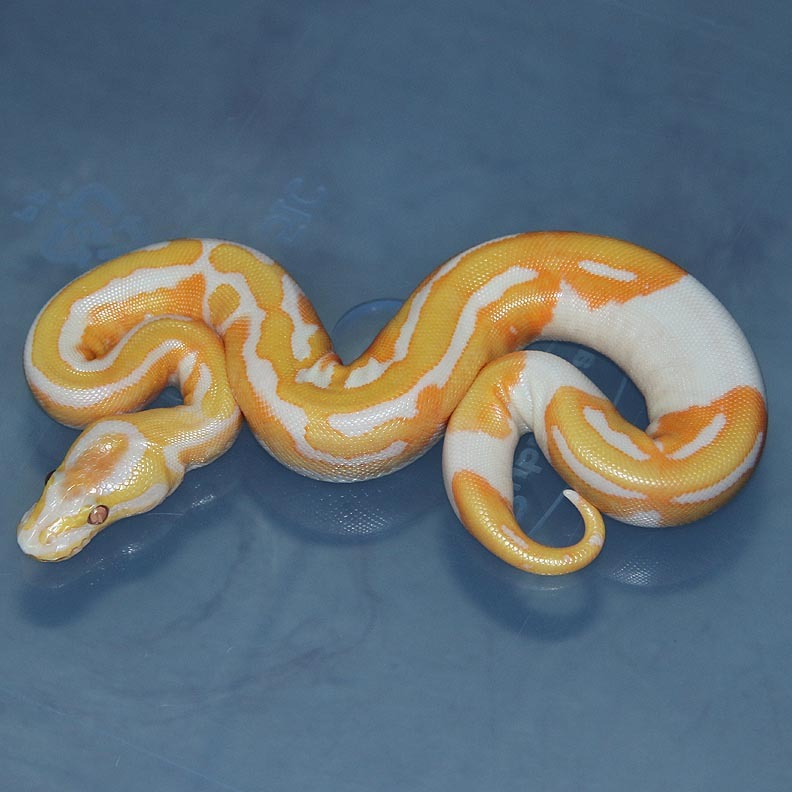 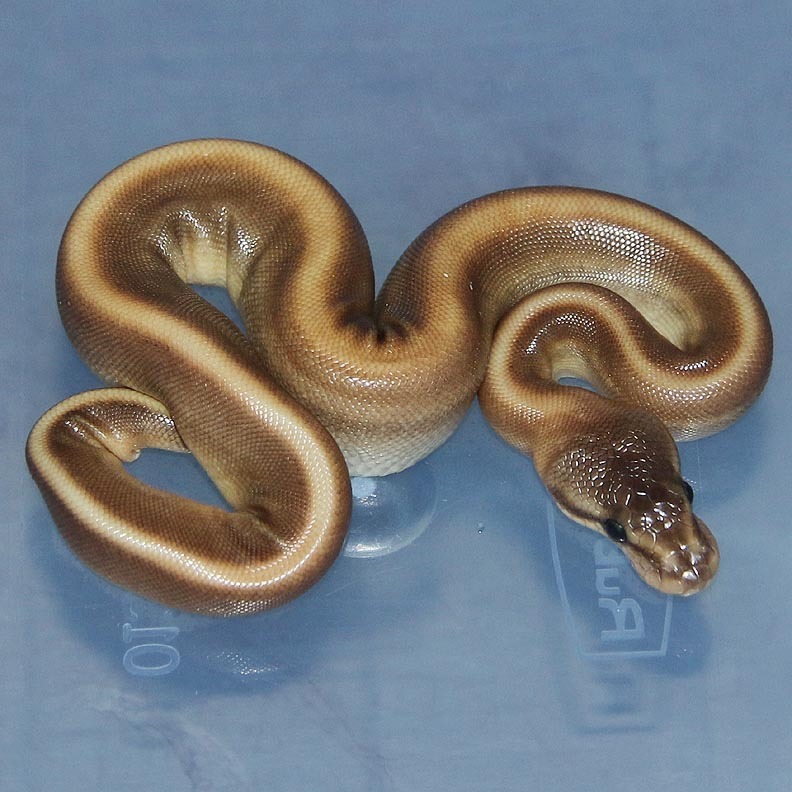 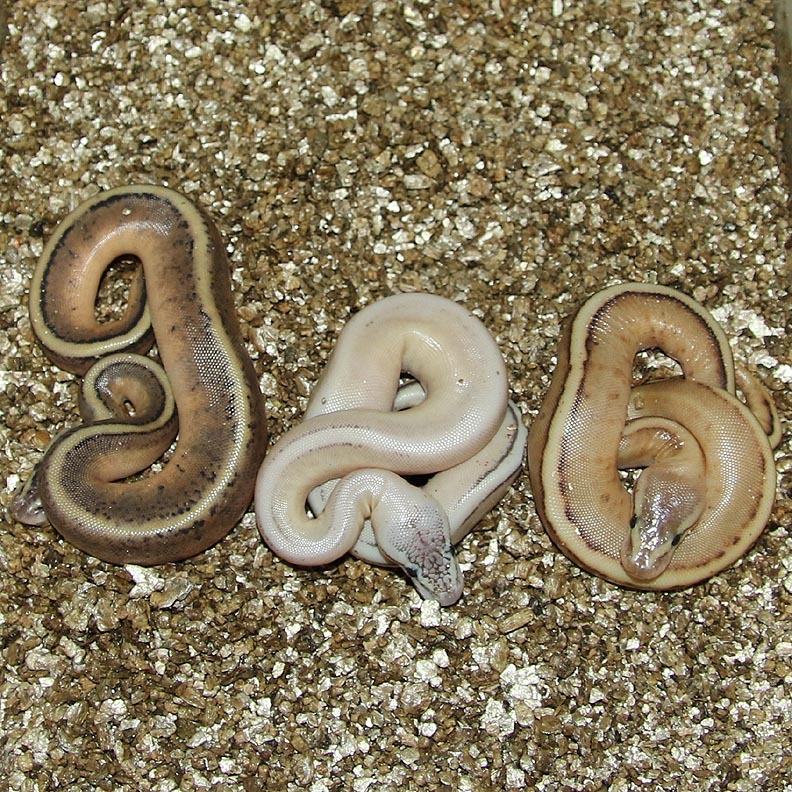 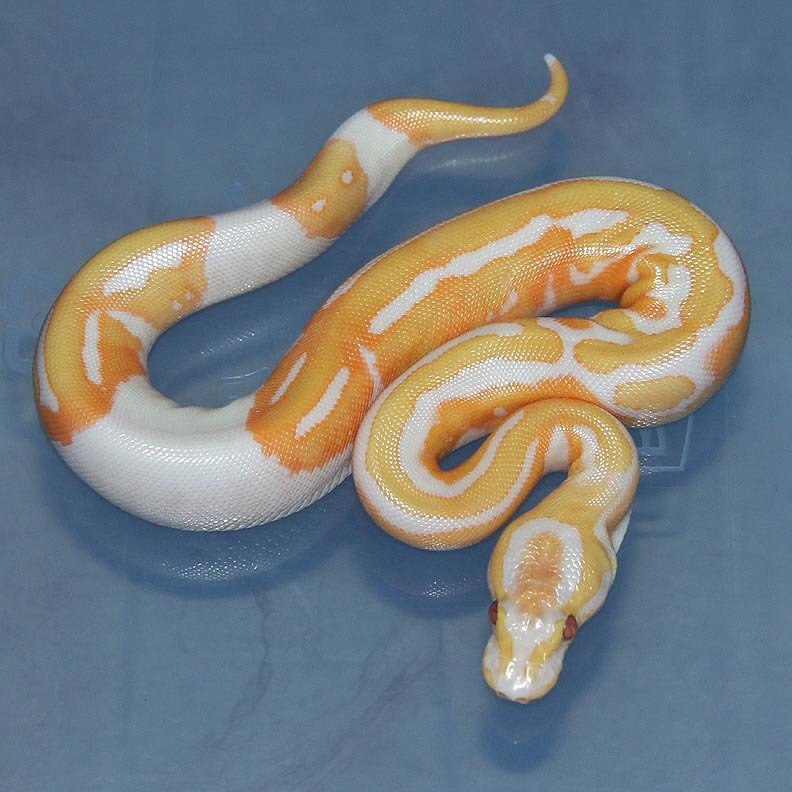 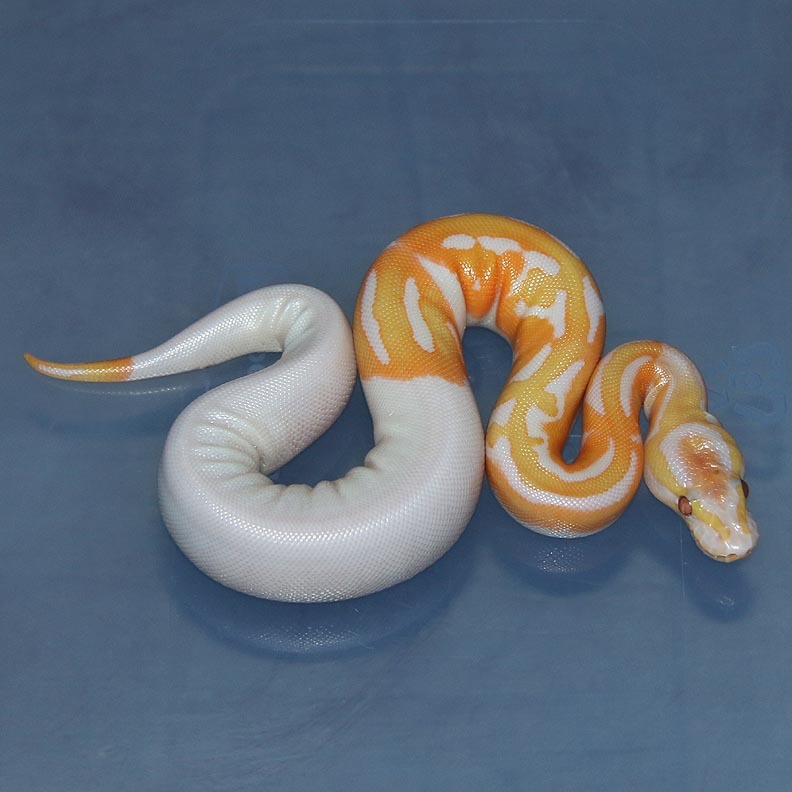 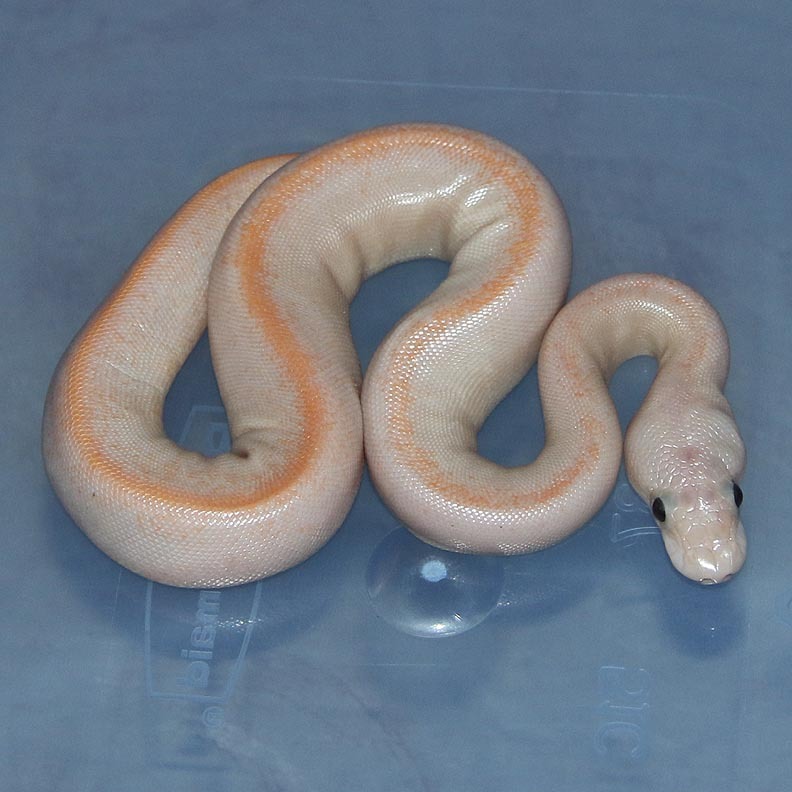 Description: Orange Ghost Genetic Stripe 1/13 x Lesser DH Orange Ghost/Genetic Stripe 1/11. 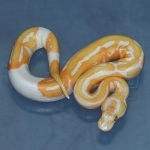 Description: Citrus Lesser Spark HRA 1/13 x Red Axanthic Champagne 2/12. 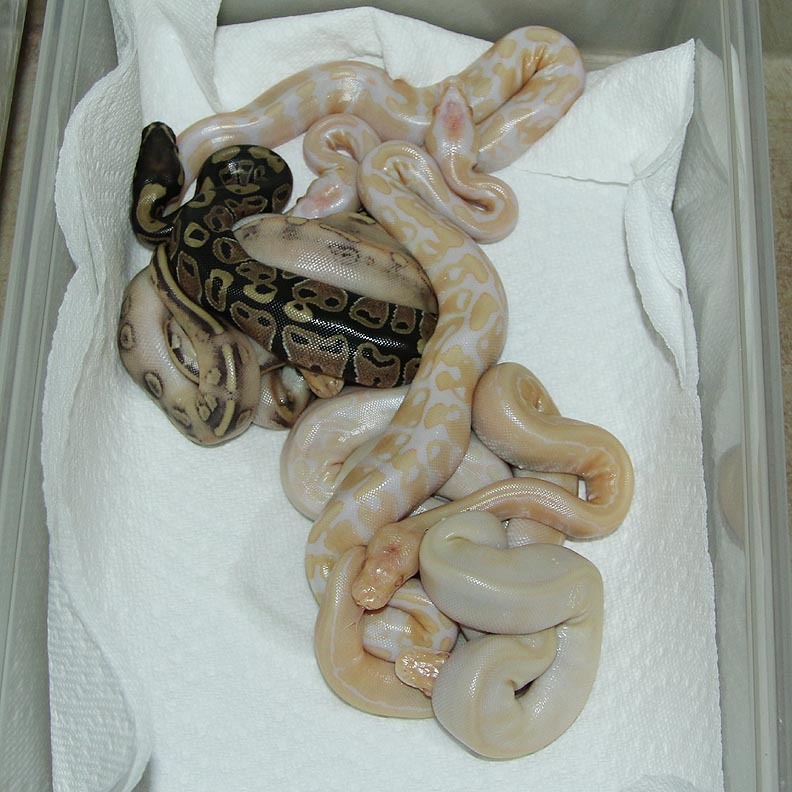 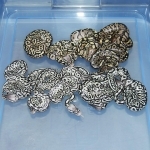 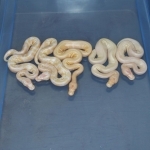 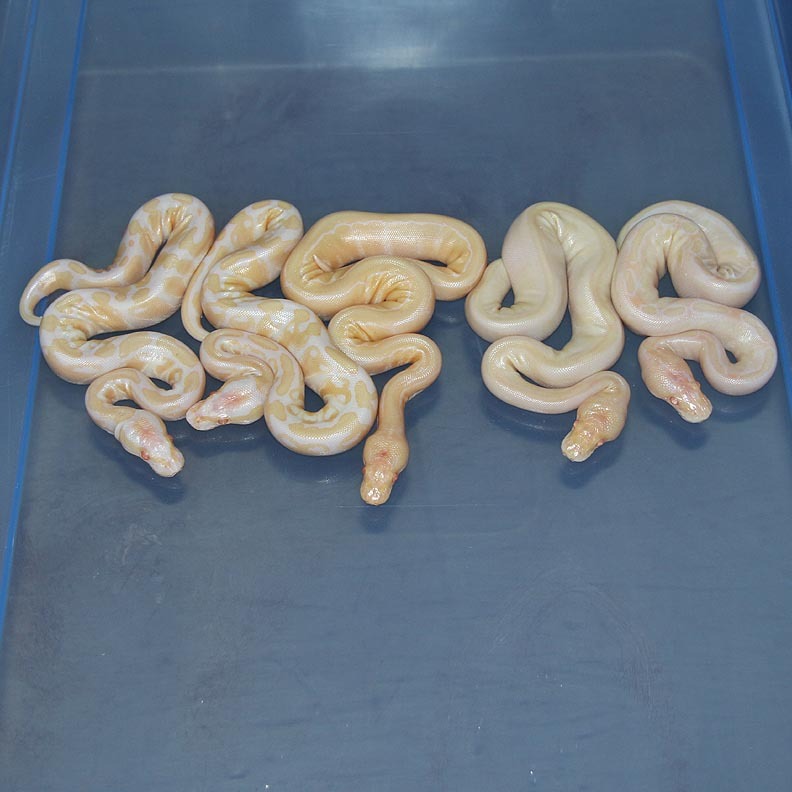 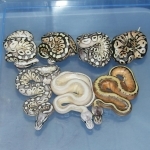 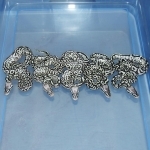 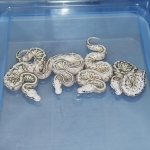 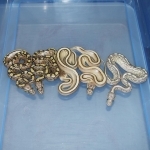 Will have to let the white snakes colour up a bit before I can see what is in them. 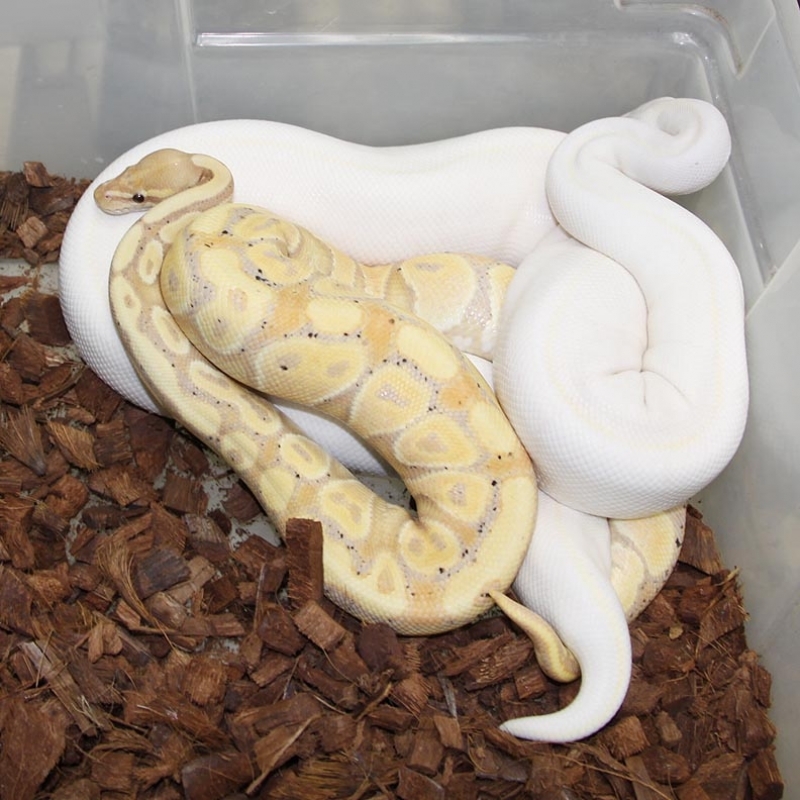 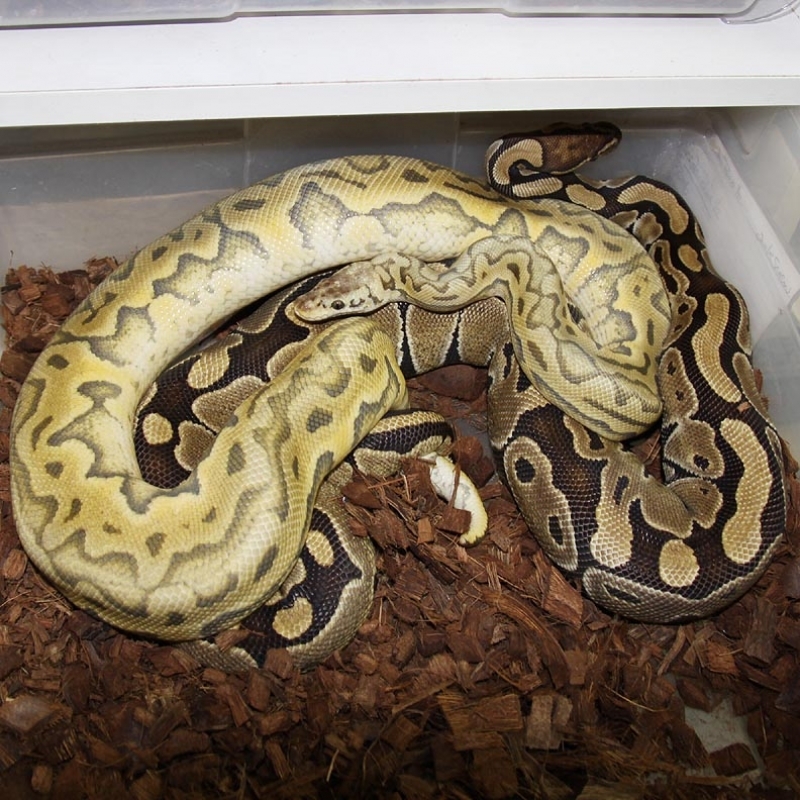 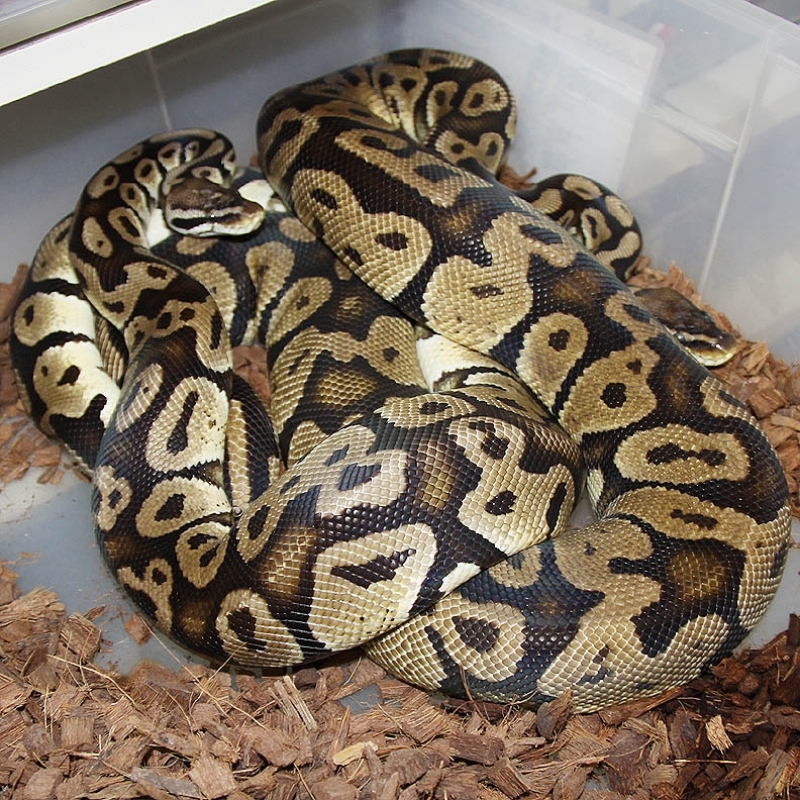 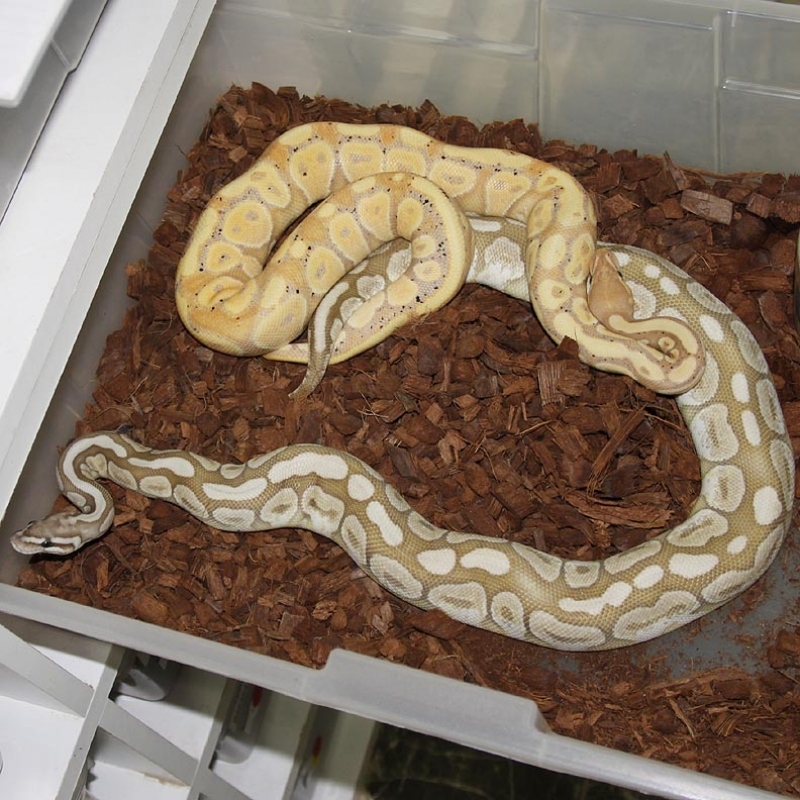 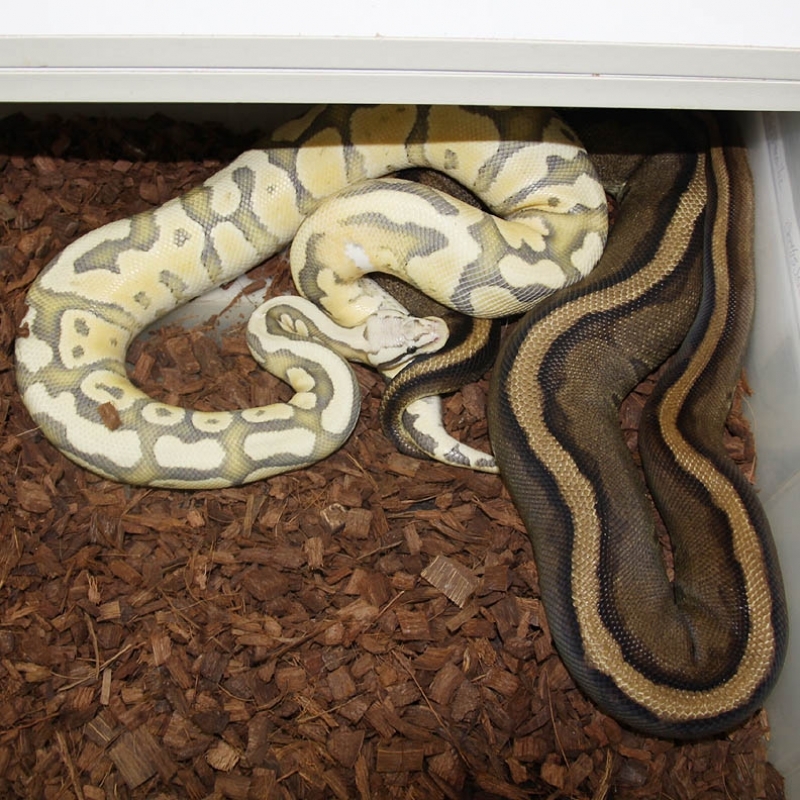 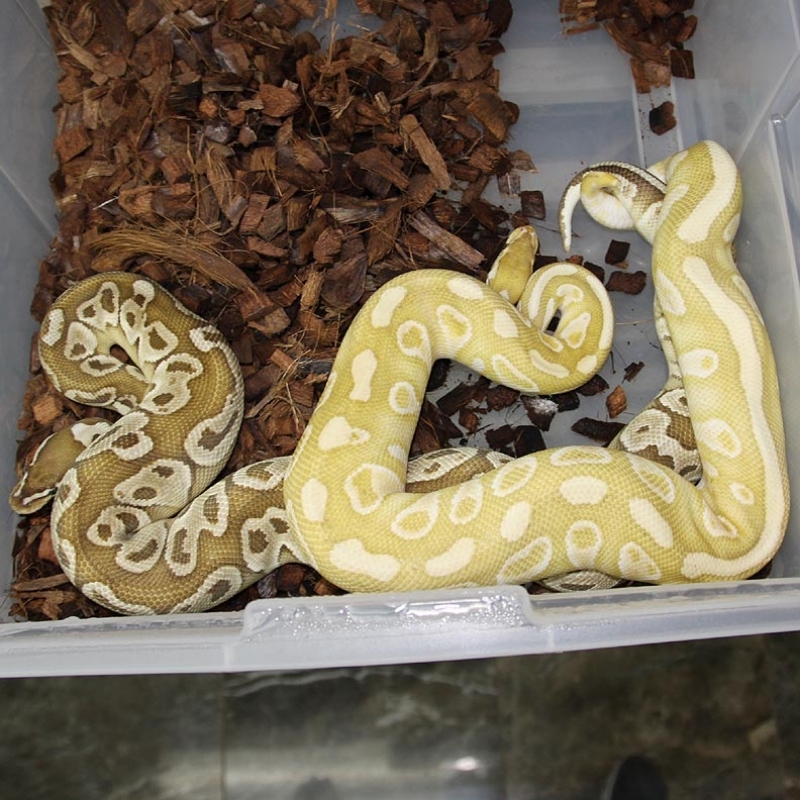 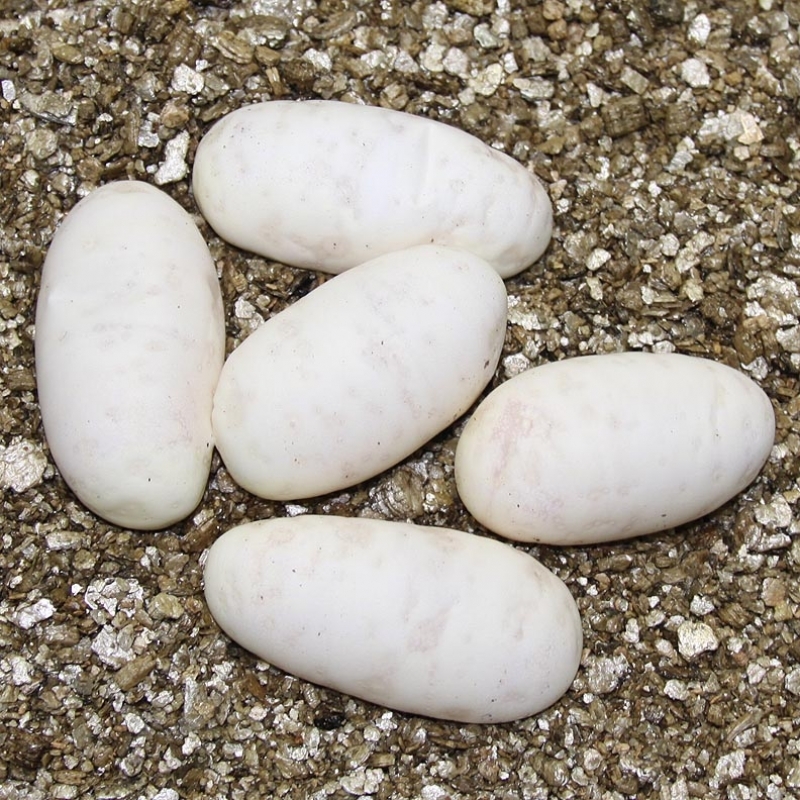 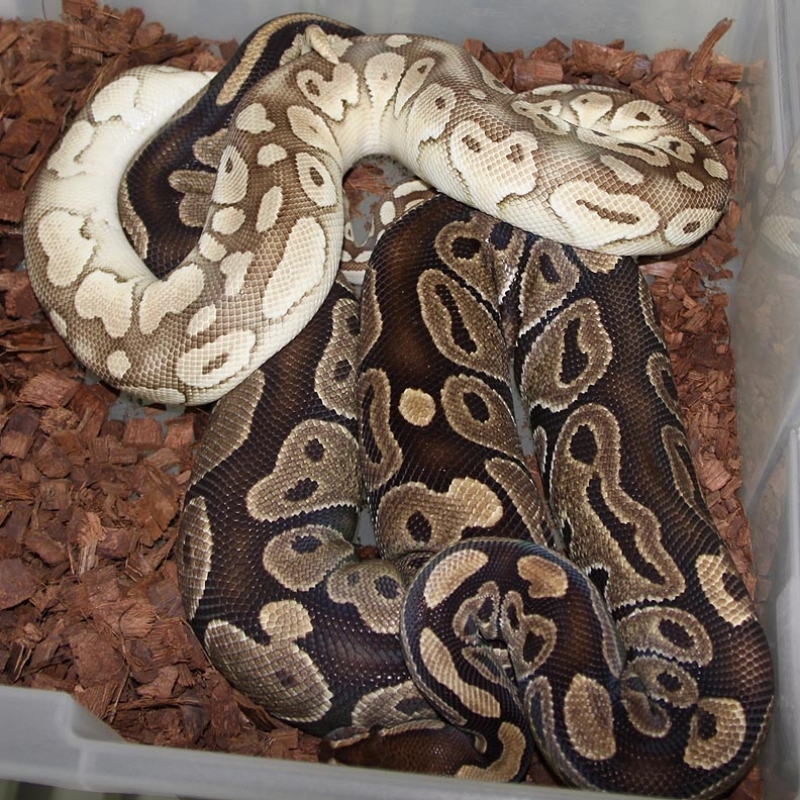 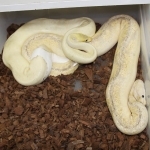 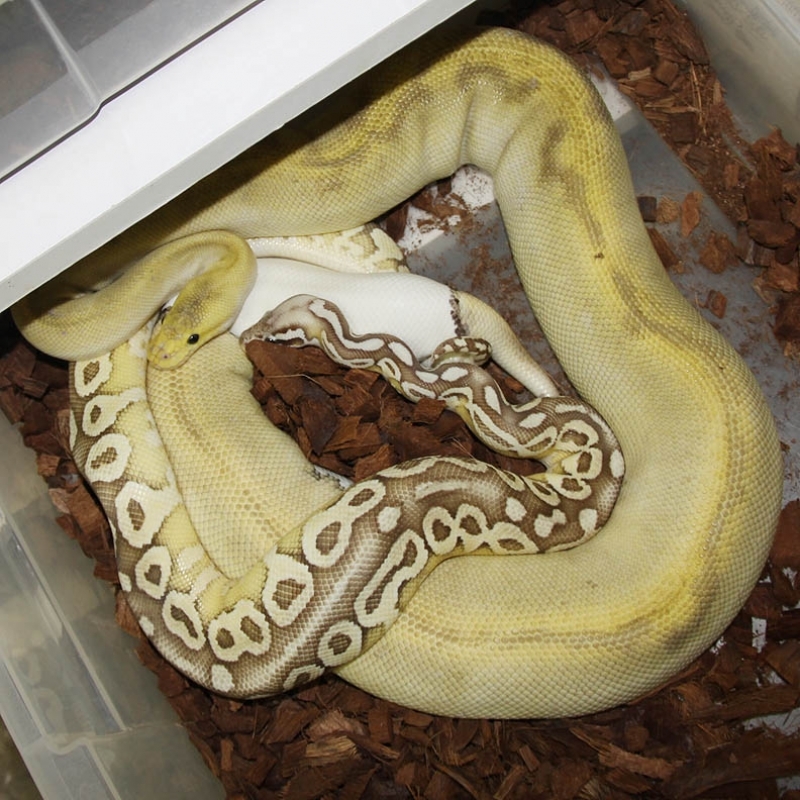 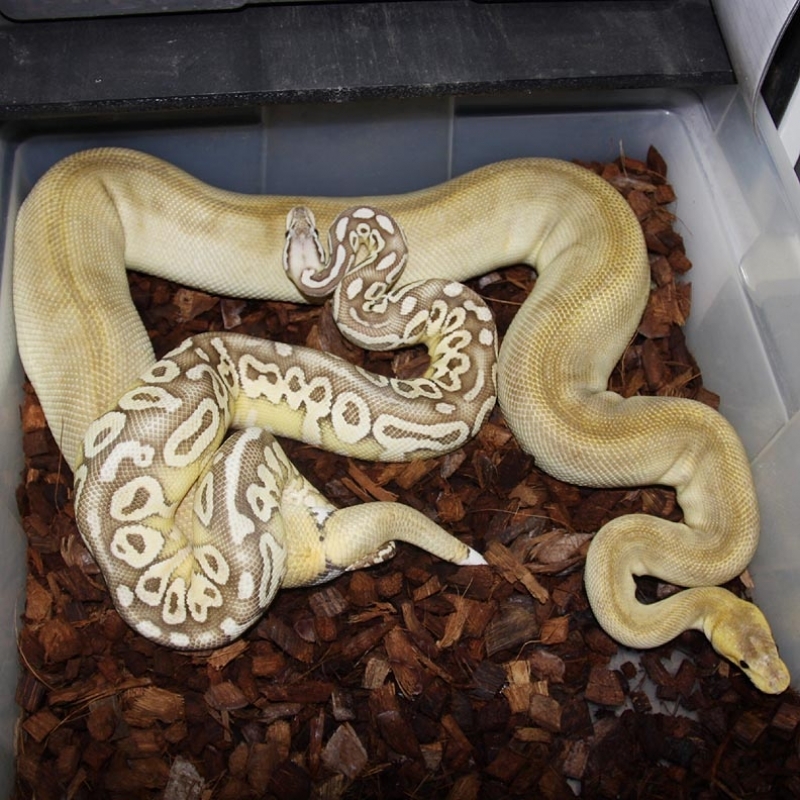 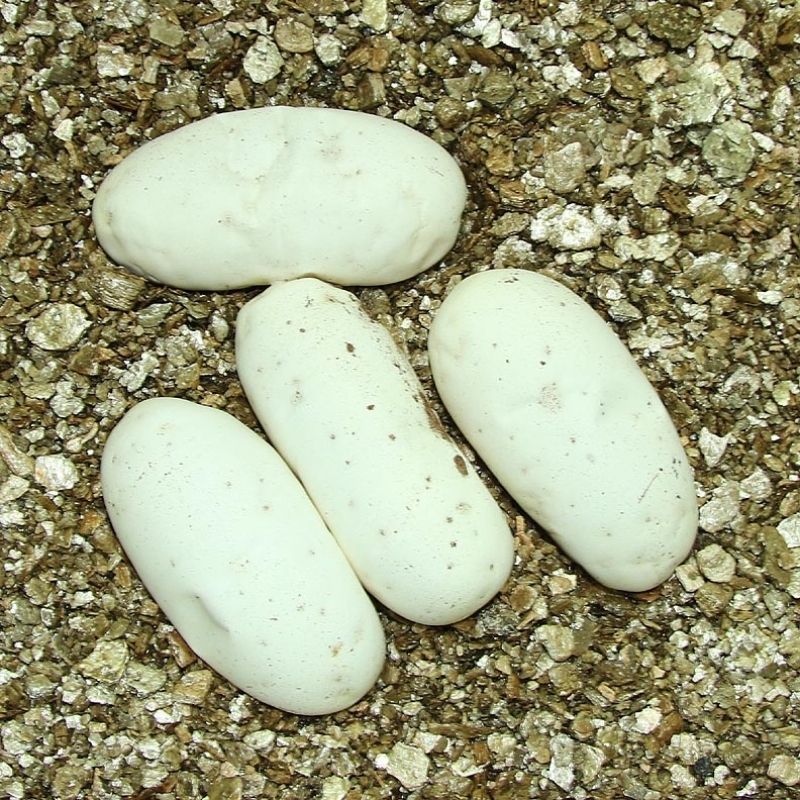 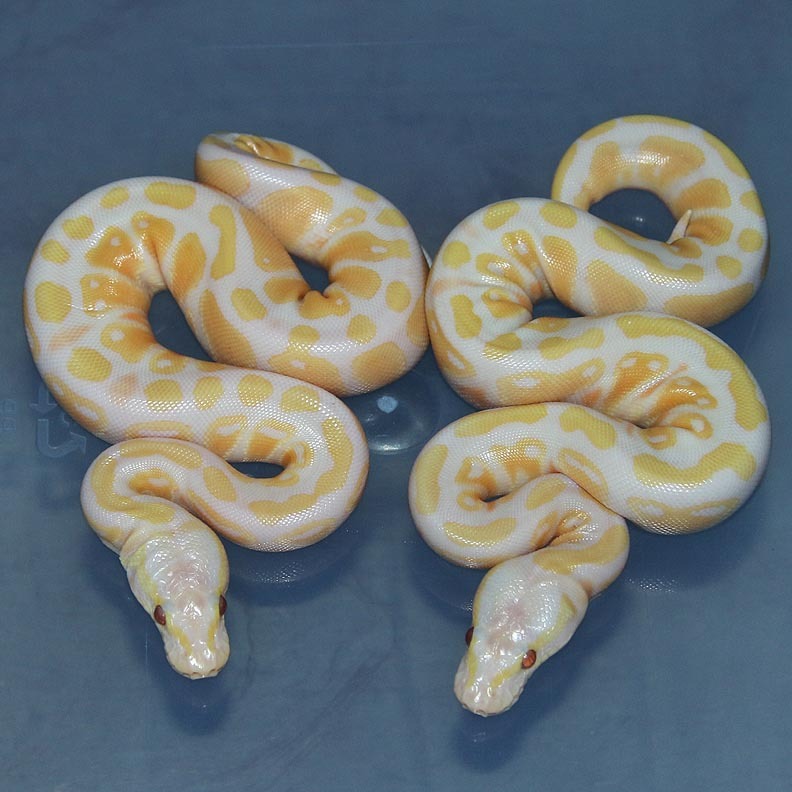 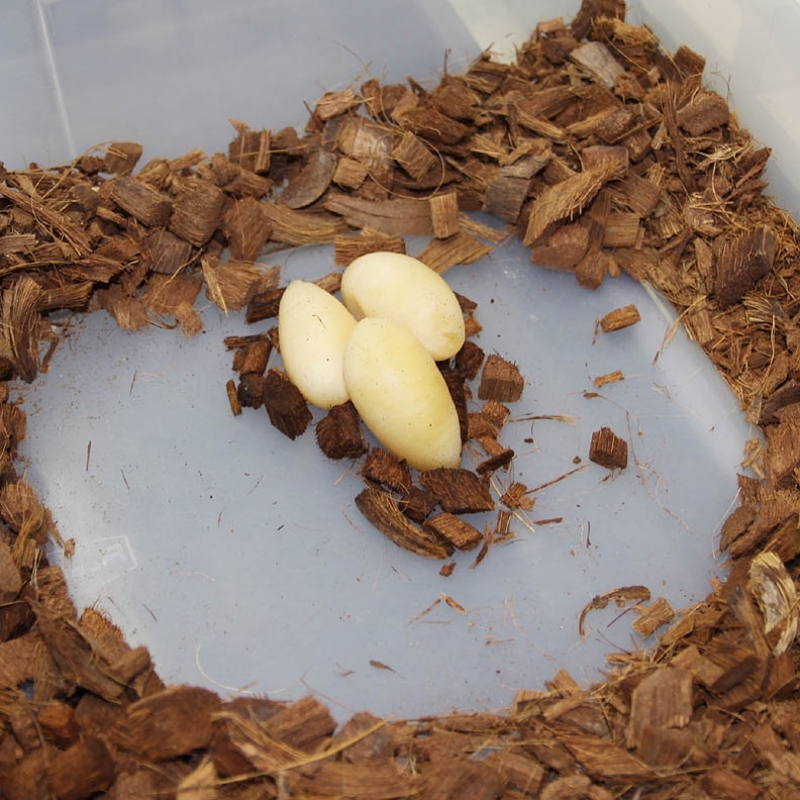 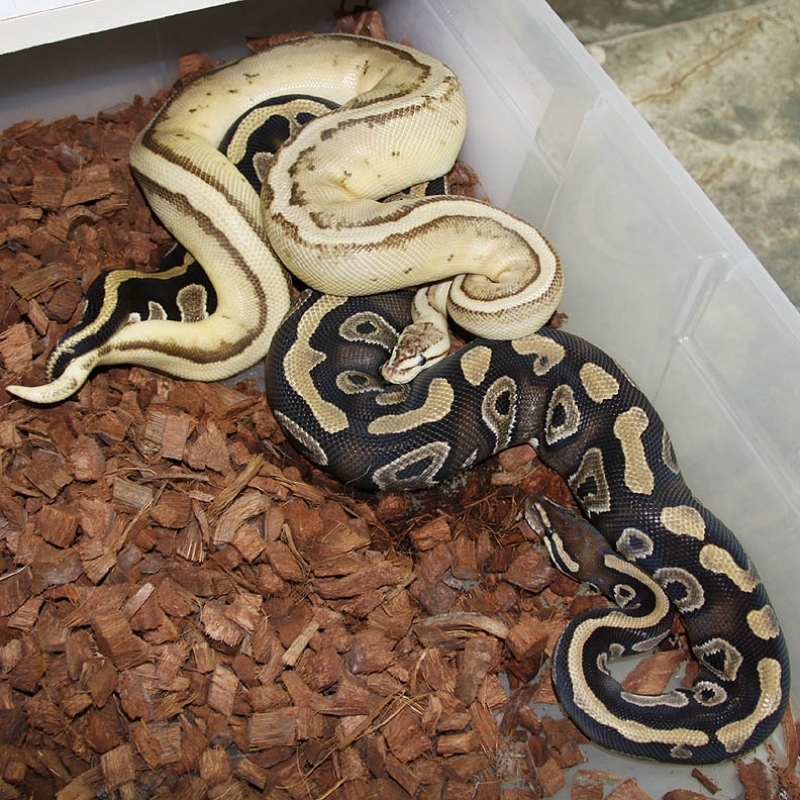 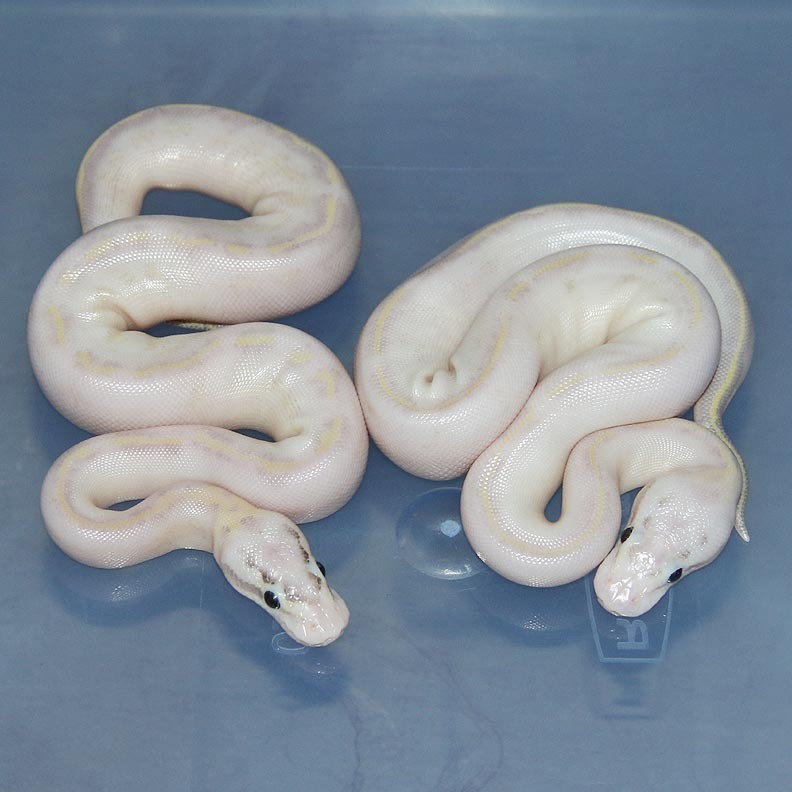 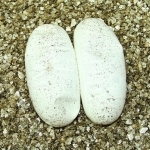 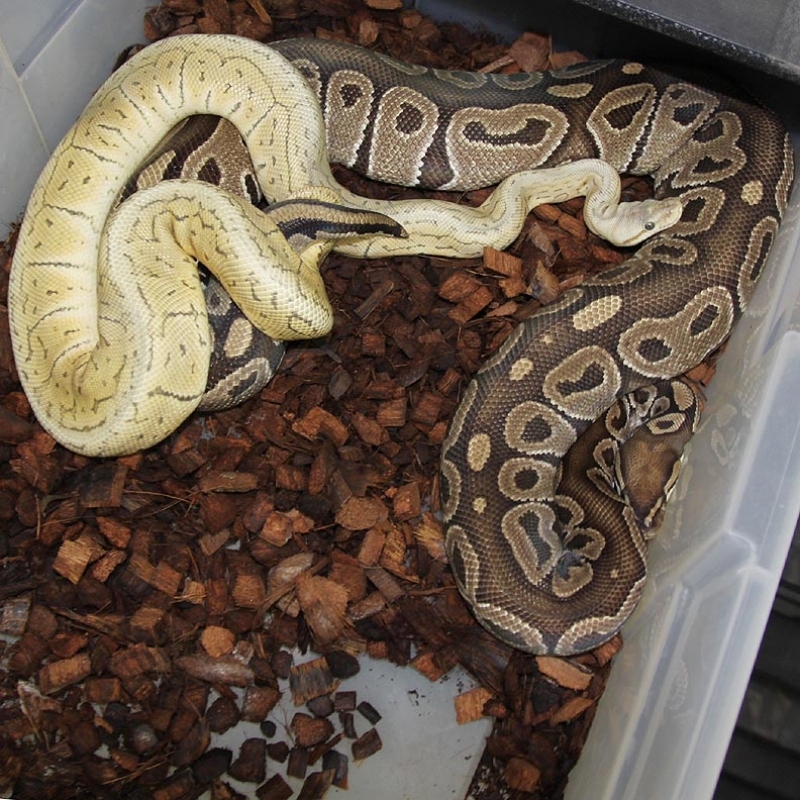 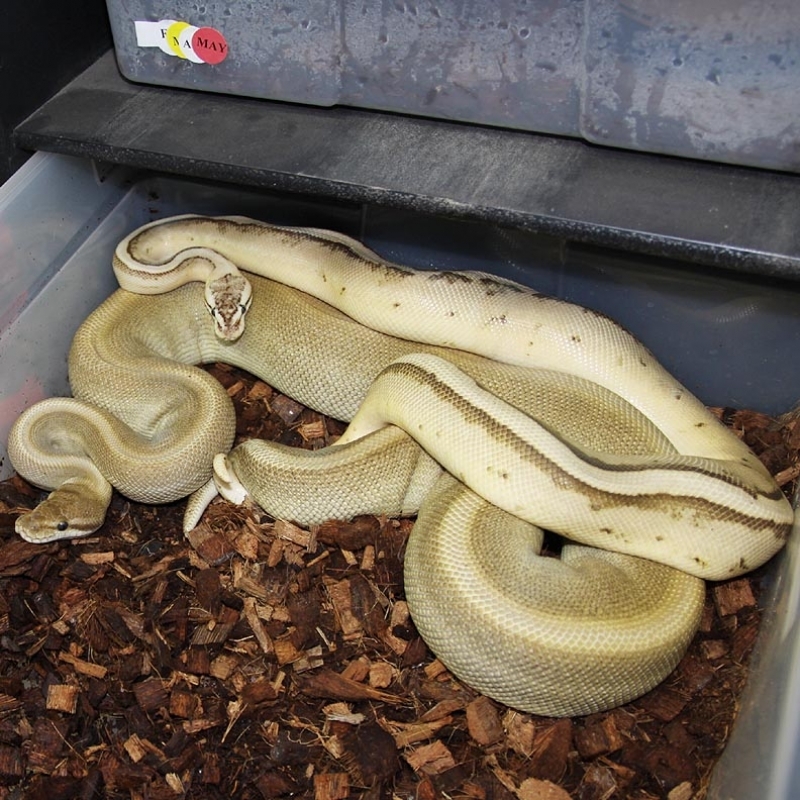 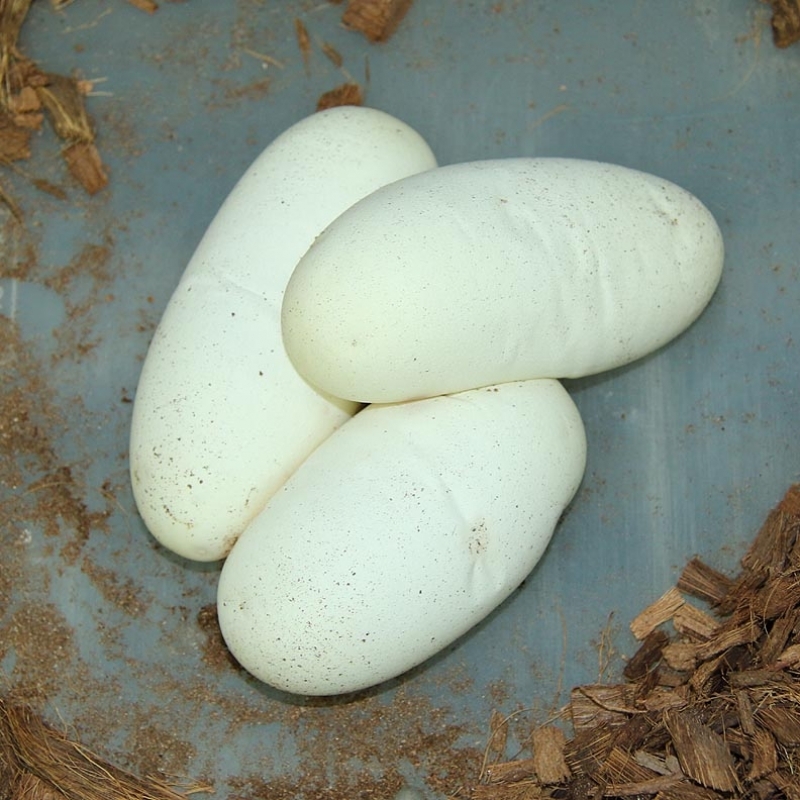 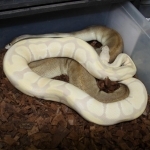 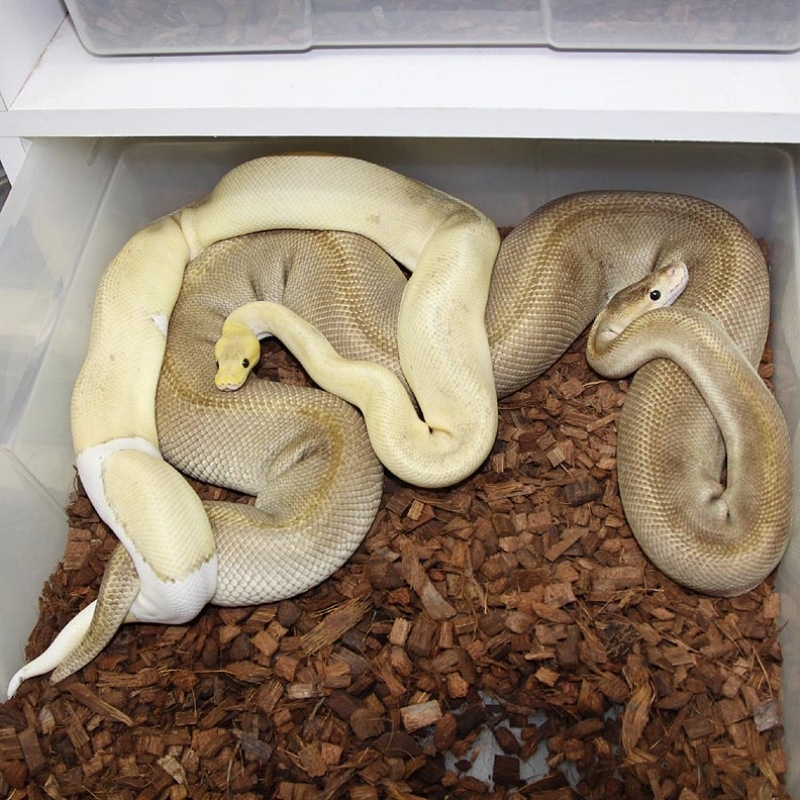 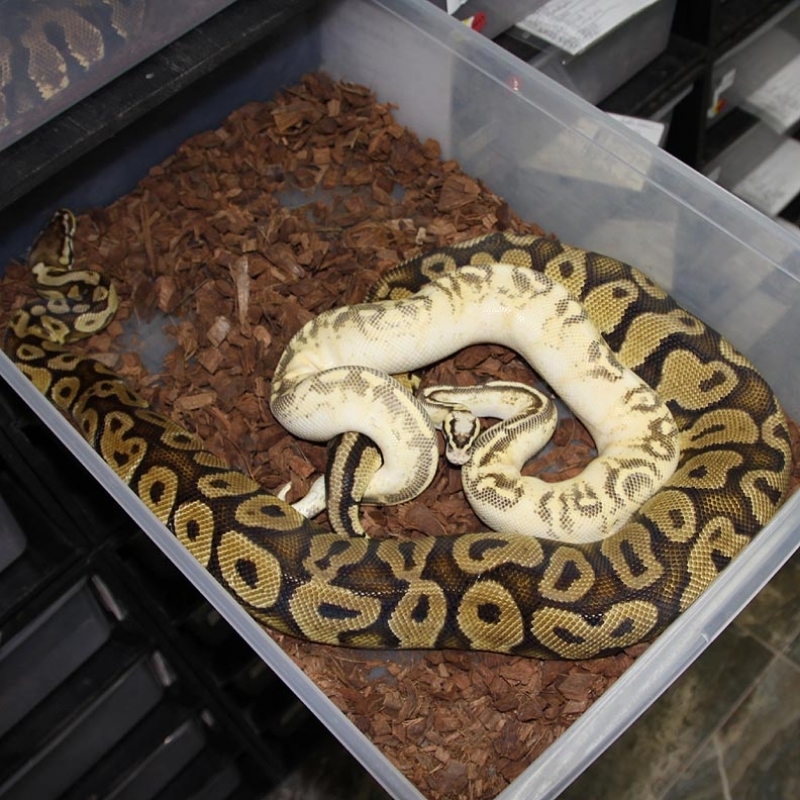 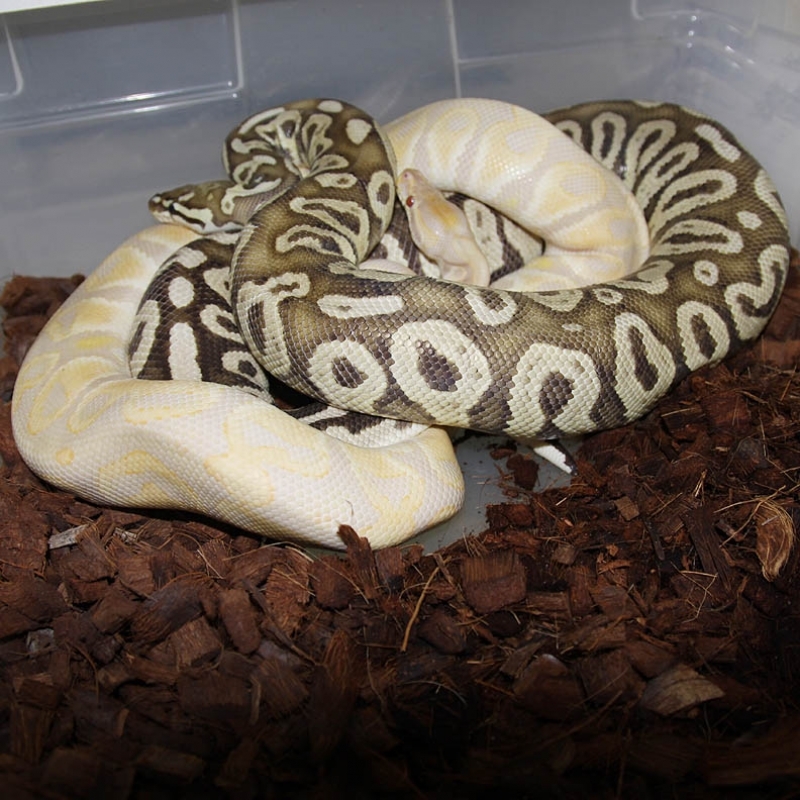 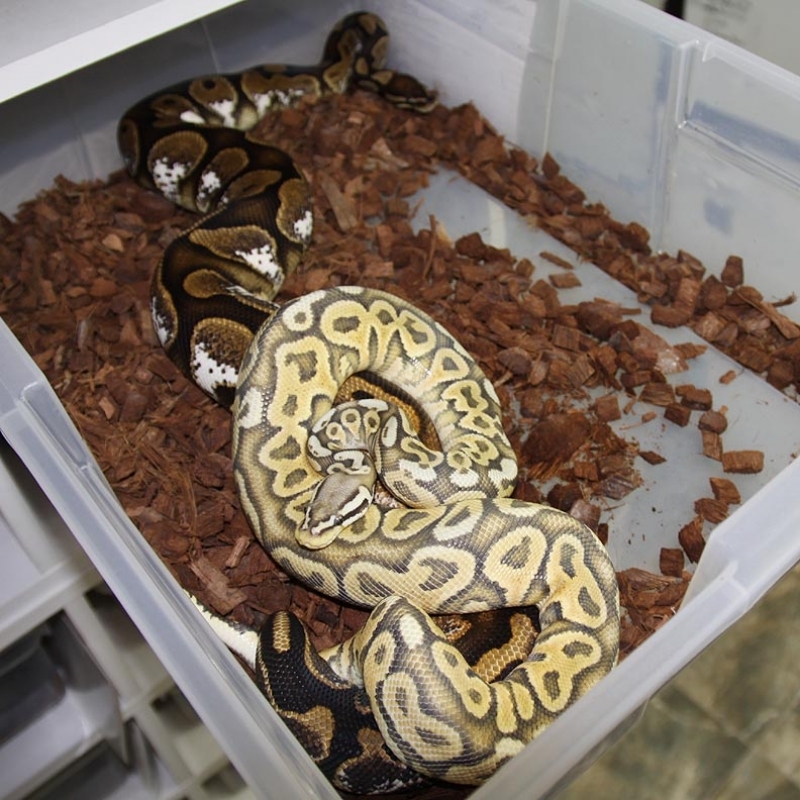 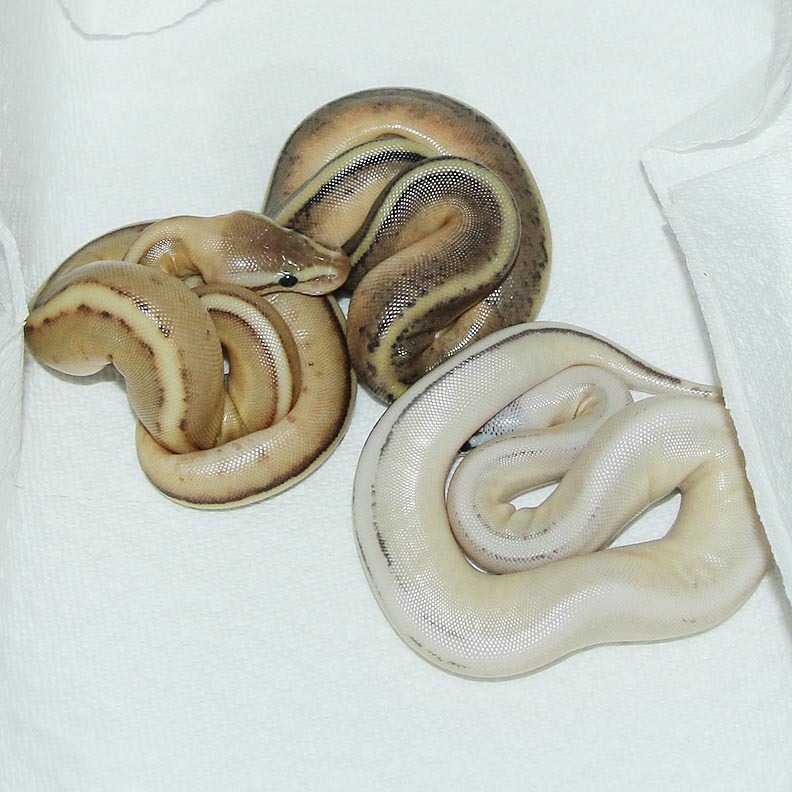 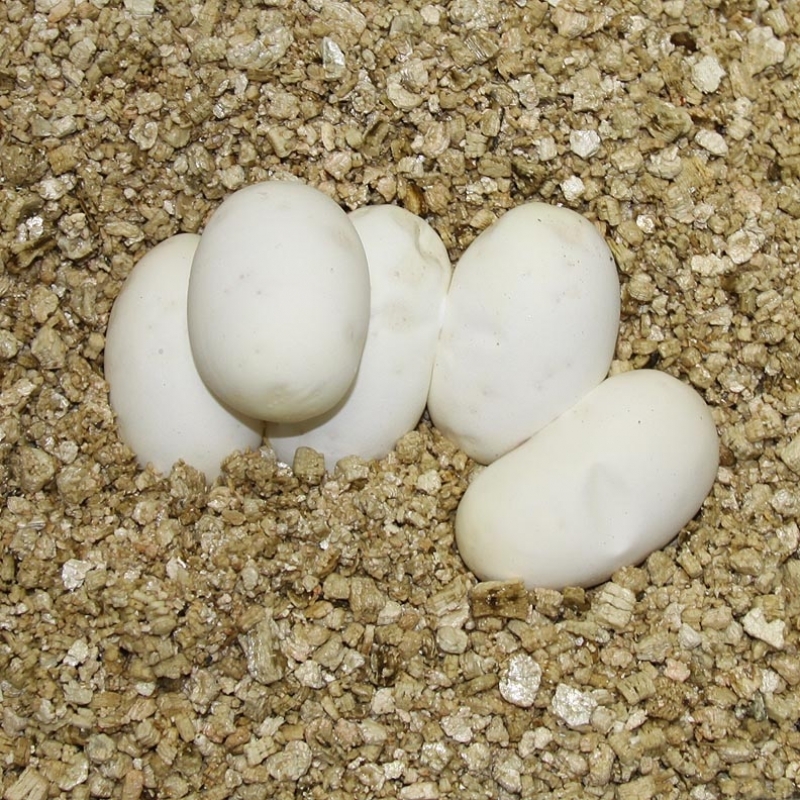 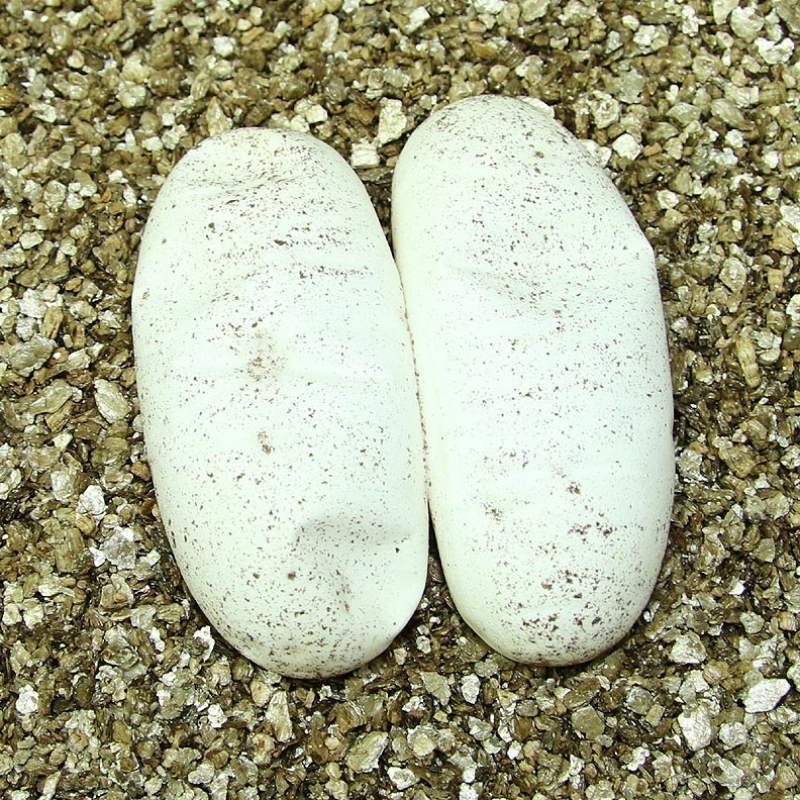 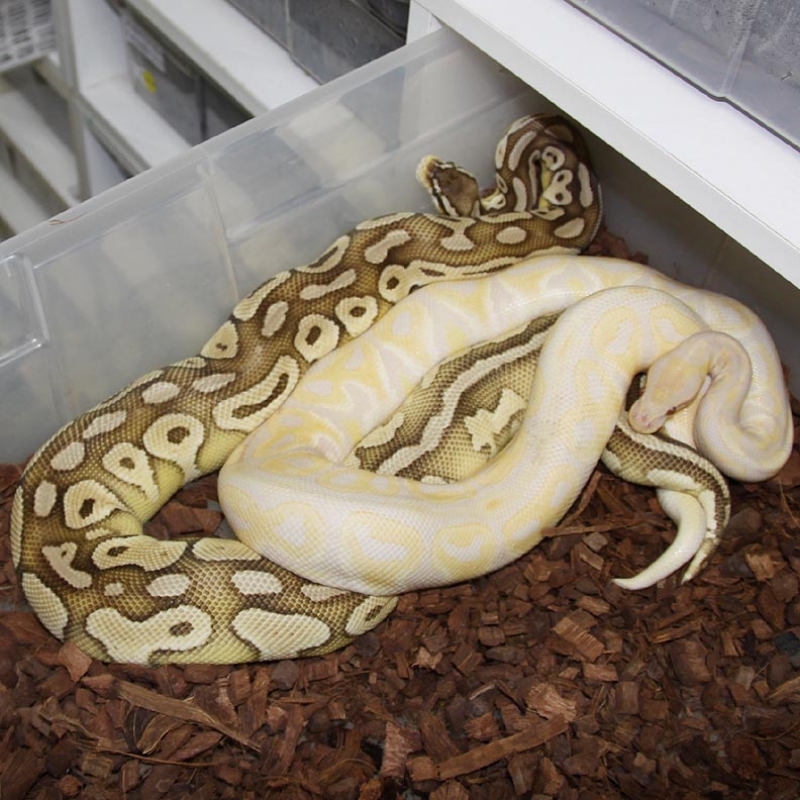 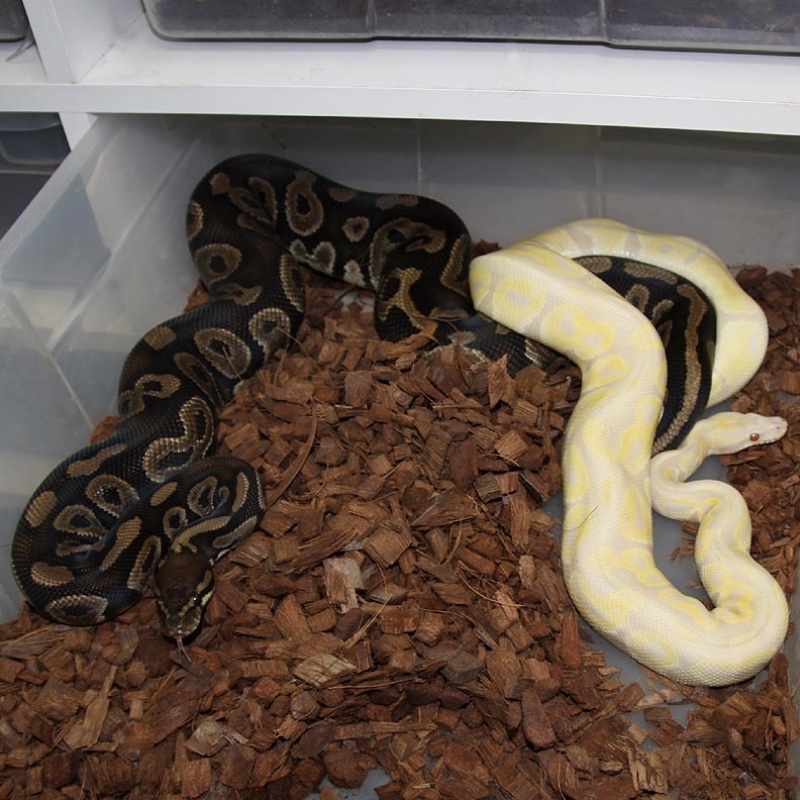 This pair produced a Pastel Desert Ghost female out of 9 eggs in 2014. 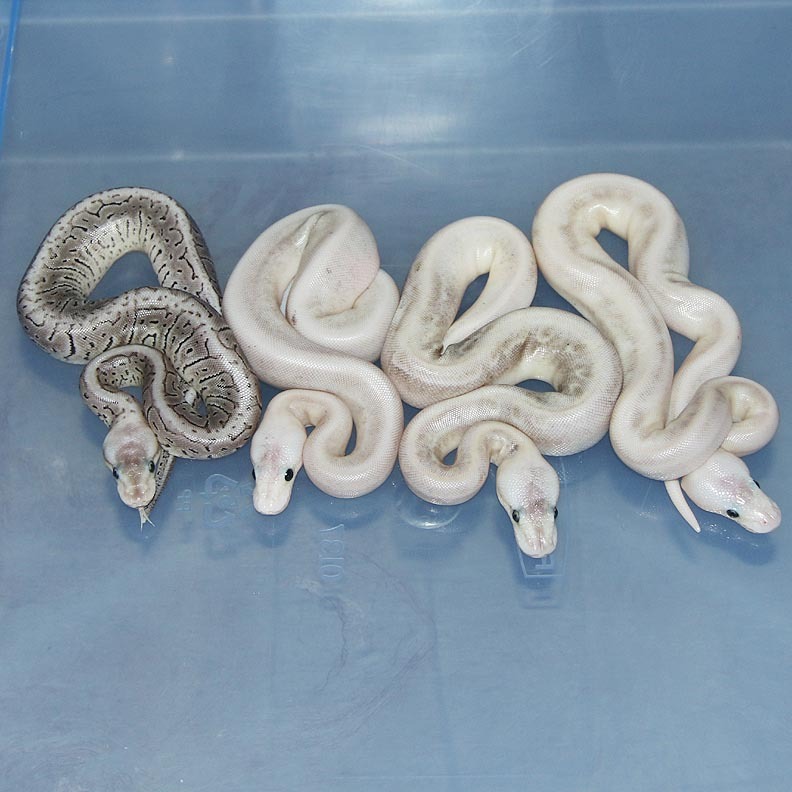 I'm hoping to make up for the bad odds last year with a few extra Desert Ghosts in this clutch (wouldn't that be nice!). 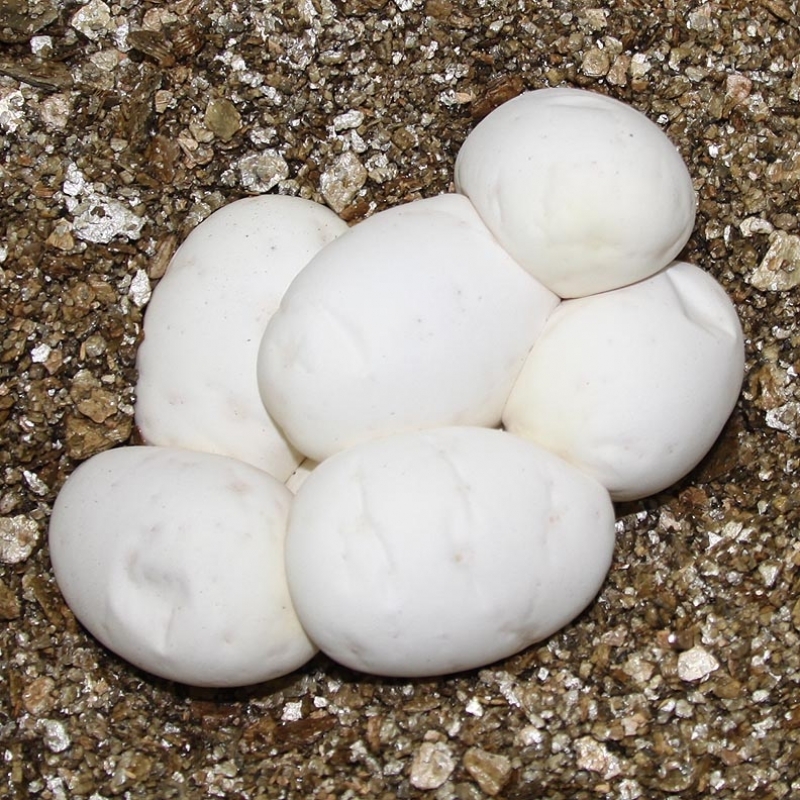 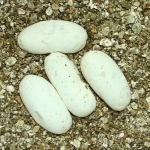 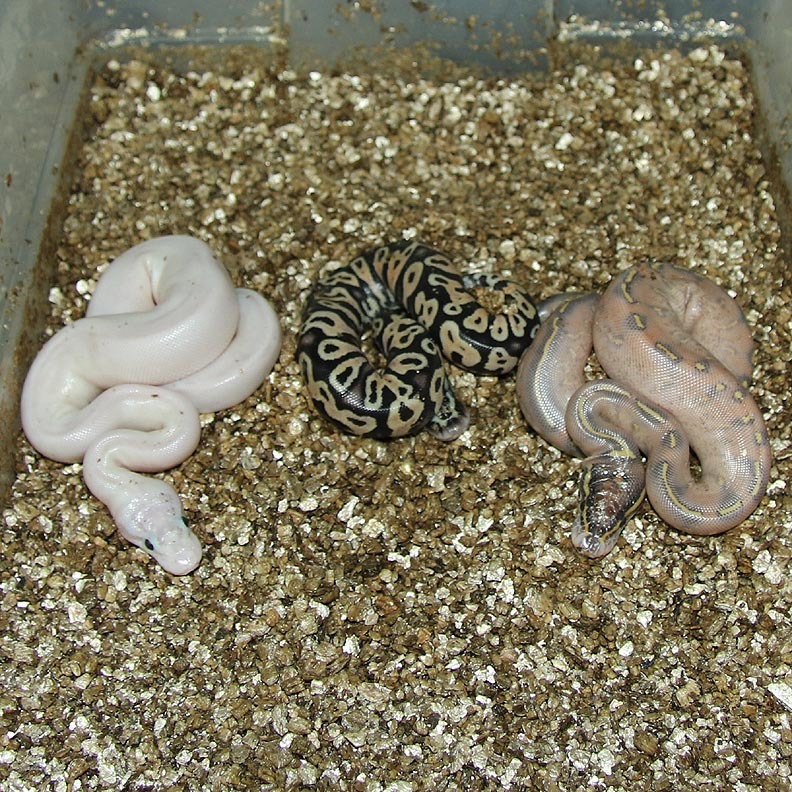 I'm no expert on Desert Ghosts but I believe I have 3 in this clutch! 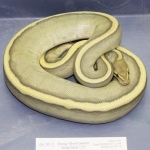 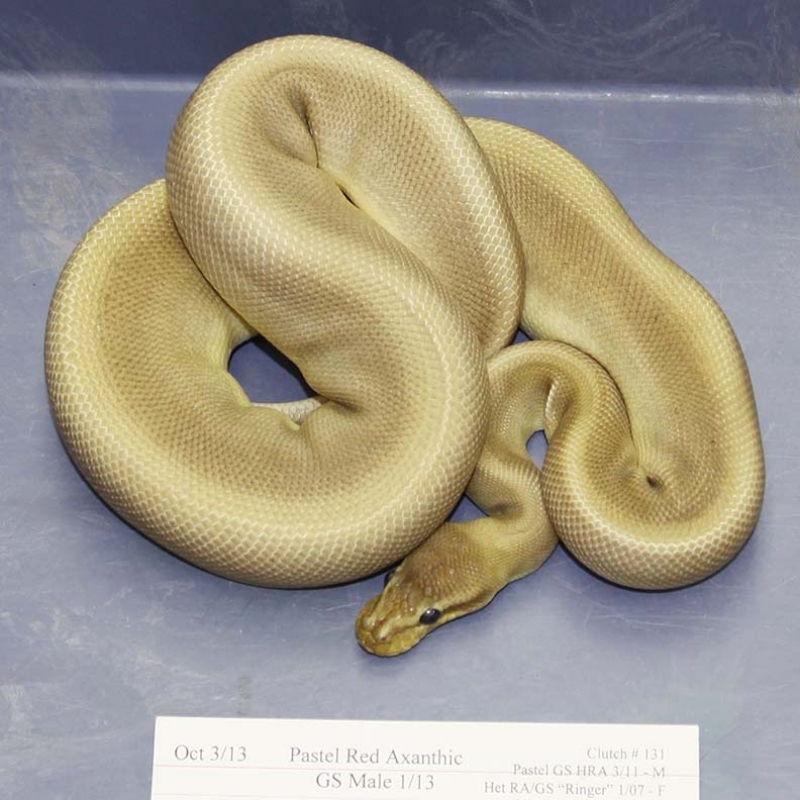 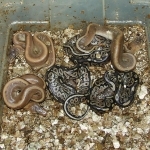 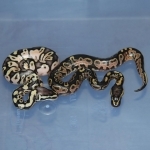 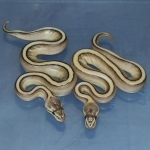 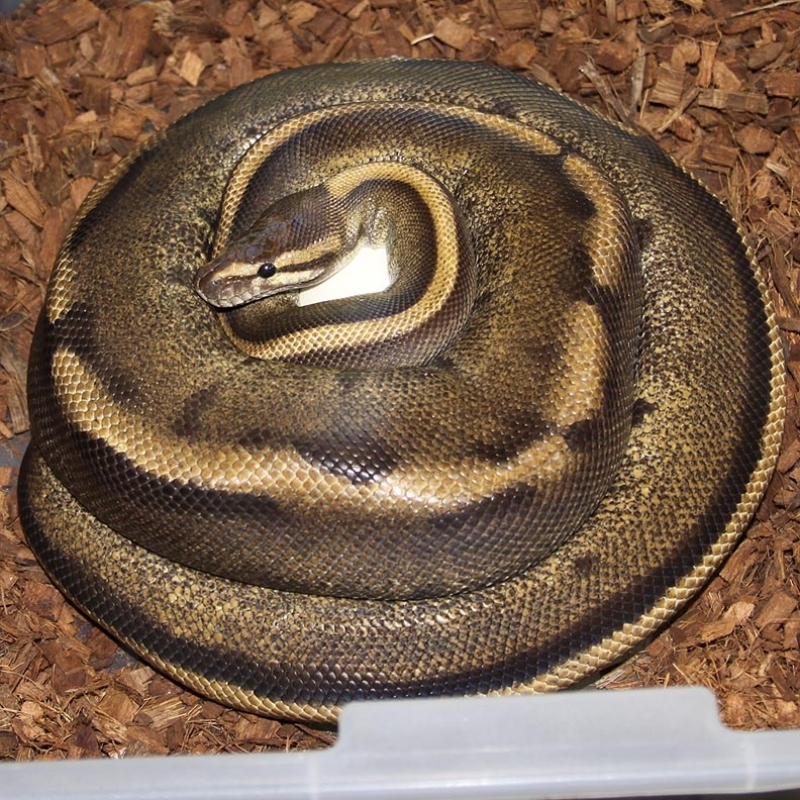 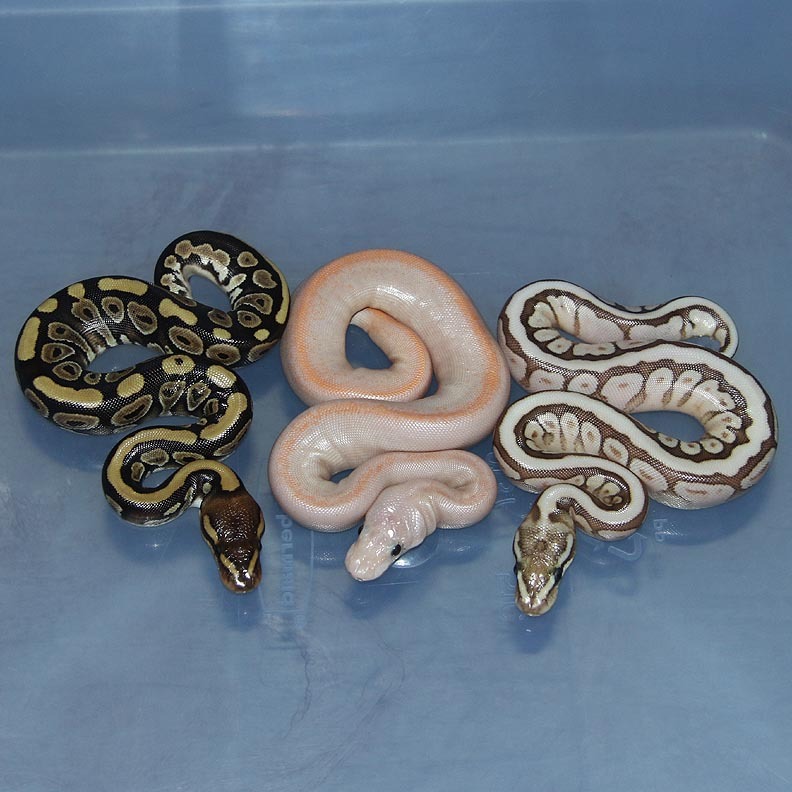 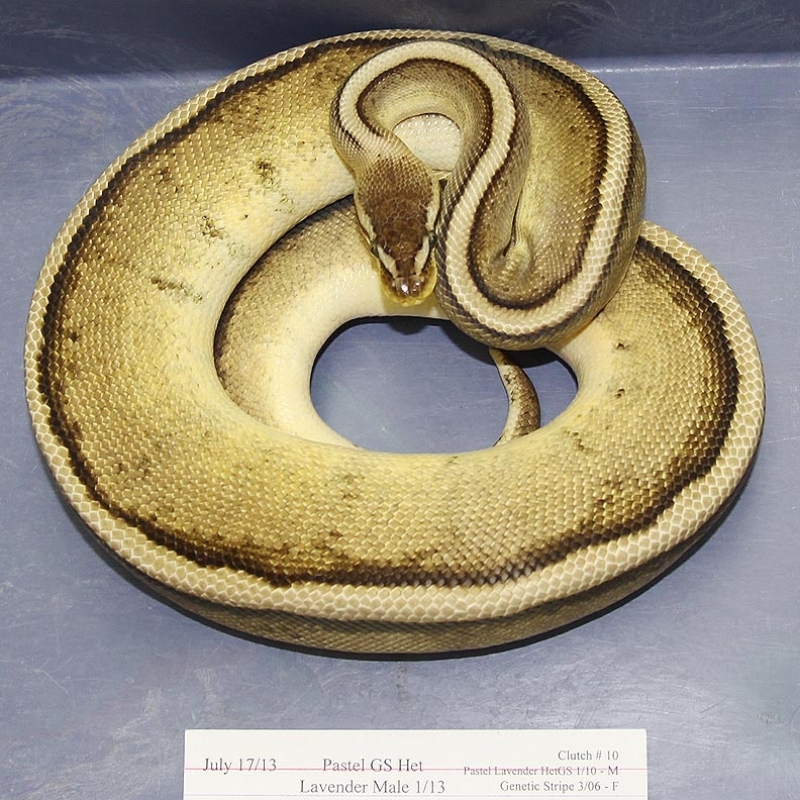 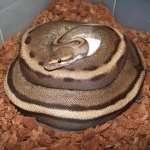 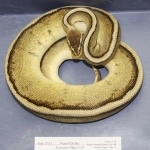 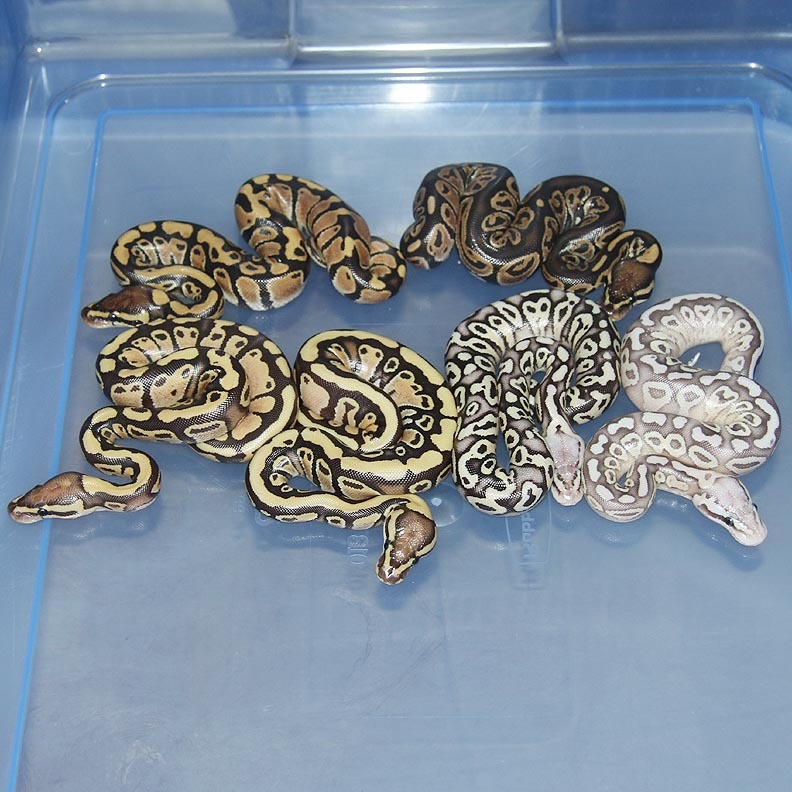 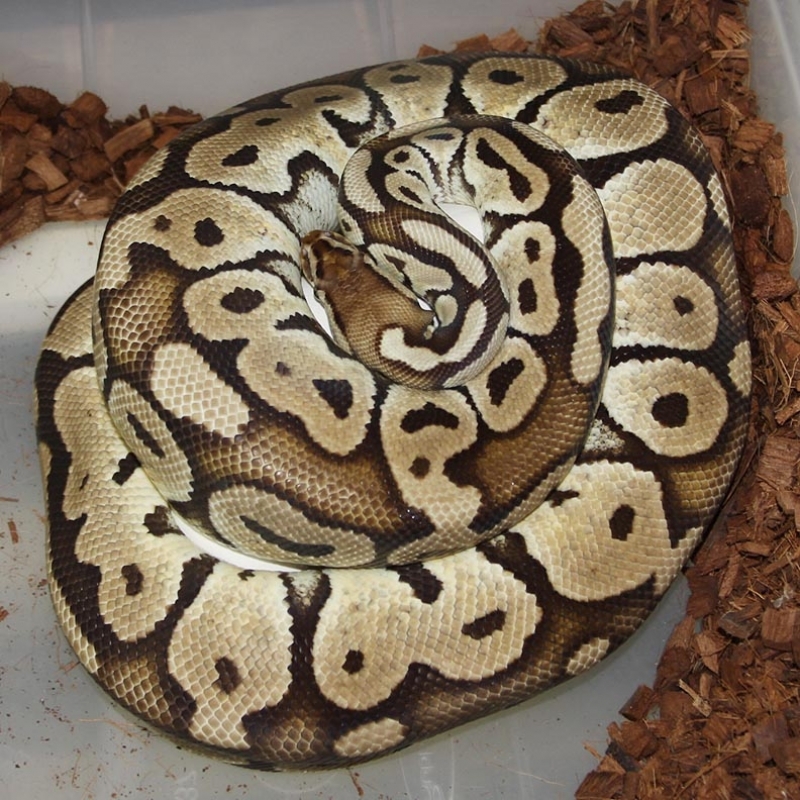 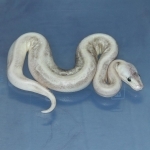 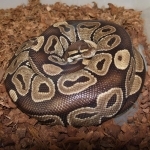 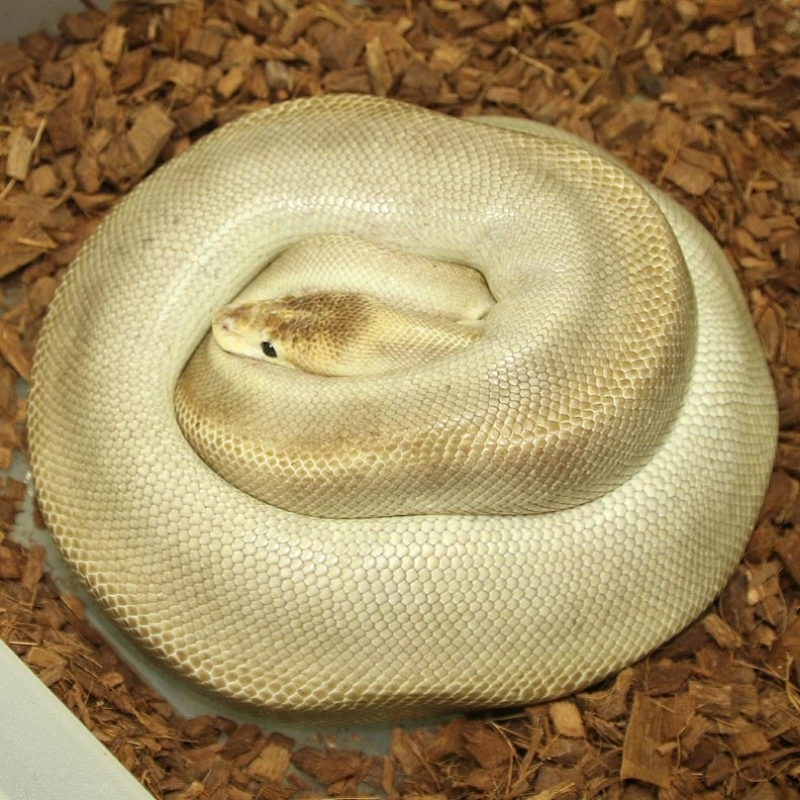 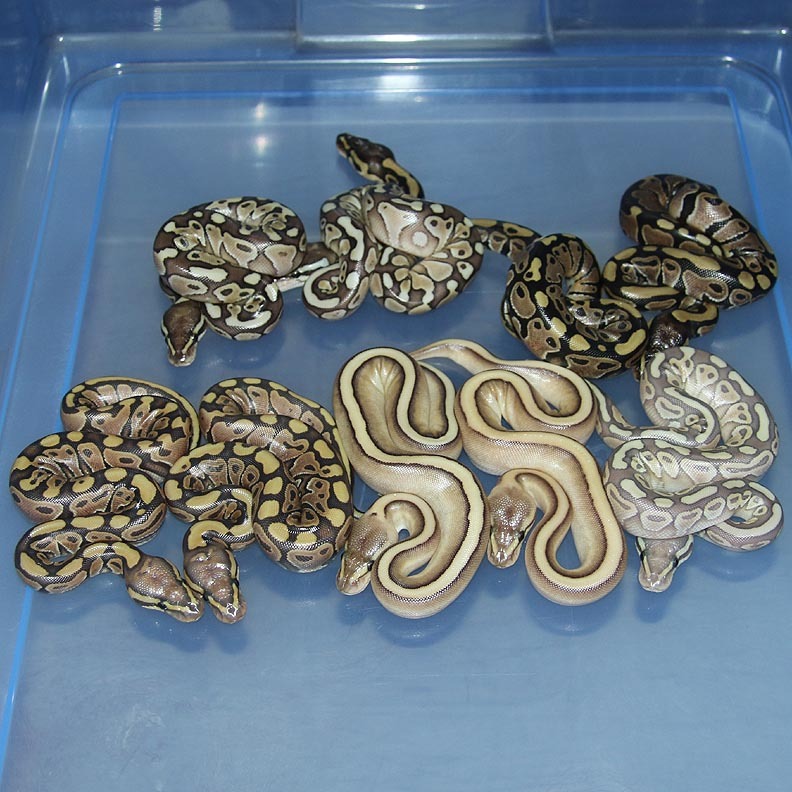 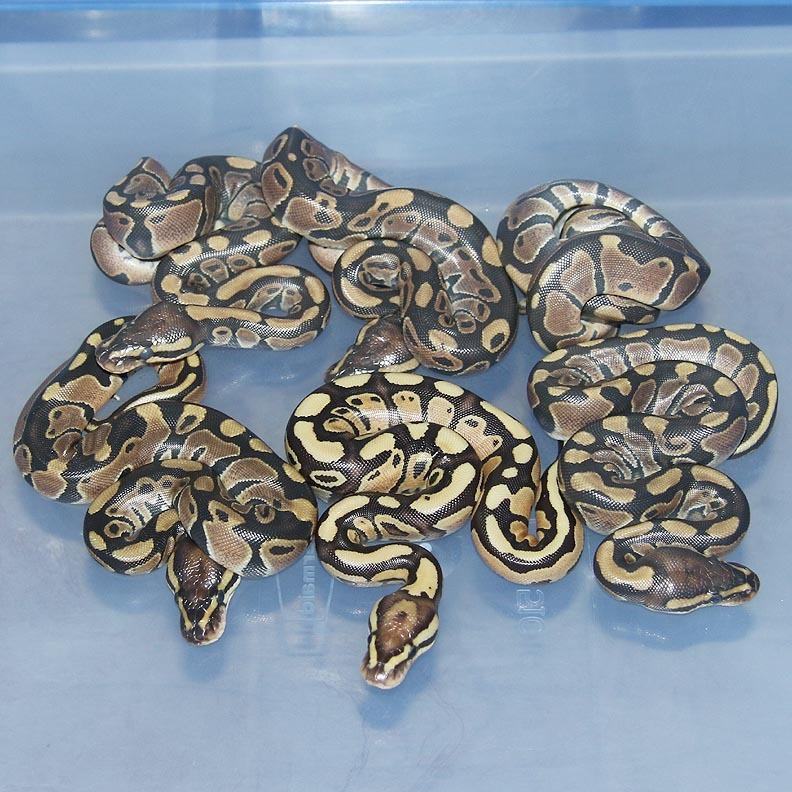 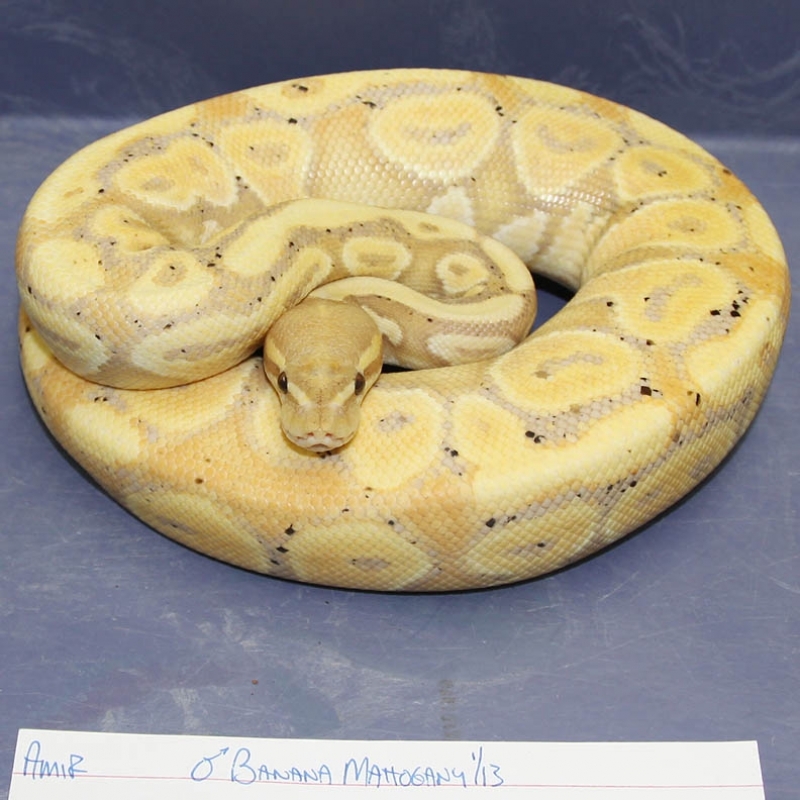 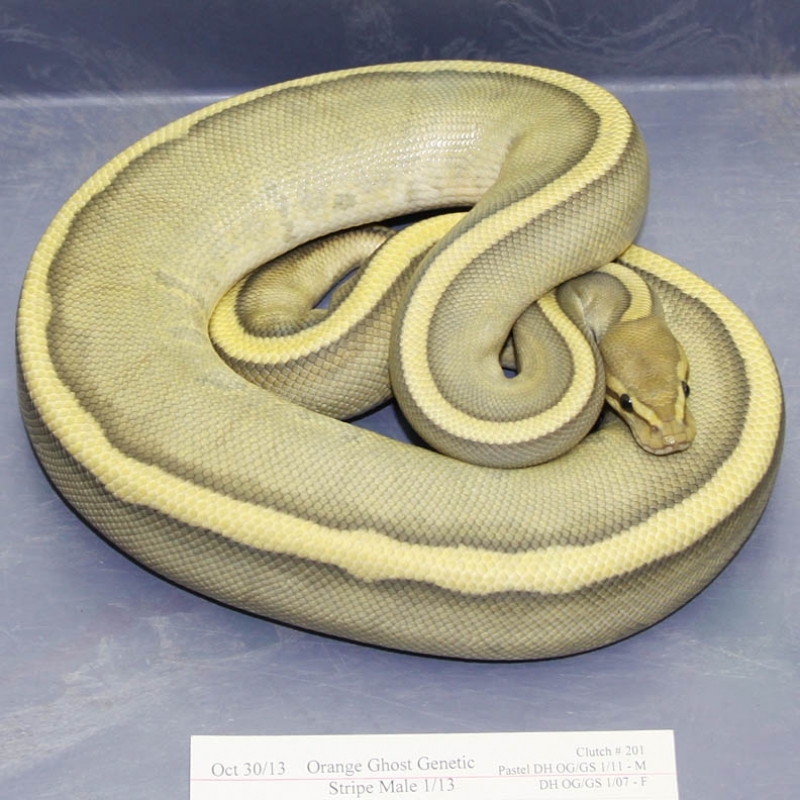 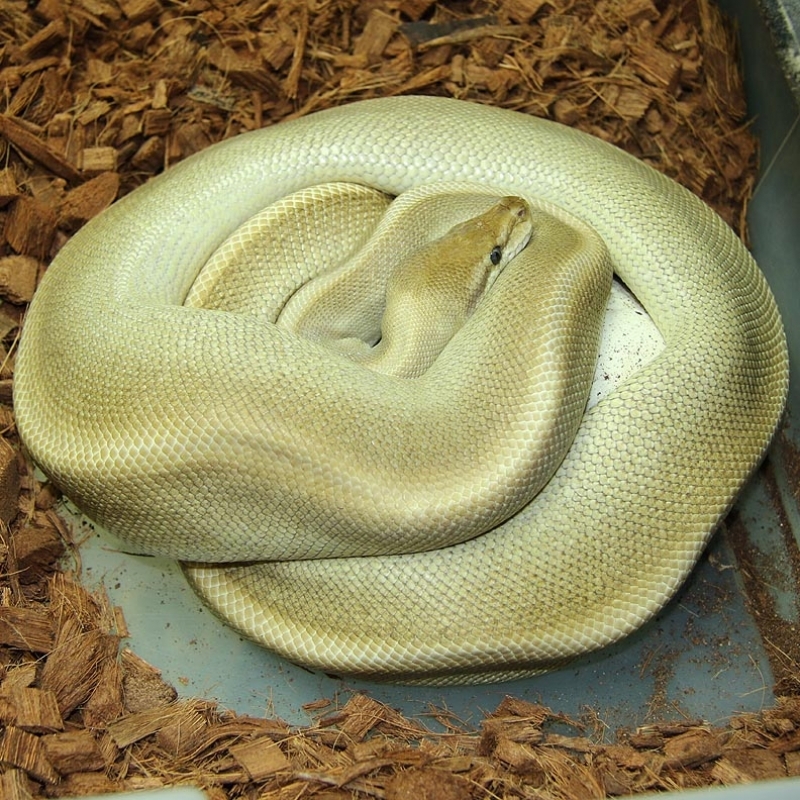 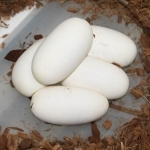 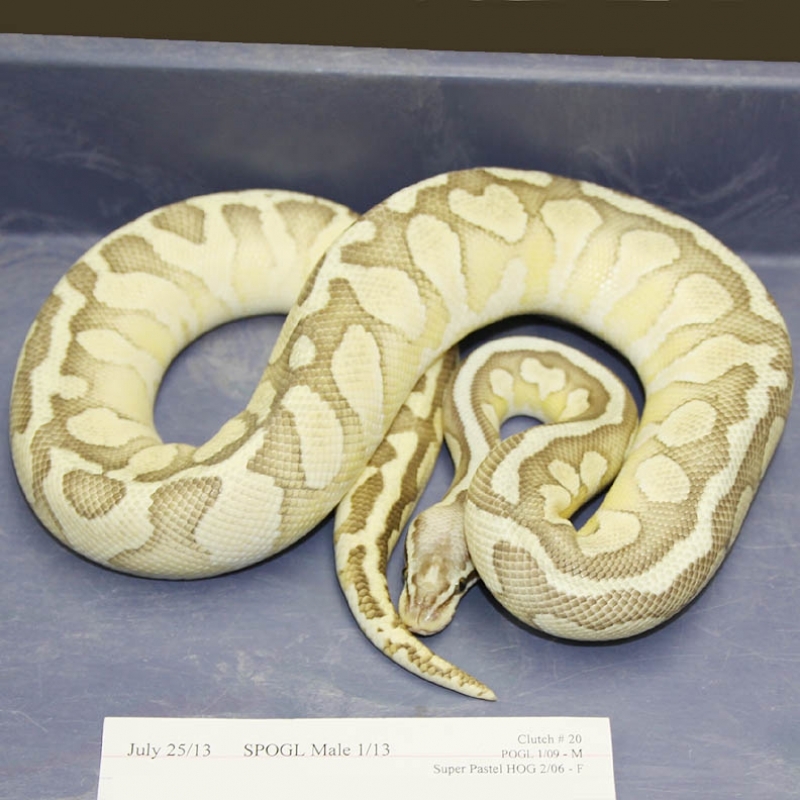 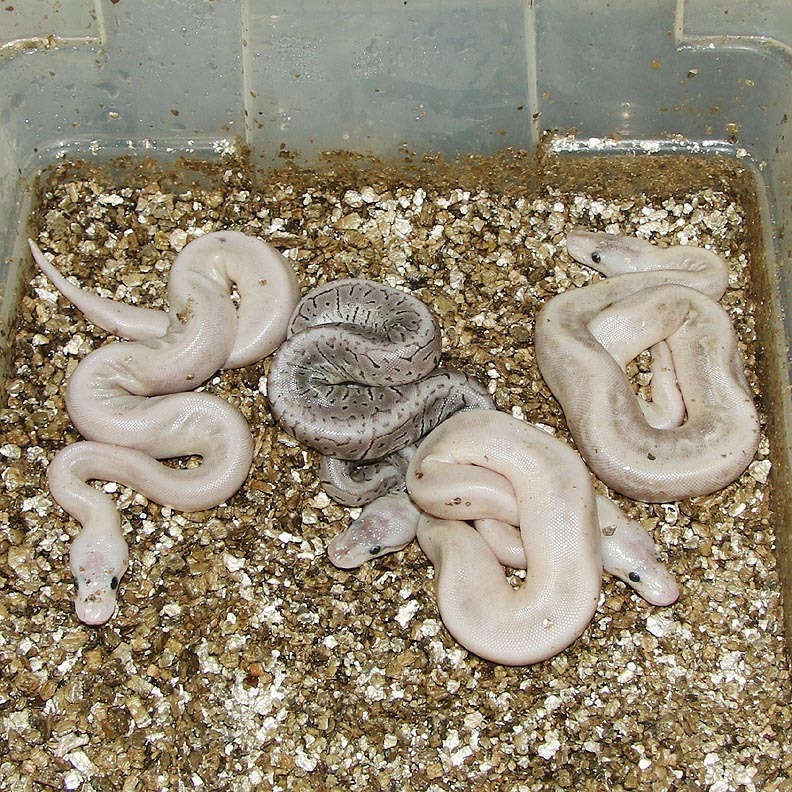 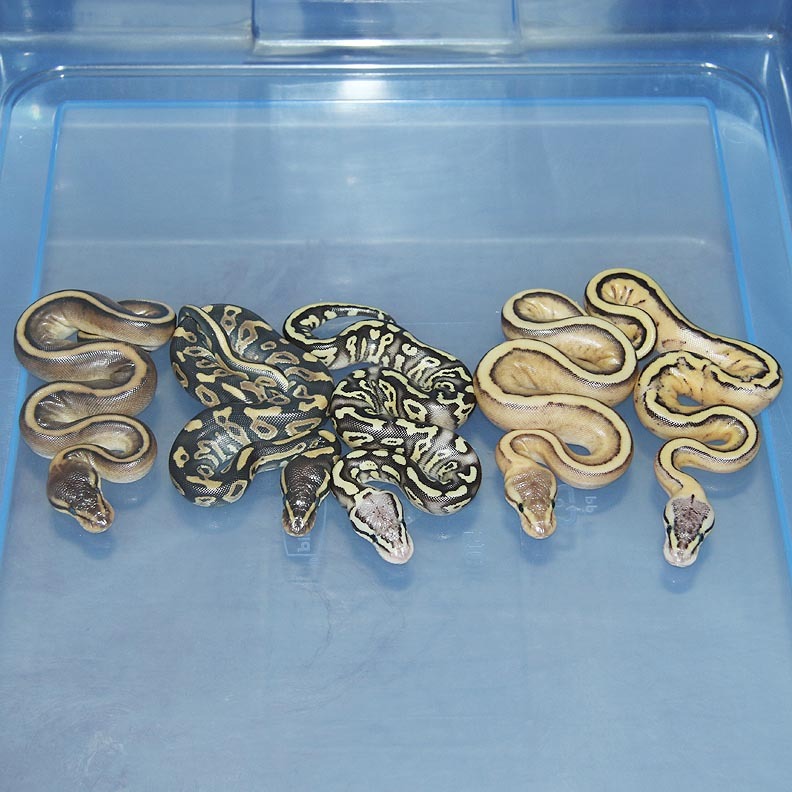 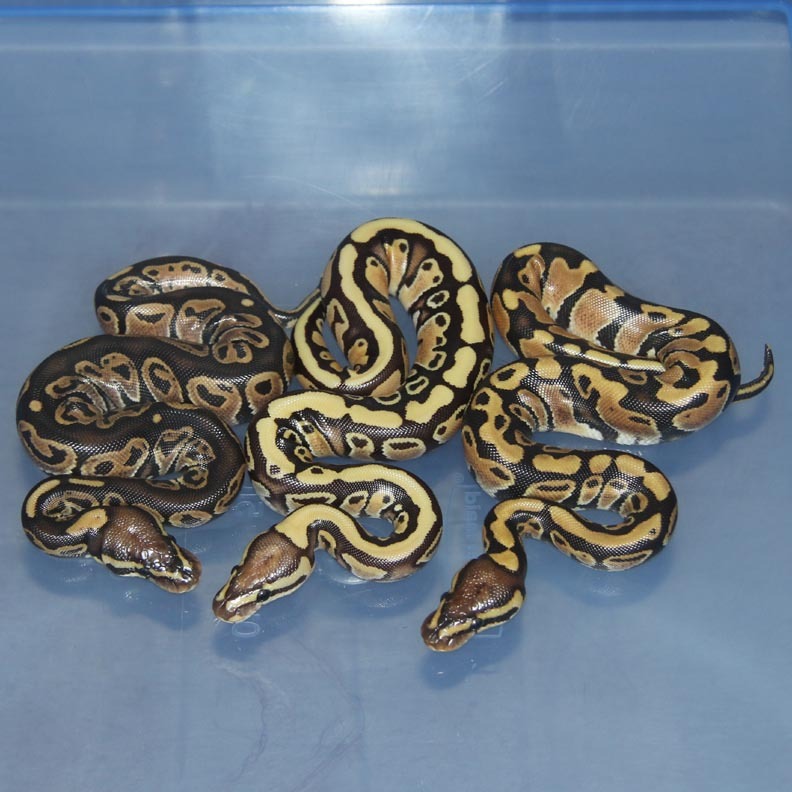 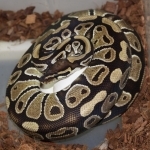 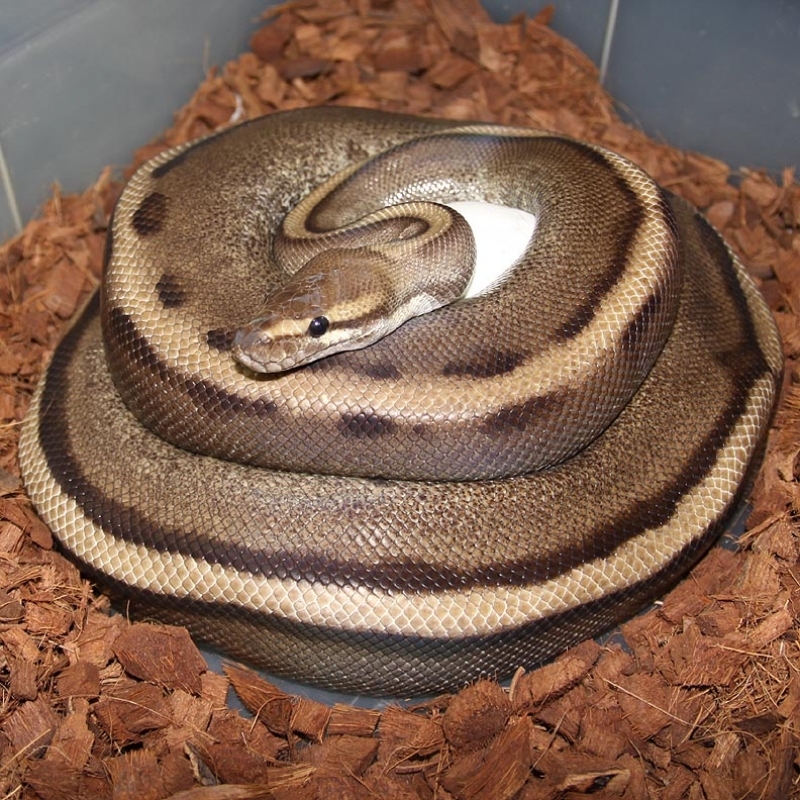 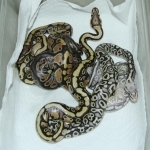 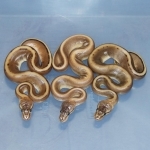 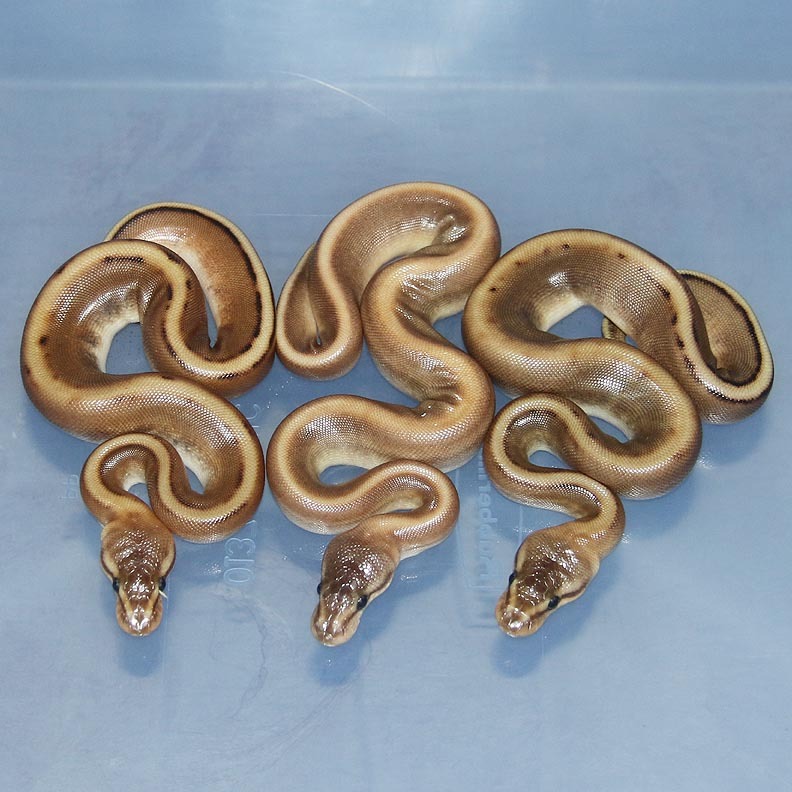 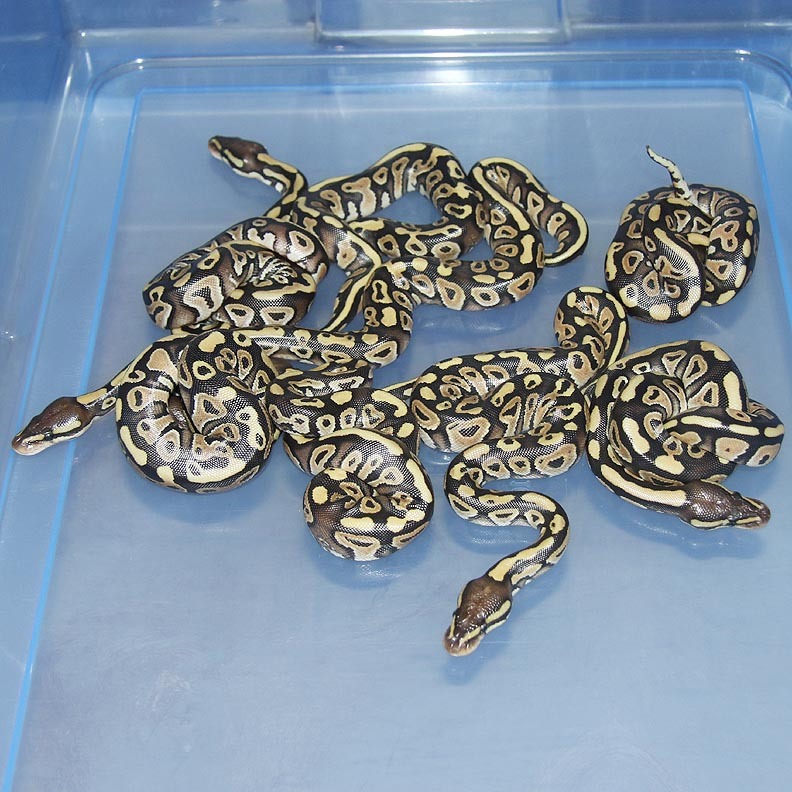 Description: Red Axanthic Pinstripe Champagne 2/12 x Super Pastel Champagne Het RA 1/11. 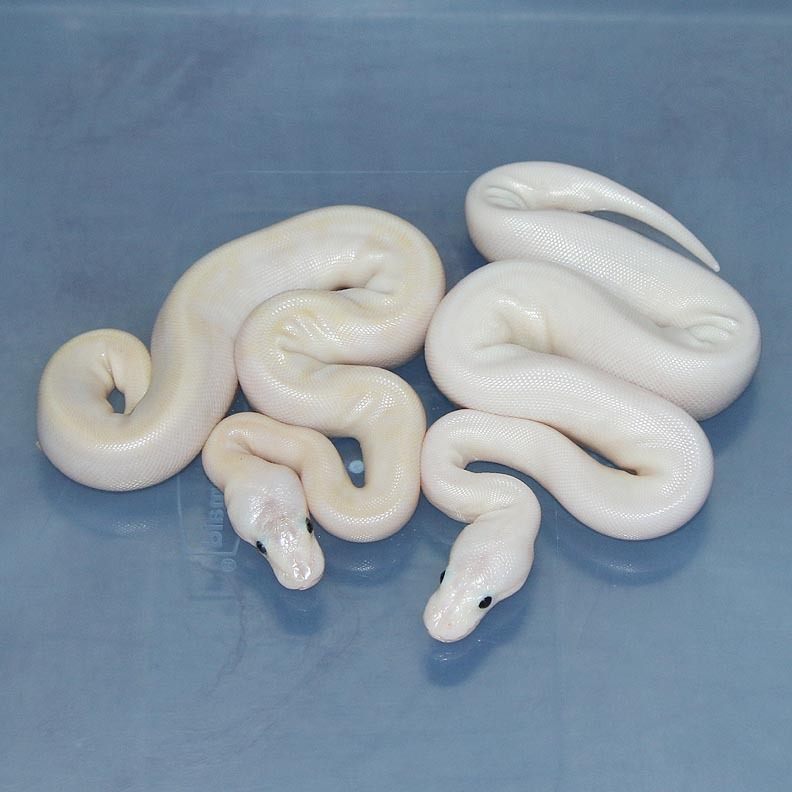 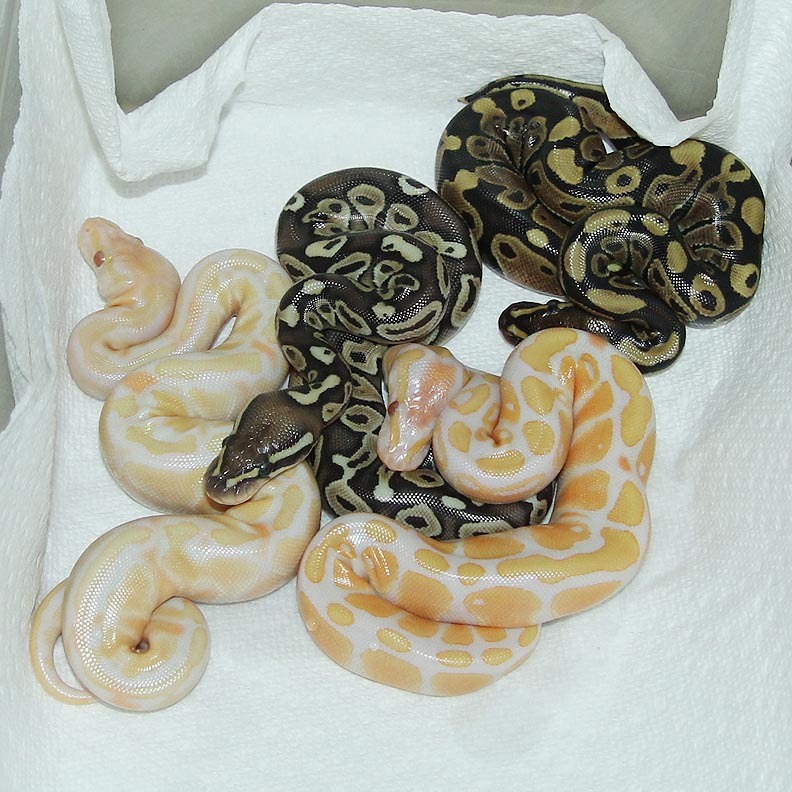 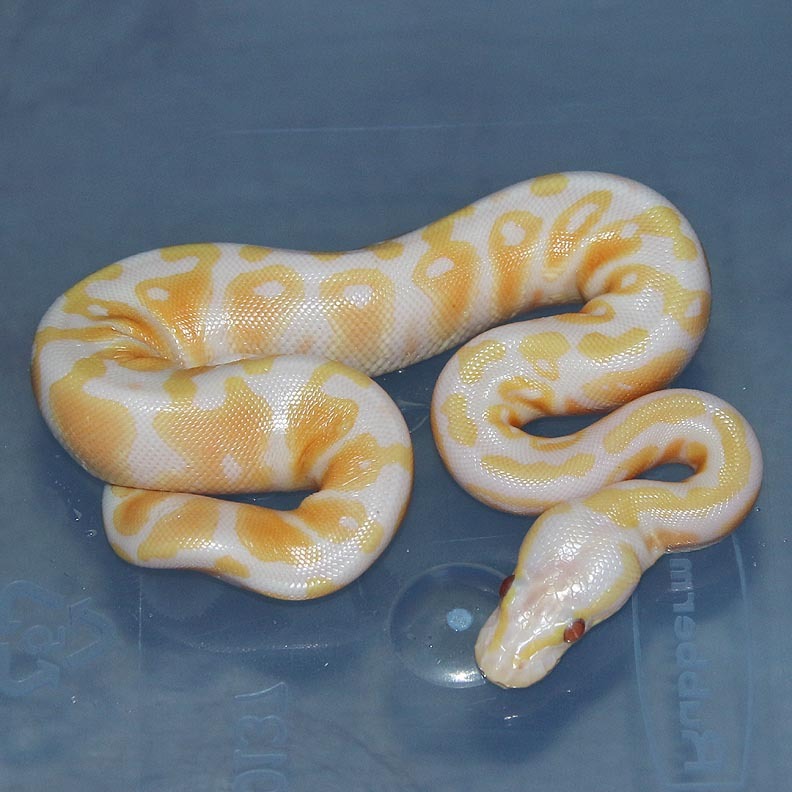 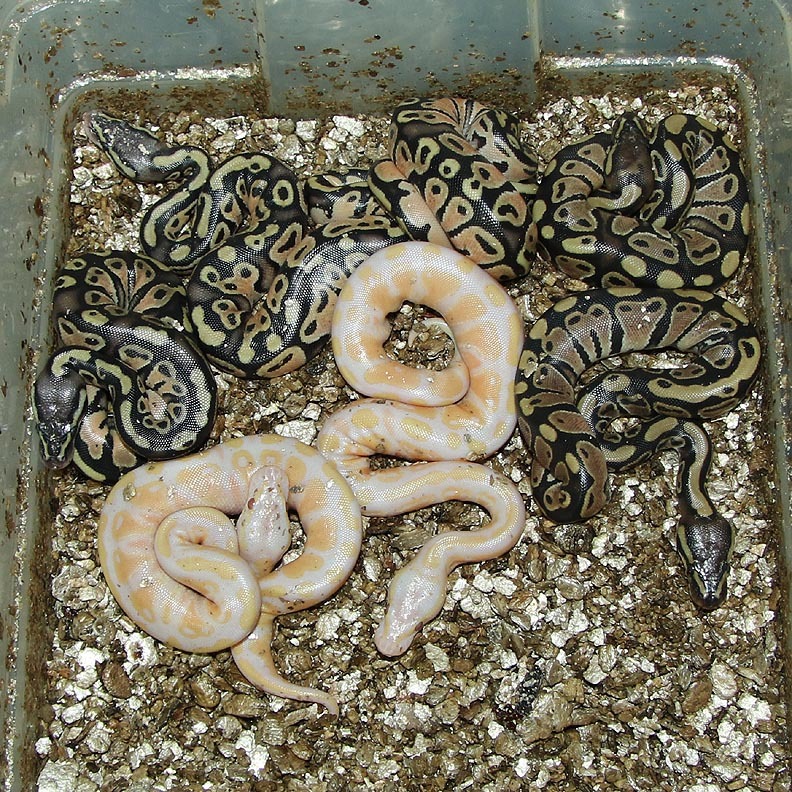 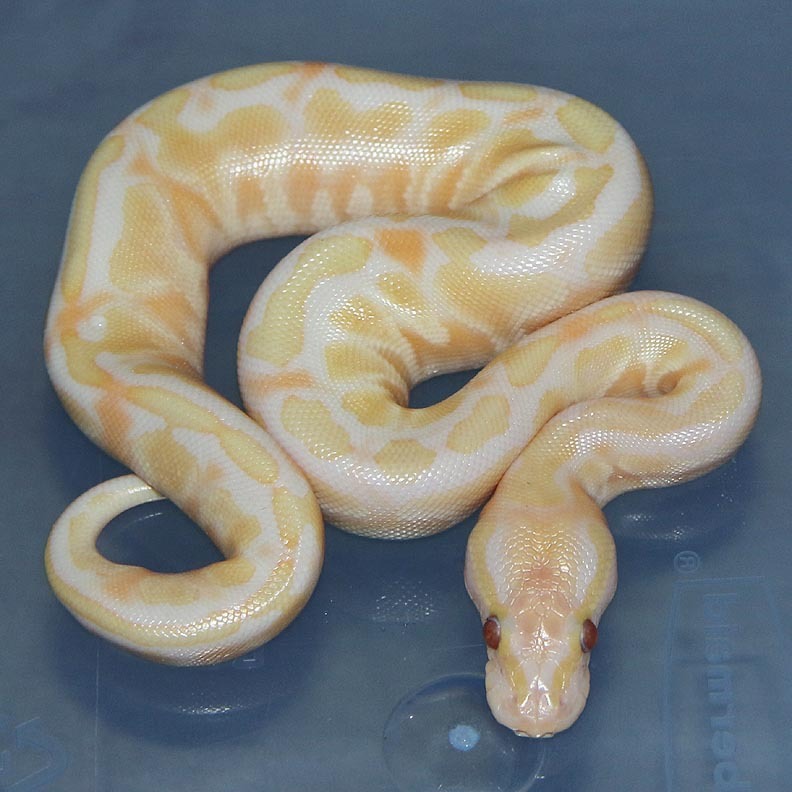 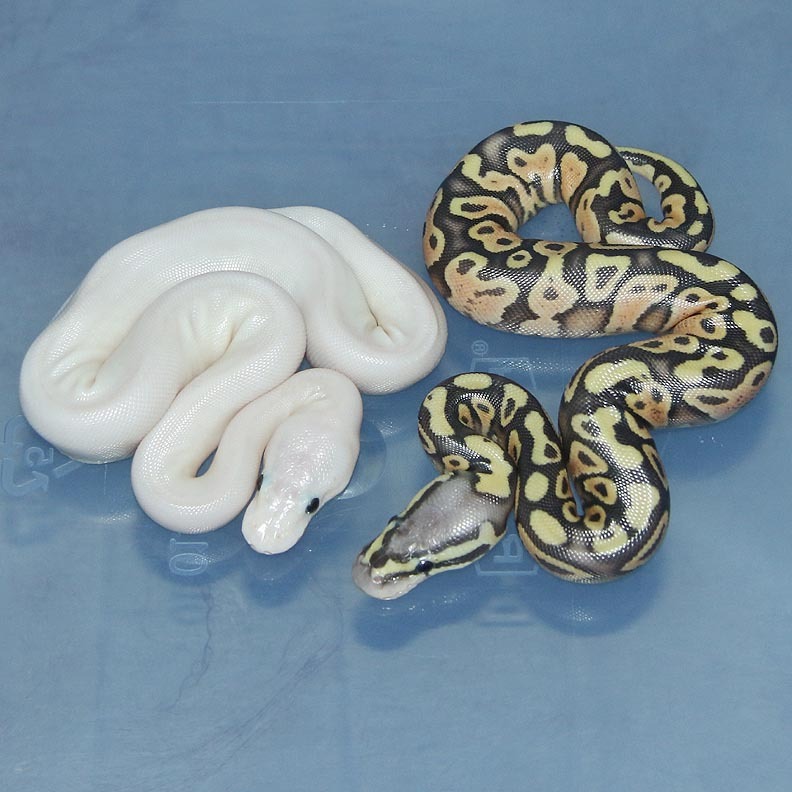 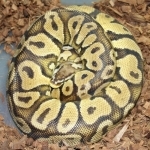 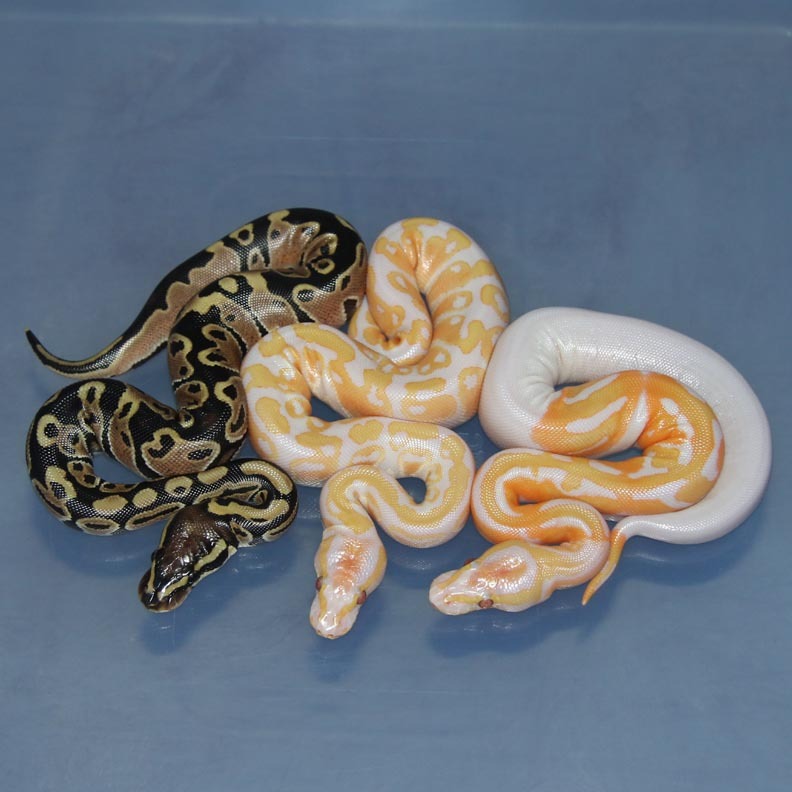 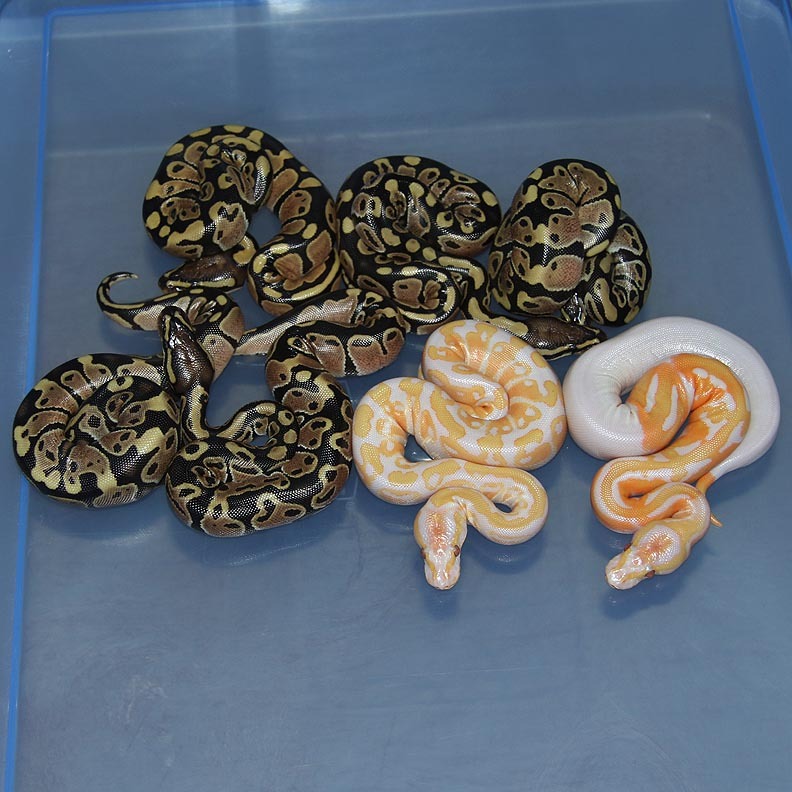 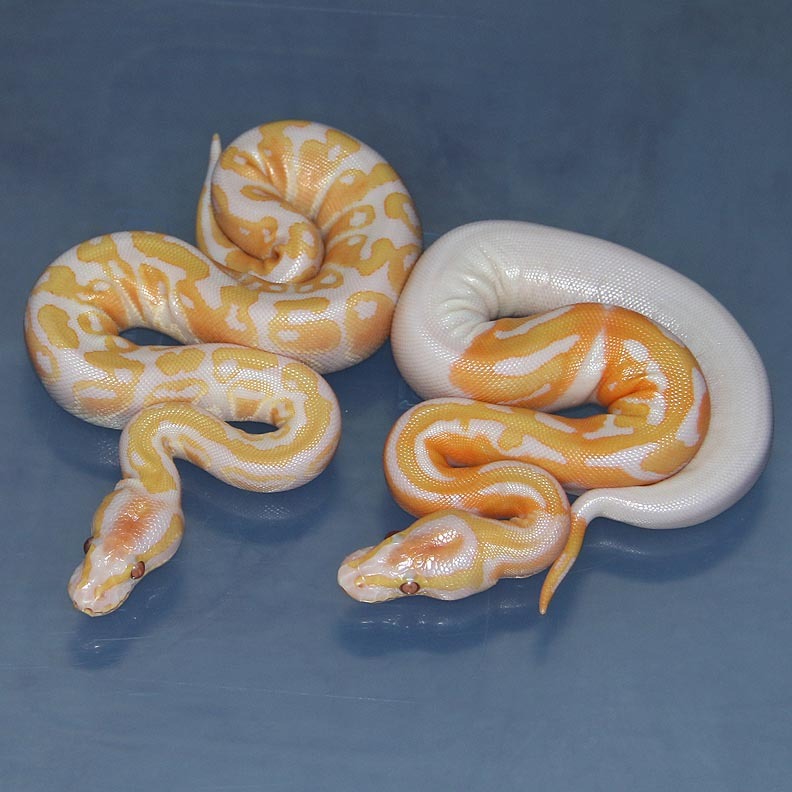 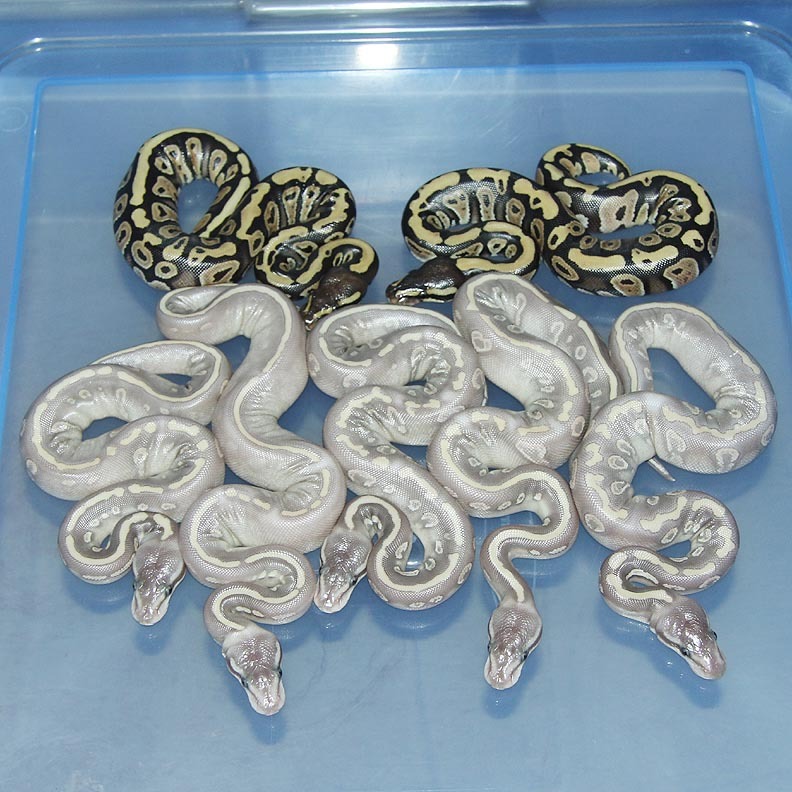 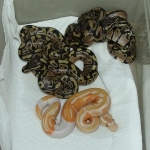 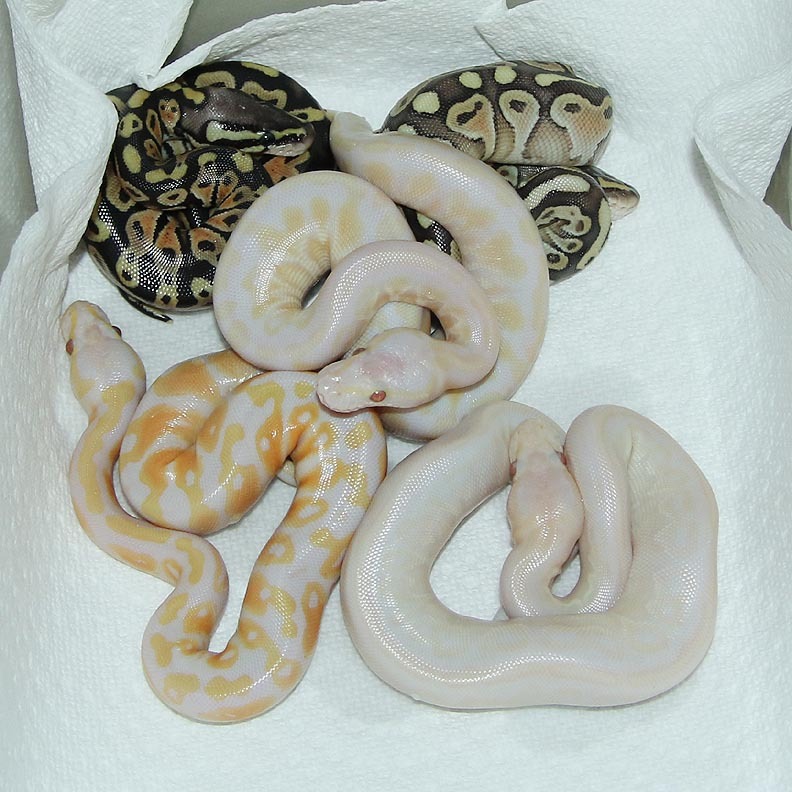 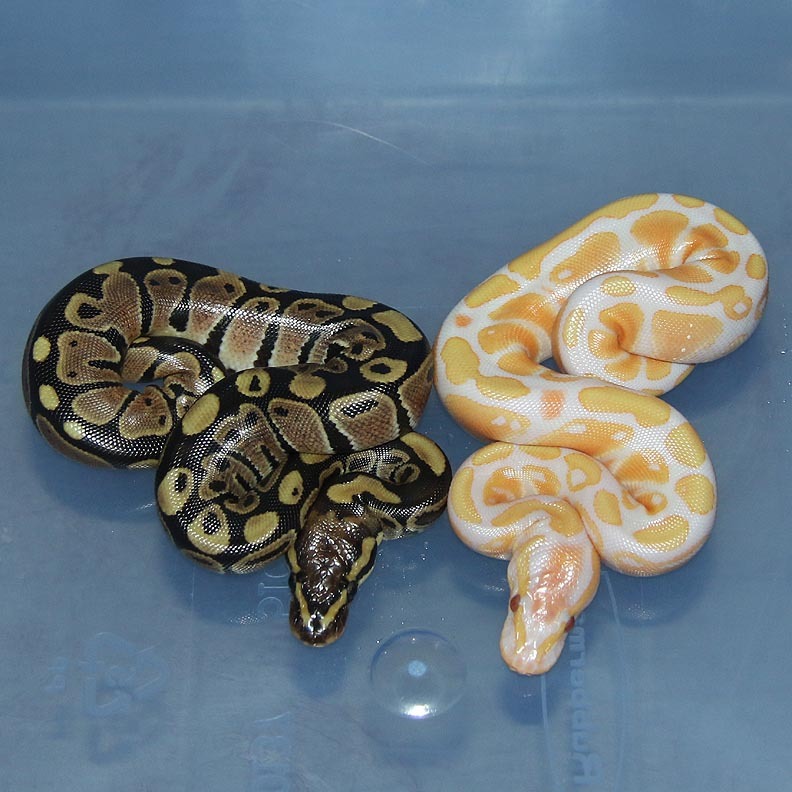 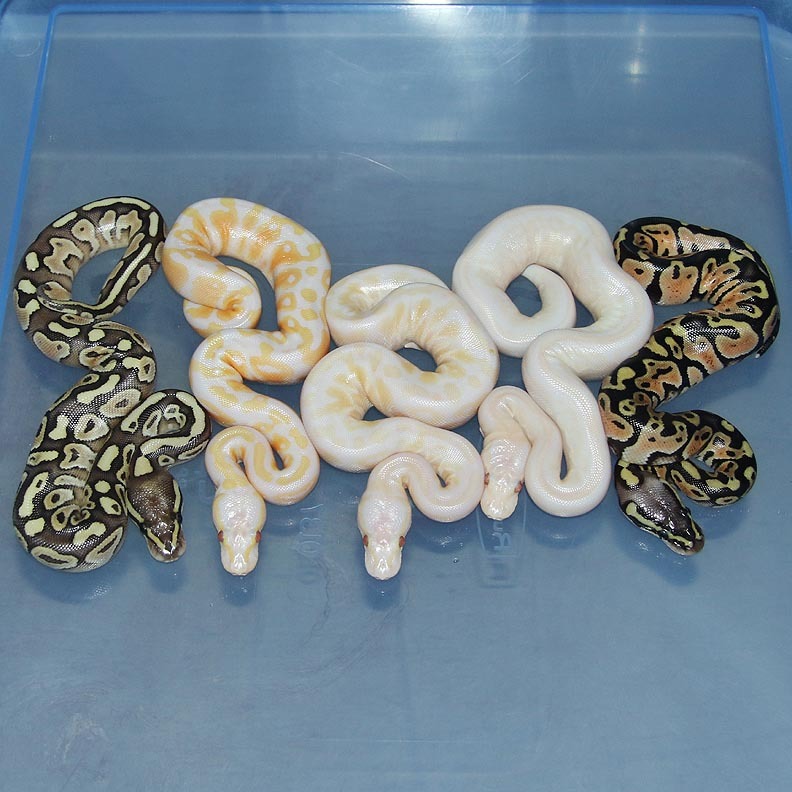 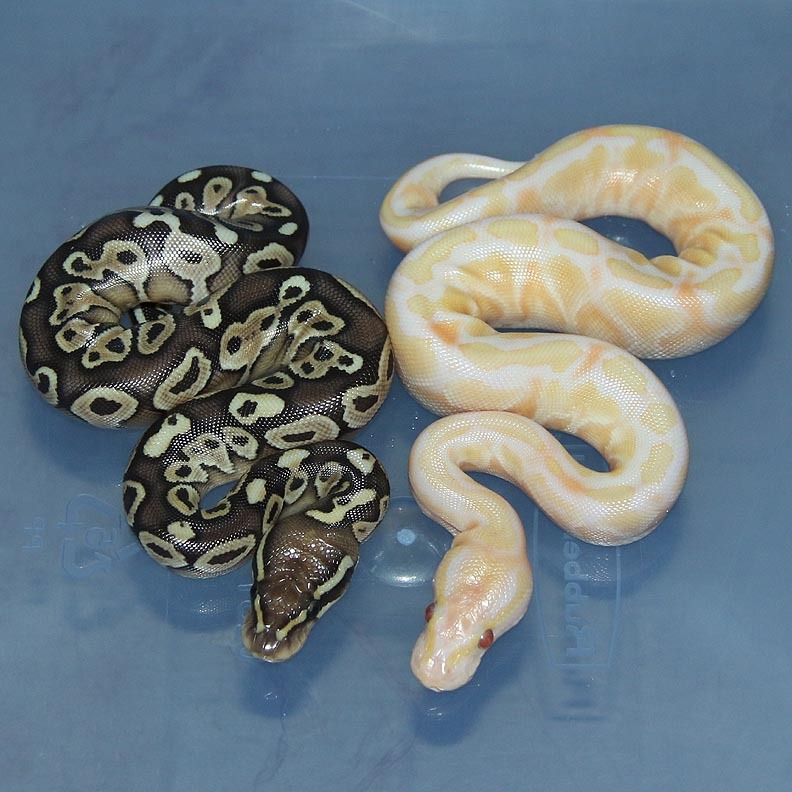 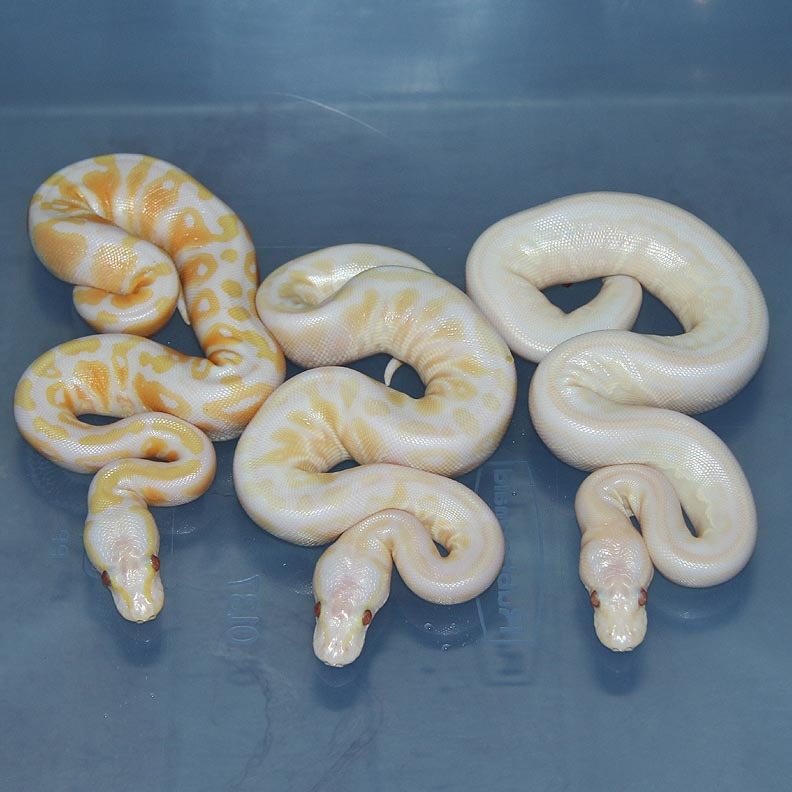 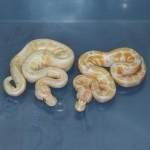 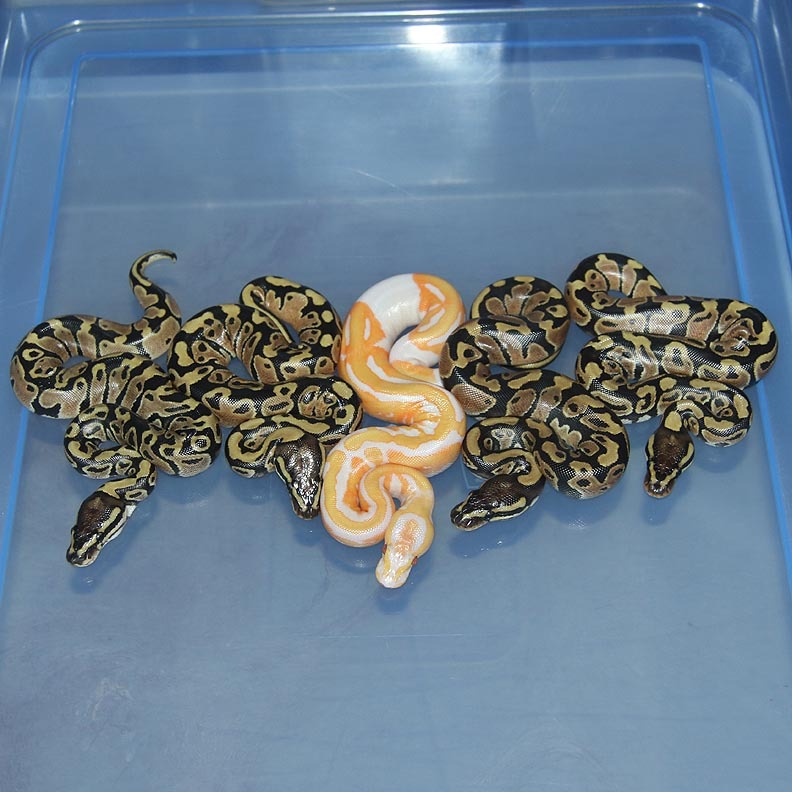 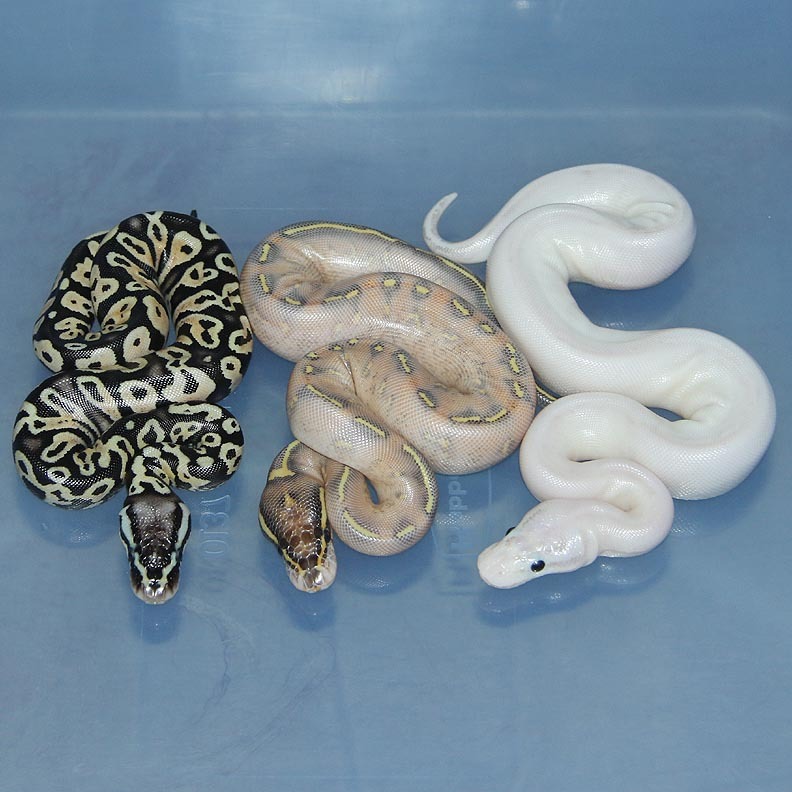 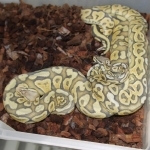 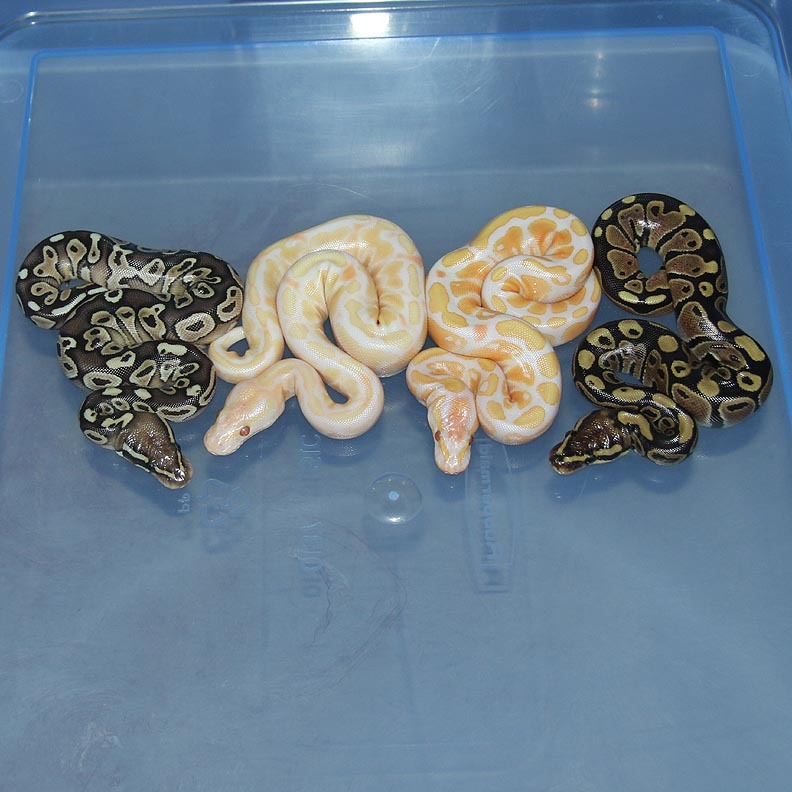 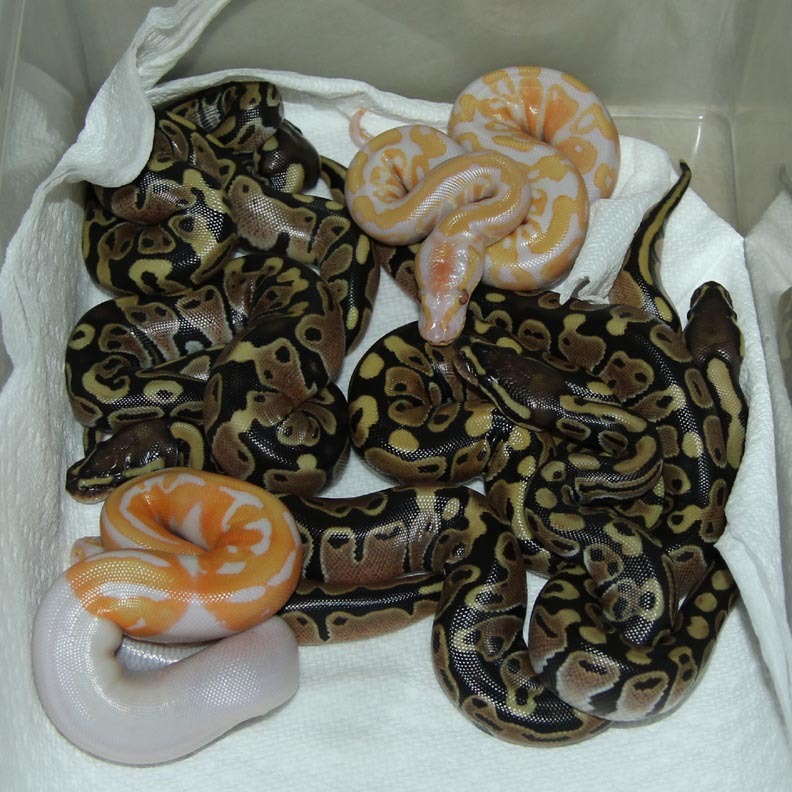 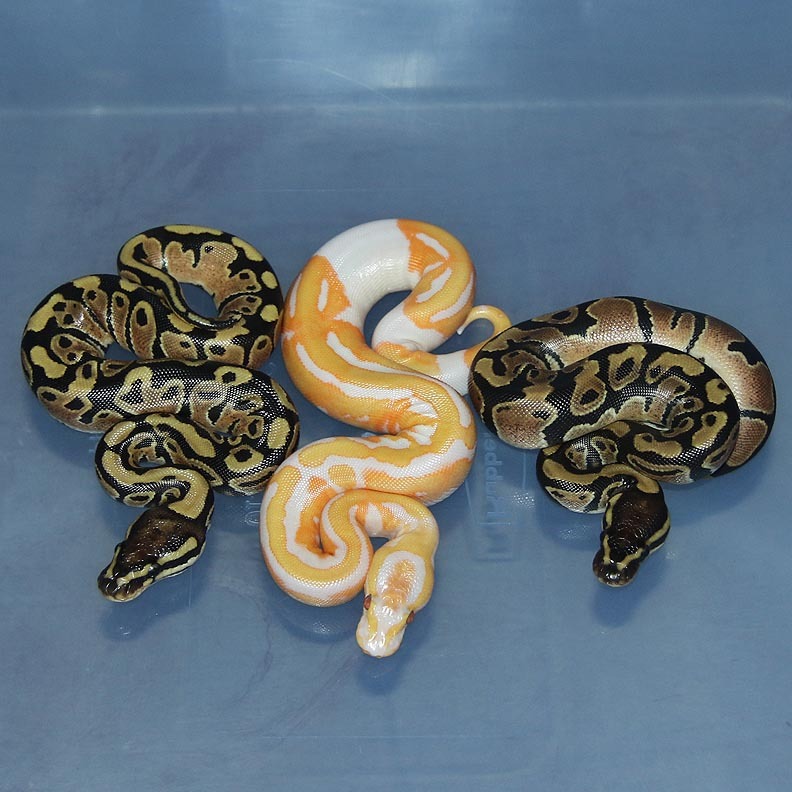 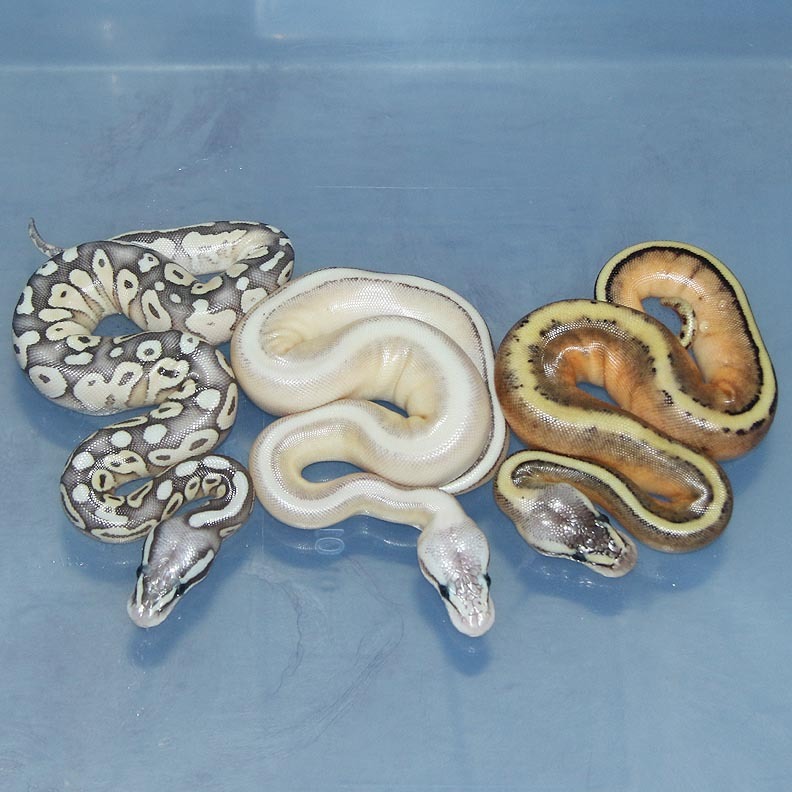 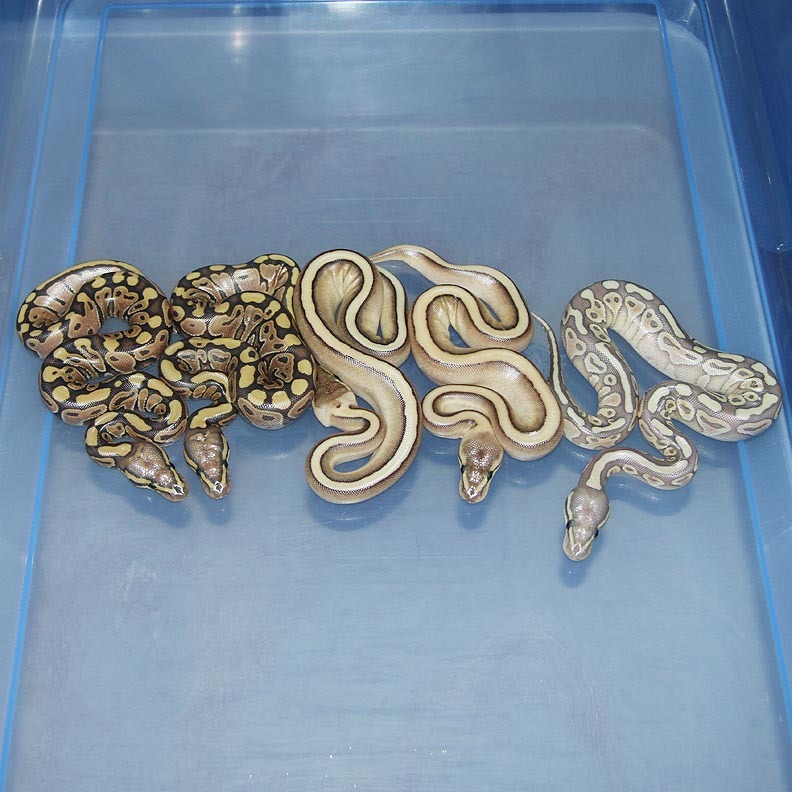 Description: Super Pastel YB Het Orange Ghost 1/13 x Pastel YB DH OG 5/11. 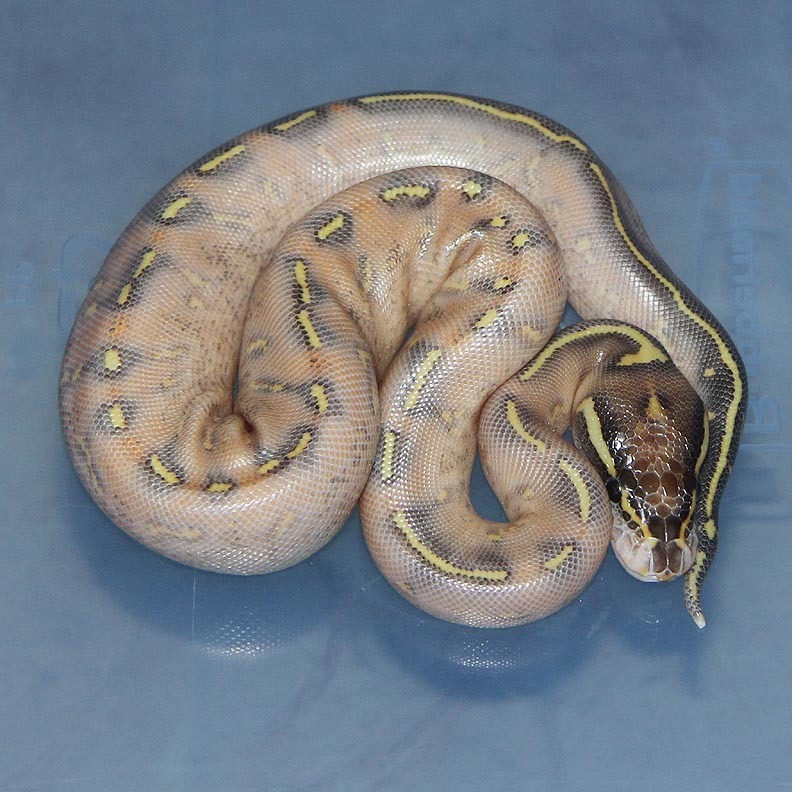 Description: Lavender Het RA 3/13 x Mutation X Red Axanthic 1/13. 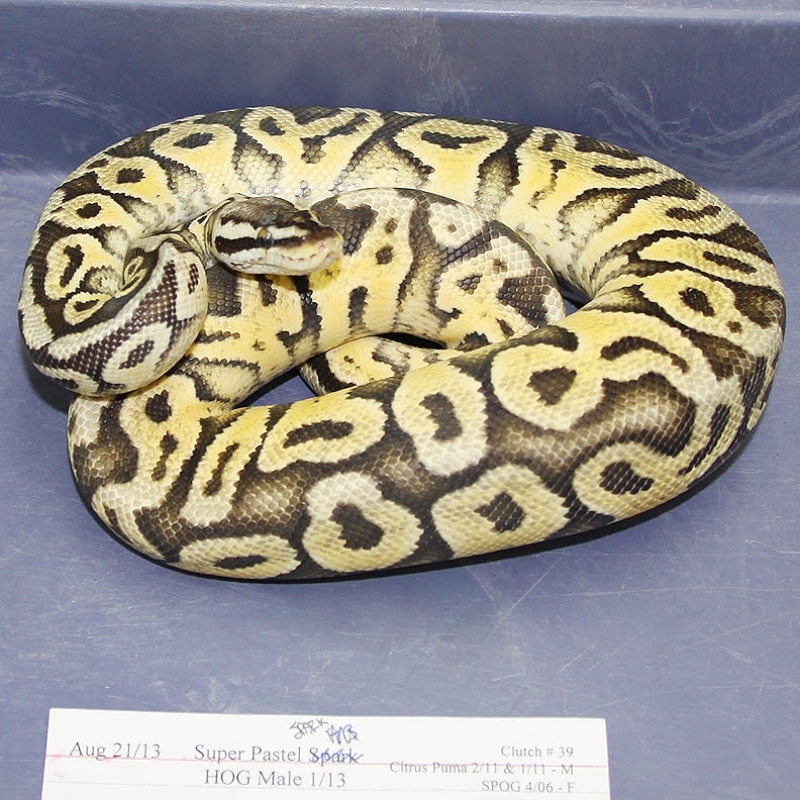 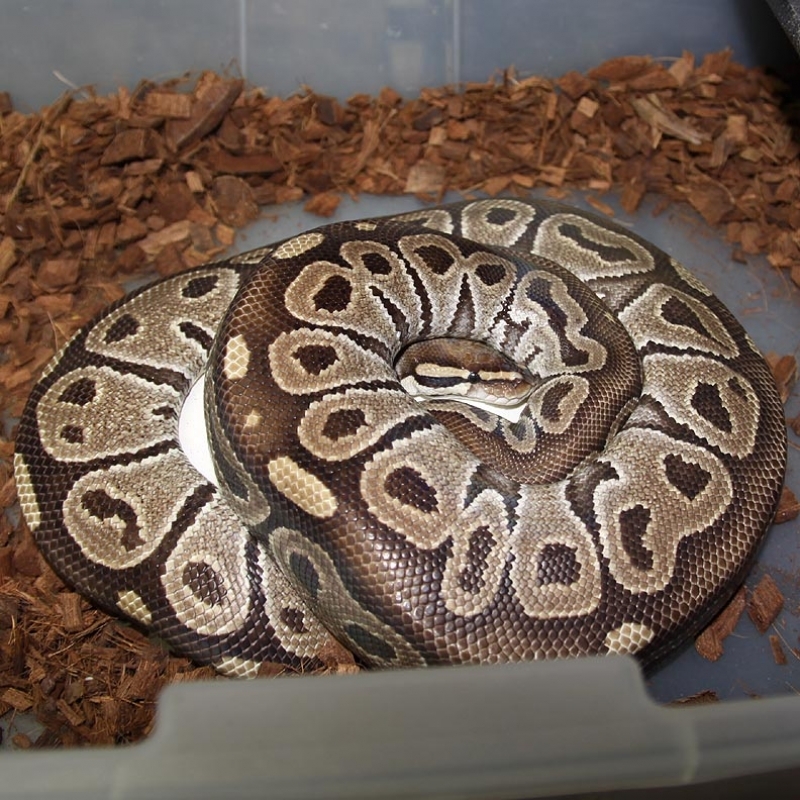 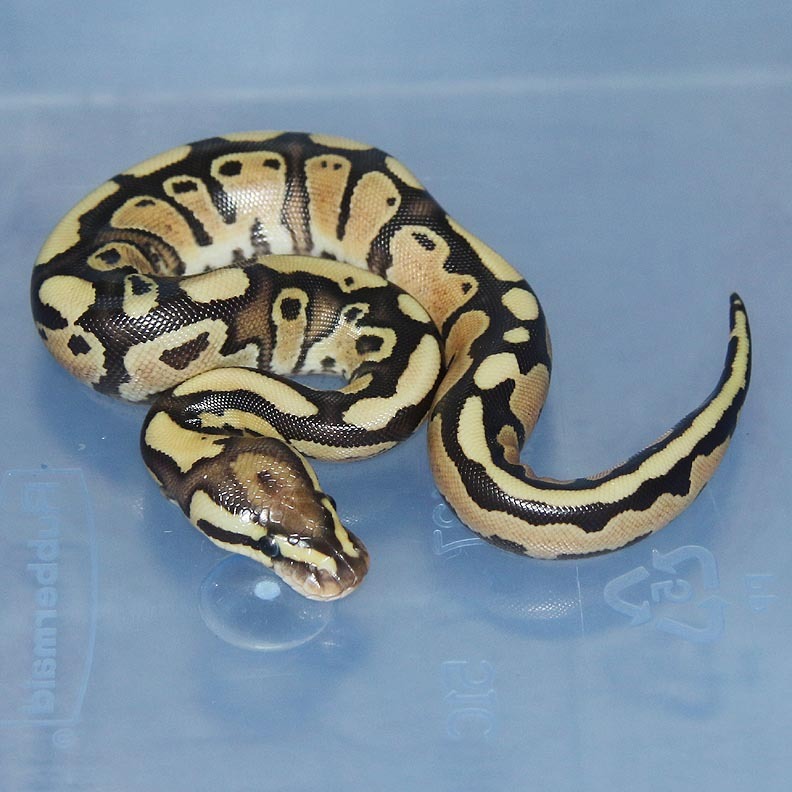 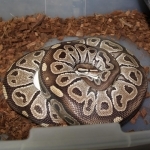 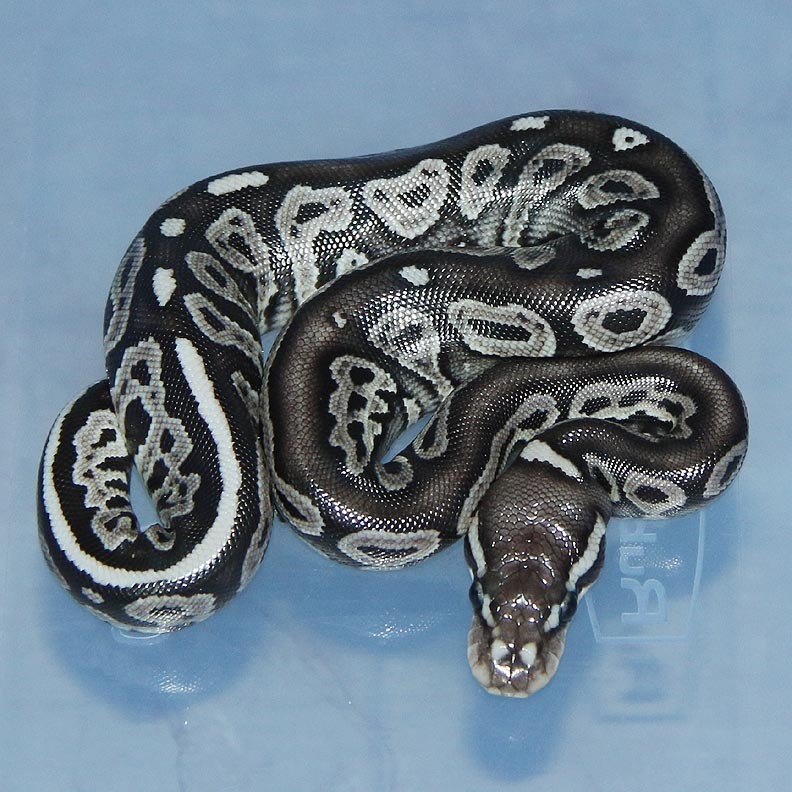 Description: Mutation X Pastel Genetic Stripe 1/13 x Phantom Het Genetic Stripe 2/13. 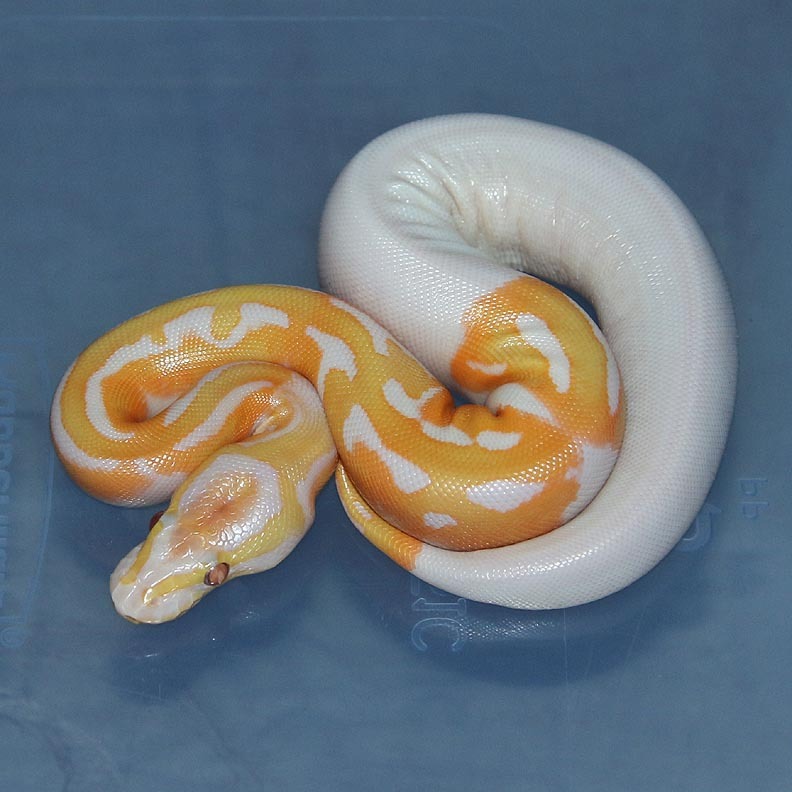 Description: Mutation X Pastel Orange Ghost 1/13 x Genetic Stripe PHOG 1/12. 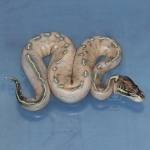 Description: Super Phantom 6/10 RDR x Genetic Stripe 1/10. 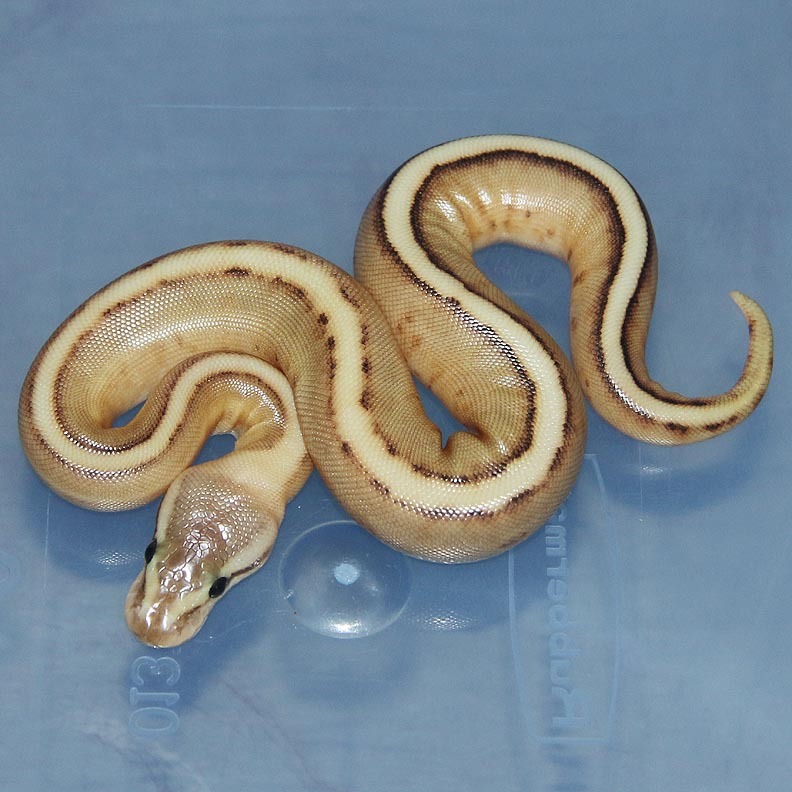 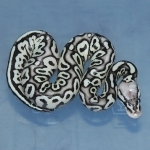 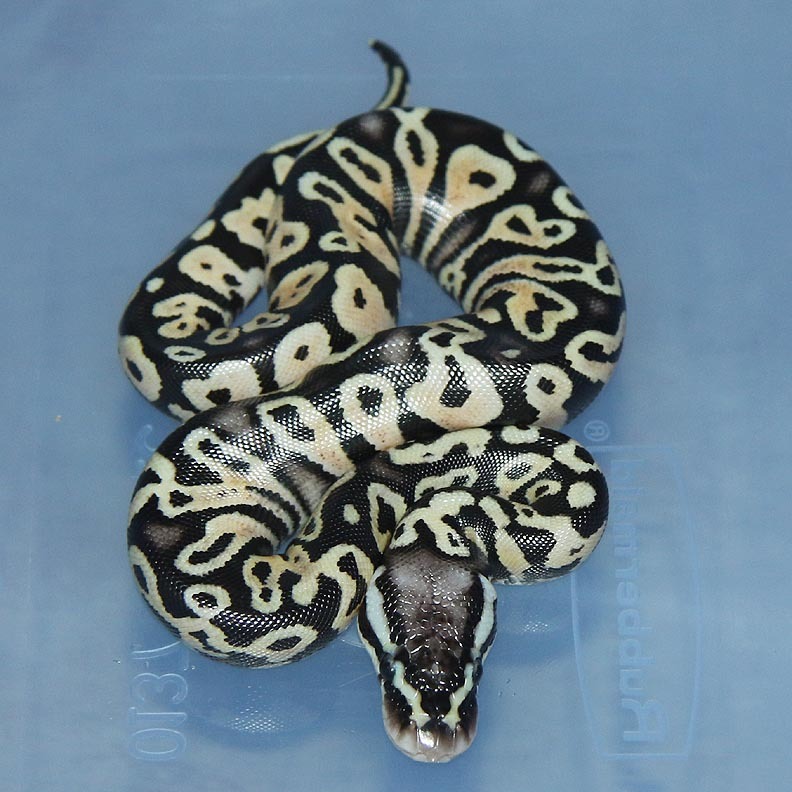 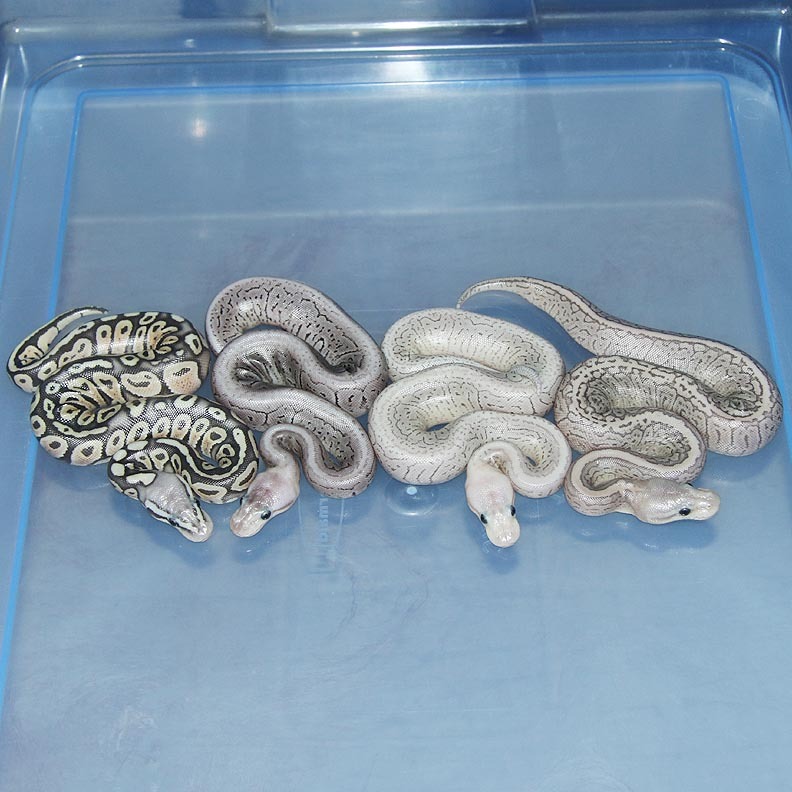 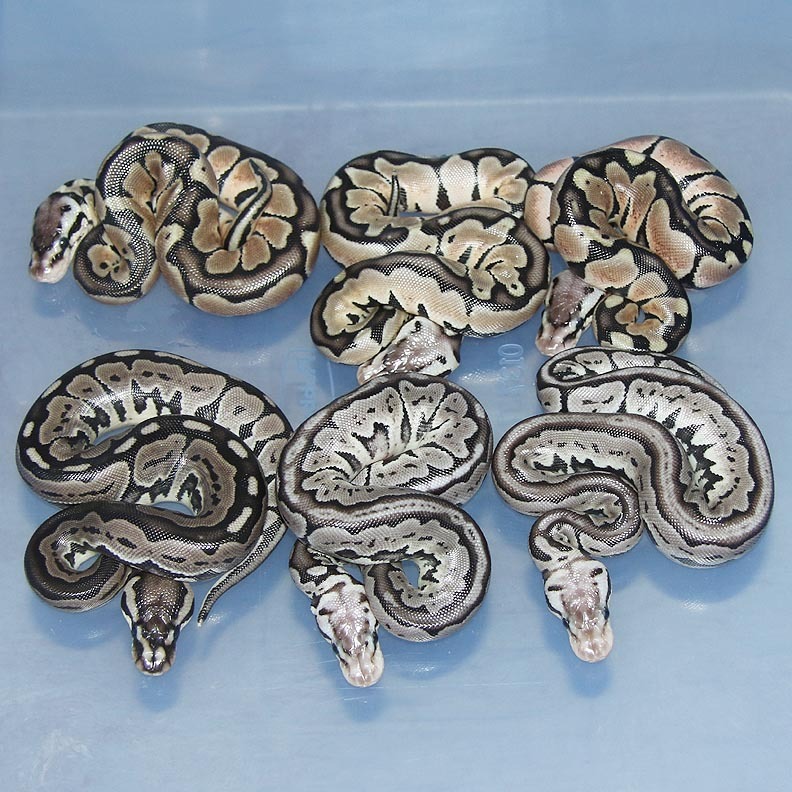 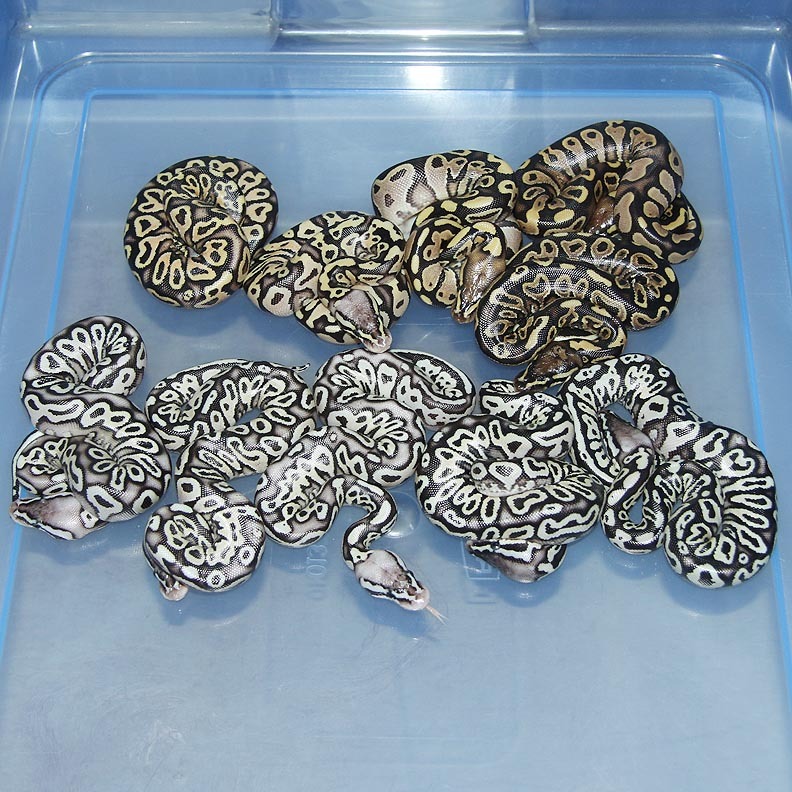 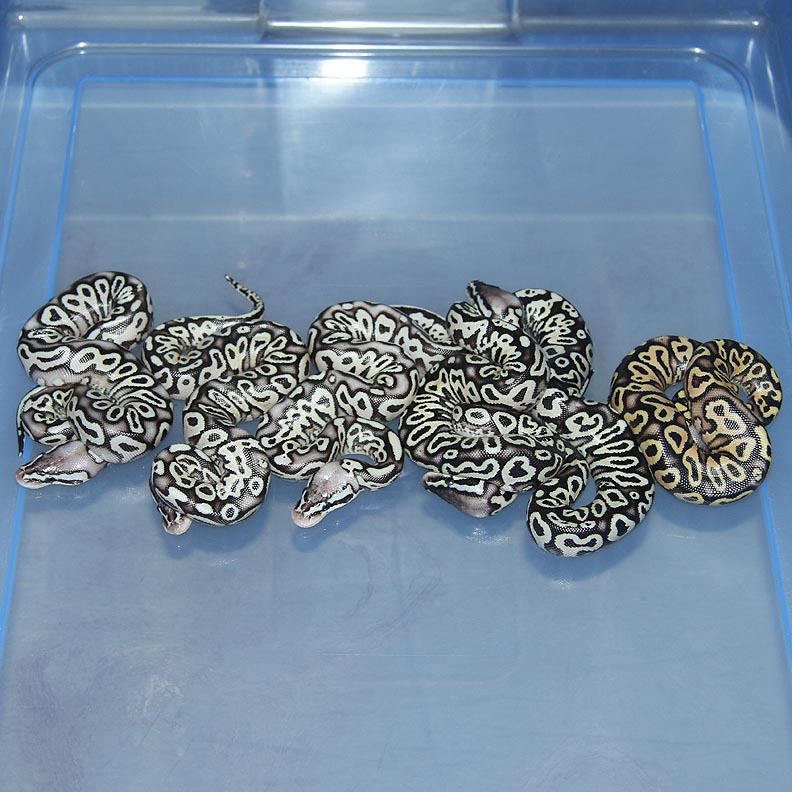 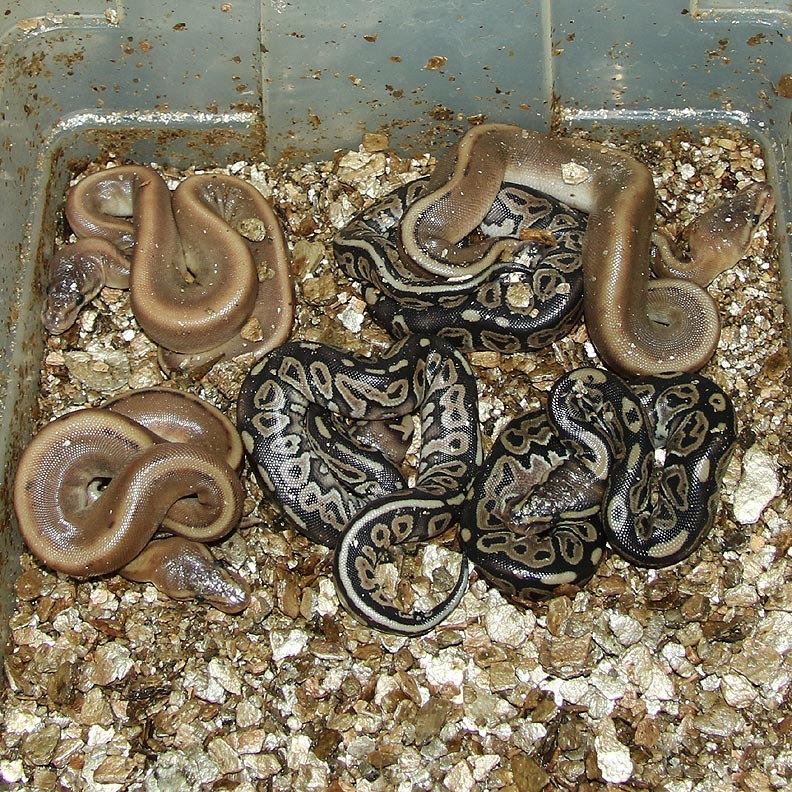 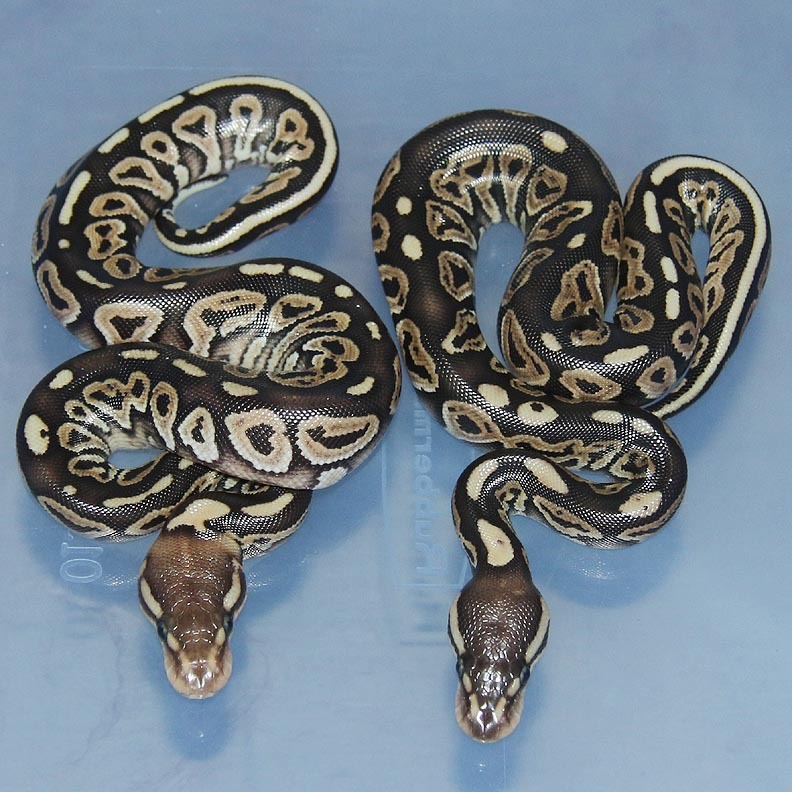 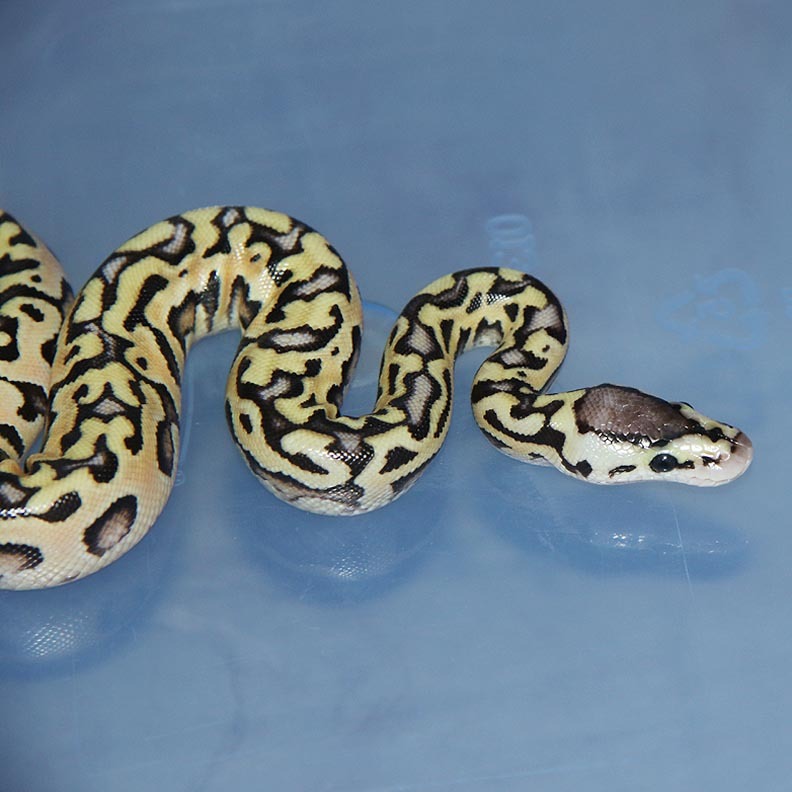 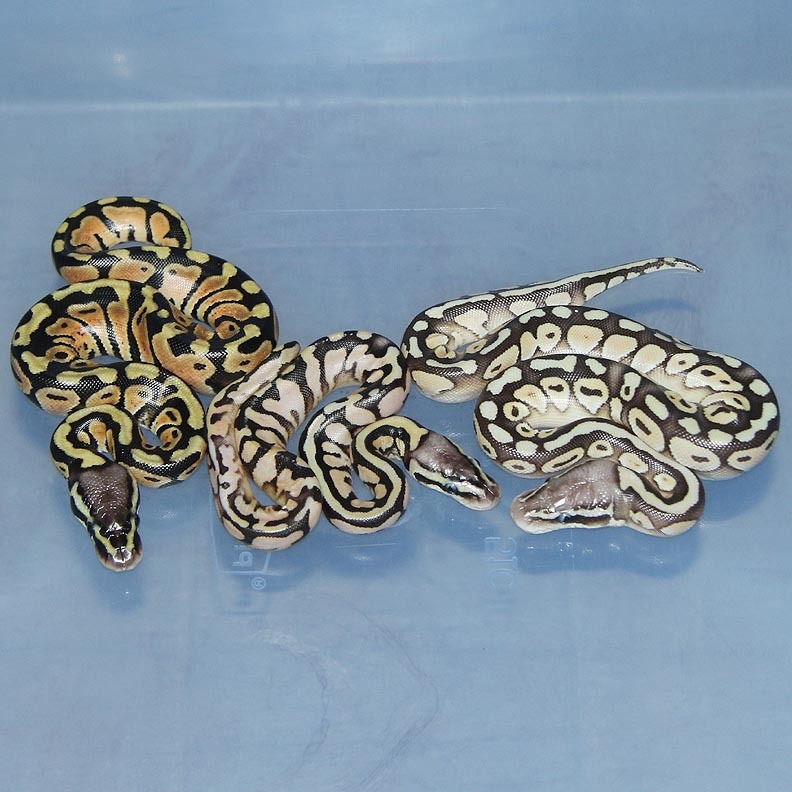 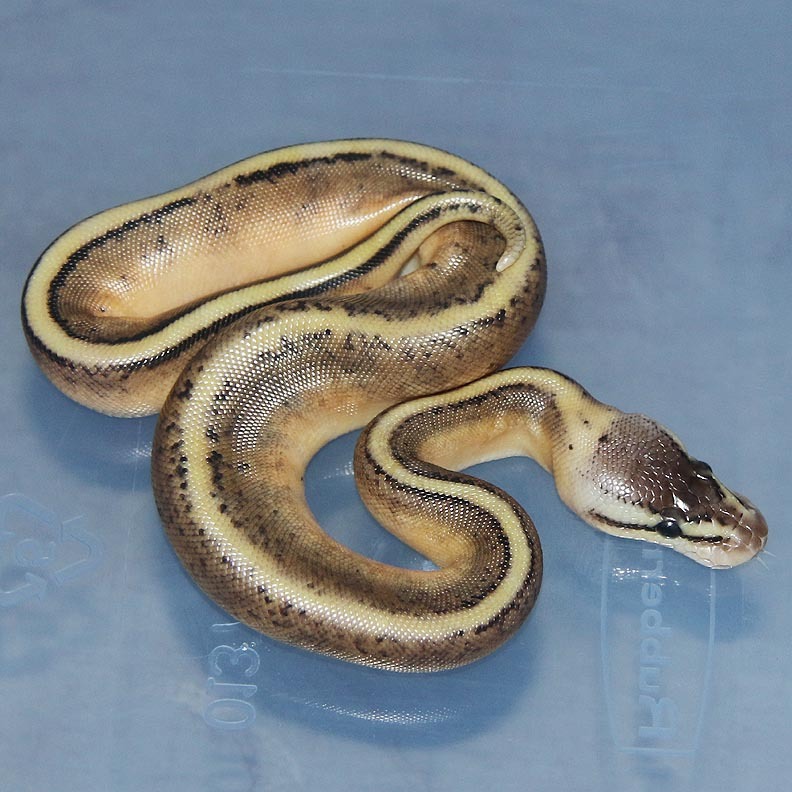 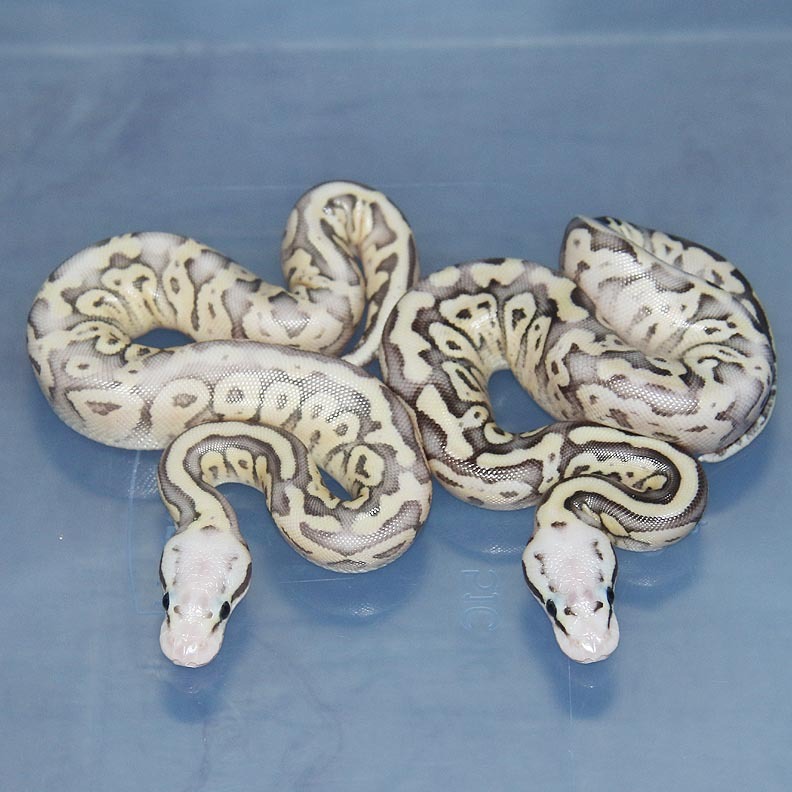 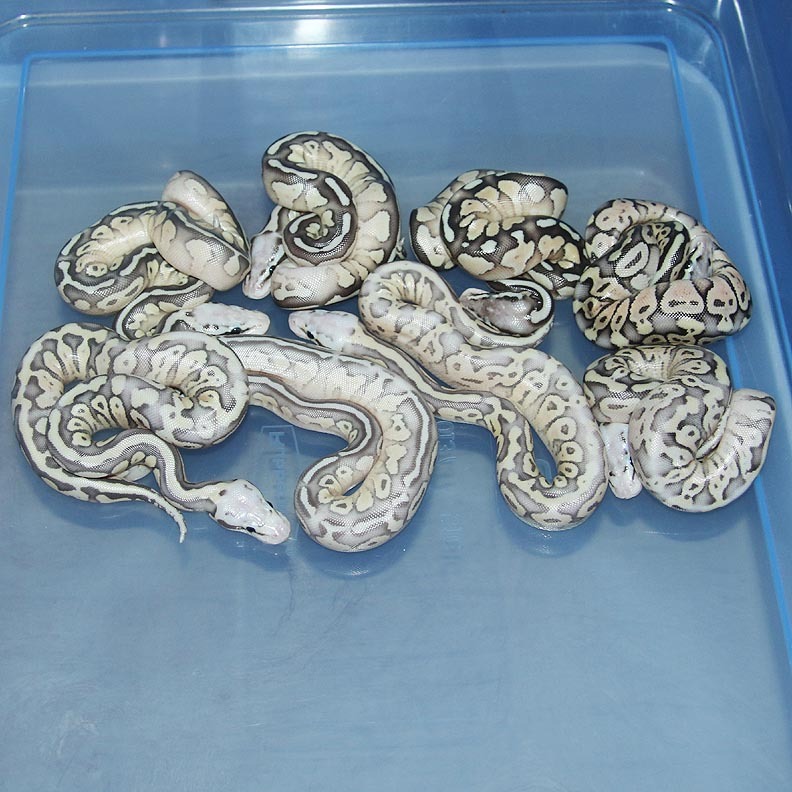 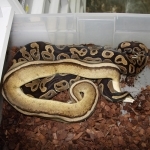 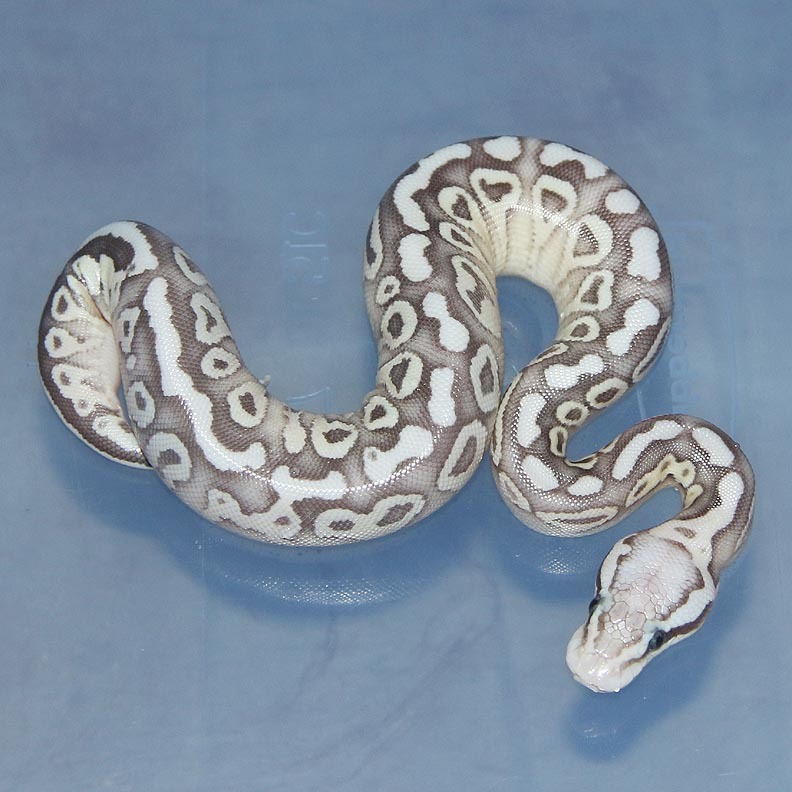 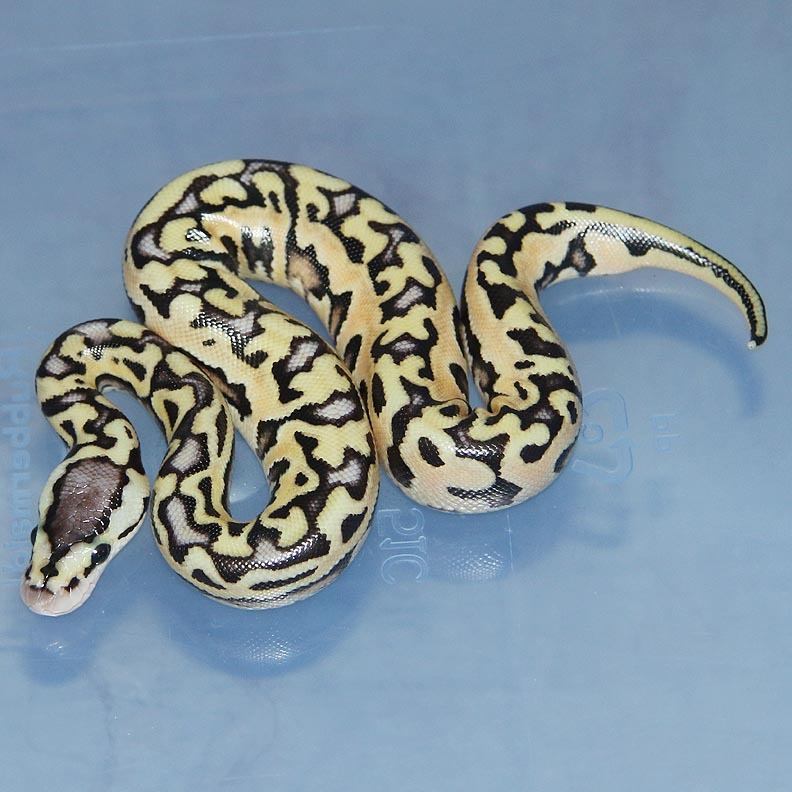 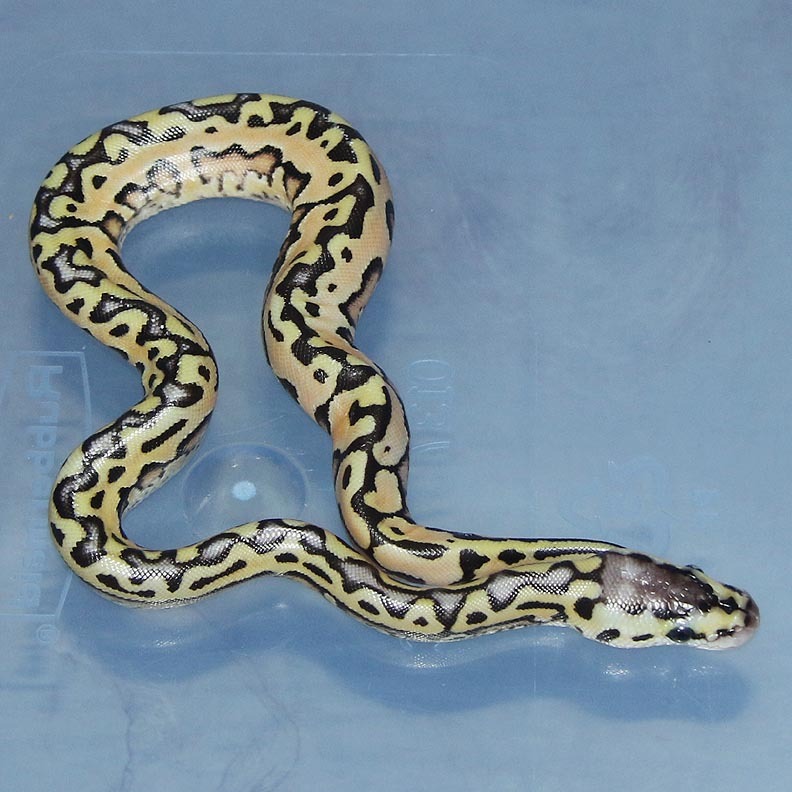 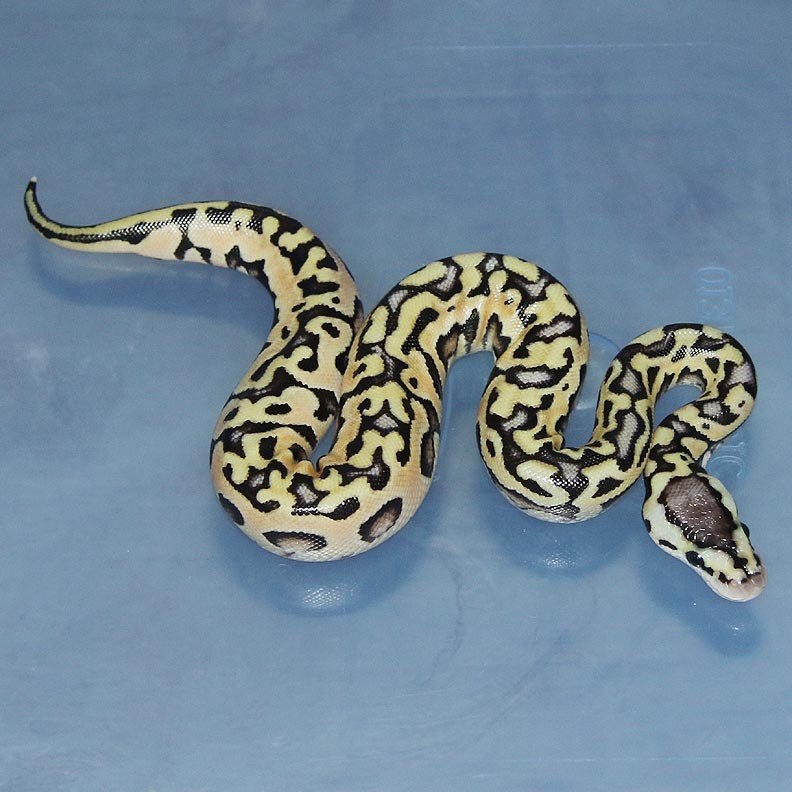 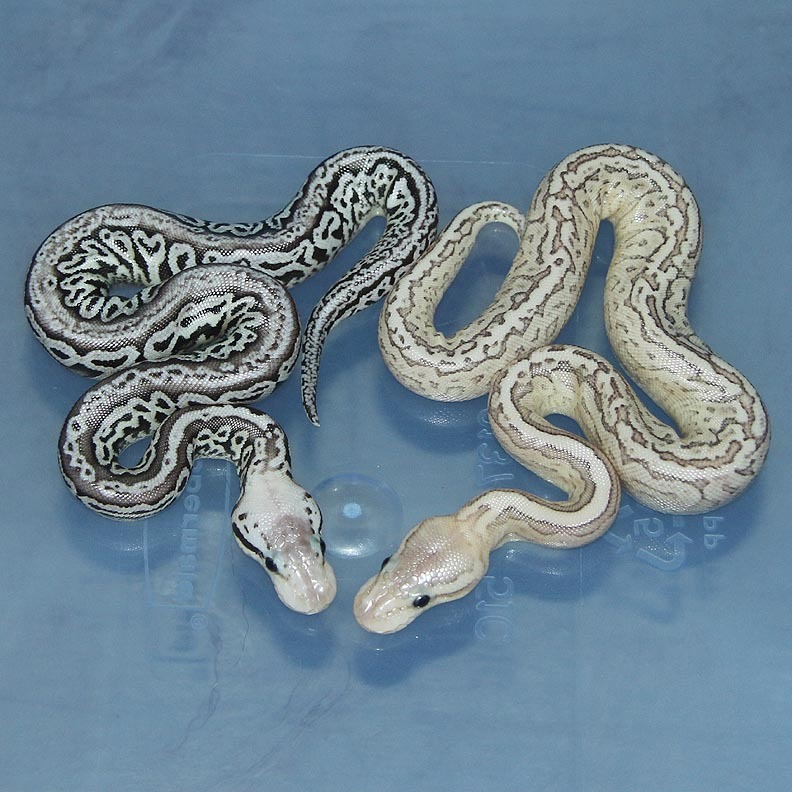 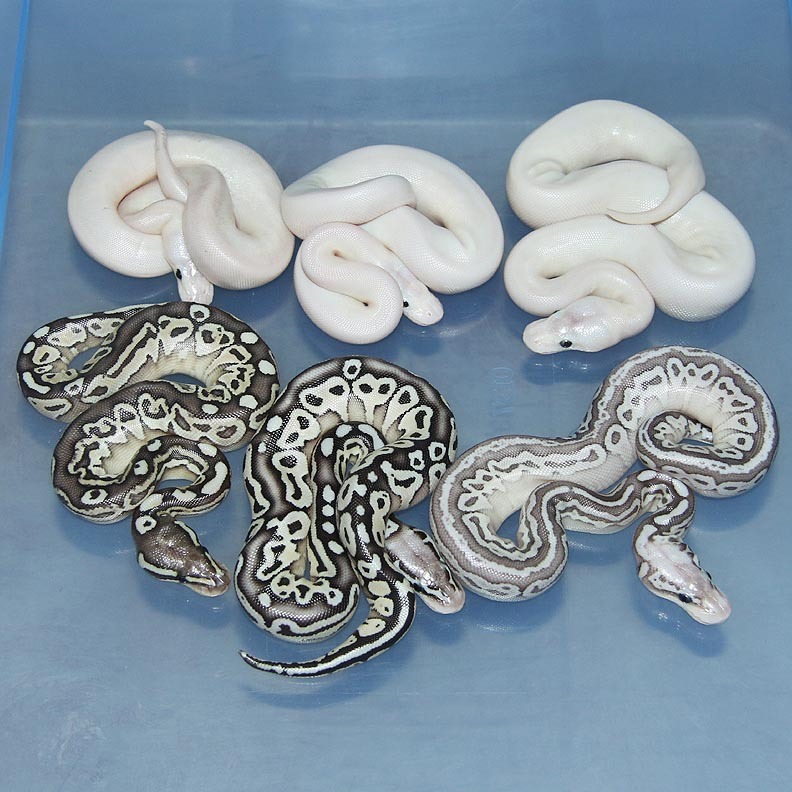 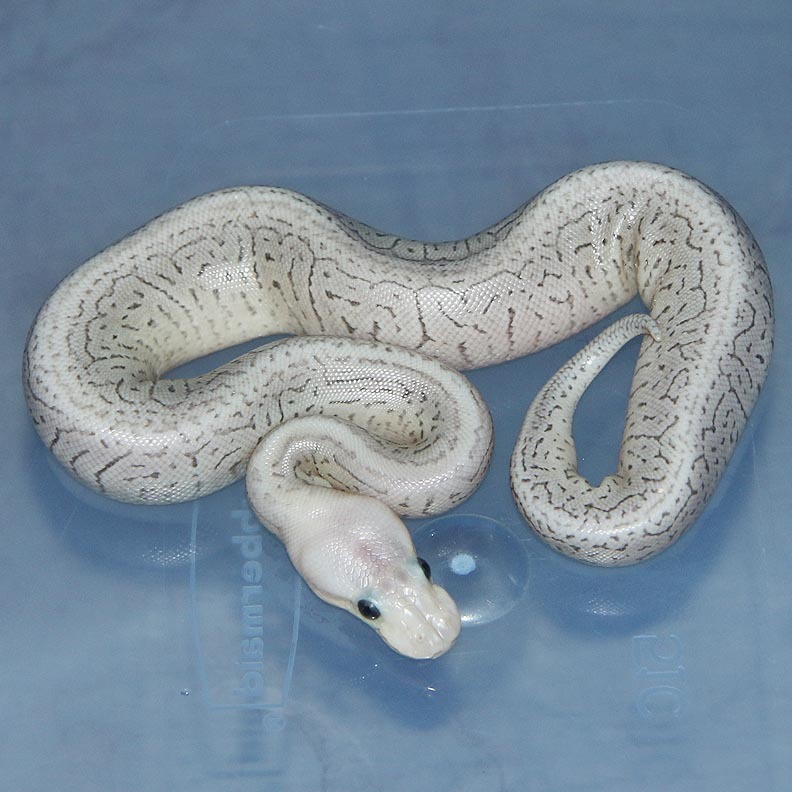 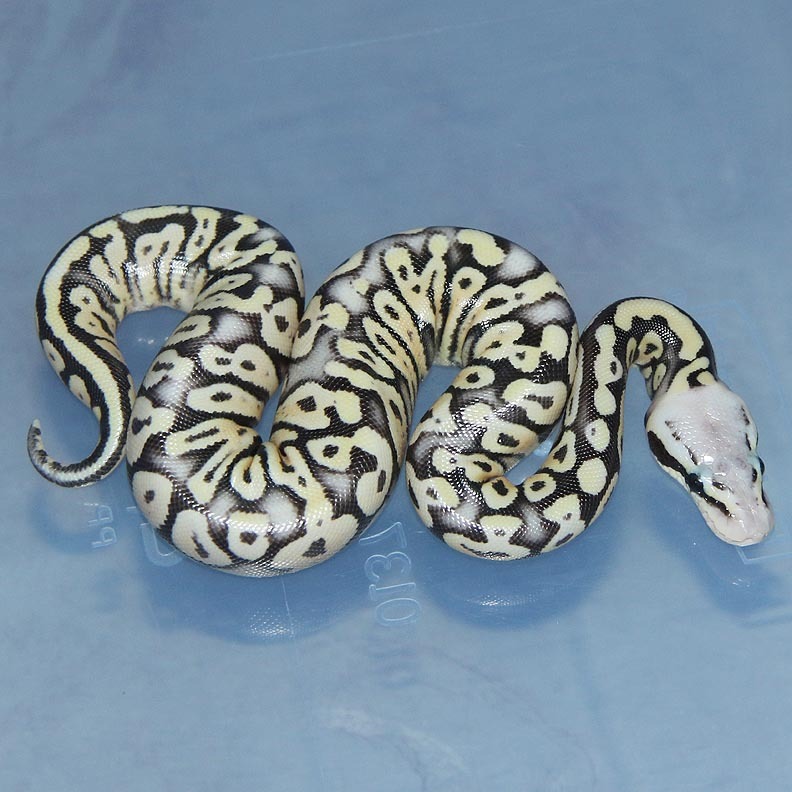 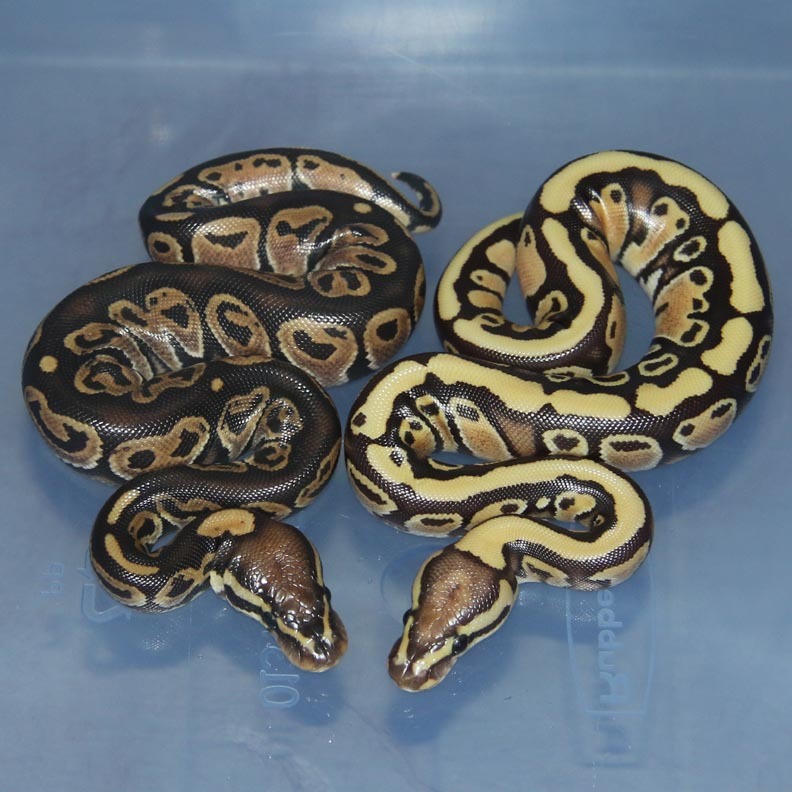 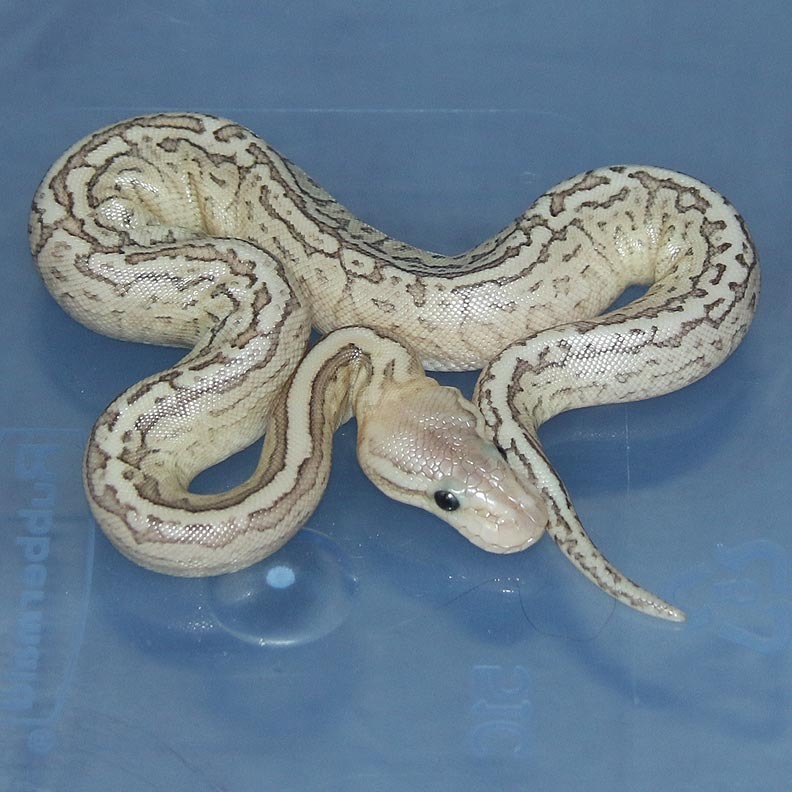 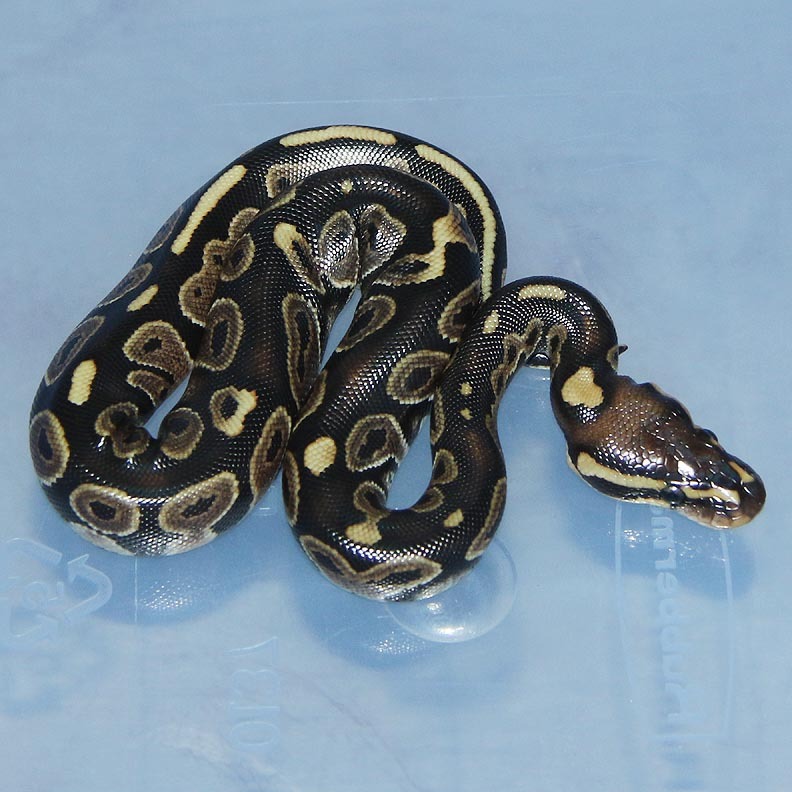 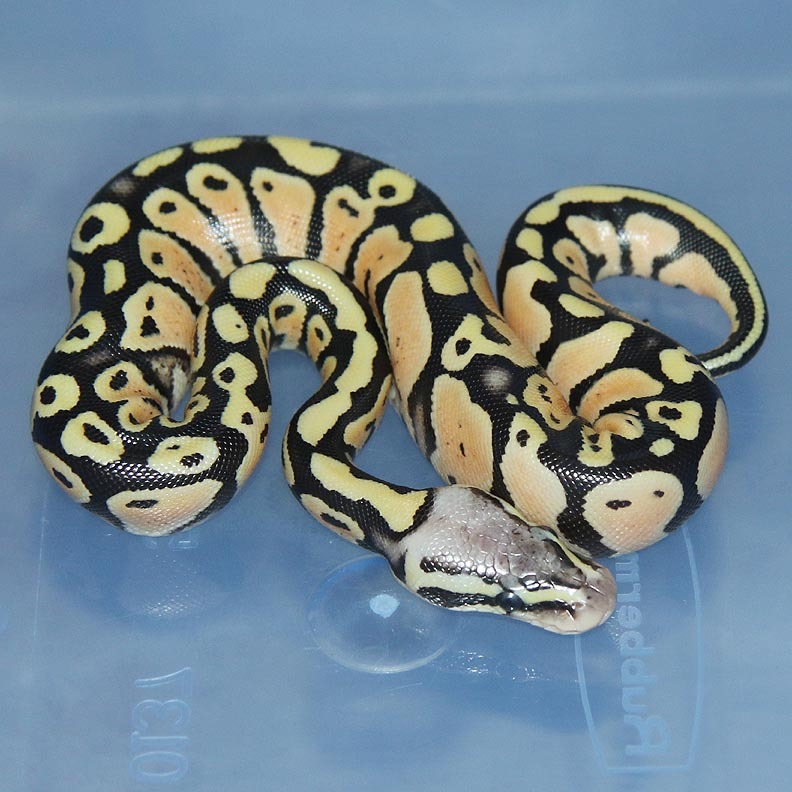 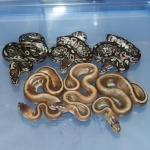 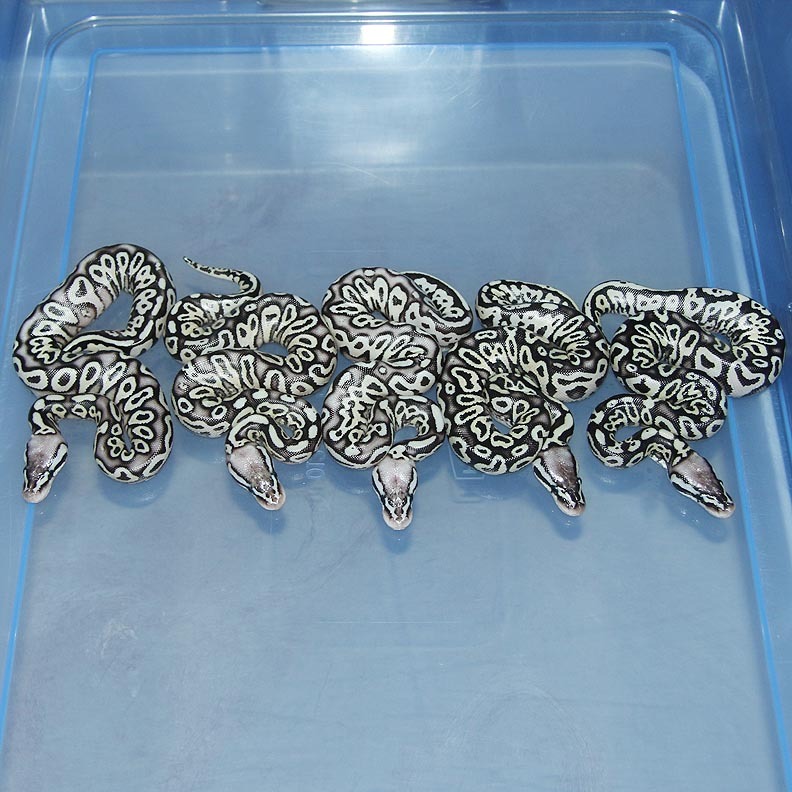 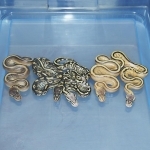 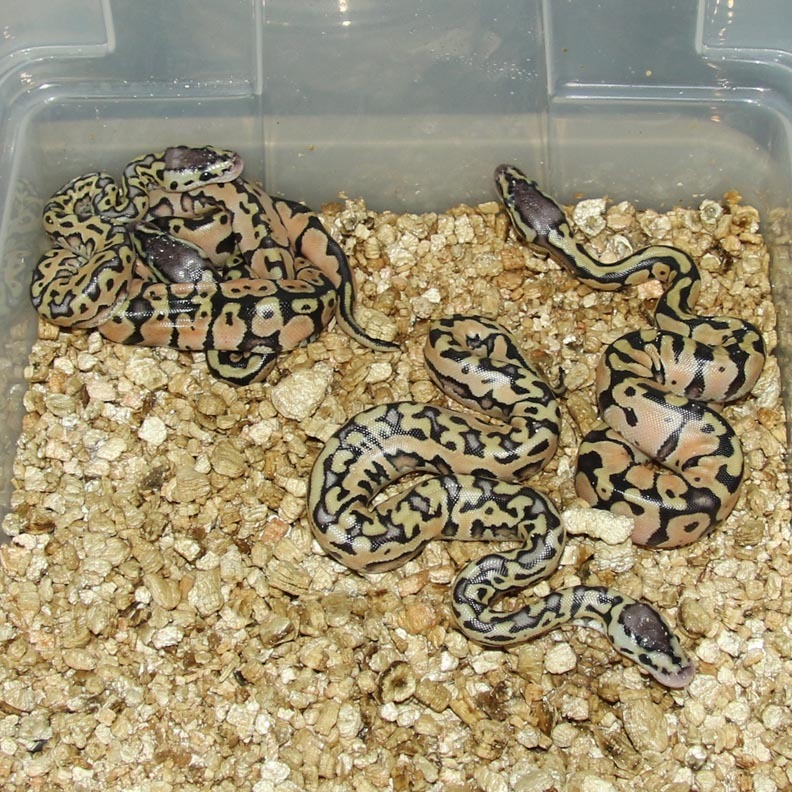 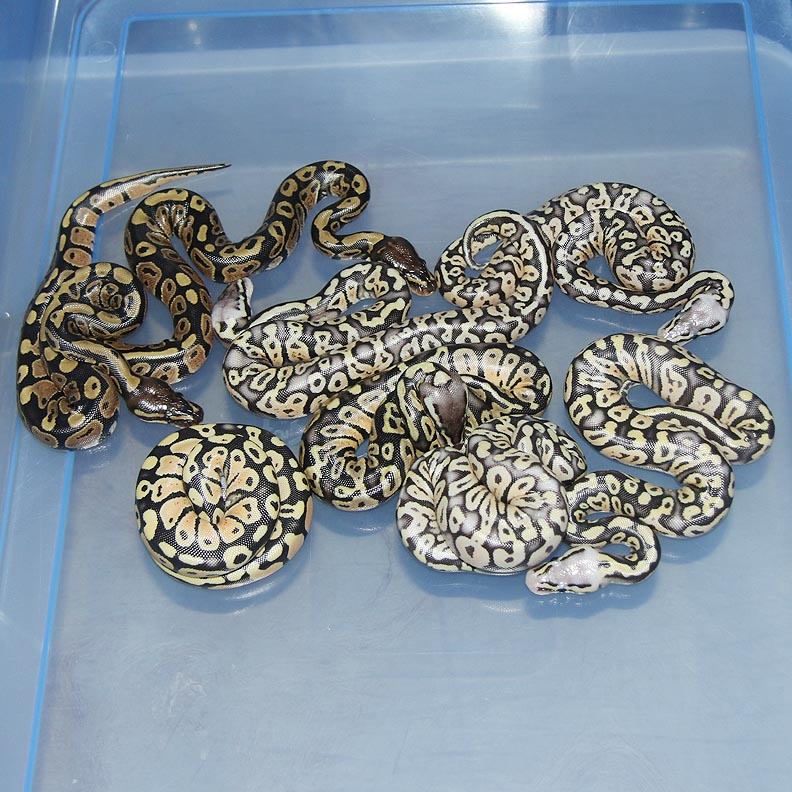 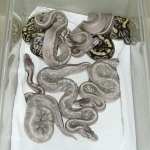 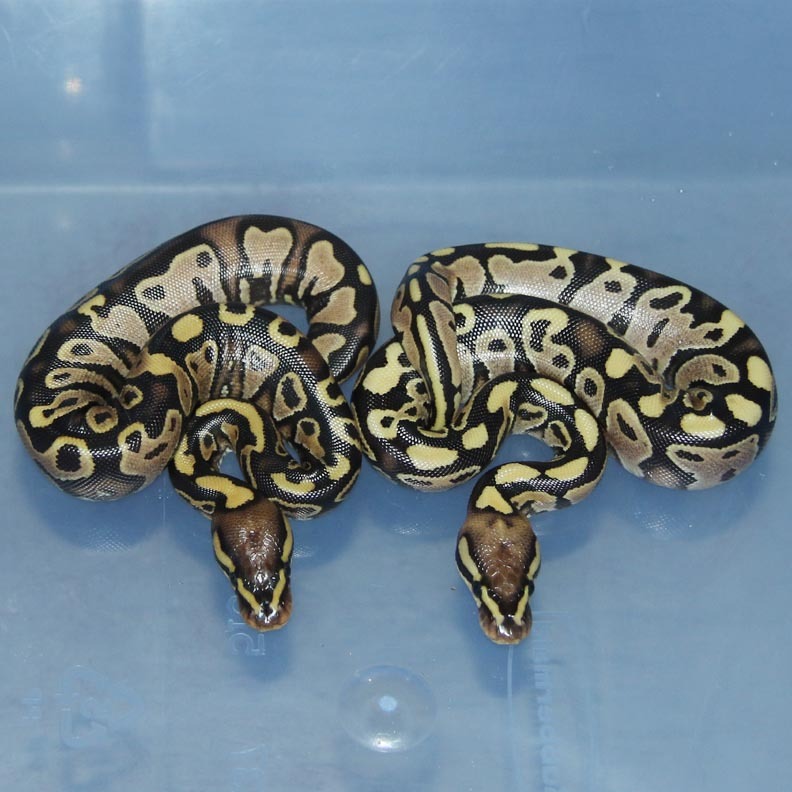 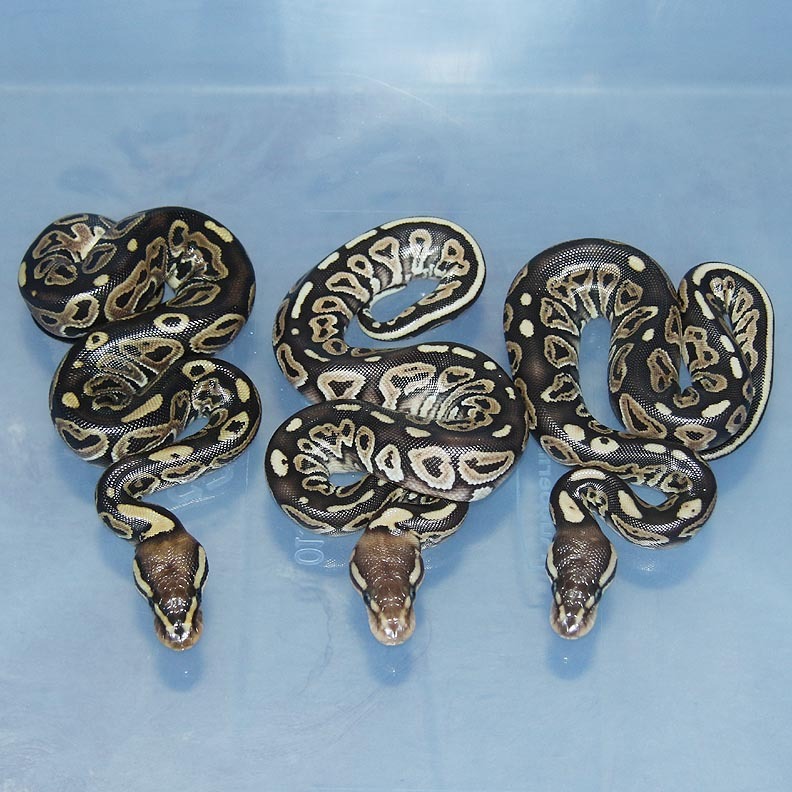 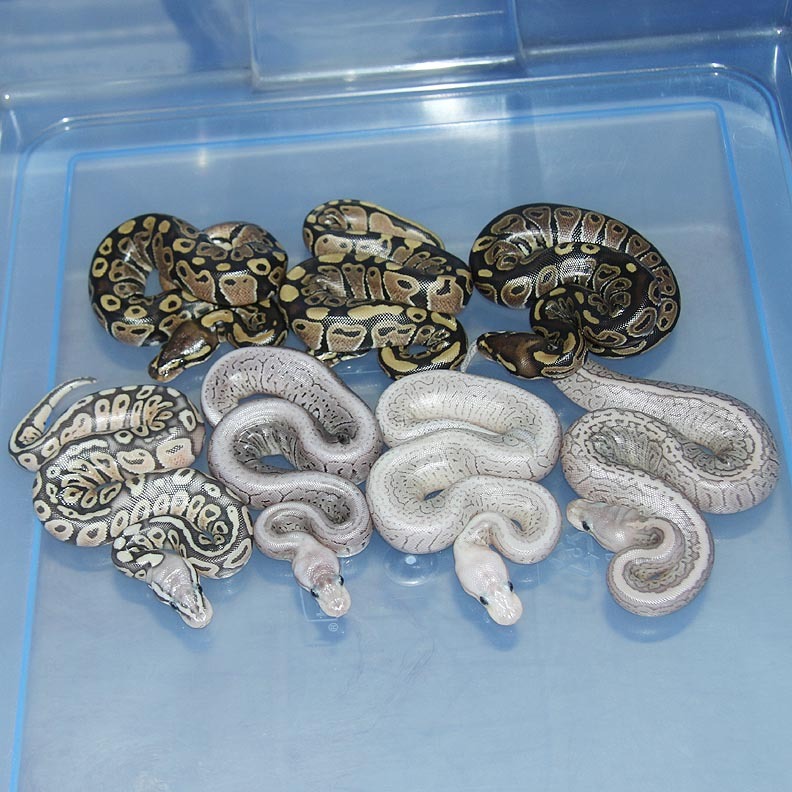 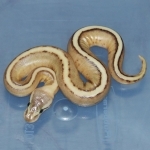 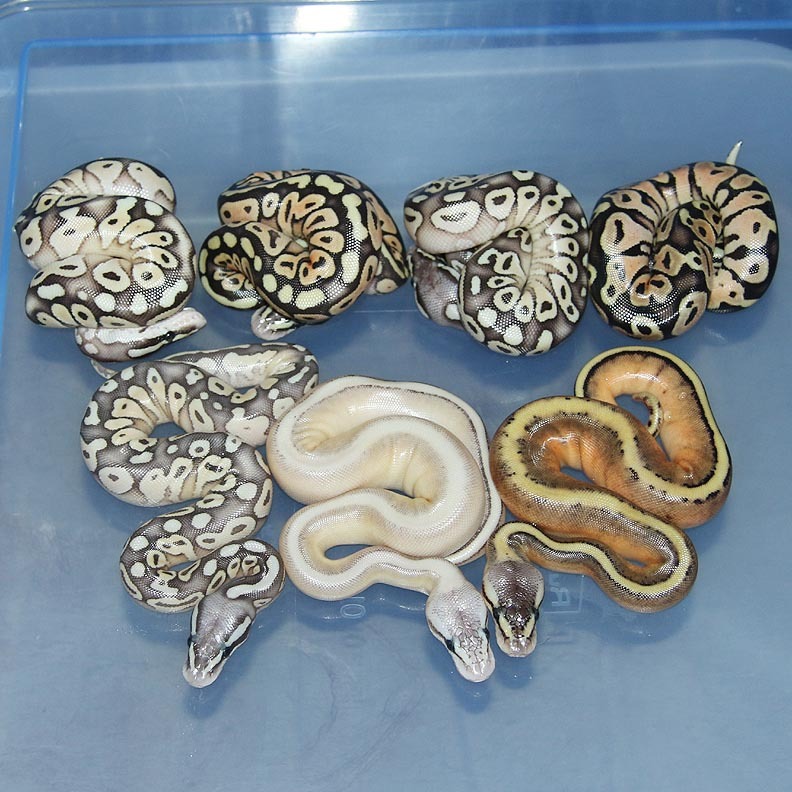 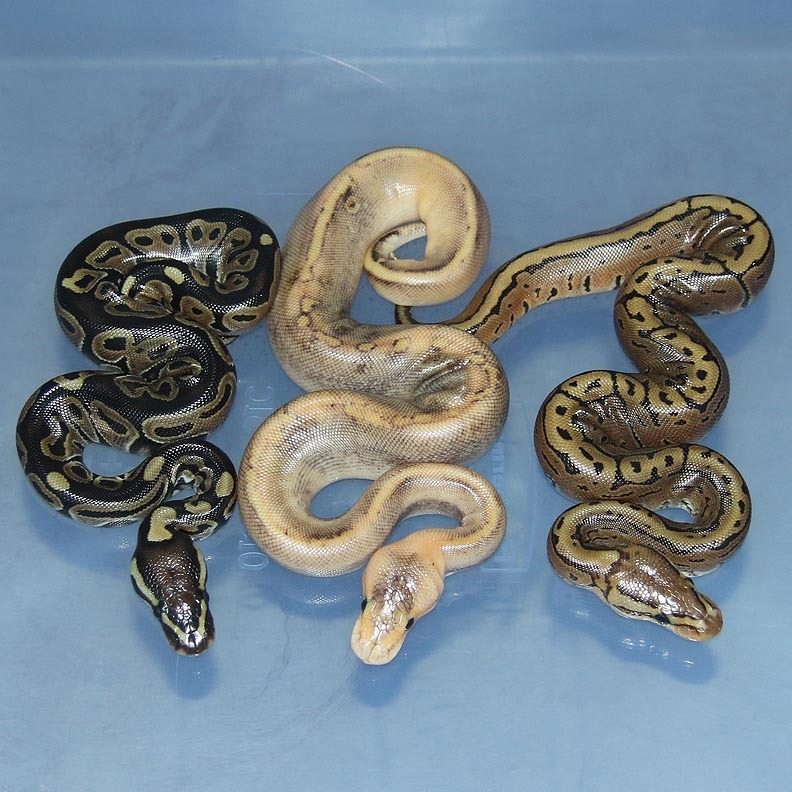 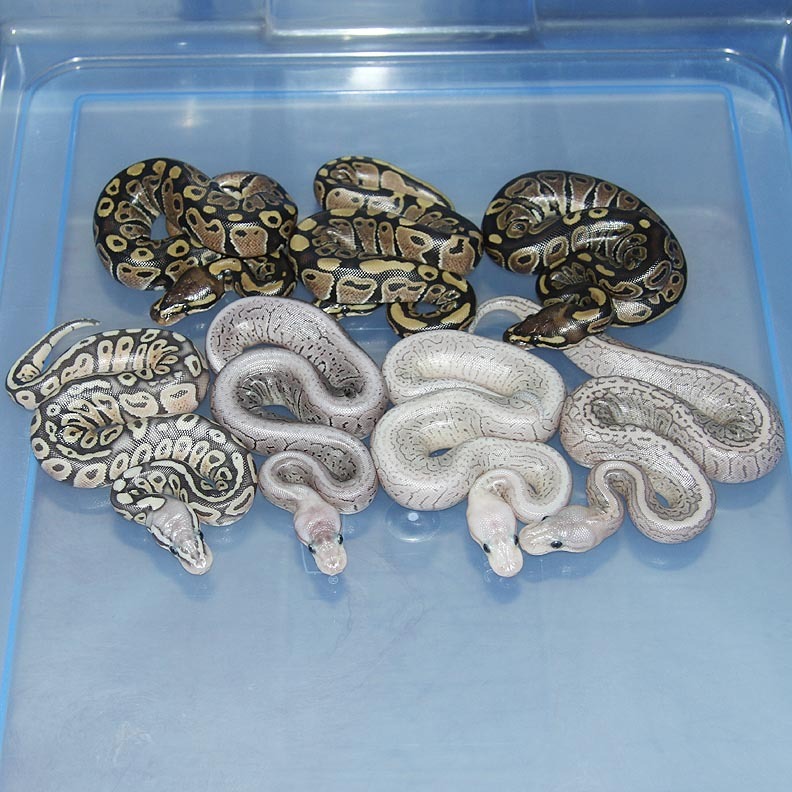 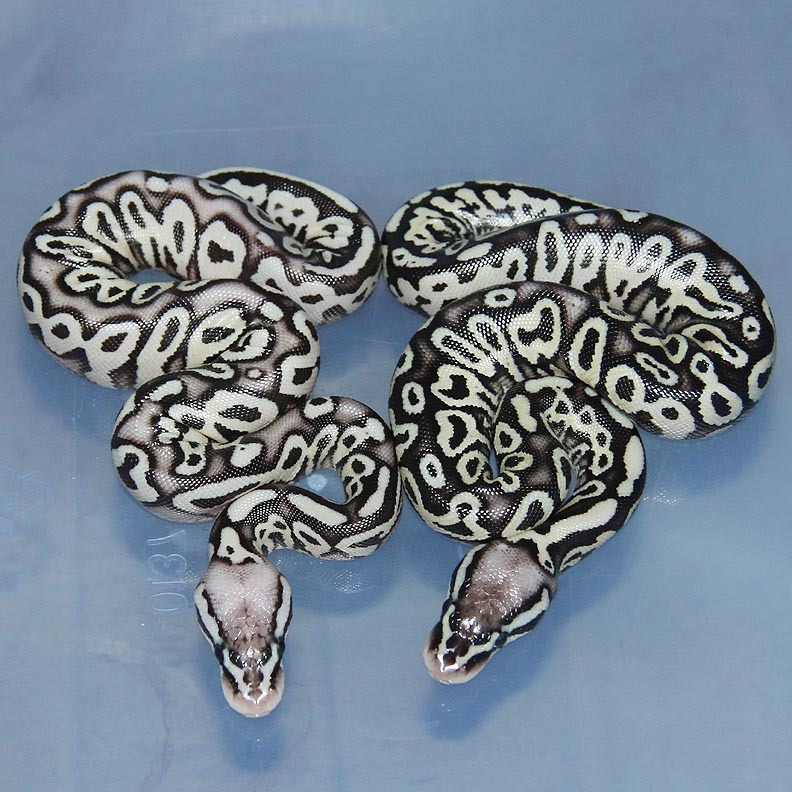 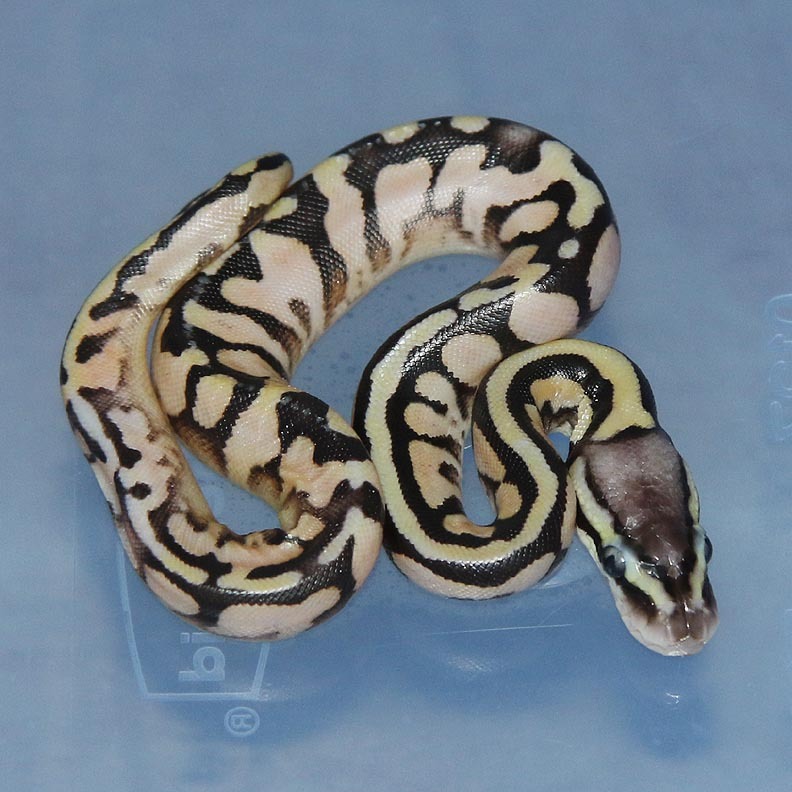 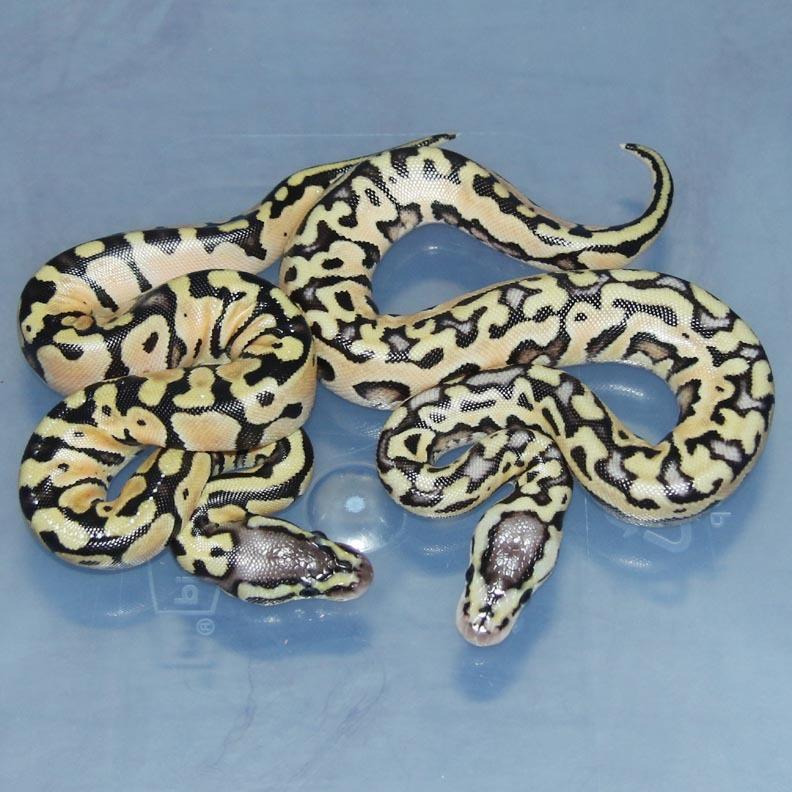 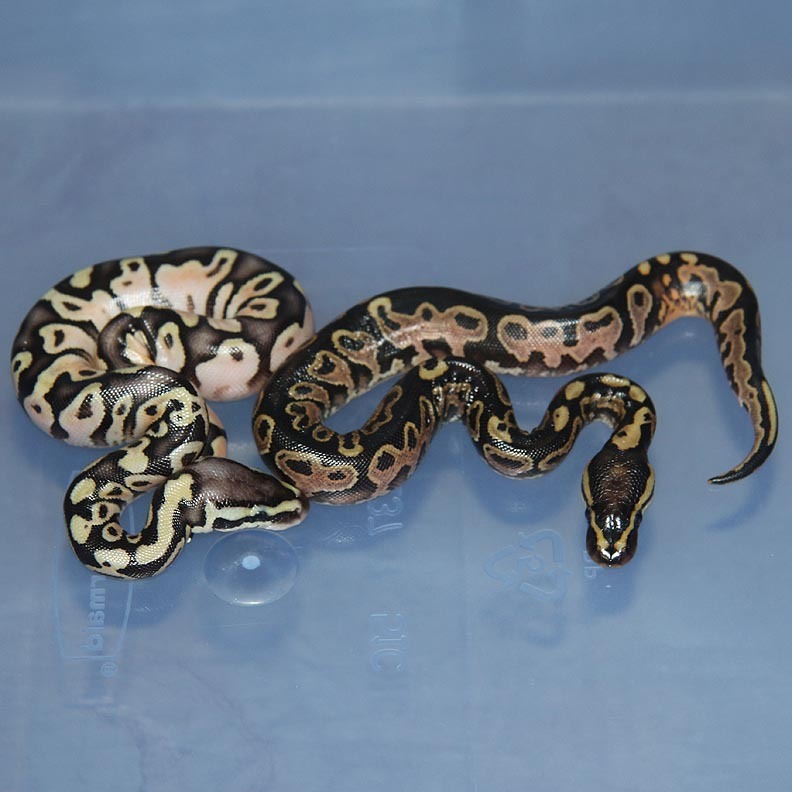 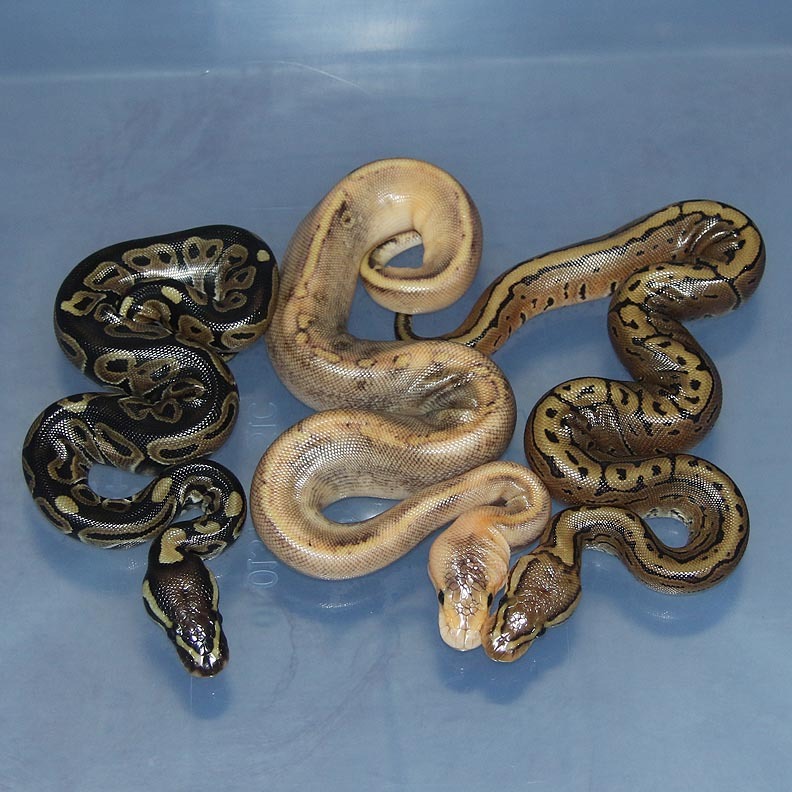 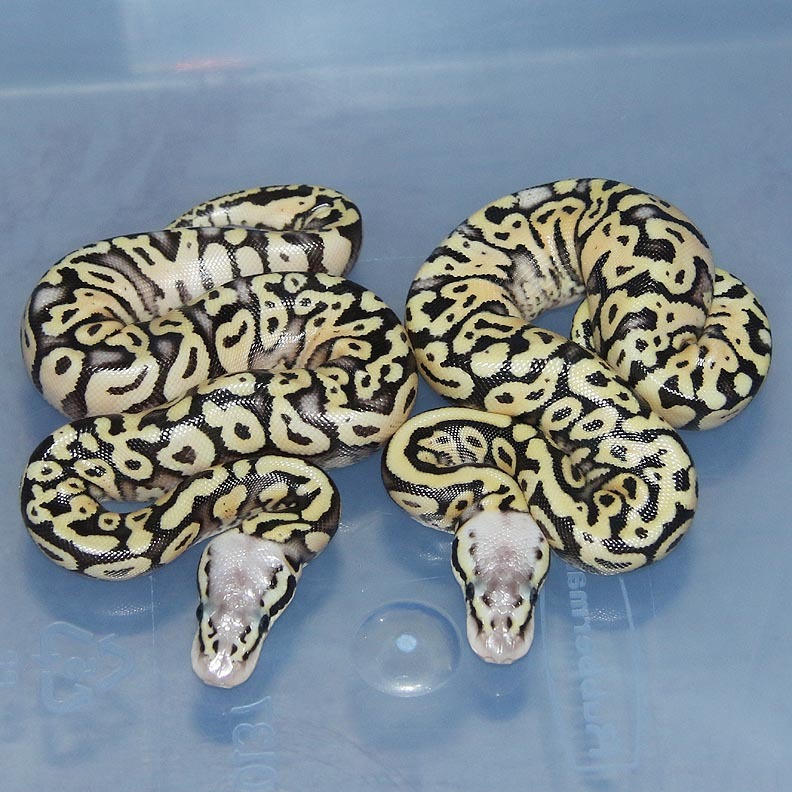 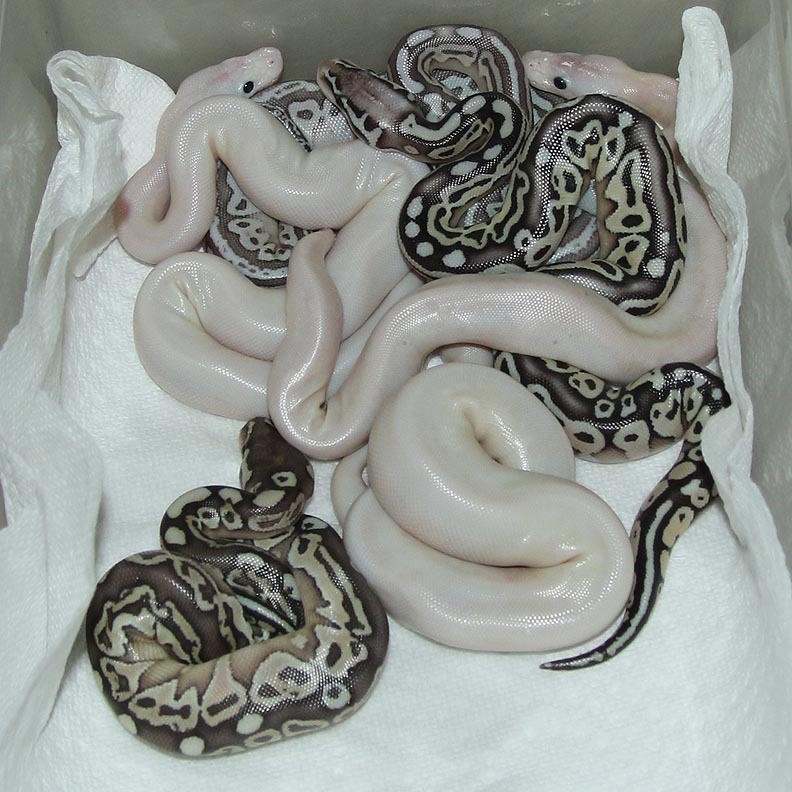 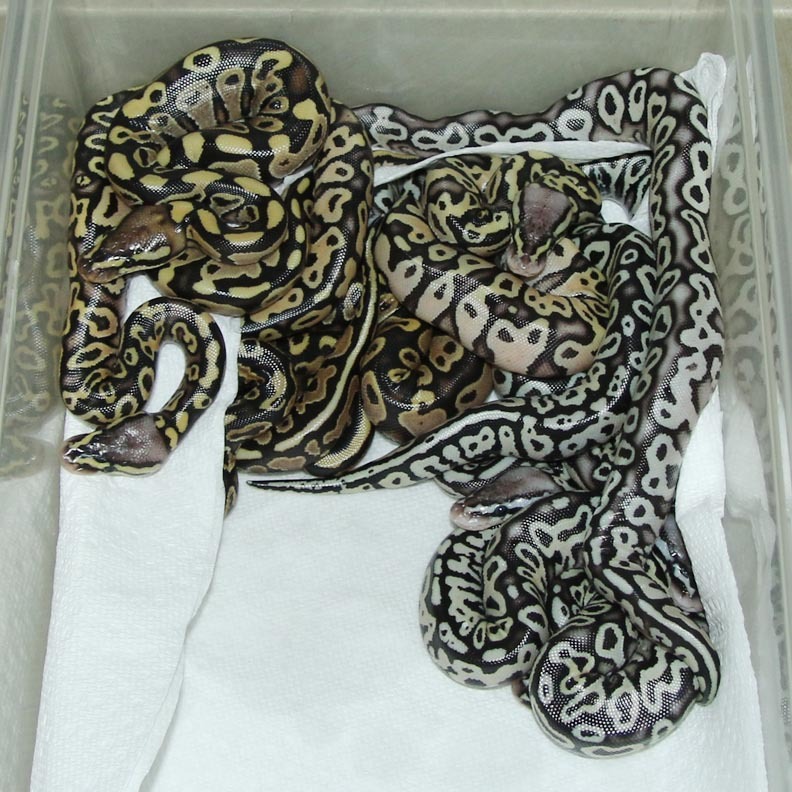 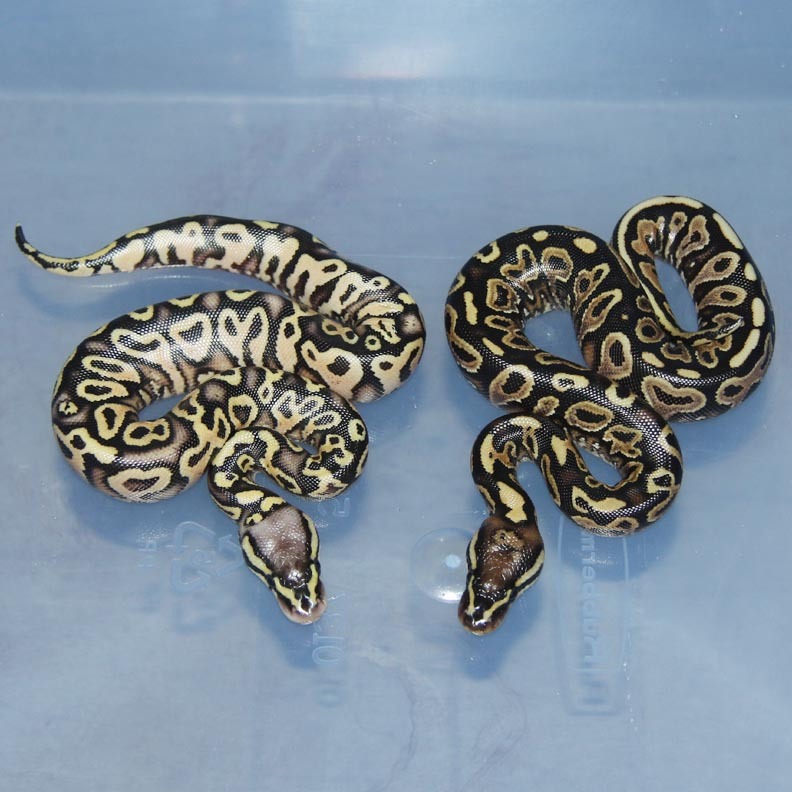 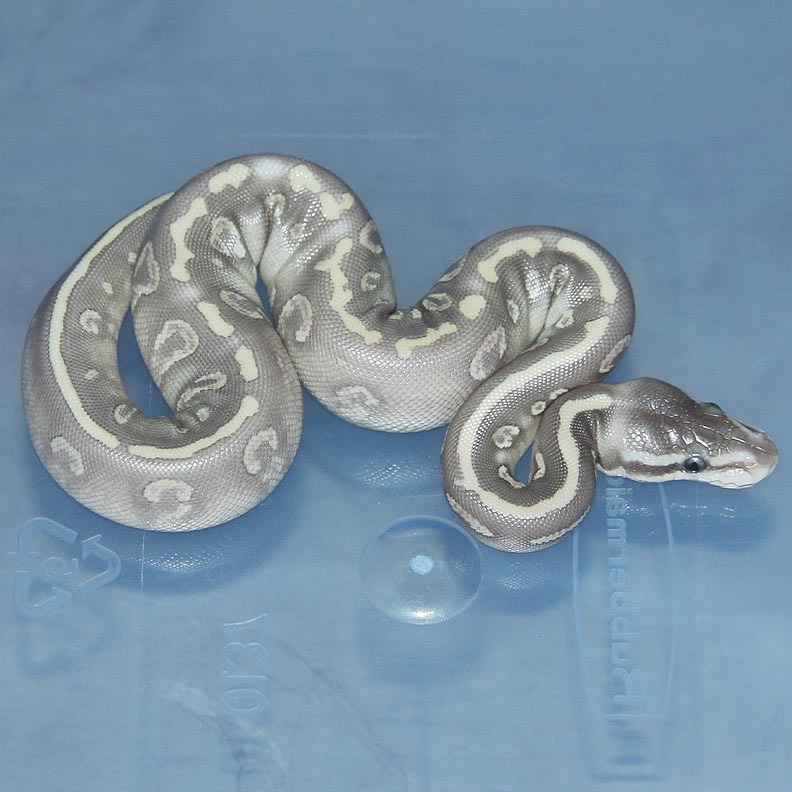 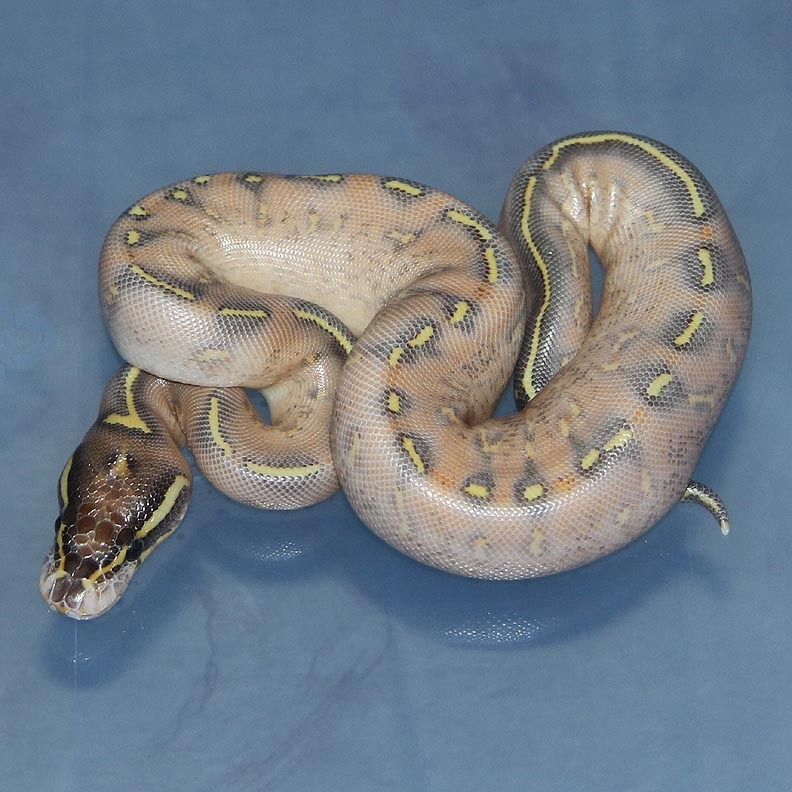 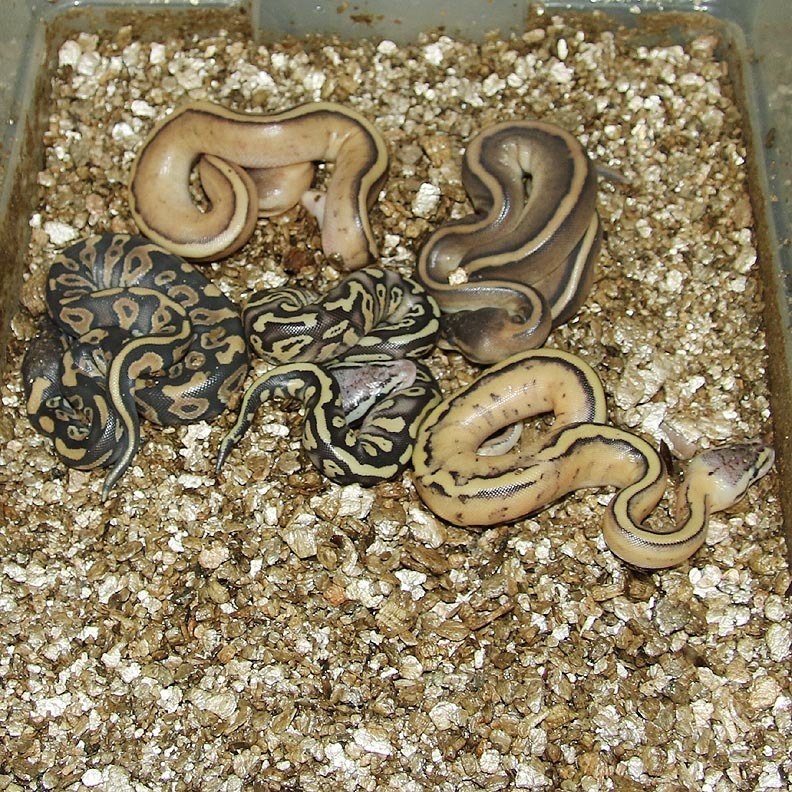 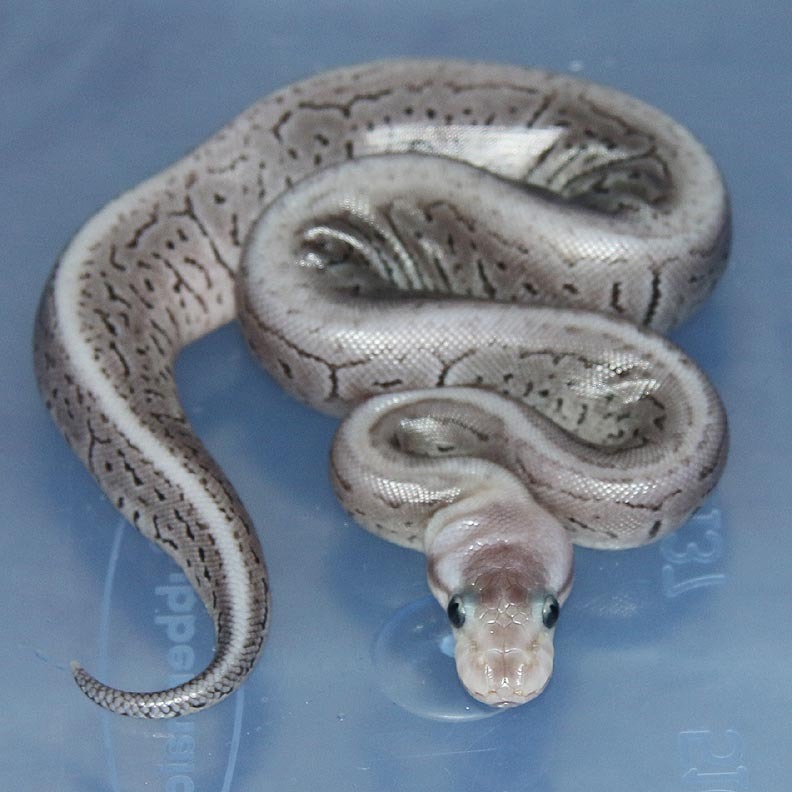 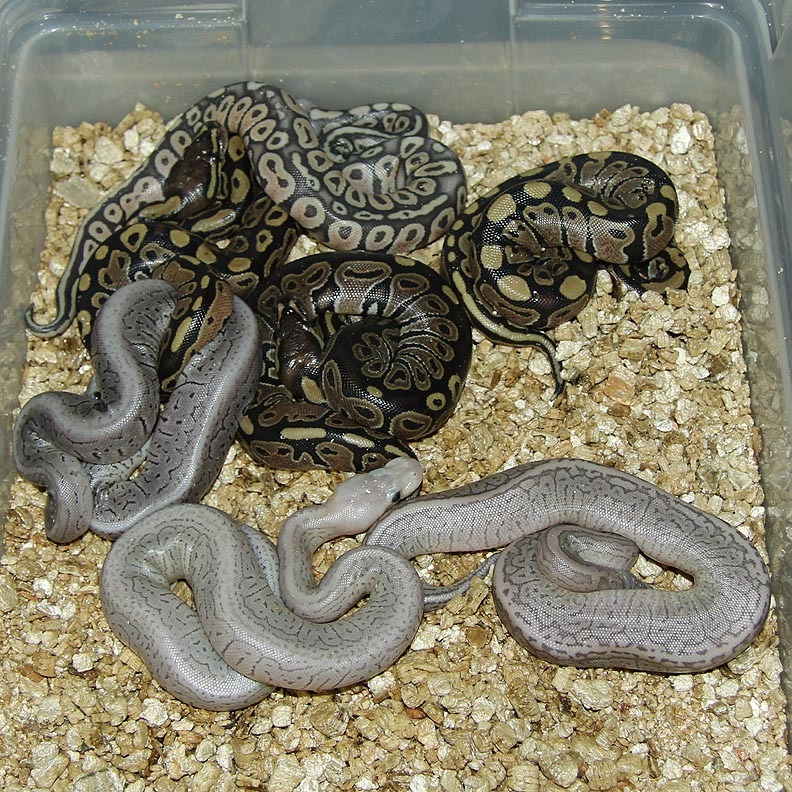 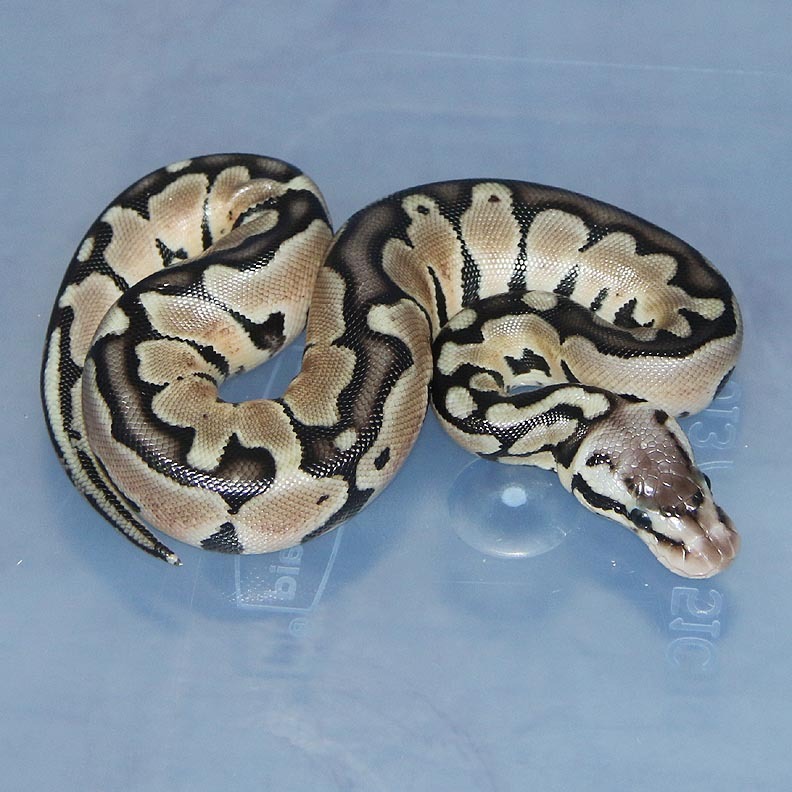 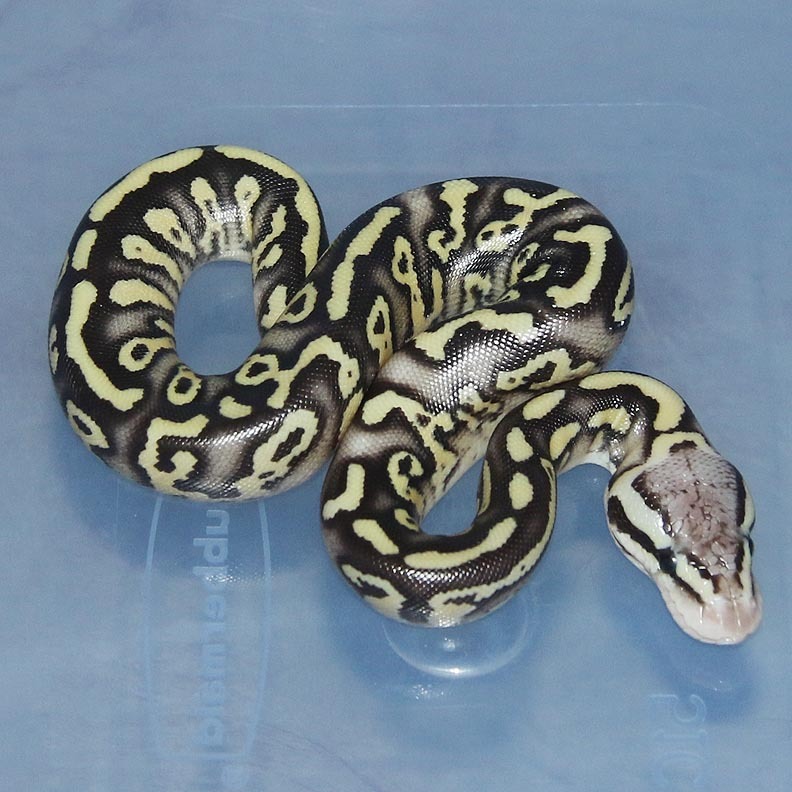 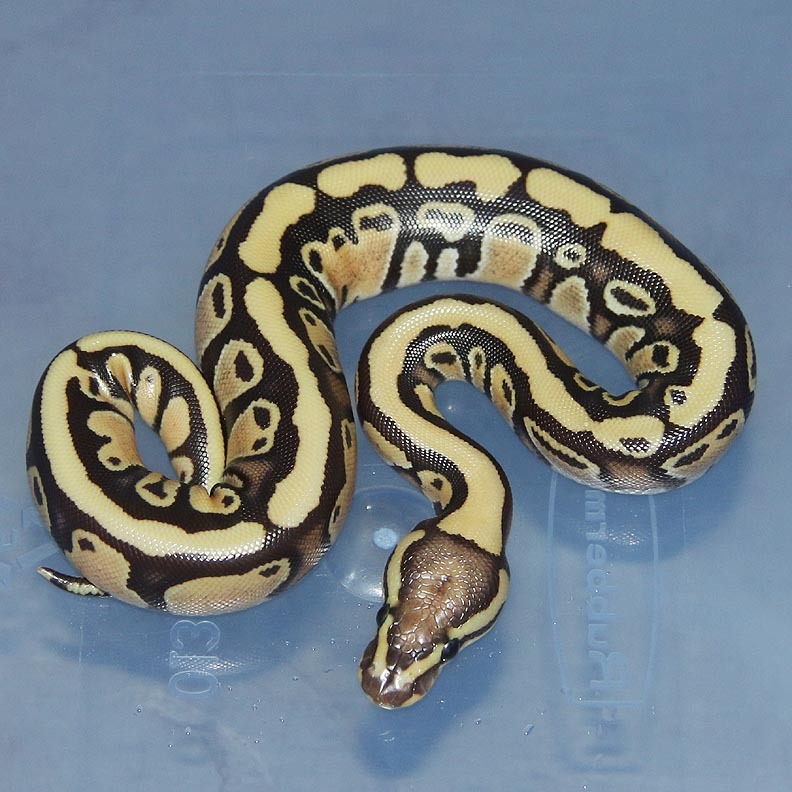 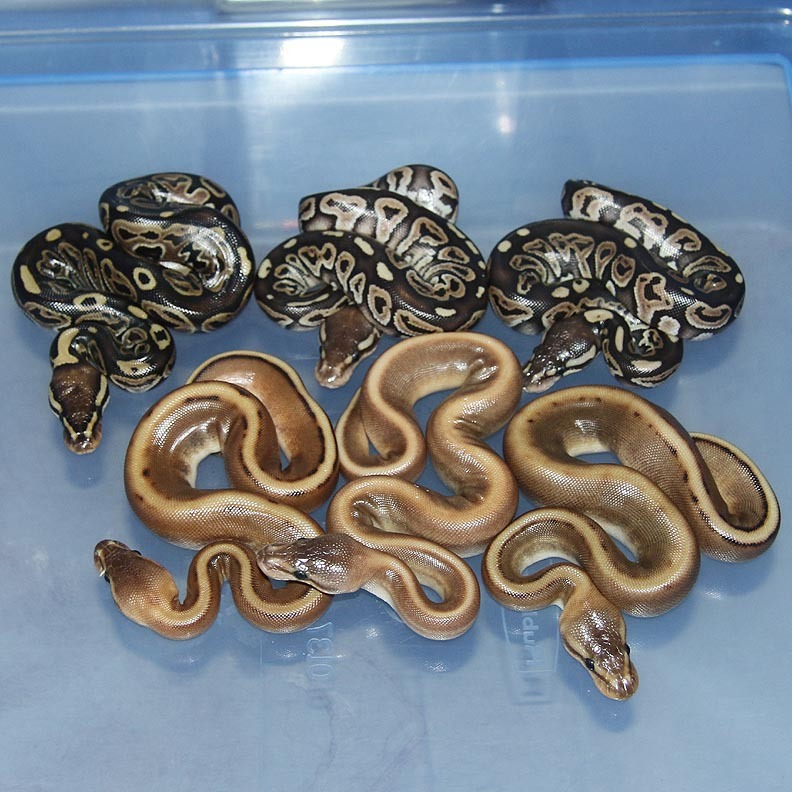 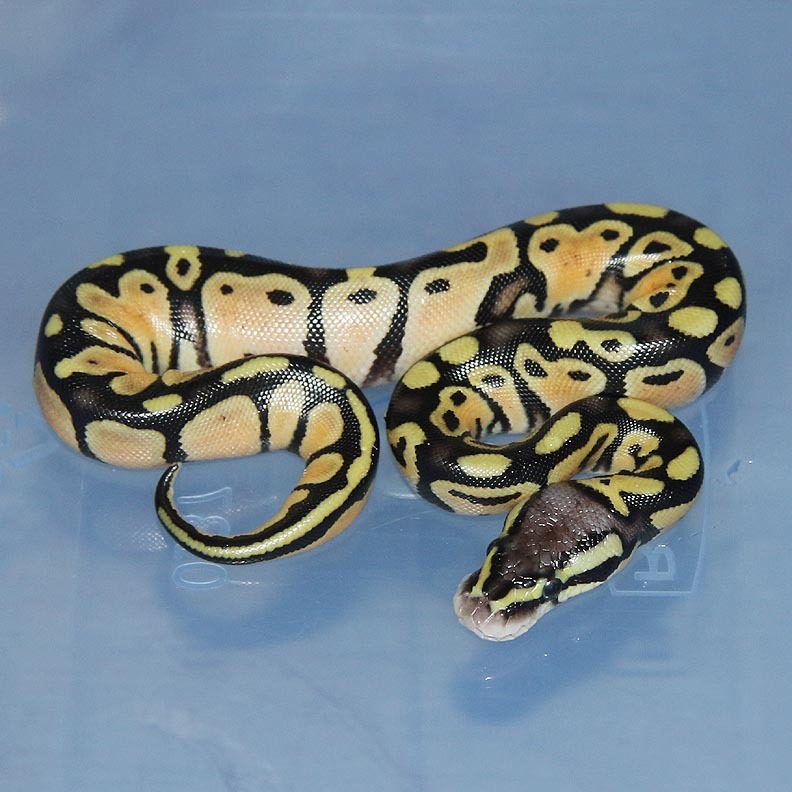 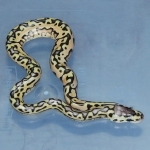 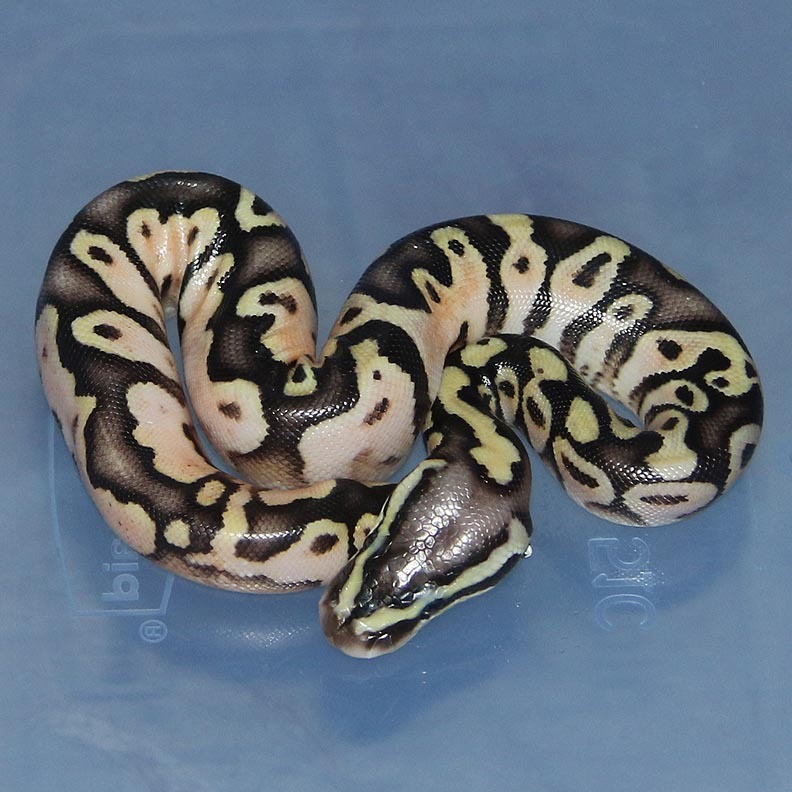 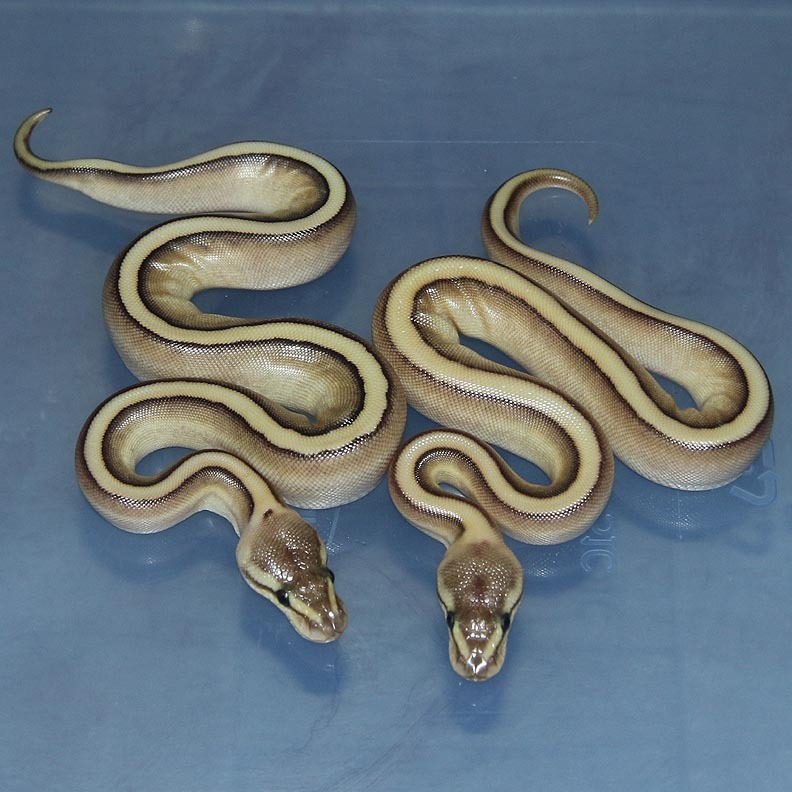 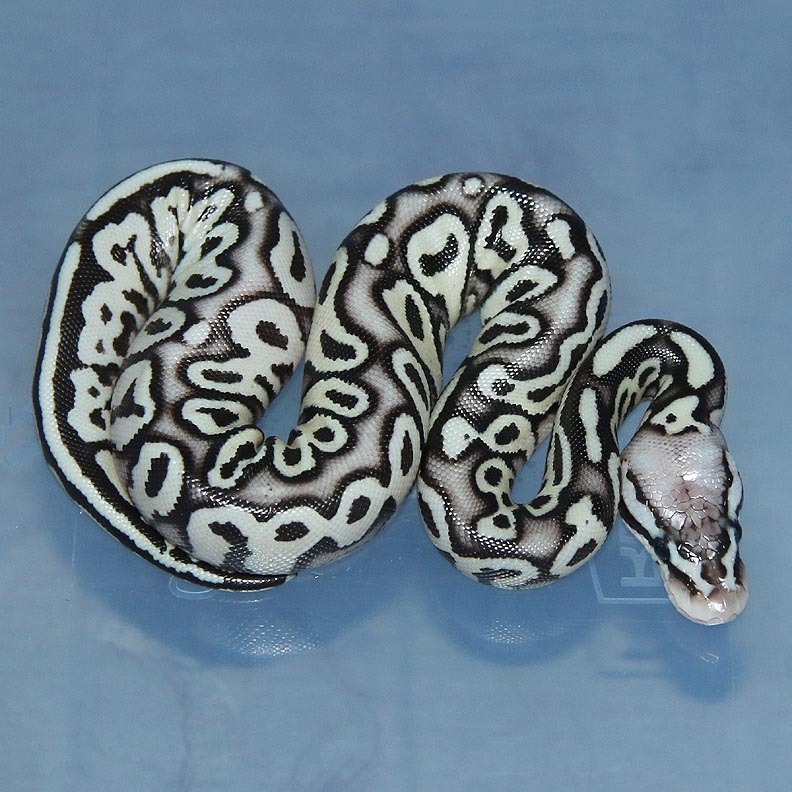 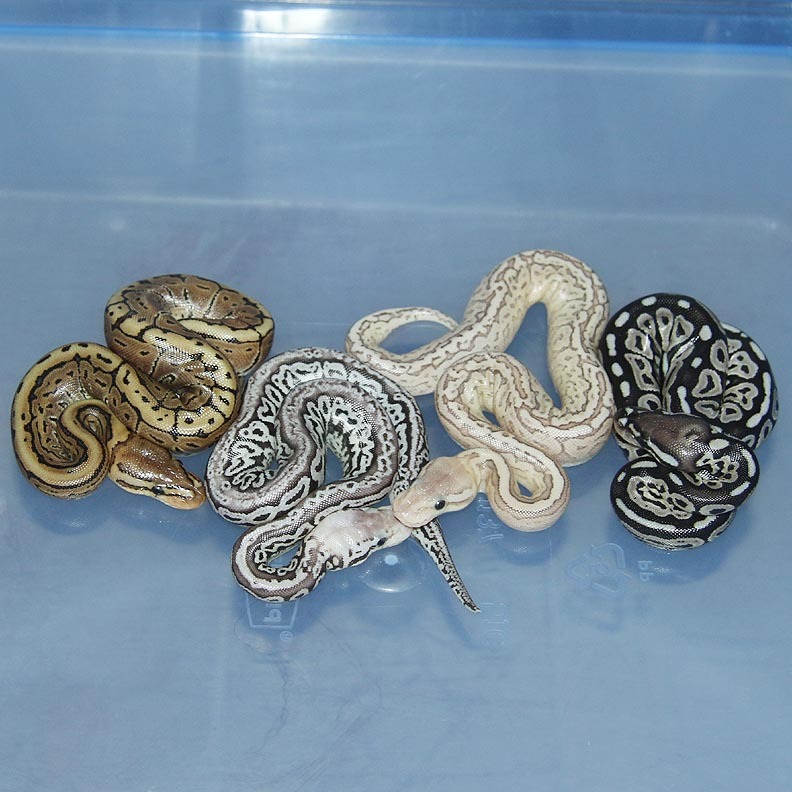 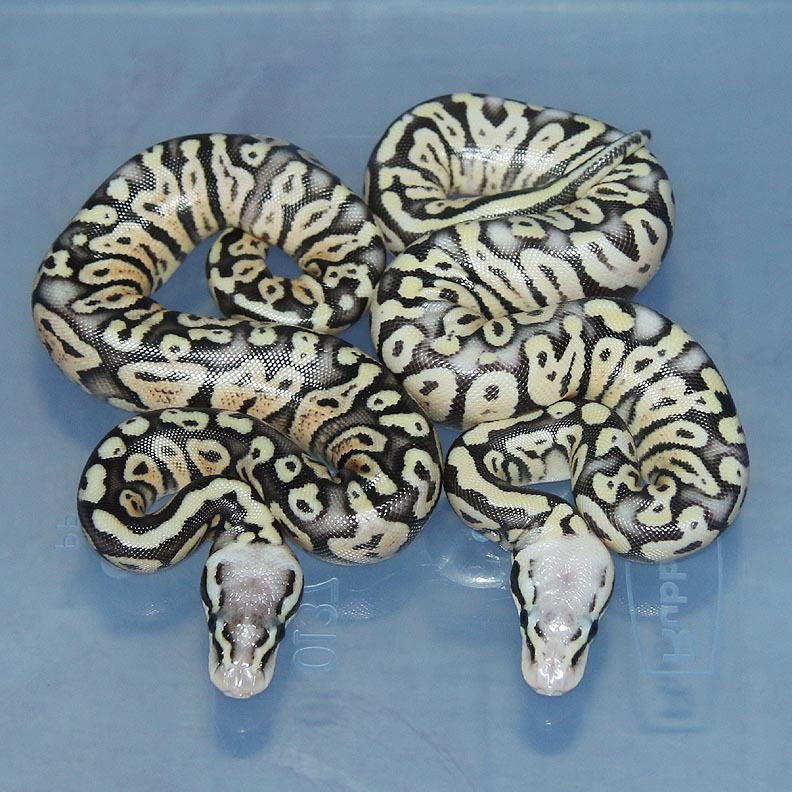 Description: Lesser Genetic Stripe HRA 1/12 x Super Pastel Het Genetic Stripe 1/10. 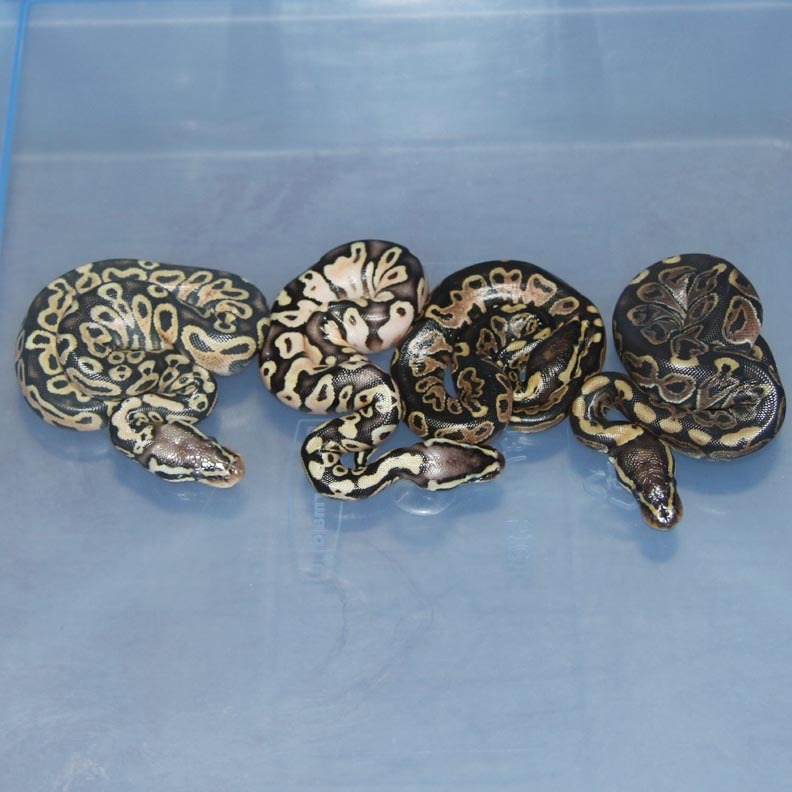 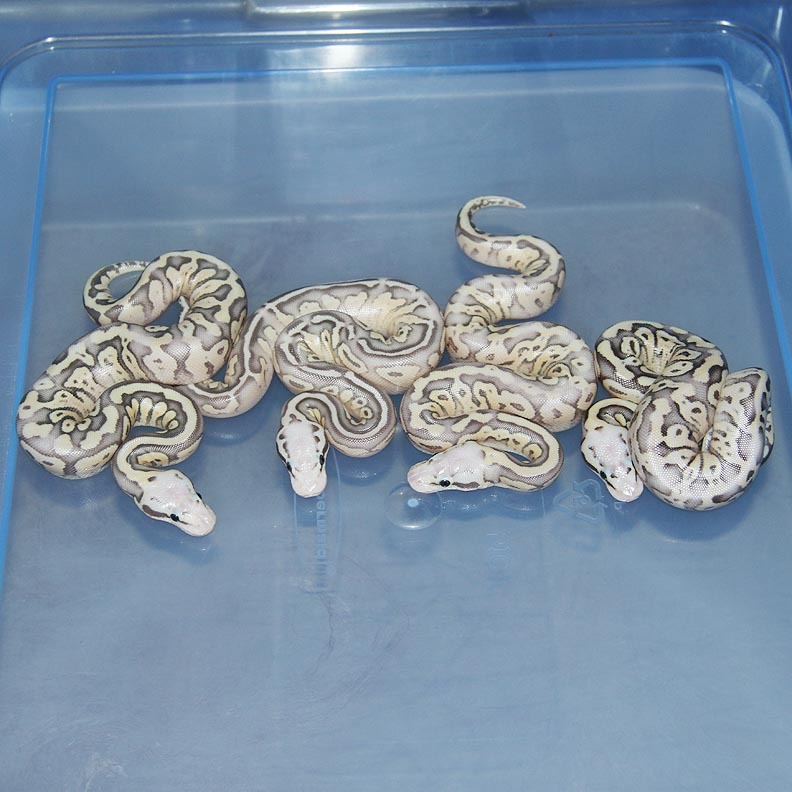 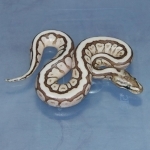 Description: Lavender Het Pied 1/12 JK x DH Lavender/Pied 2/12. 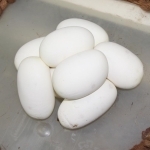 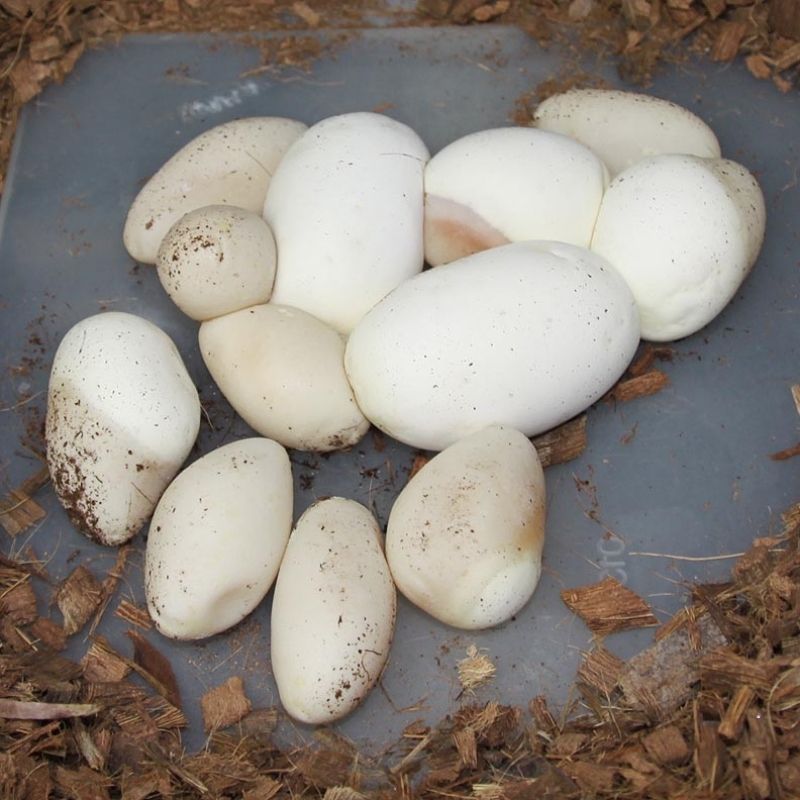 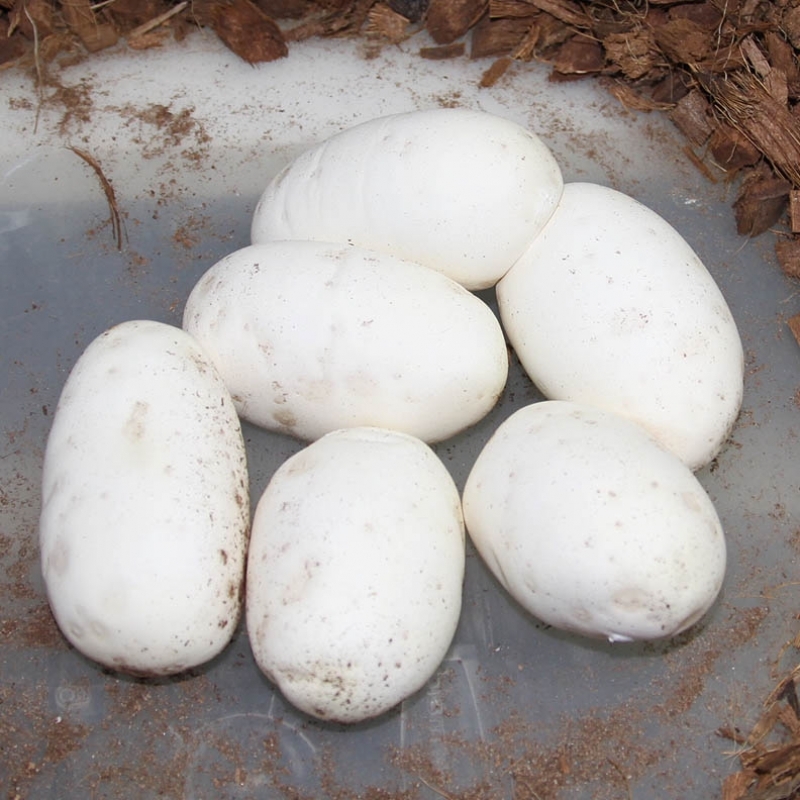 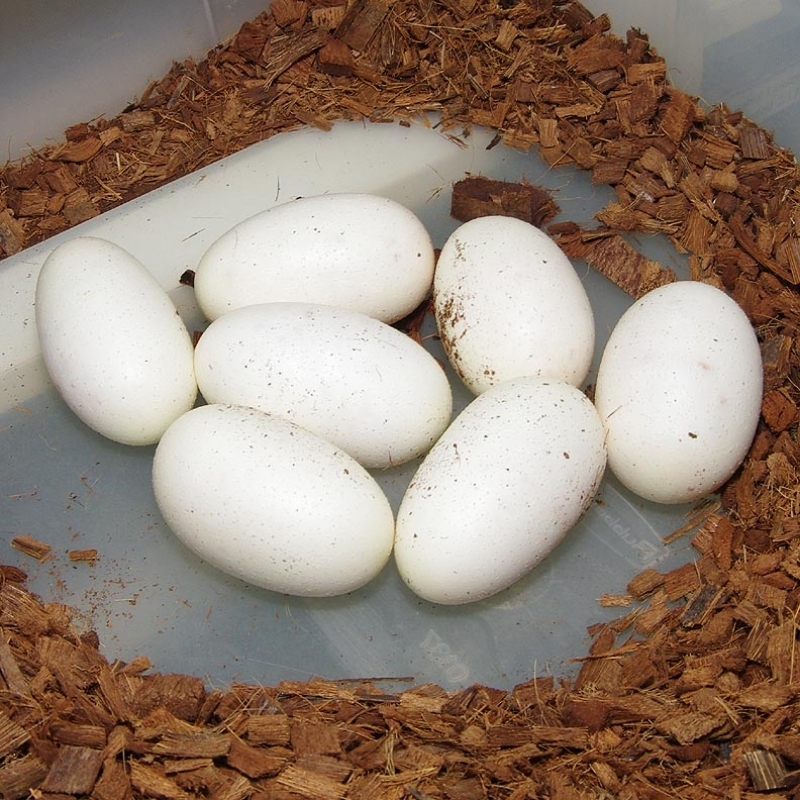 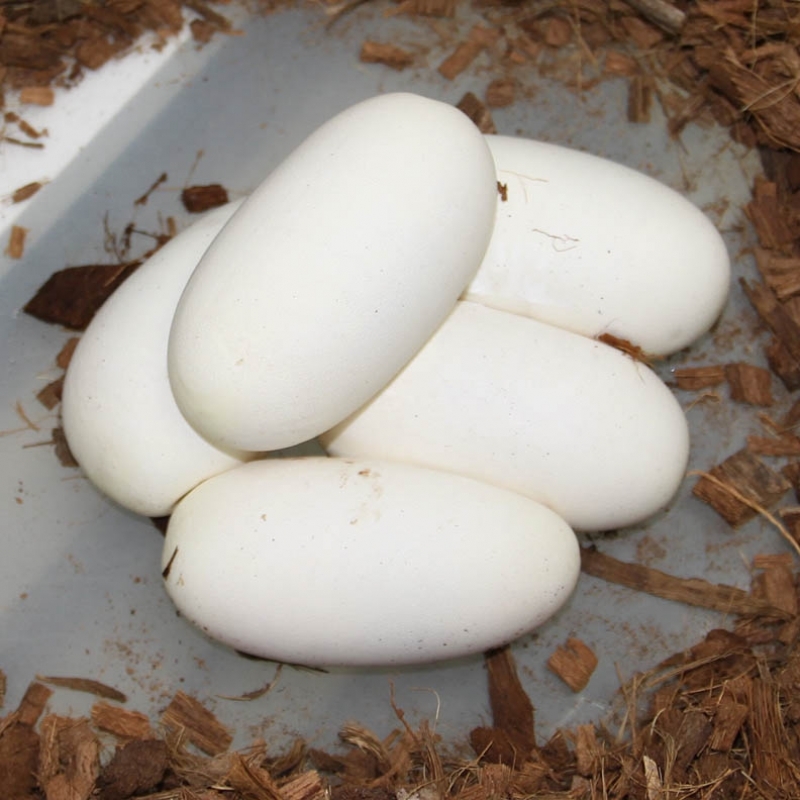 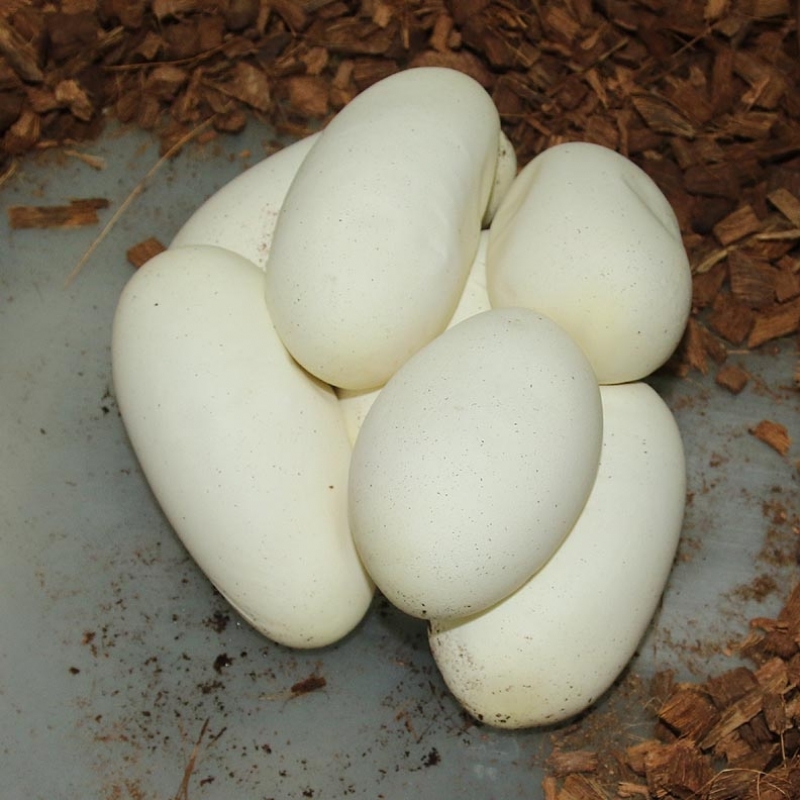 This is my first clutch that could contain Dreamsicles! 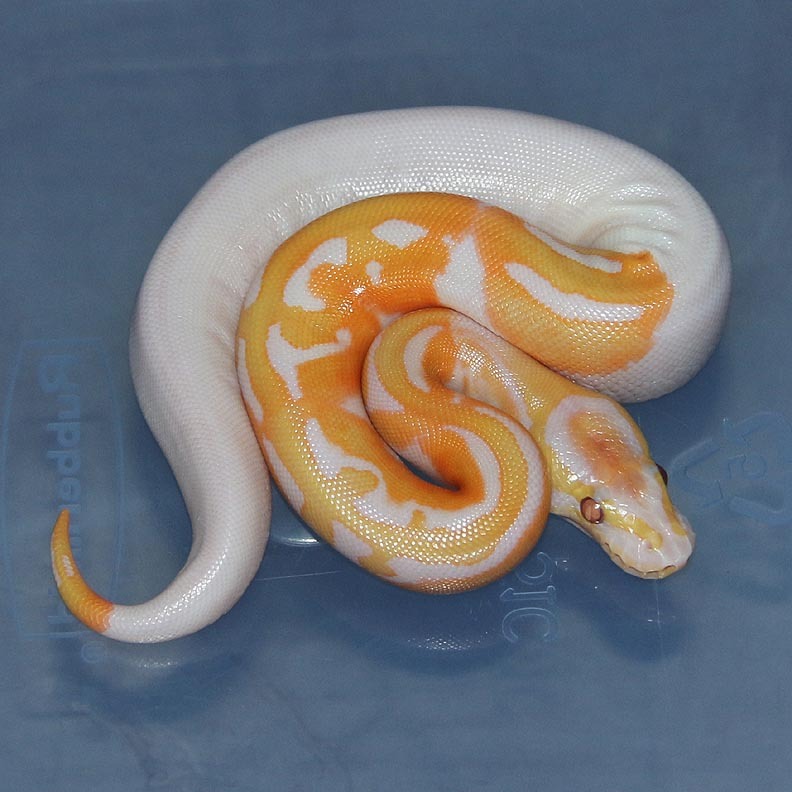 This girl is smokin hot! 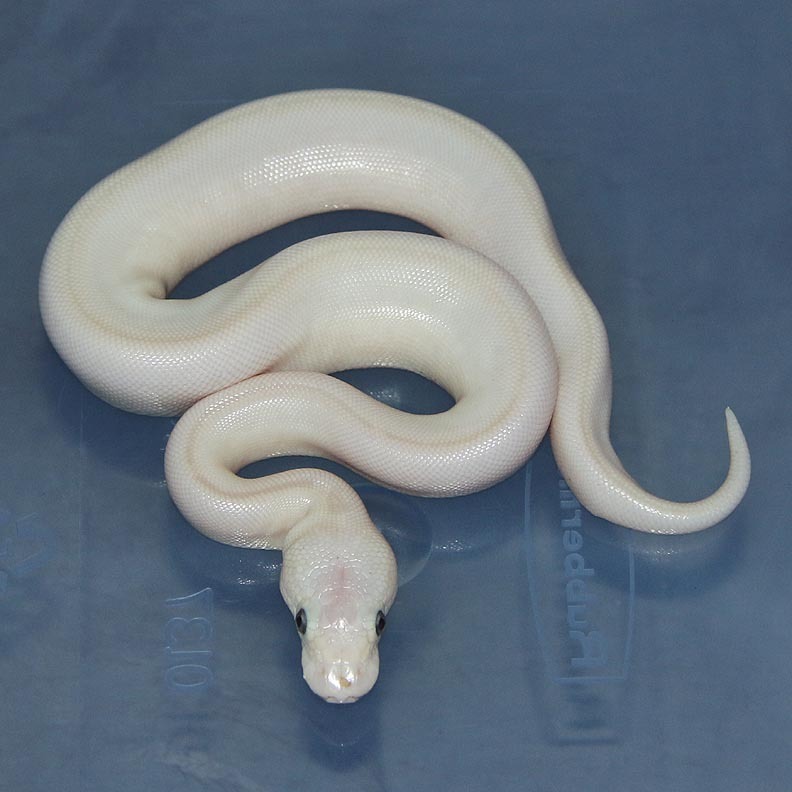 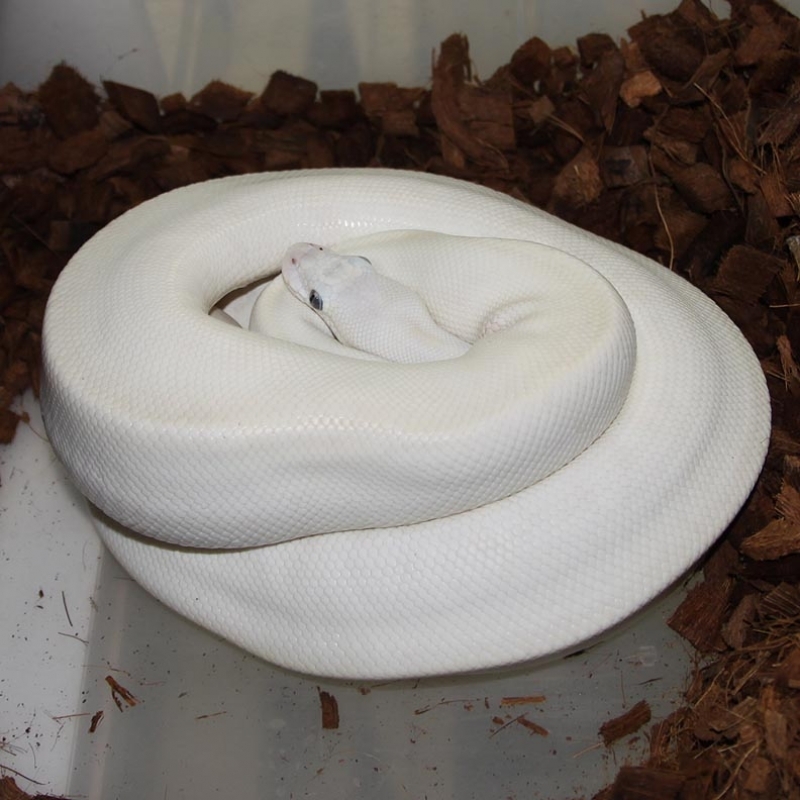 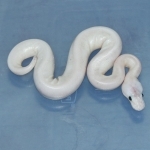 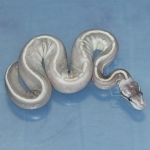 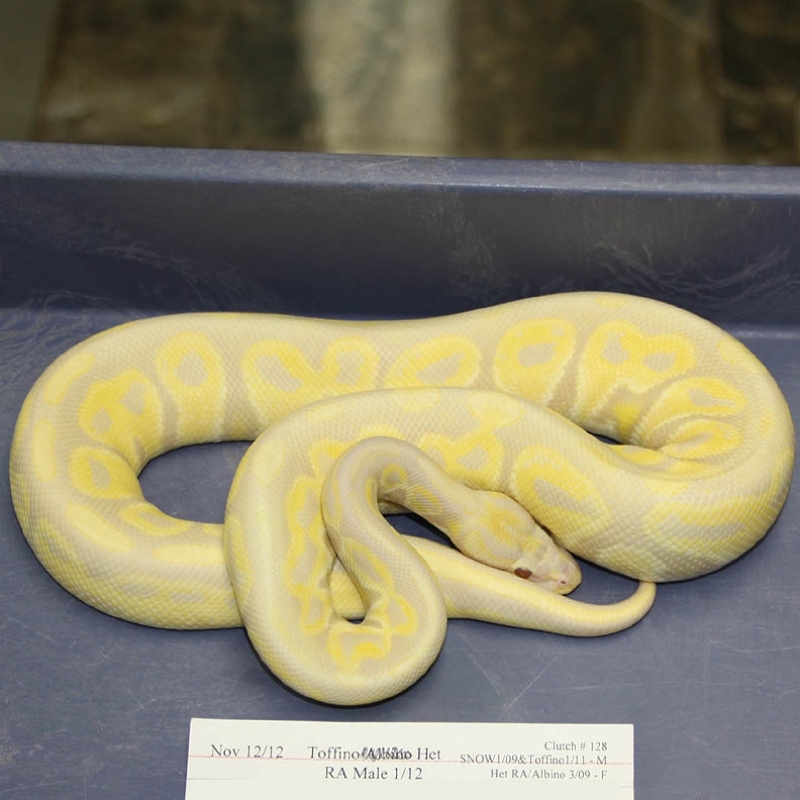 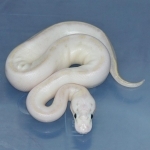 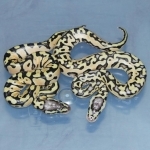 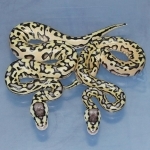 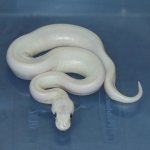 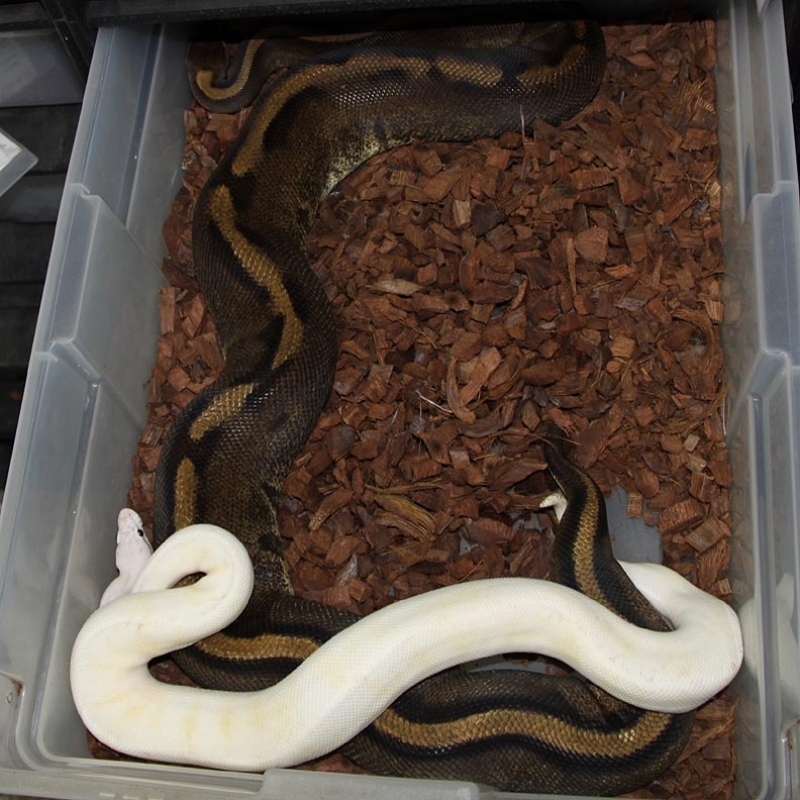 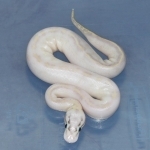 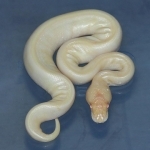 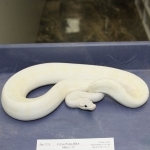 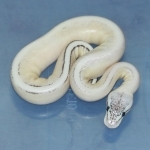 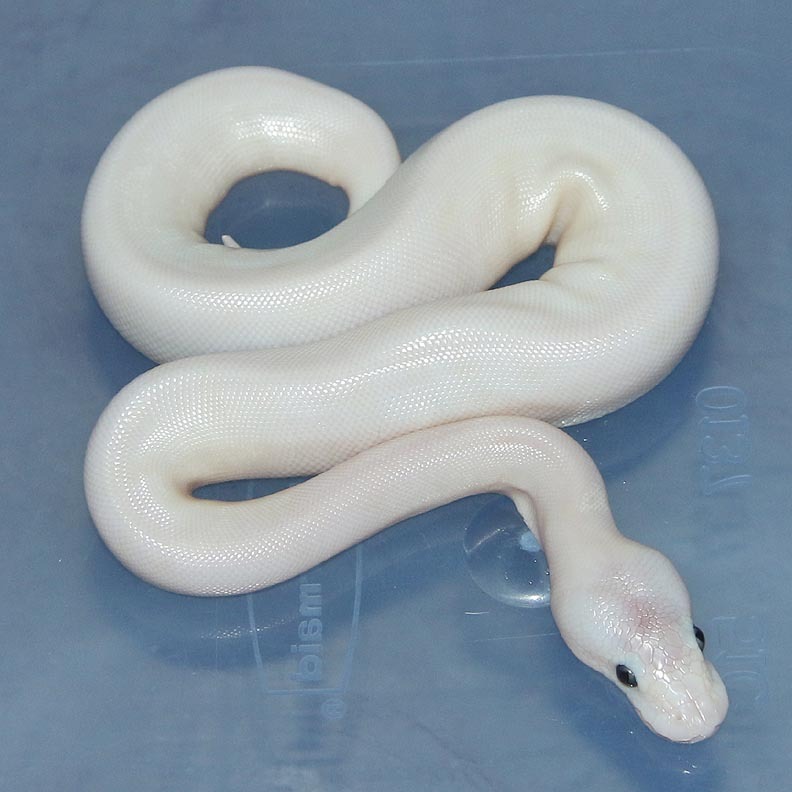 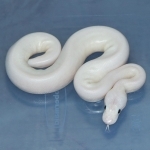 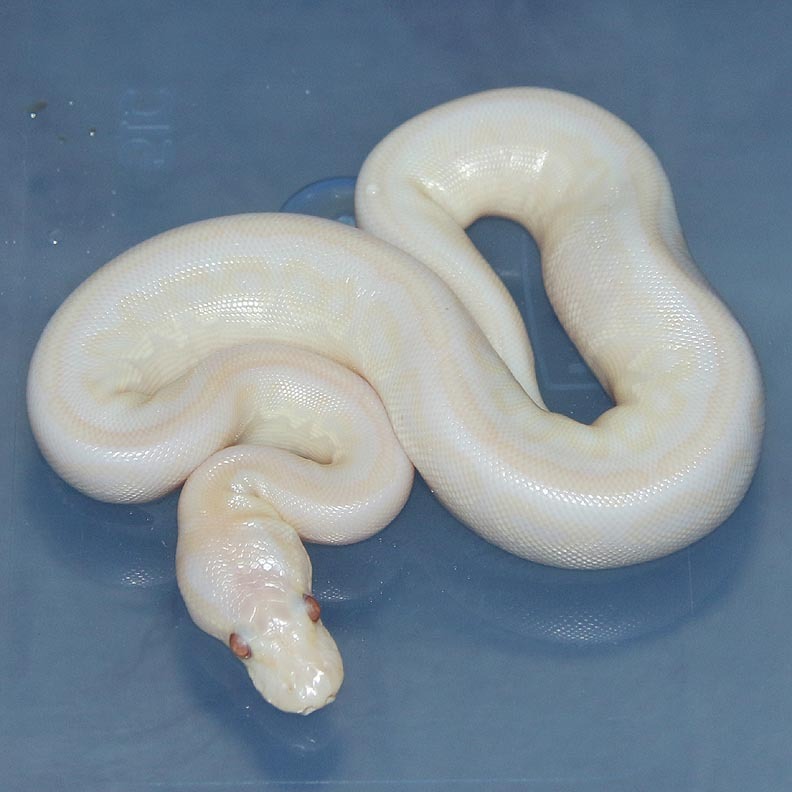 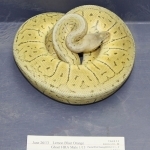 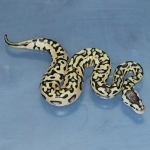 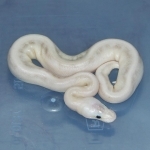 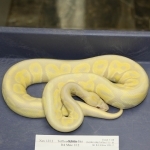 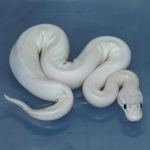 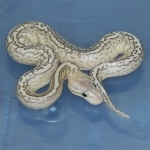 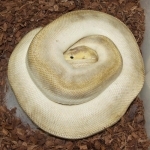 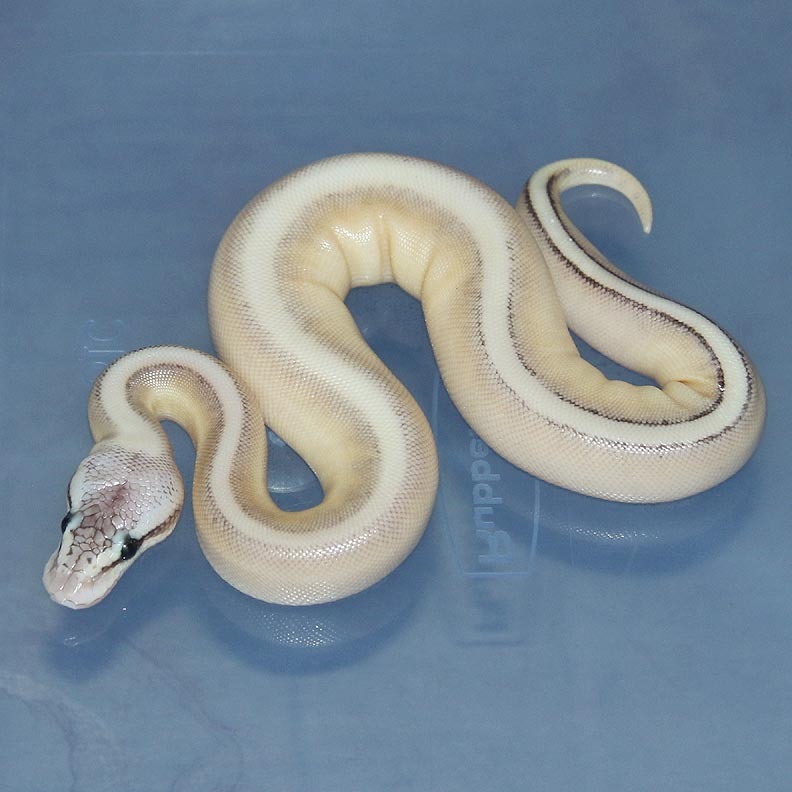 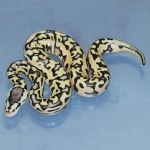 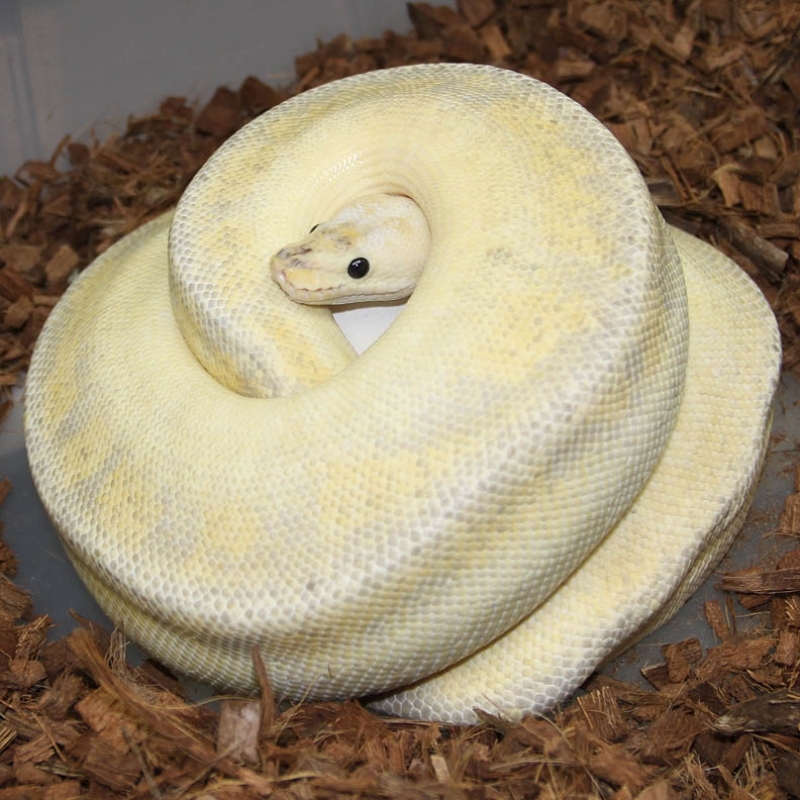 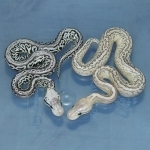 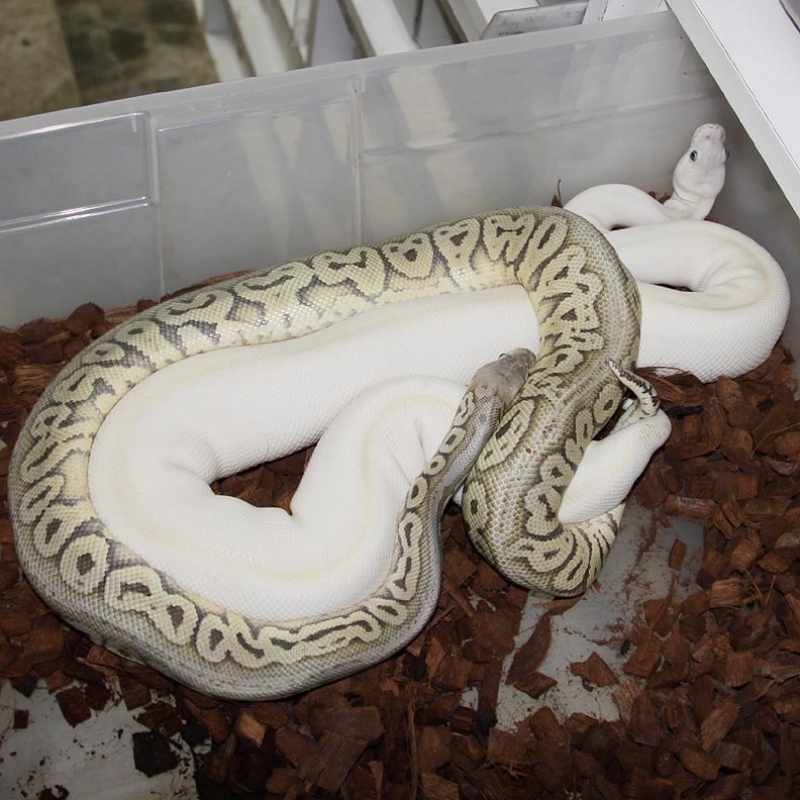 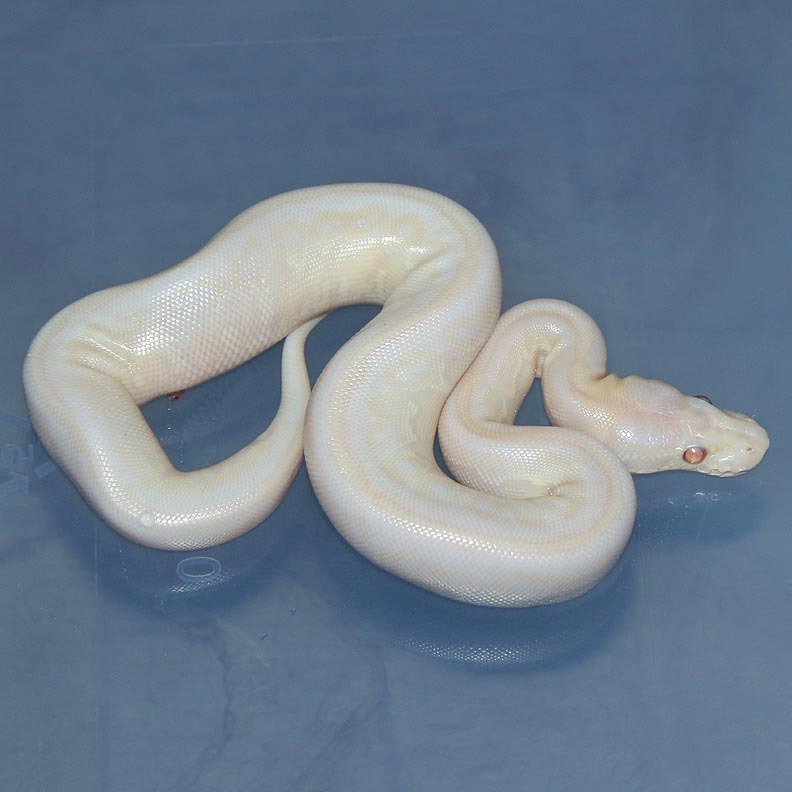 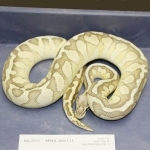 Description: Toffino 1/11 x Pin Champ Het Albino 1/10. 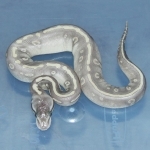 Description: Citrus Pastel Lesser Spark HRA 1/13 x Pin Champ HRA 2/12. 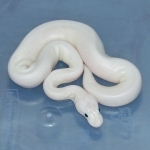 Just like in clutch 210 there is a totally white snake. 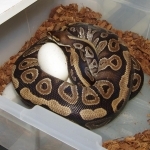 Weird! Description: Banana Mahogany 1/13 x Lesser Spider Mahogany HRA 1/13. 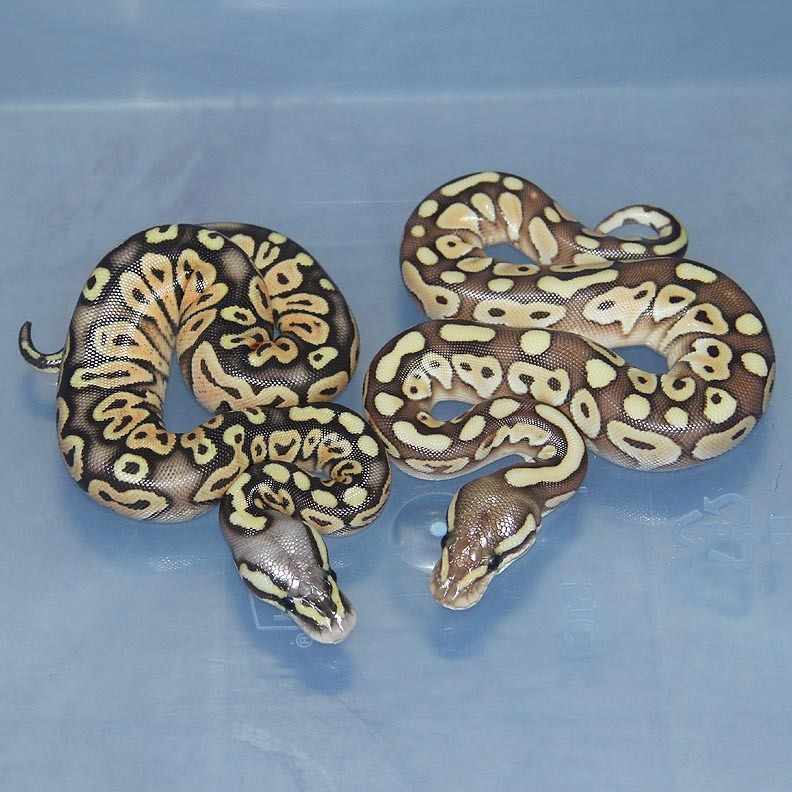 I've been really happy with the SUMA crosses that have been produced this year. 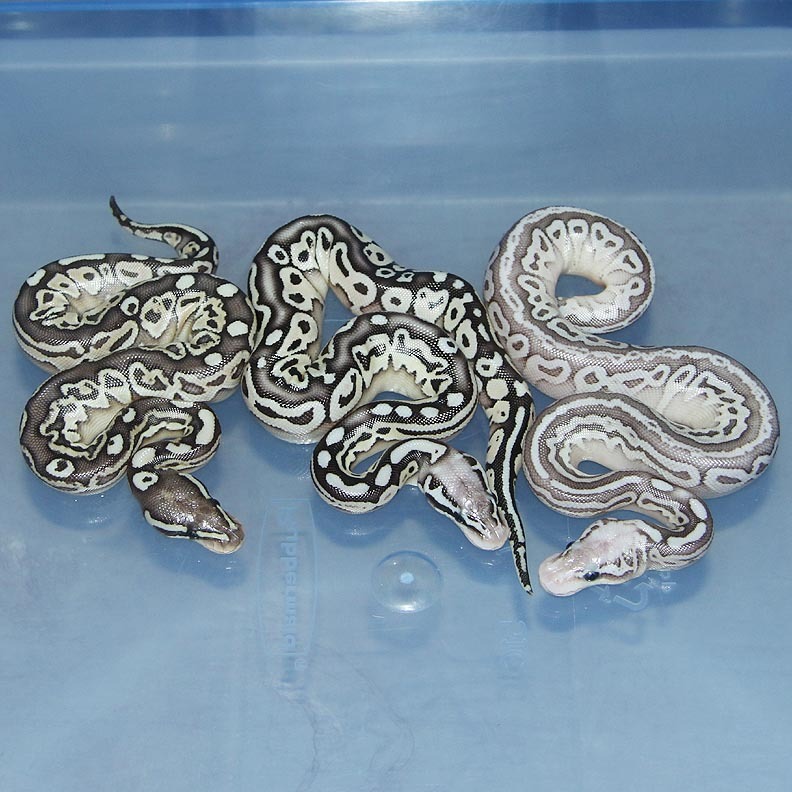 I cannot complain with 4! 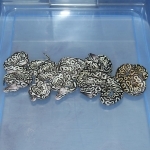 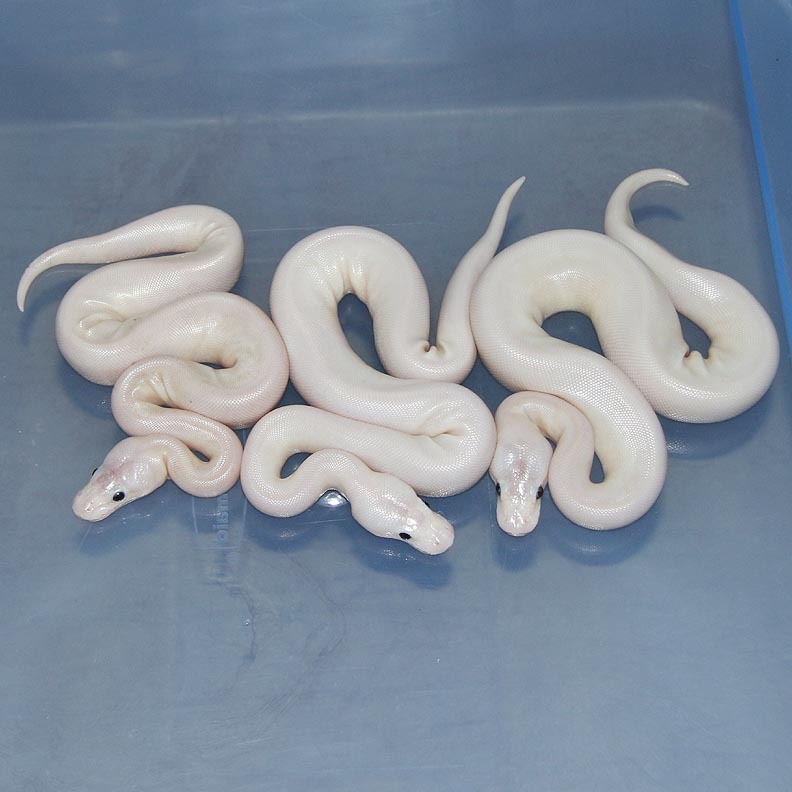 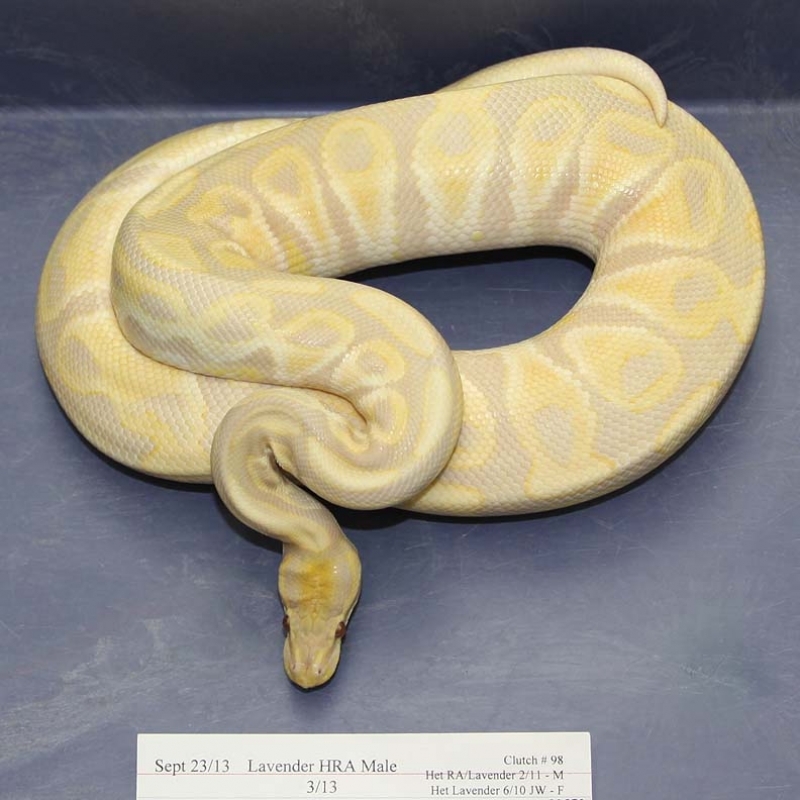 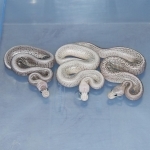 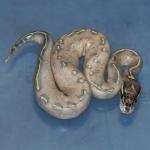 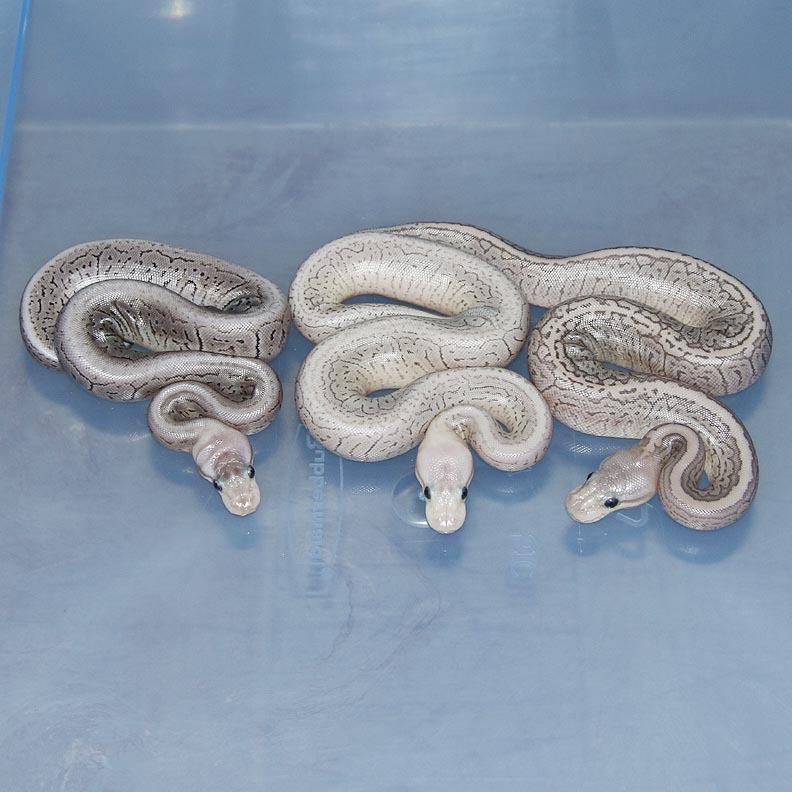 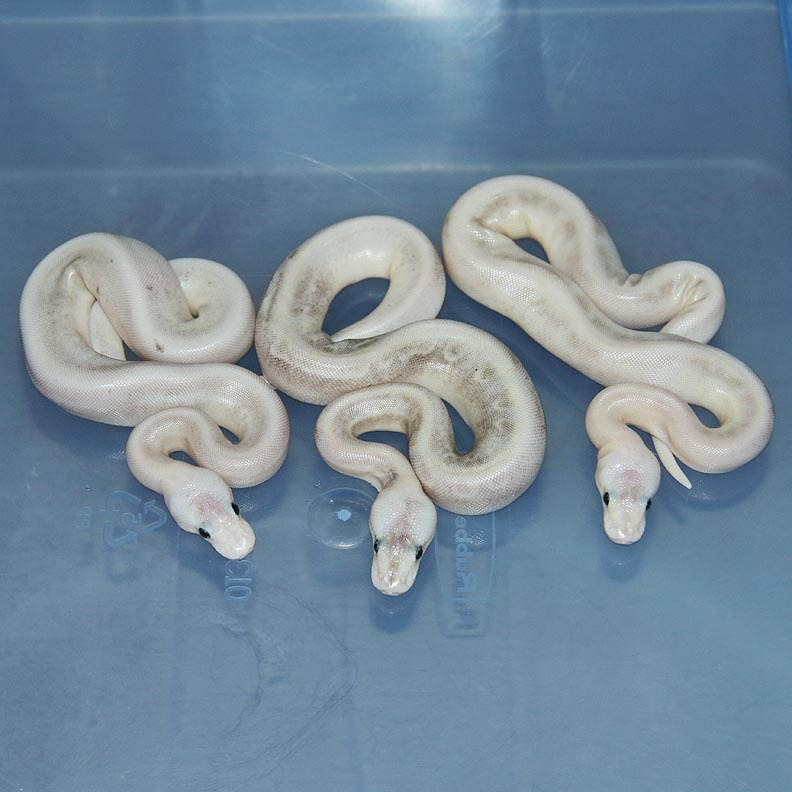 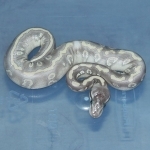 Description: Lavender HRA 3/13 x X Pastel Lesser 1/13. 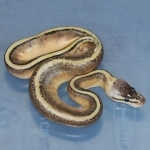 Description: Citrus Puma HRA 1/13 x Black Stripe Genetic Stripe 2/10. 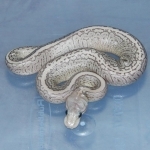 Description: Pastel Lesser DH GG/GS 2/11 x Pastel DH GG/GS 1/11. 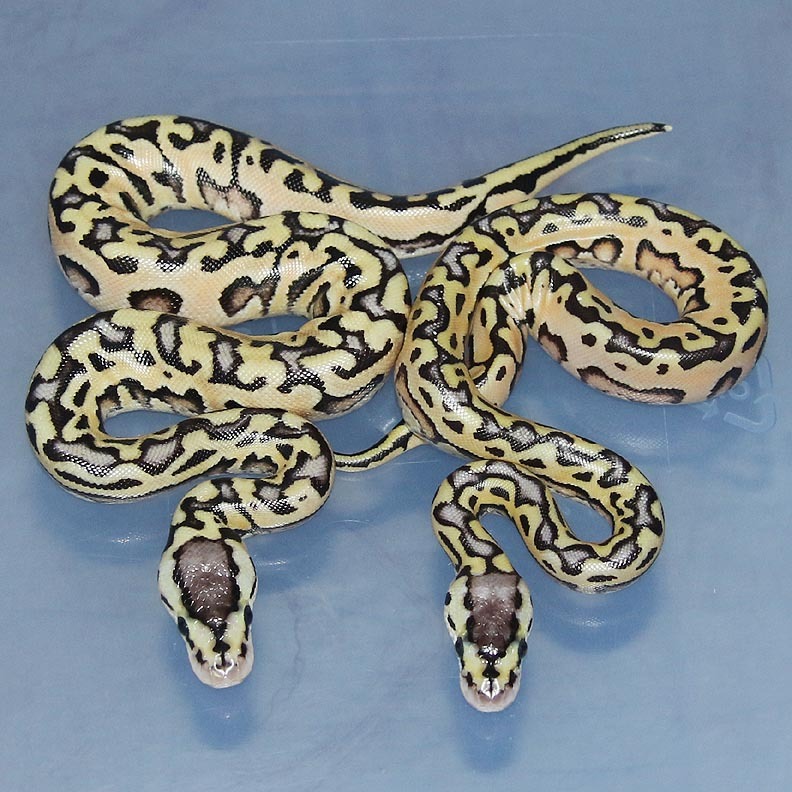 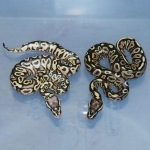 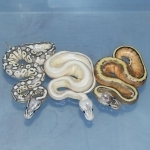 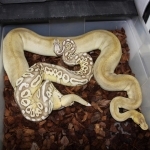 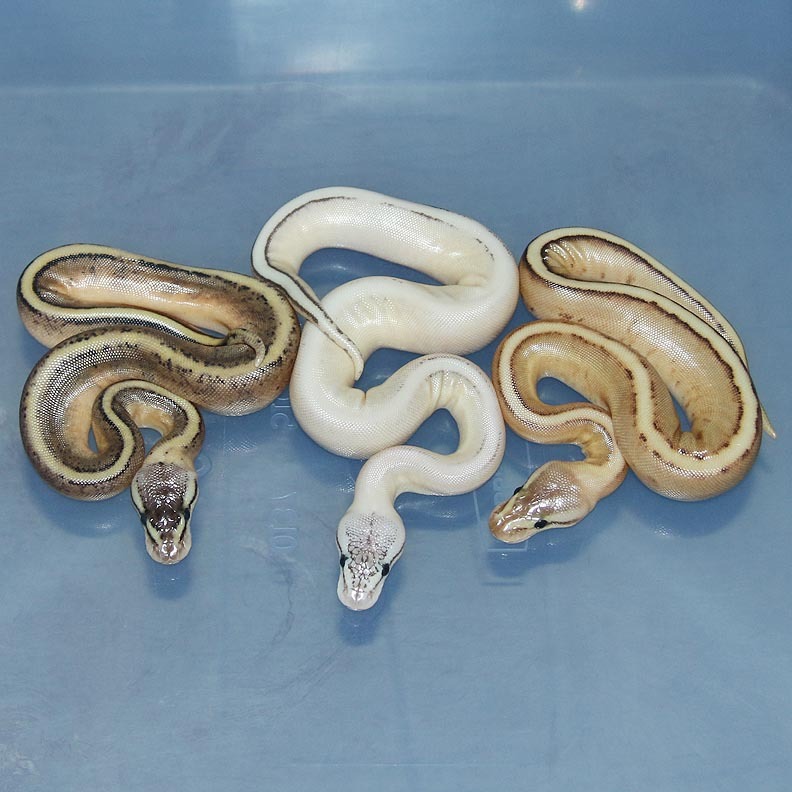 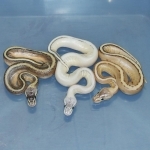 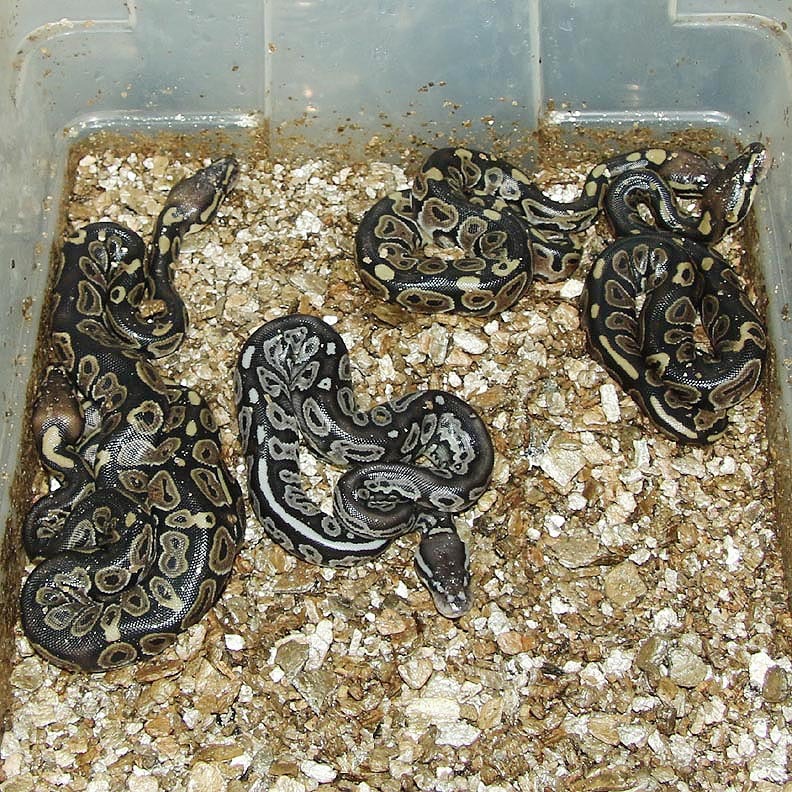 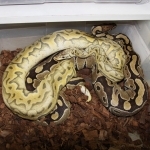 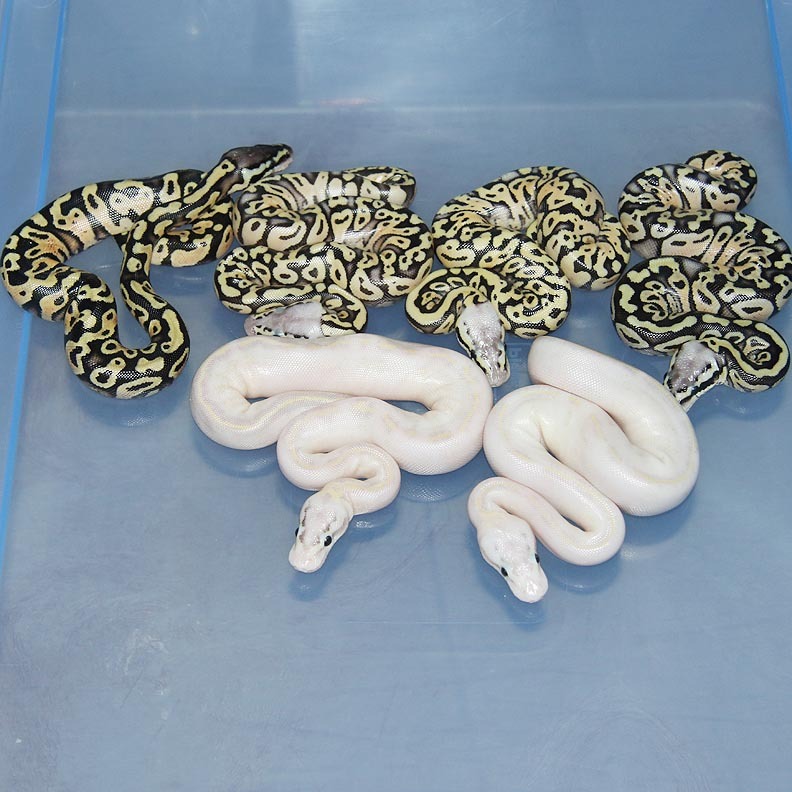 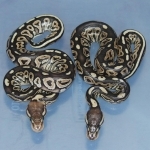 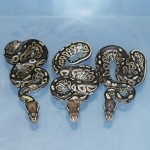 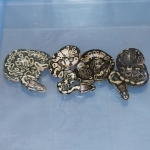 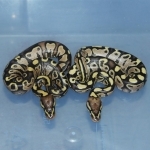 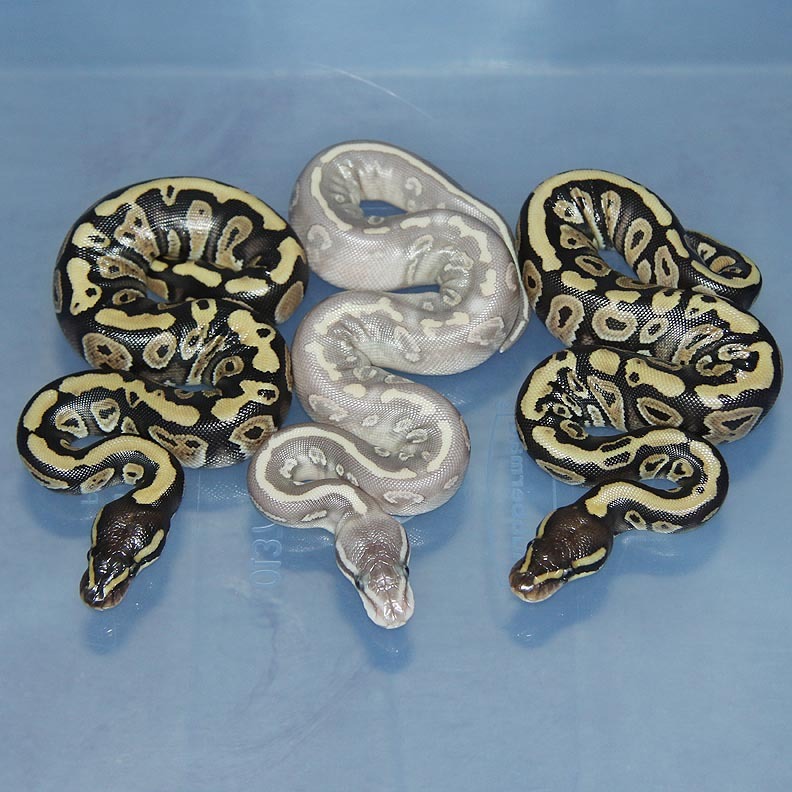 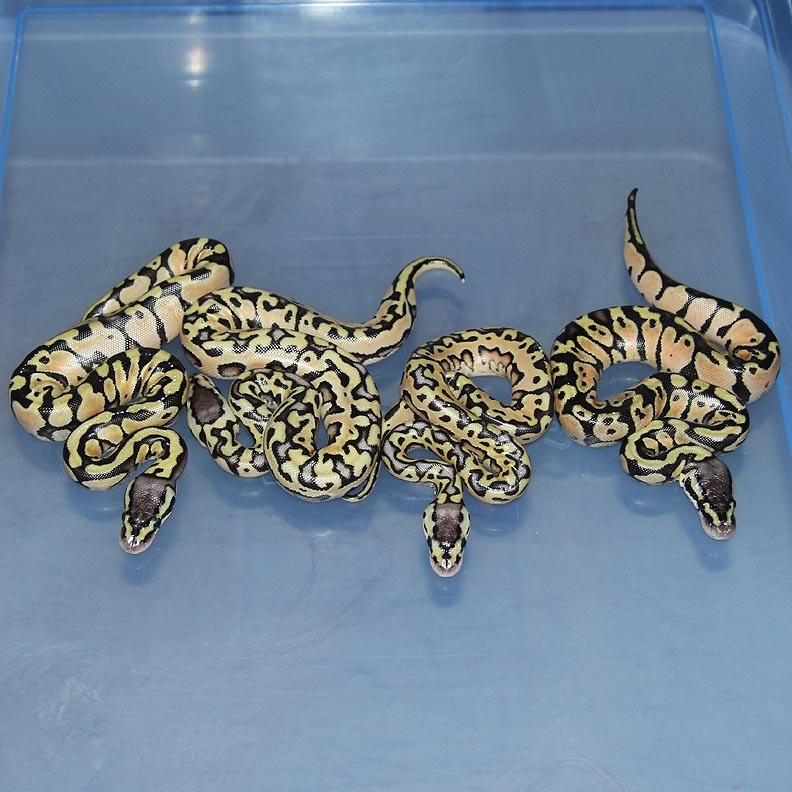 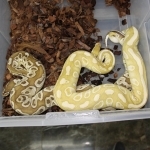 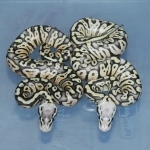 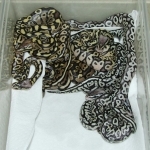 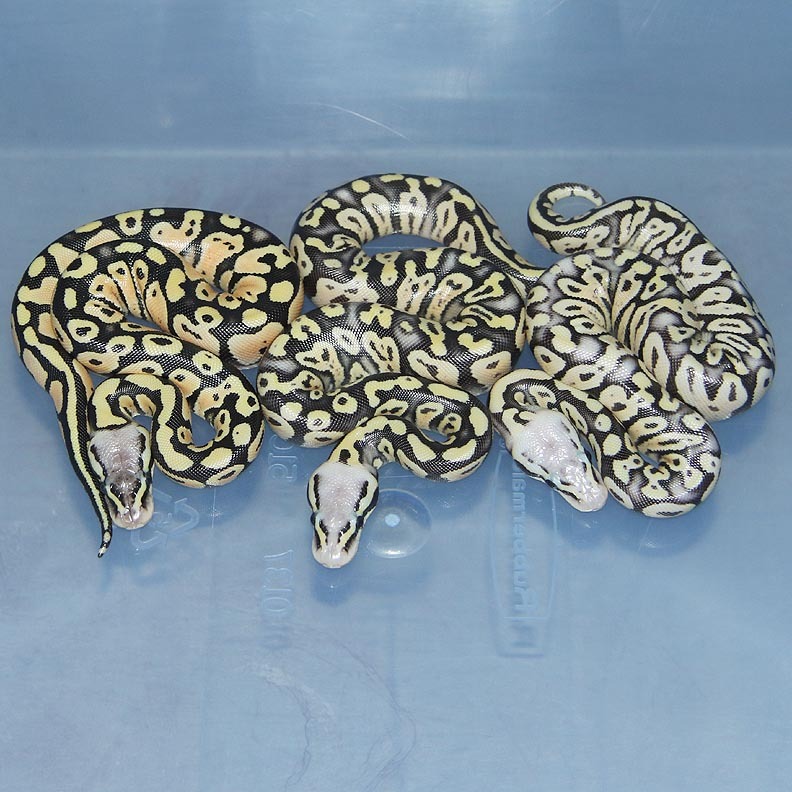 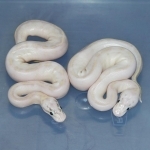 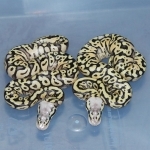 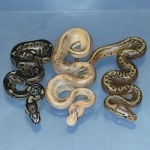 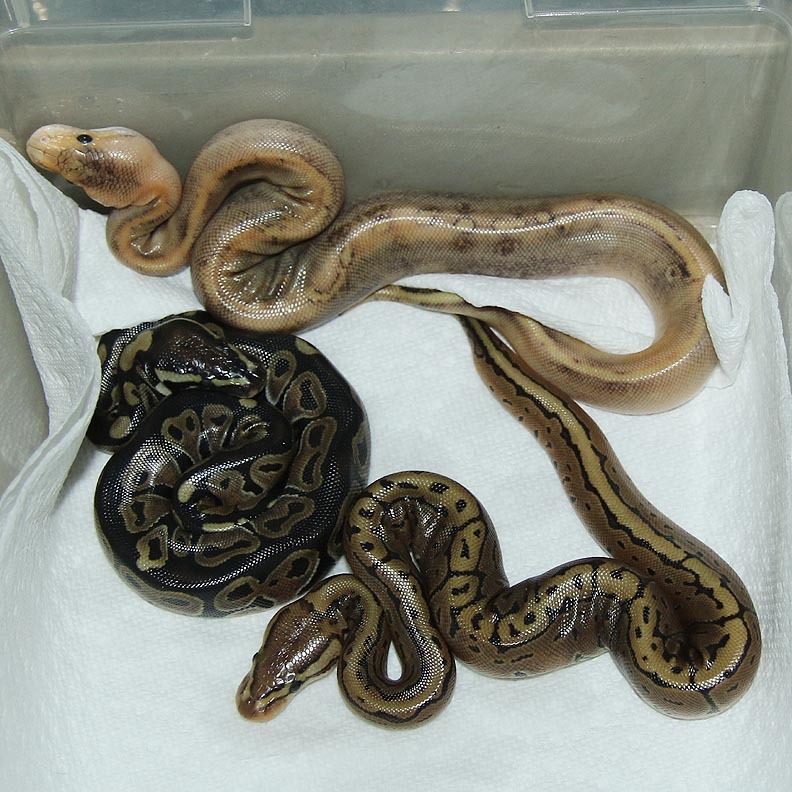 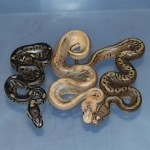 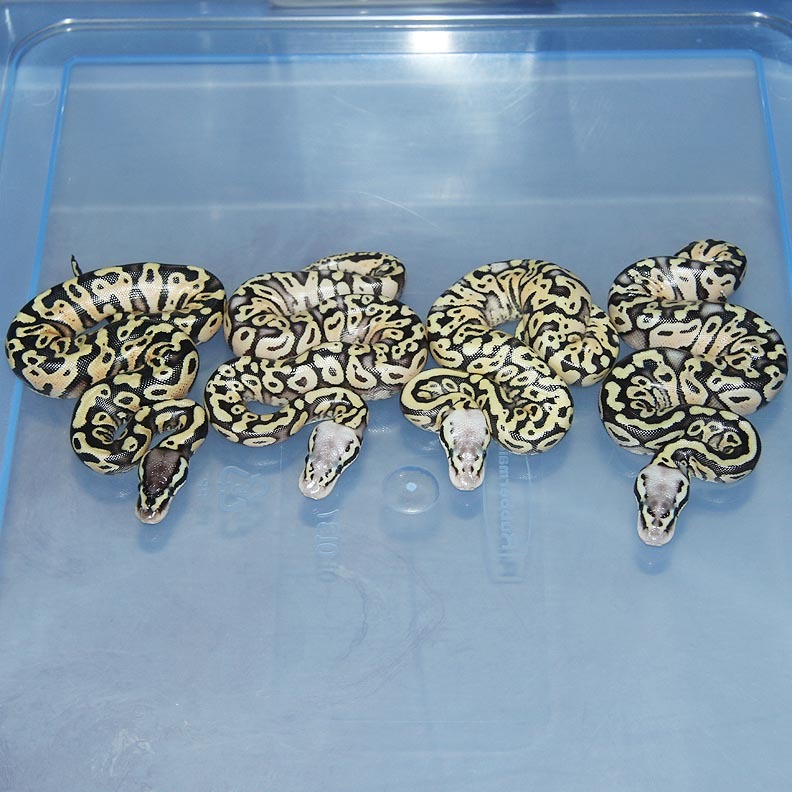 Description: POG RA 1/11 x Super Lesser (Pos Pastel) HOG 2/12 Mykee. 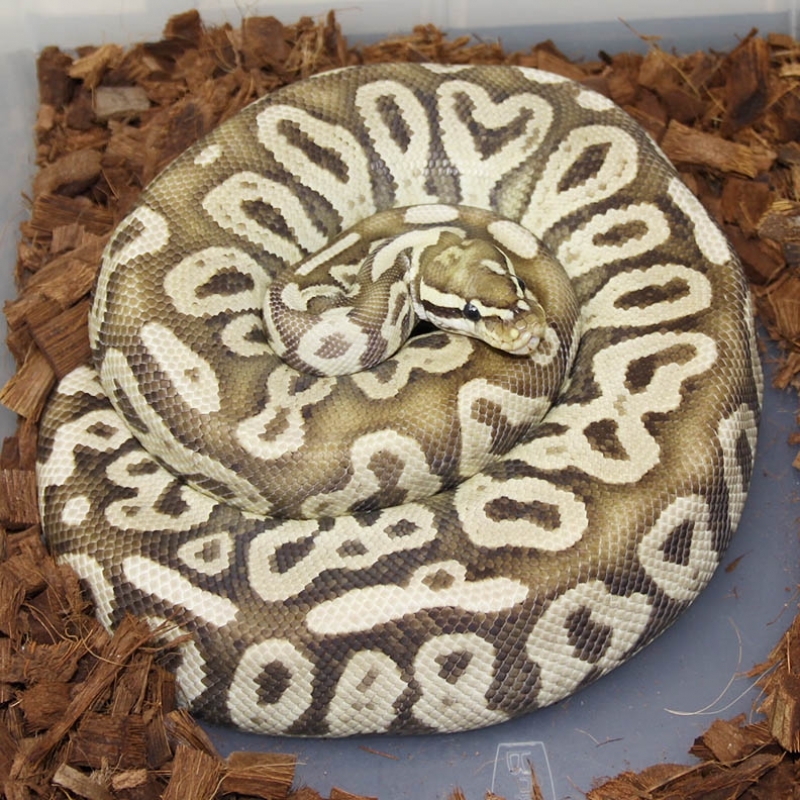 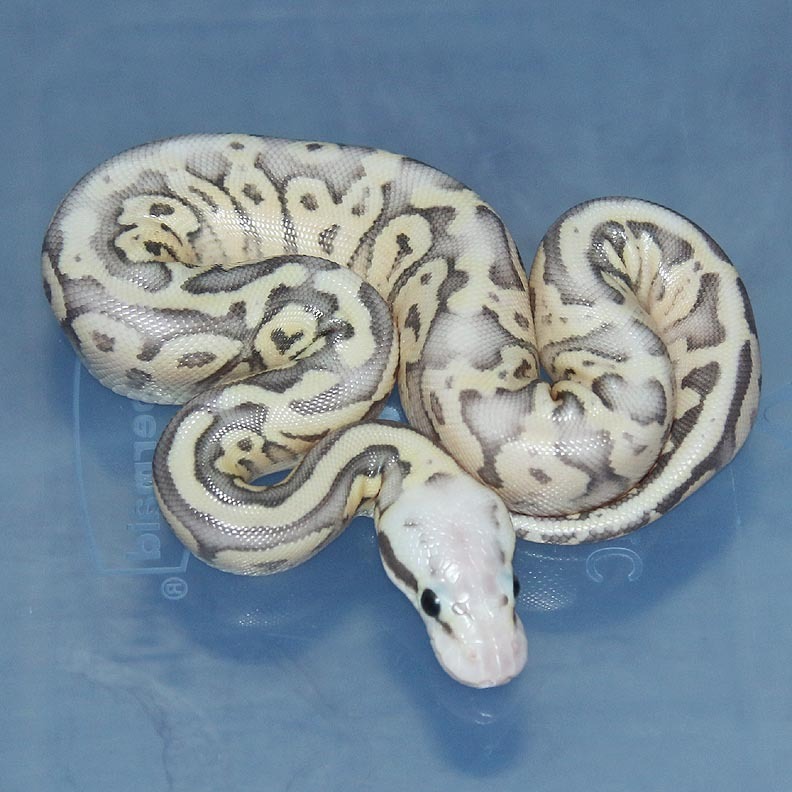 Description: Lavender Het Pied 1/12 JK x DH Lavender/Pied 1/12. This is my second clutch of the season for Dreamsicles! 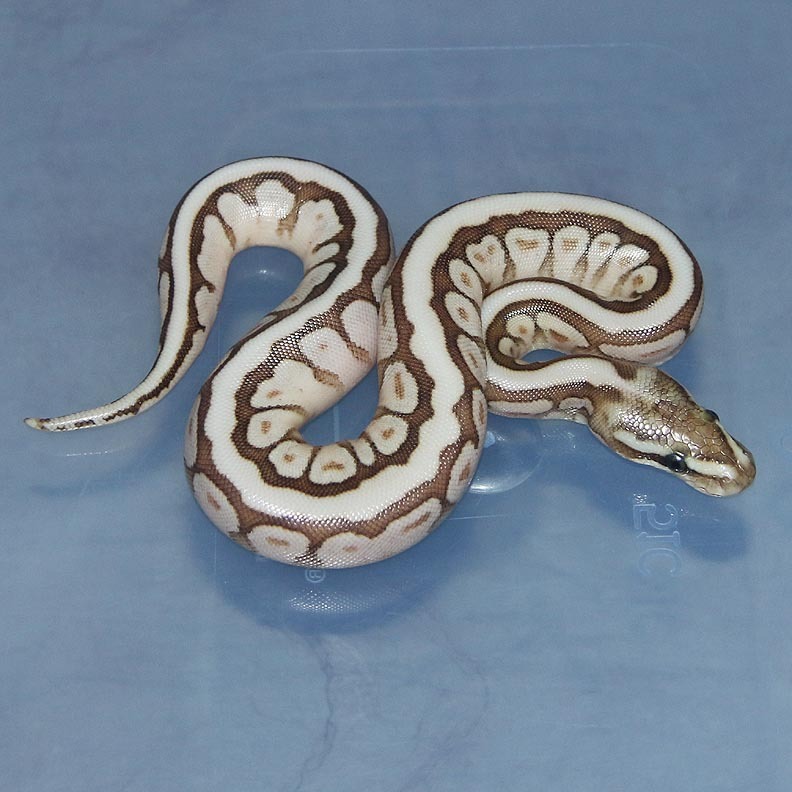 Another Dreamsicle Pied Female! 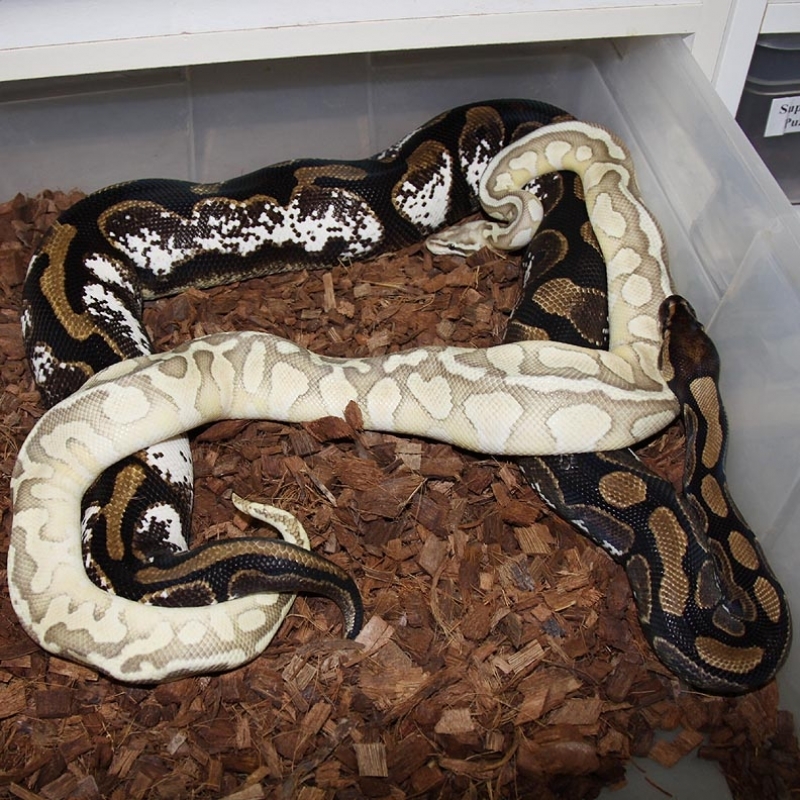 I missed on my male but I'm not going to complain as I now have 2 females to grow up. 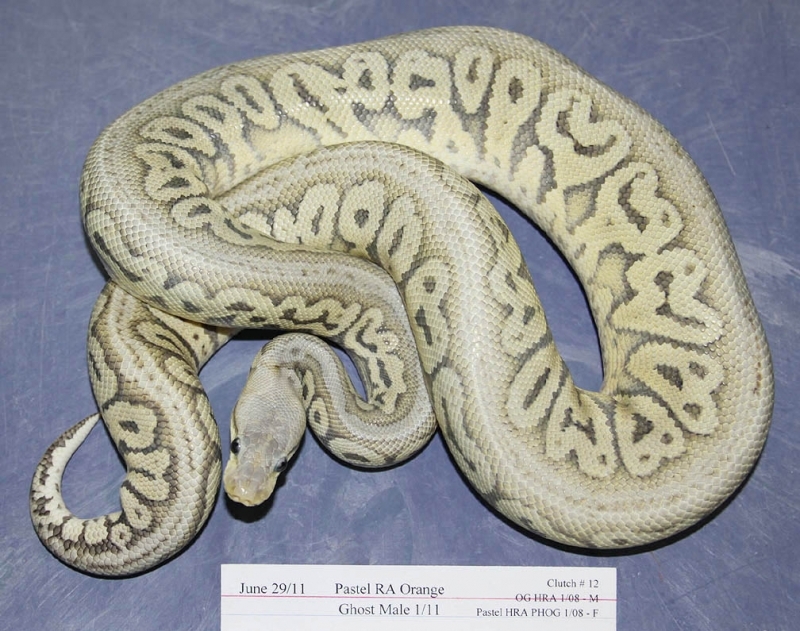 Description: Super Phantom 6/10 RDR x Phantom 10/10. 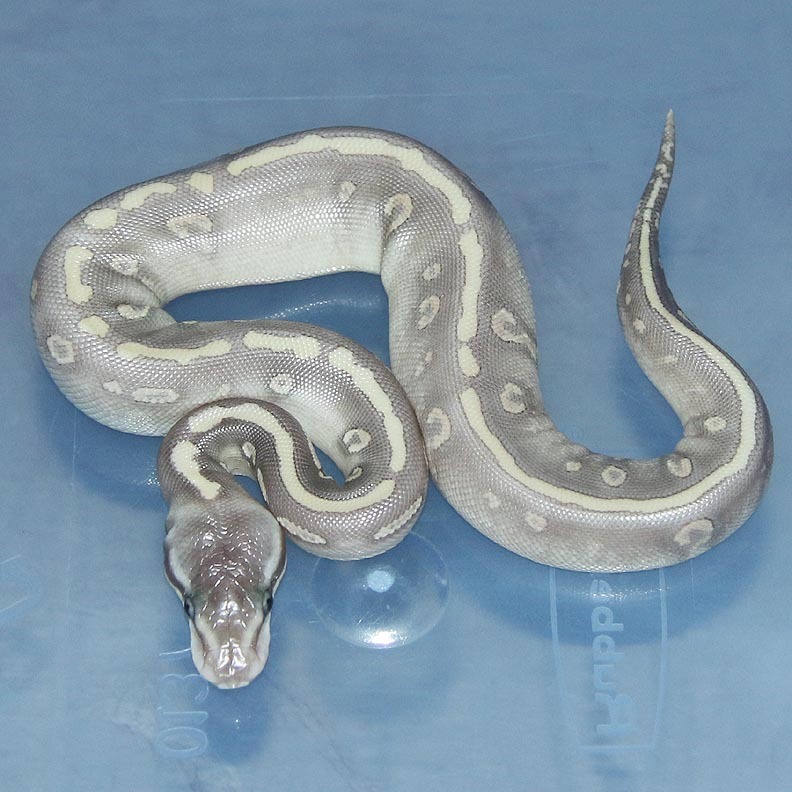 Description: Pastel Genetic Stripe Het Lavender 1/13 x Het Lavender Pos Het GS 3/11. 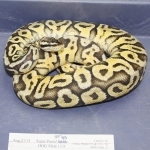 Description: RA Pin Champ 2/12 x Pin Champ HRA 2/10. 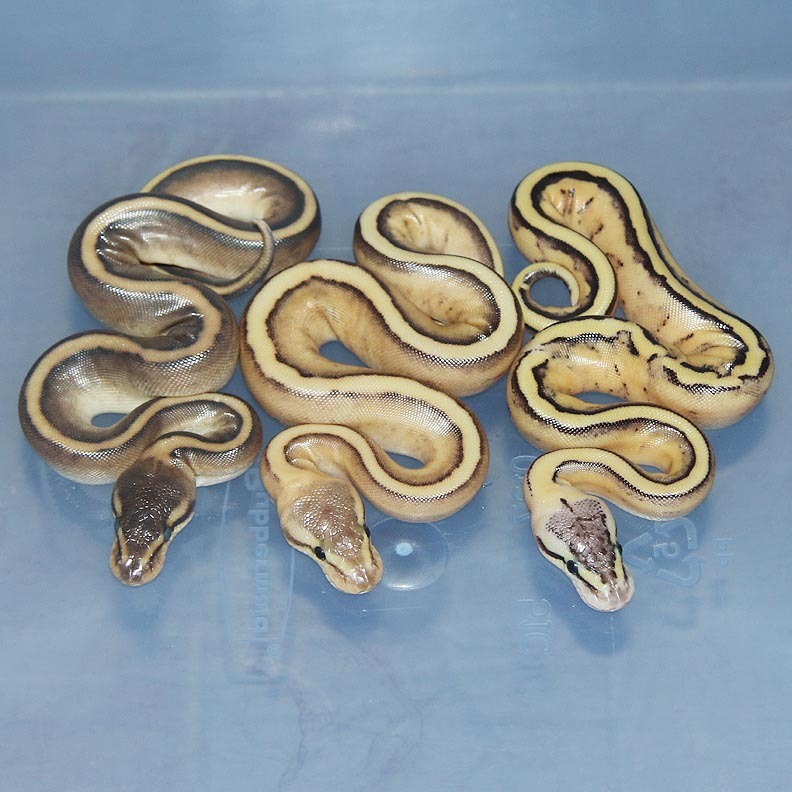 Description: Red Axanthic Genetic Stripe 2/13 x Phantom Het Genetic Stripe 3/13. 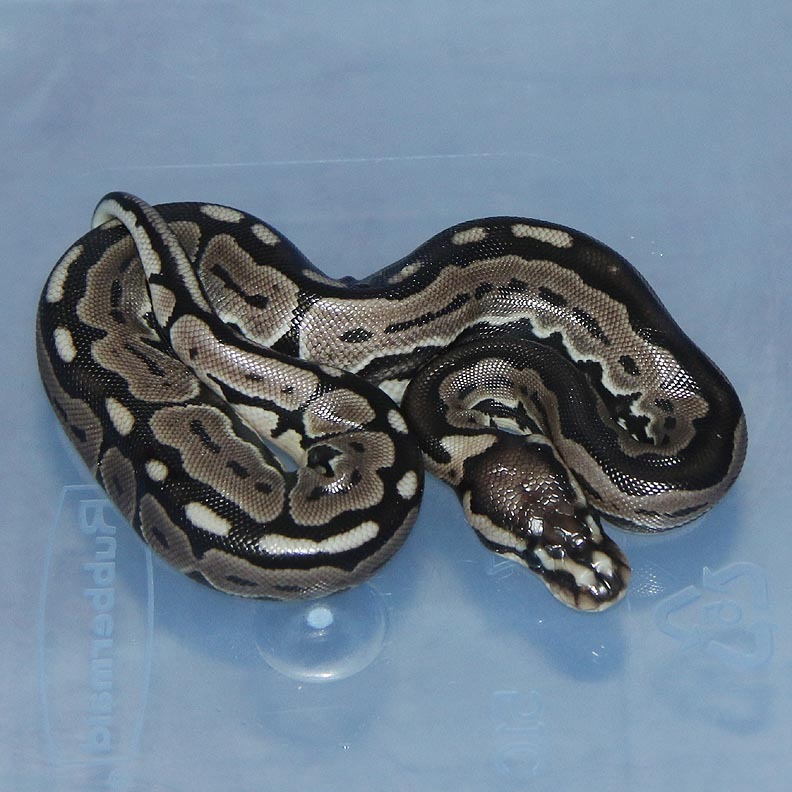 Description: Lavender HRA 1/13 x Pastel Lesser Het RA Het Lavender PHGS 1/12. 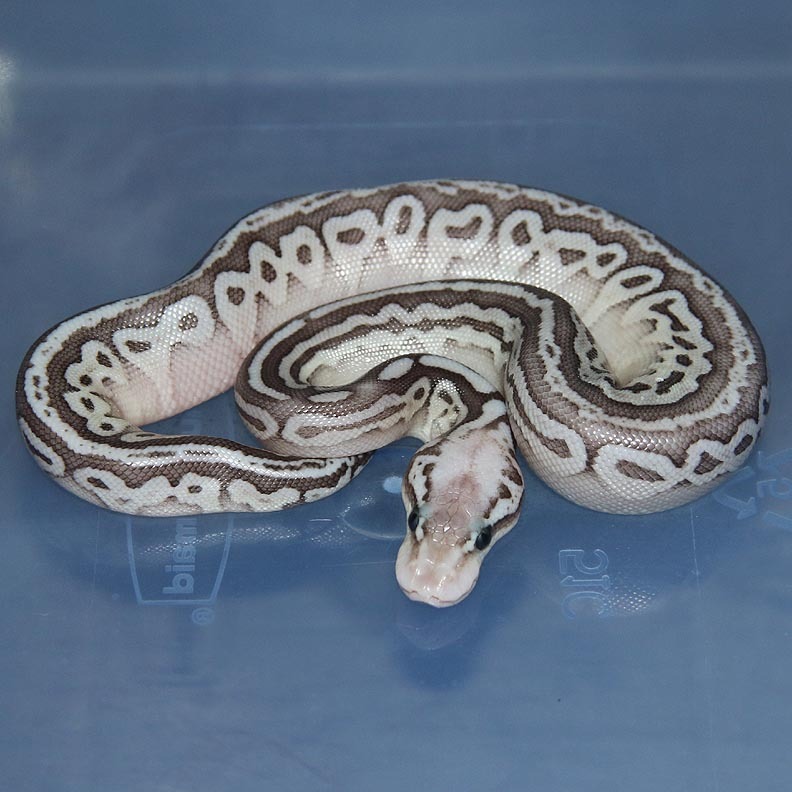 Finally got my RA/Lav Snow Male!! 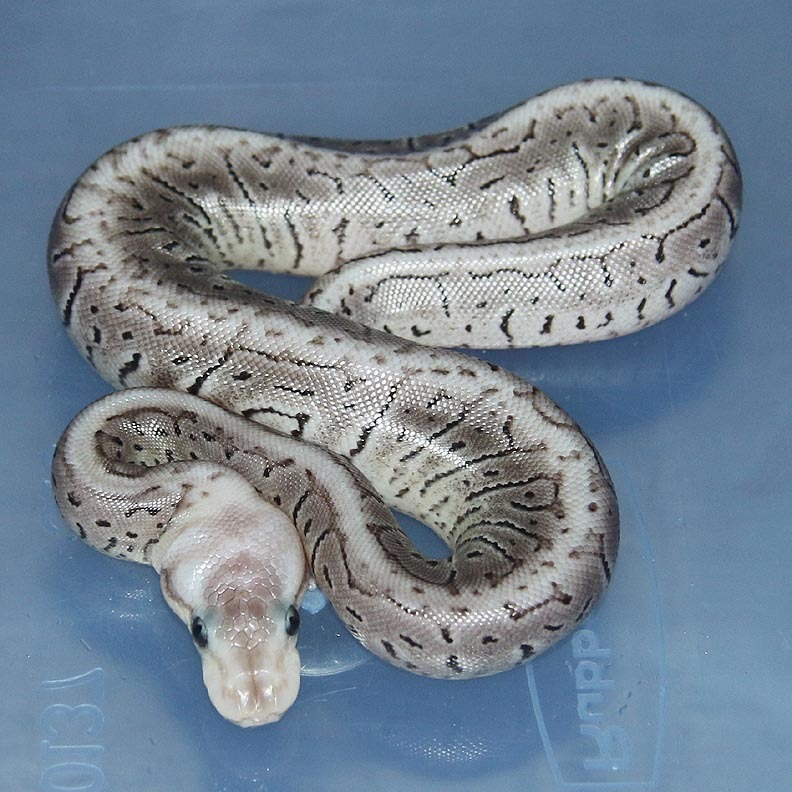 I cannot wait to see what he looks like as he grows up. Description: Lemon Pastel Highway (Bill Brant Line) 1/13 x Pastel YB HRA 1/10. 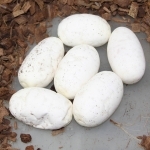 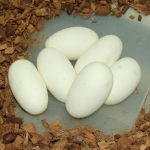 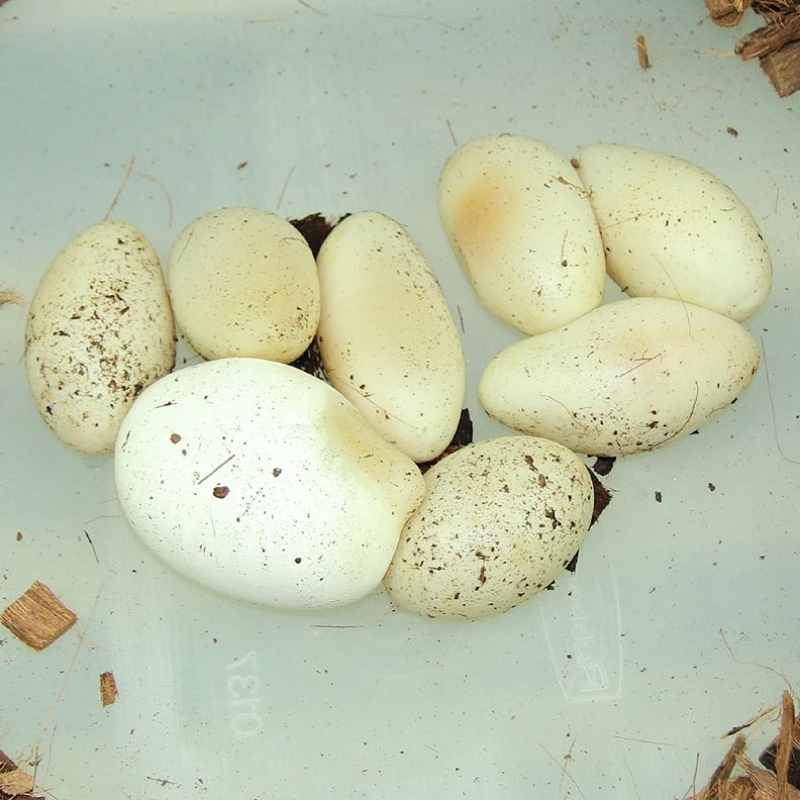 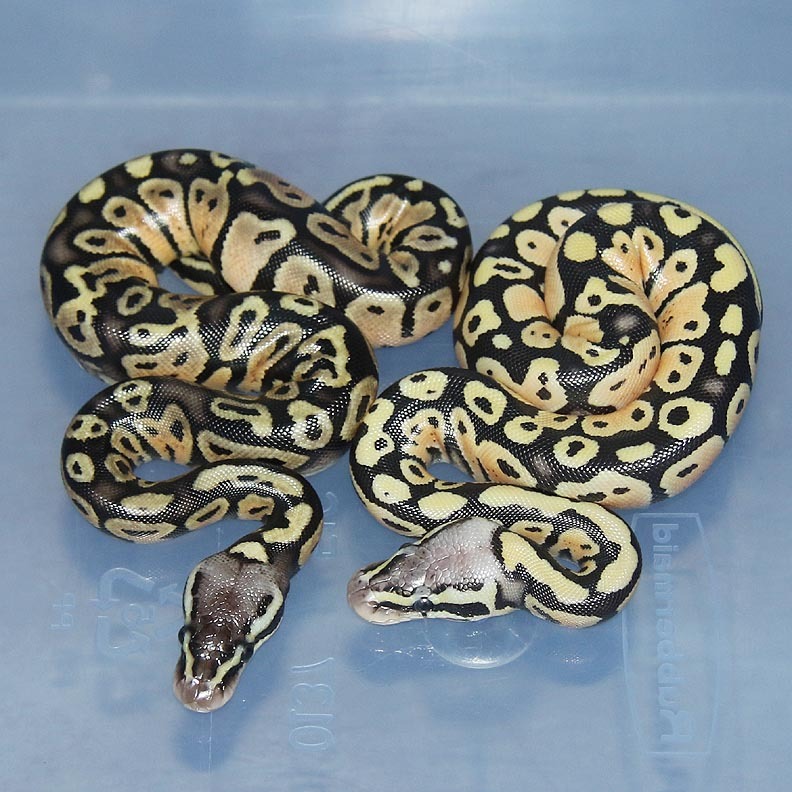 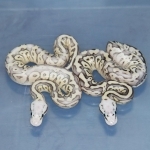 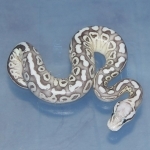 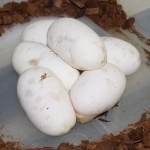 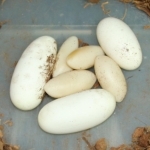 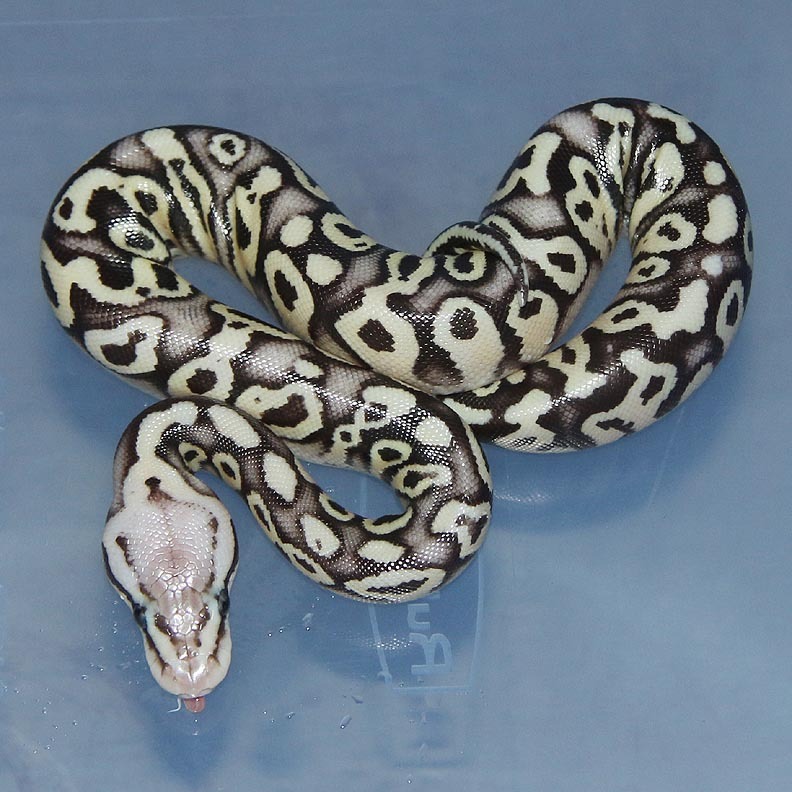 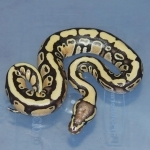 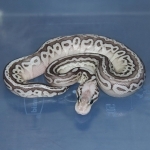 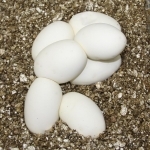 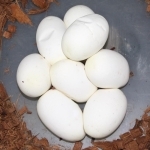 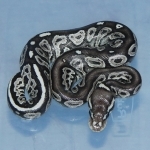 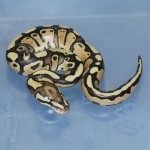 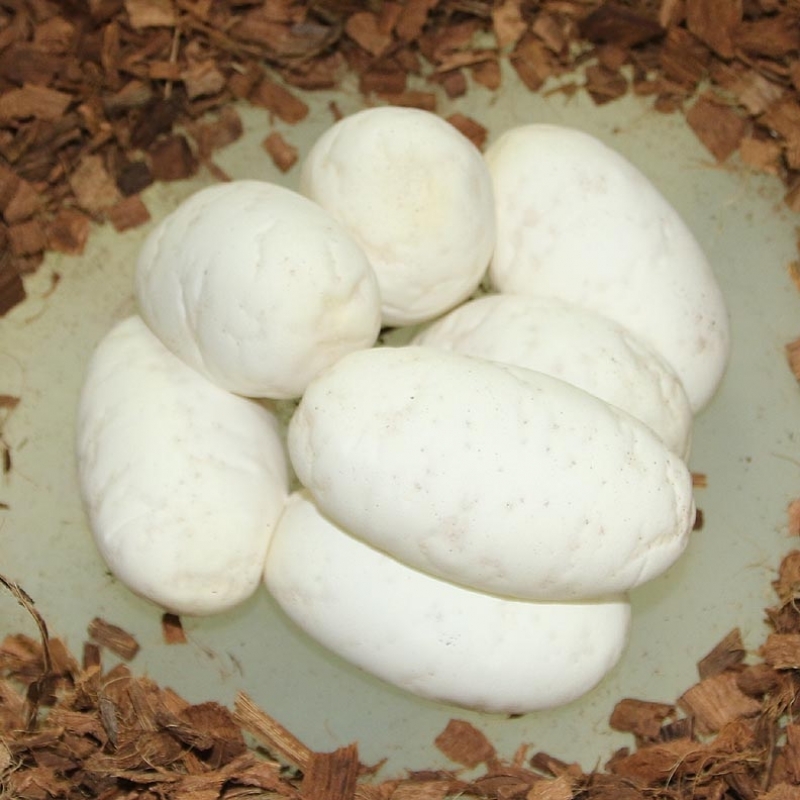 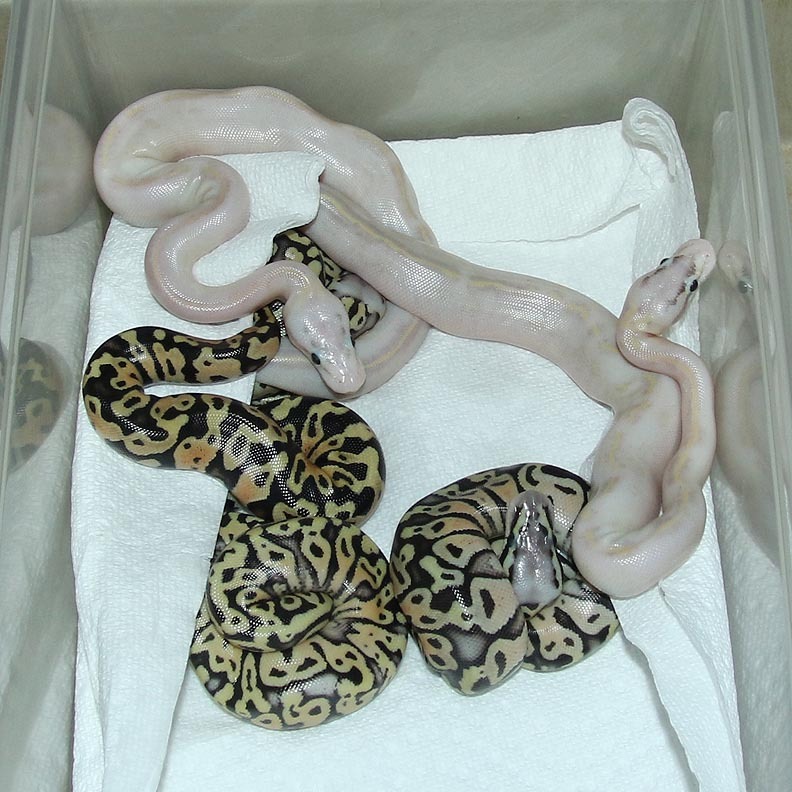 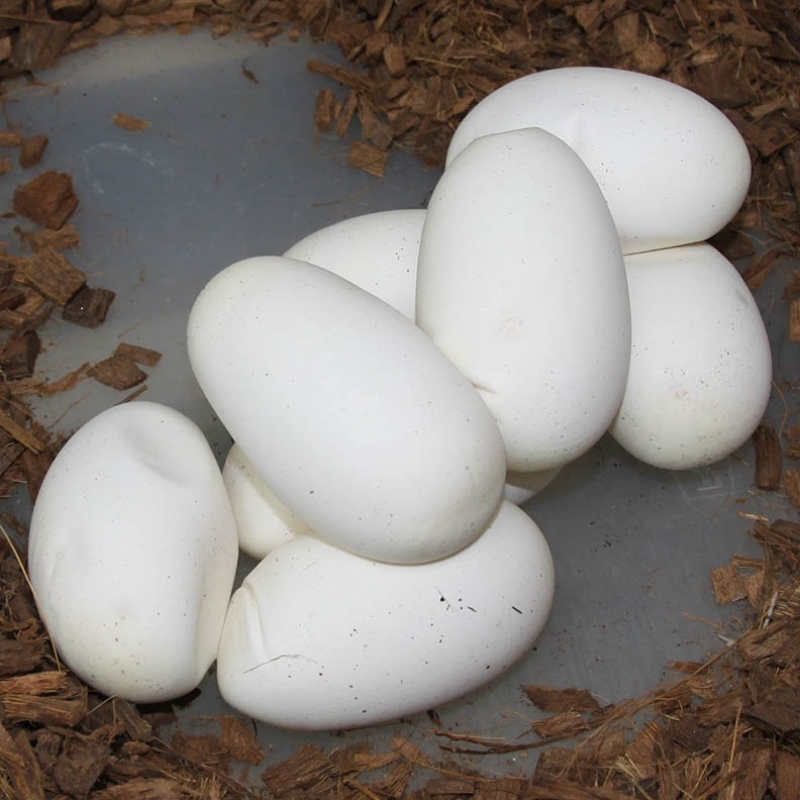 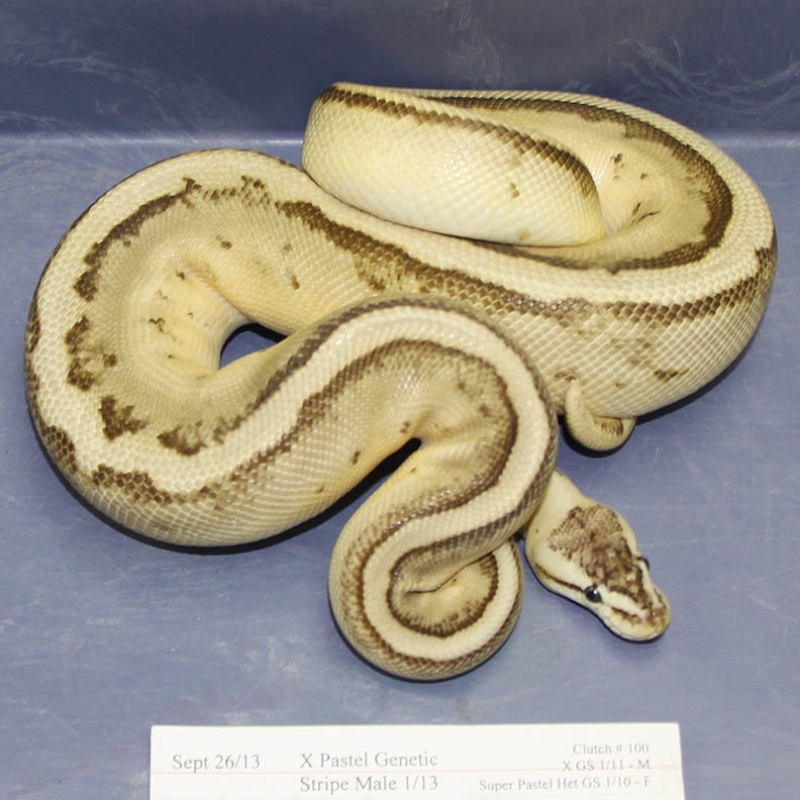 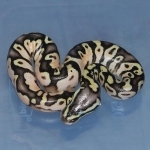 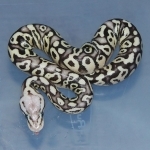 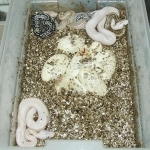 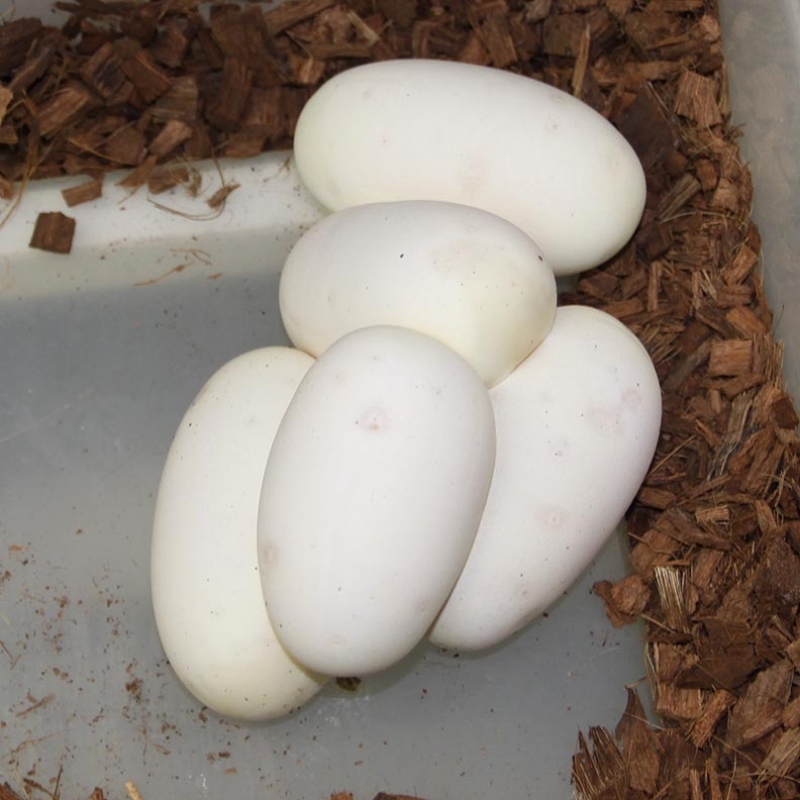 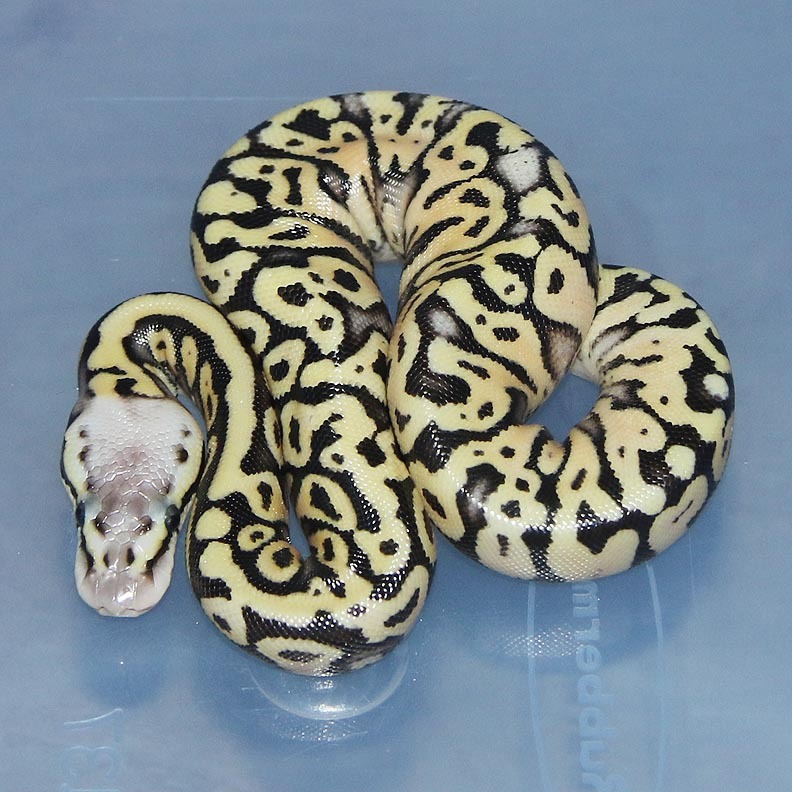 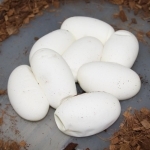 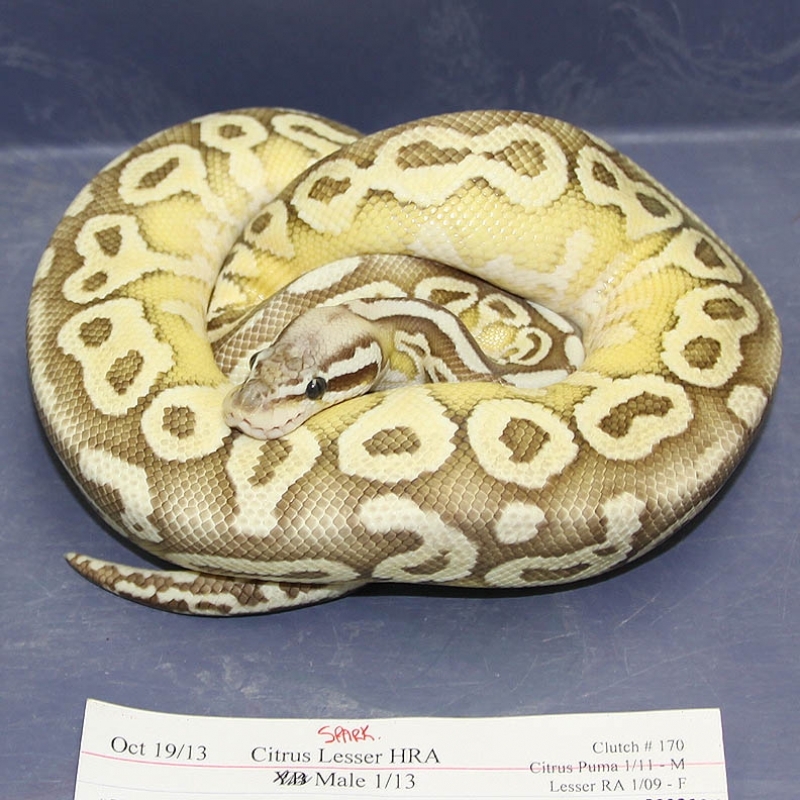 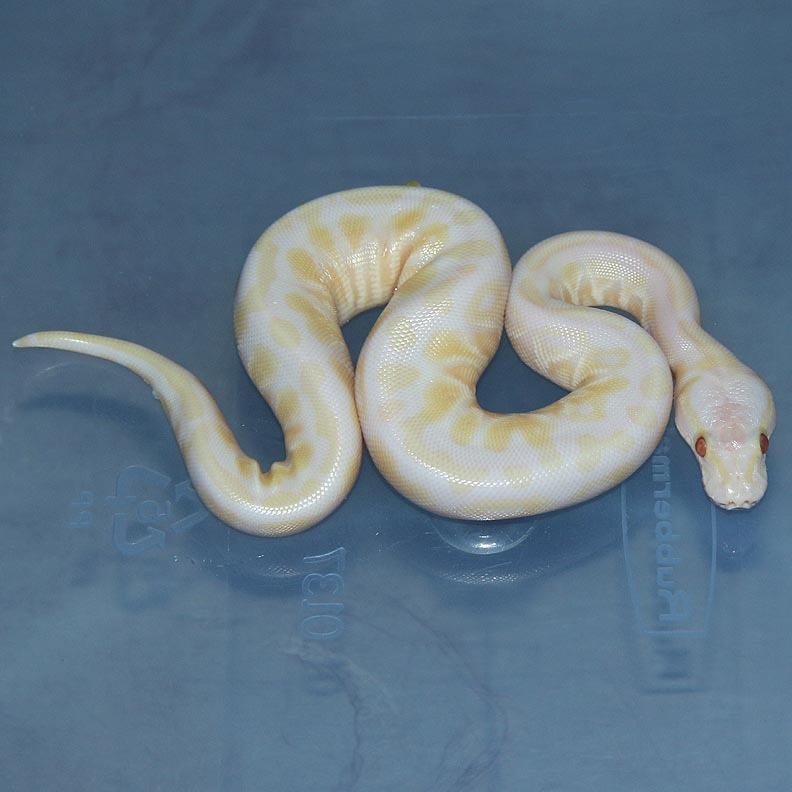 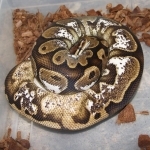 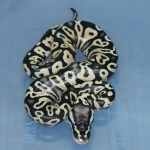 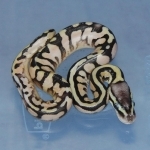 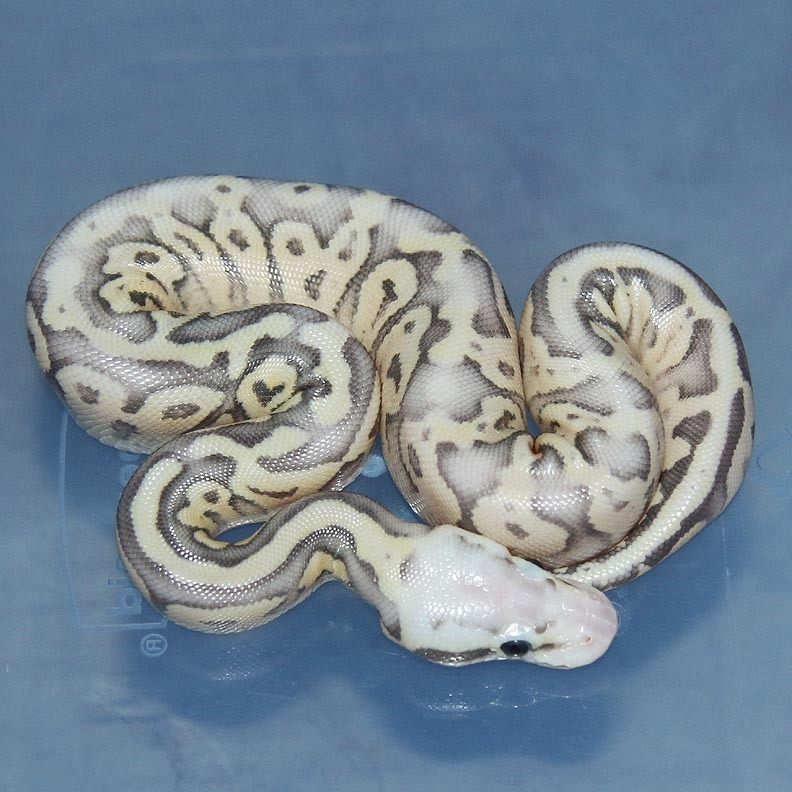 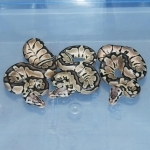 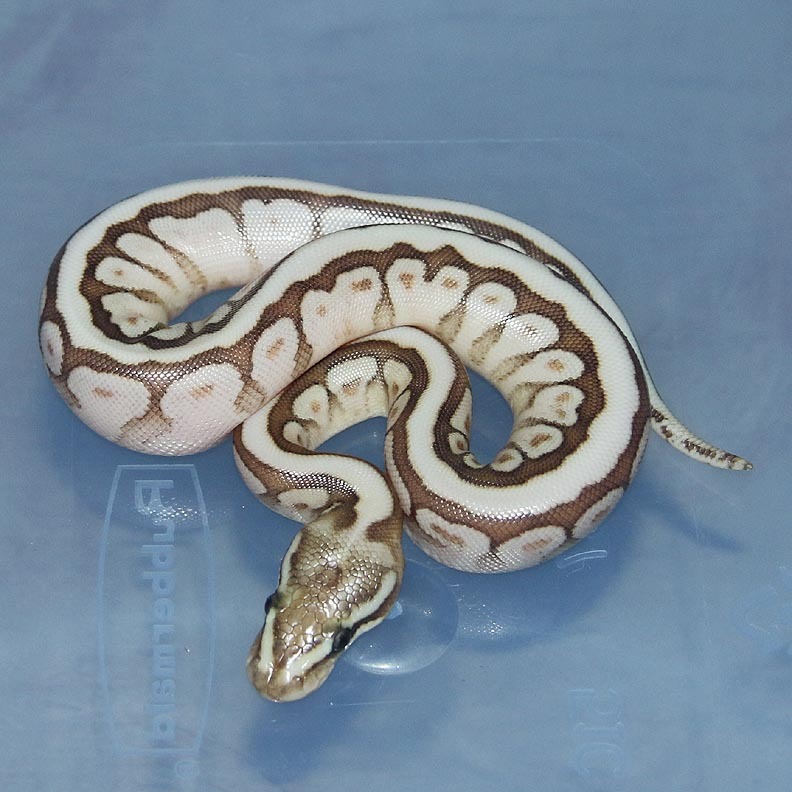 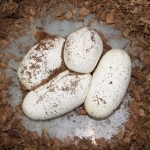 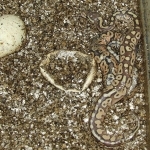 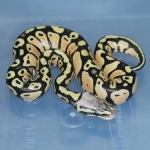 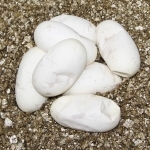 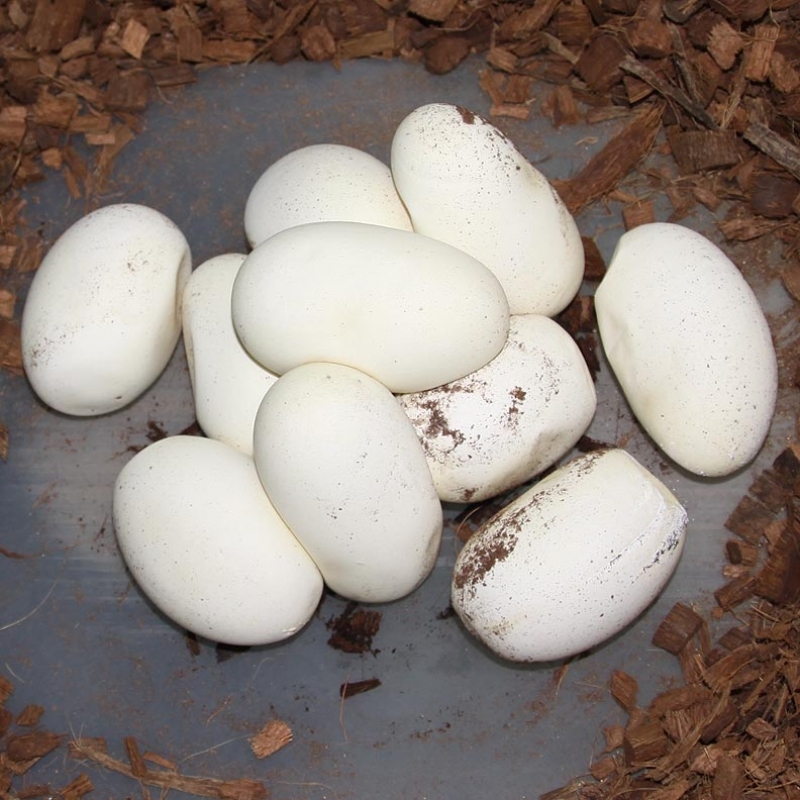 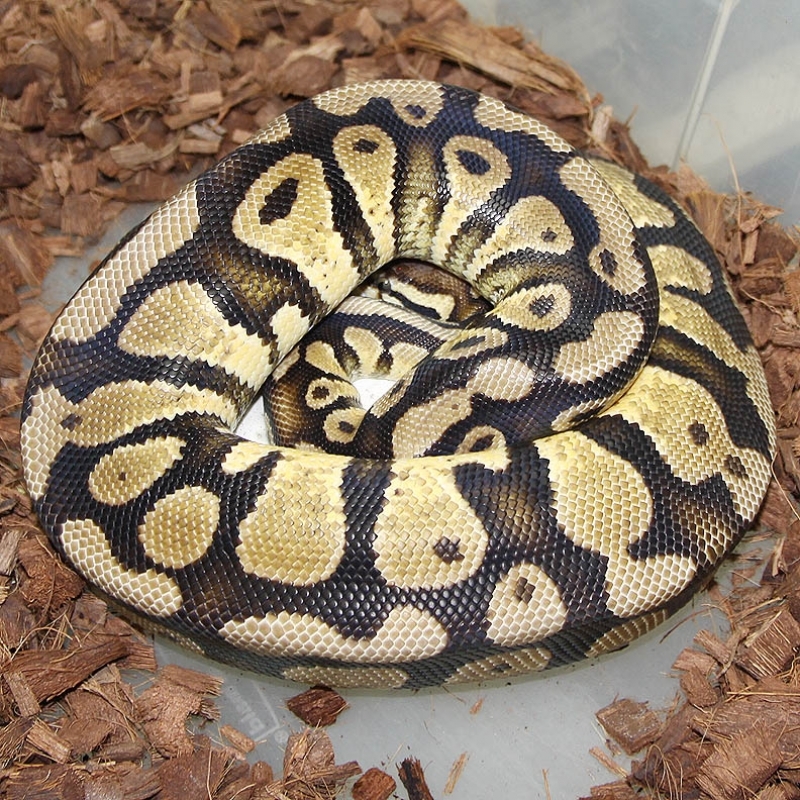 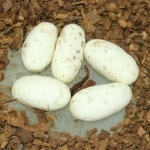 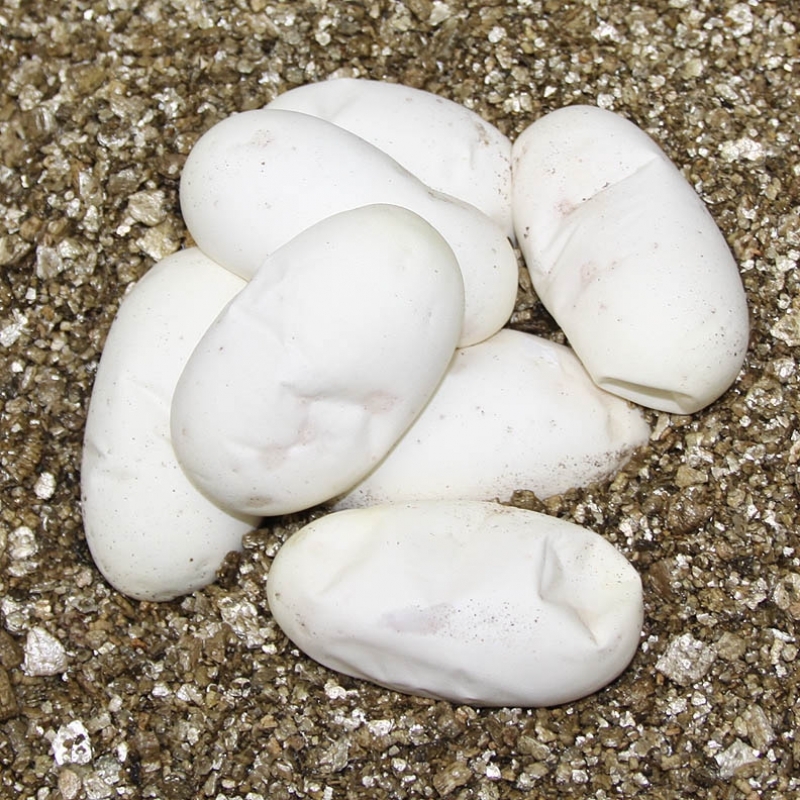 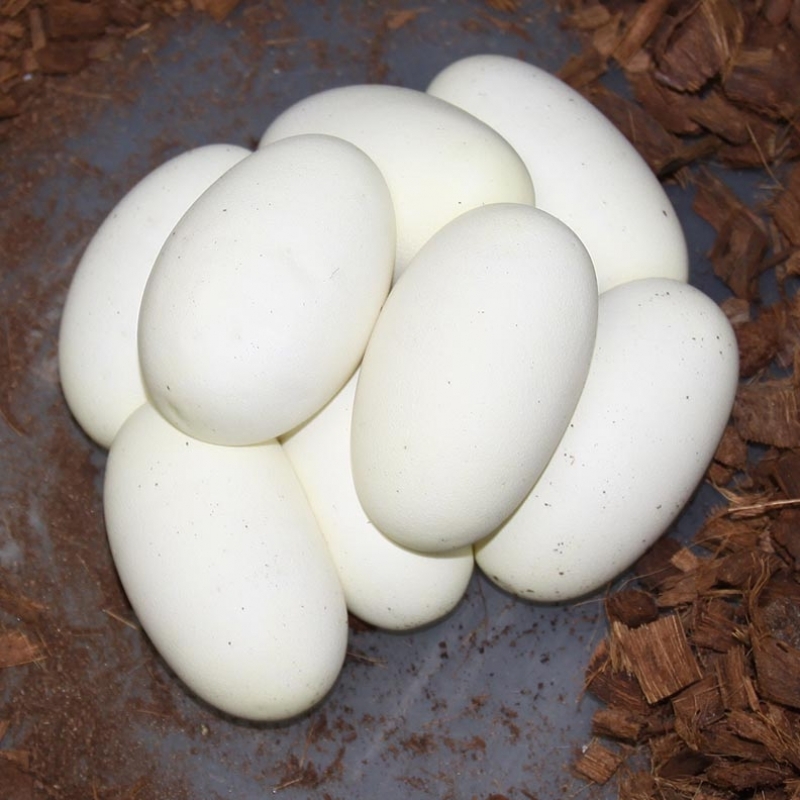 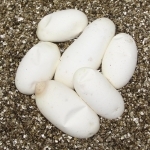 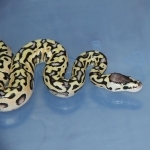 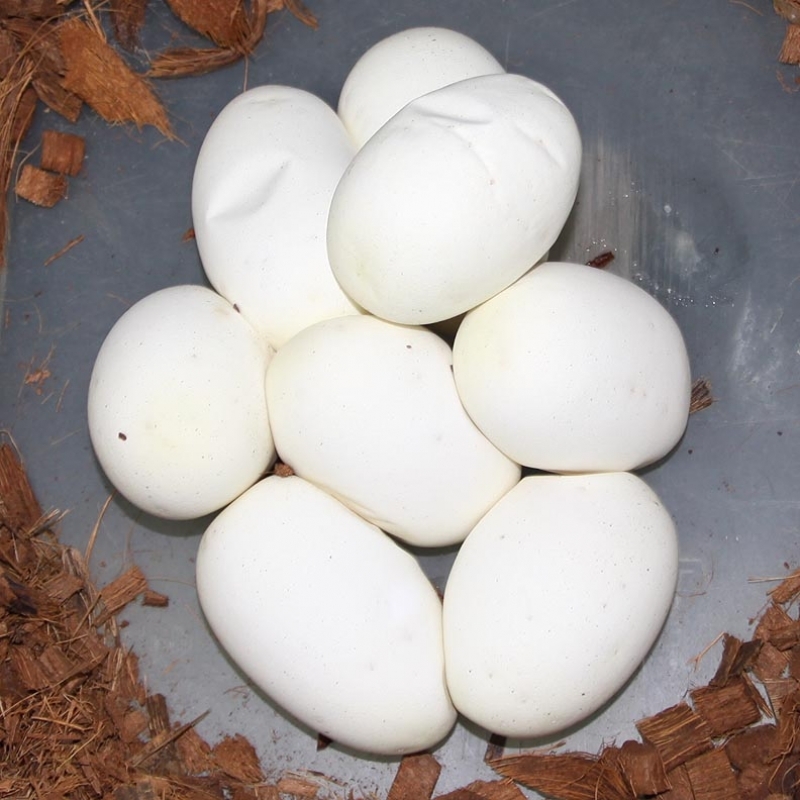 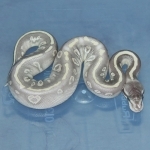 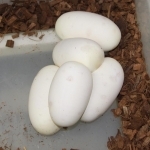 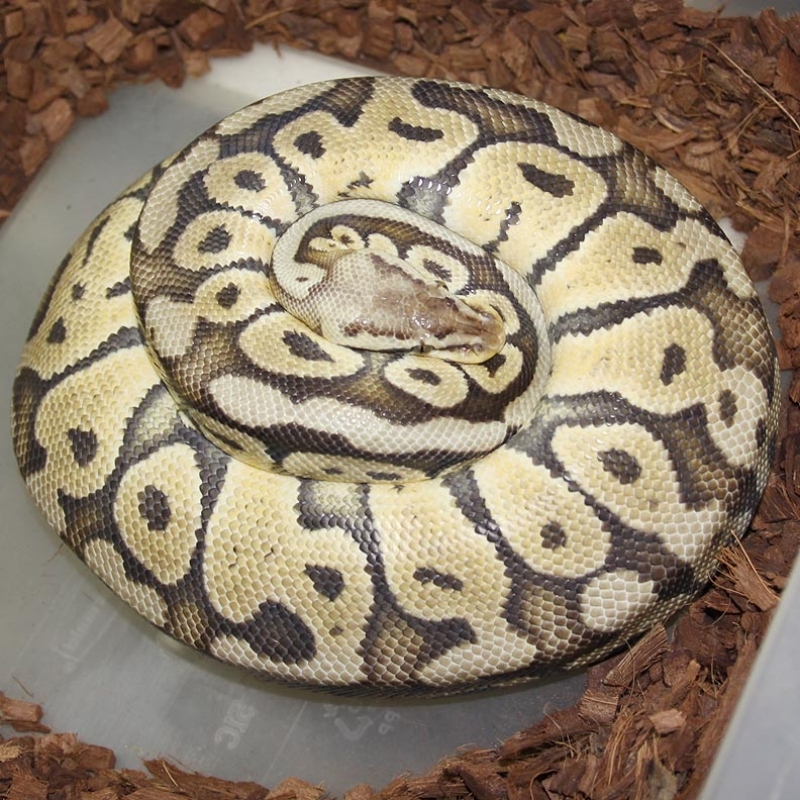 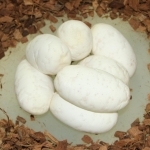 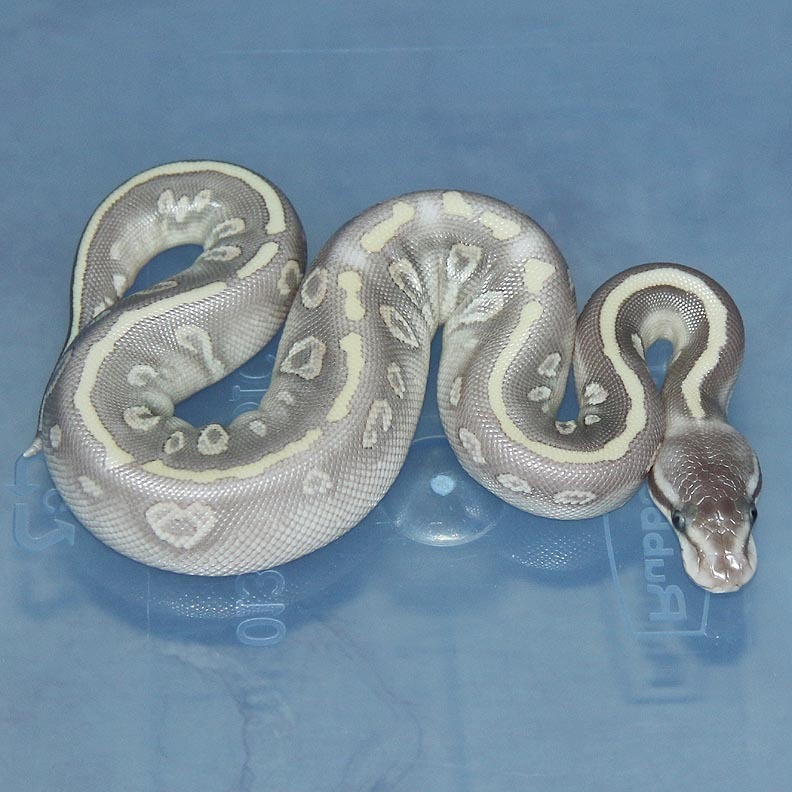 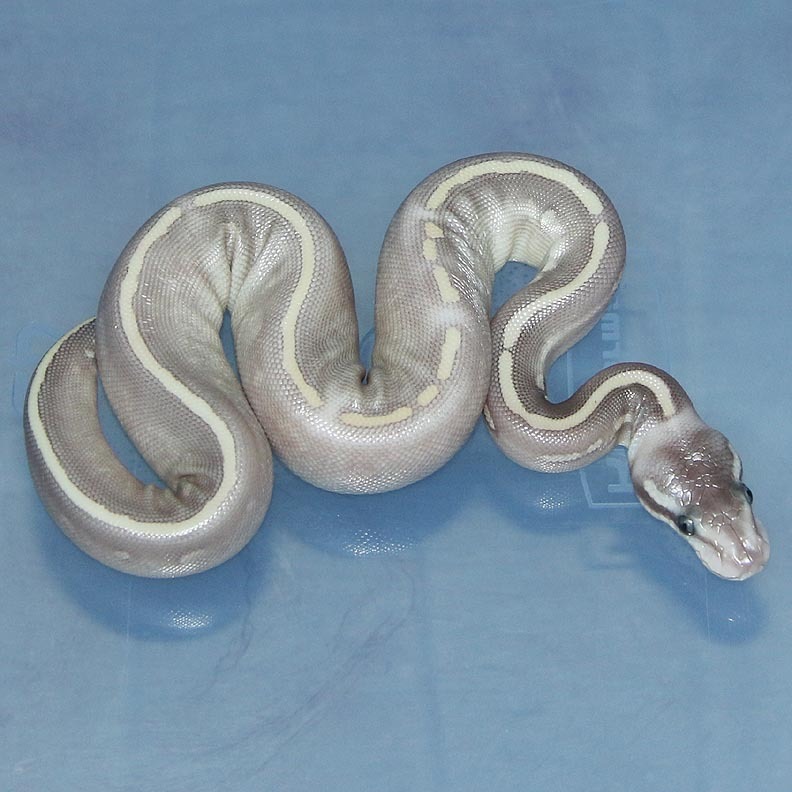 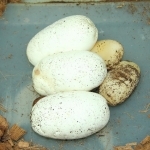 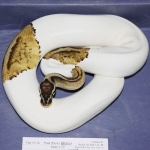 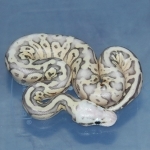 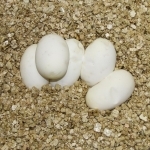 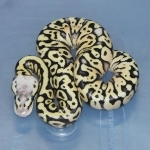 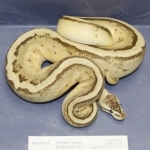 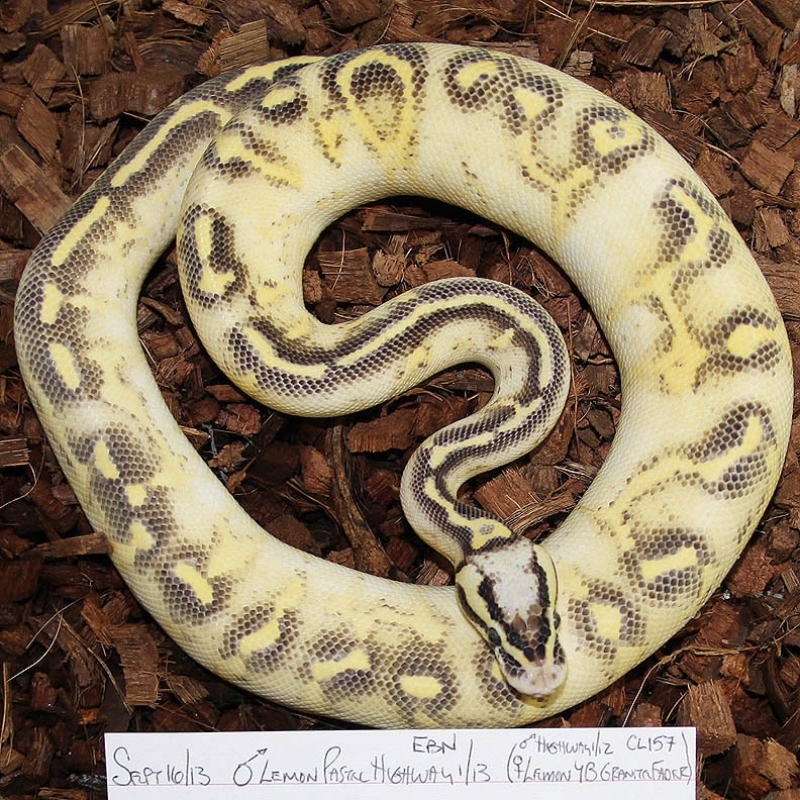 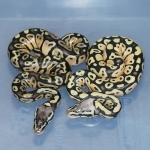 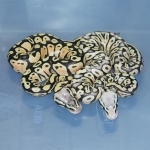 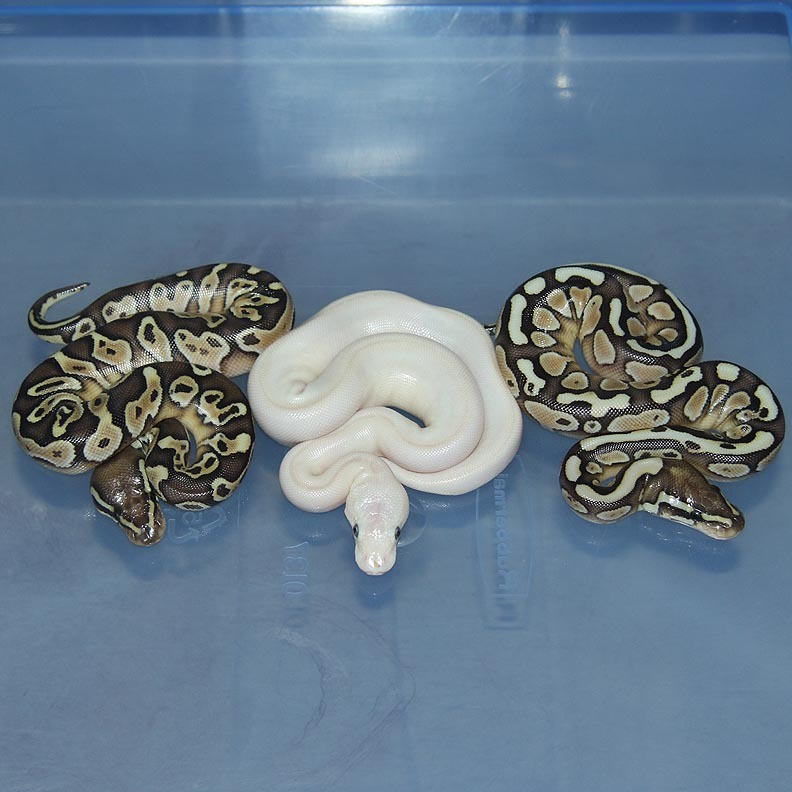 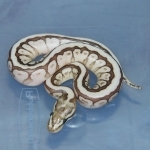 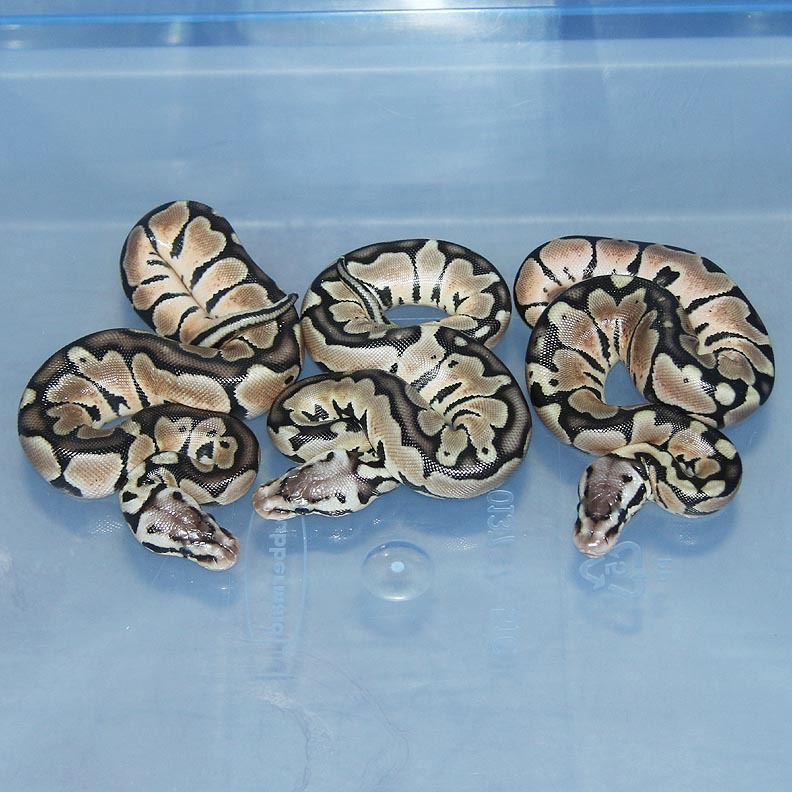 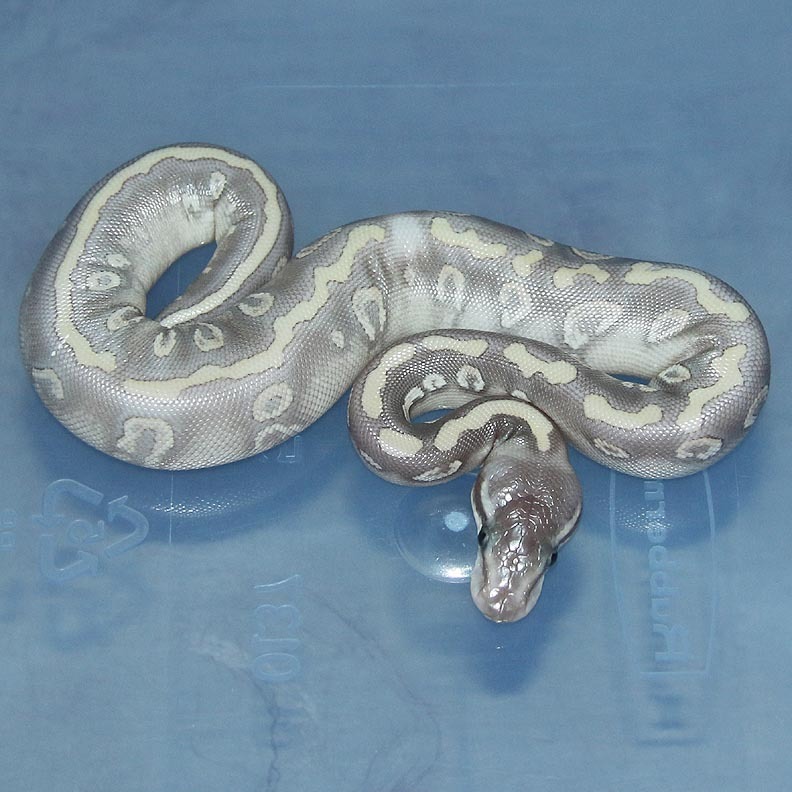 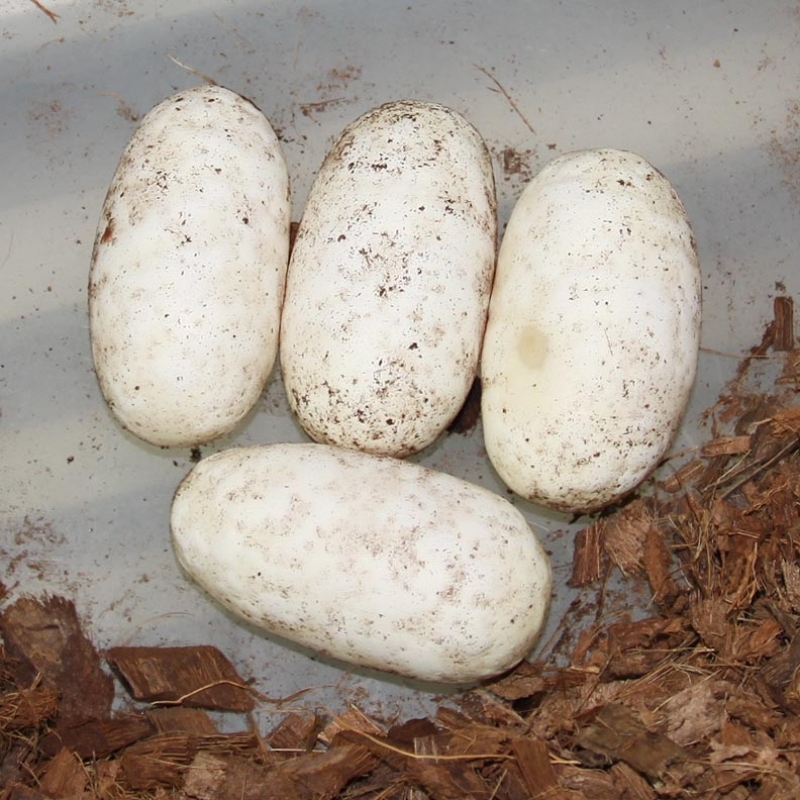 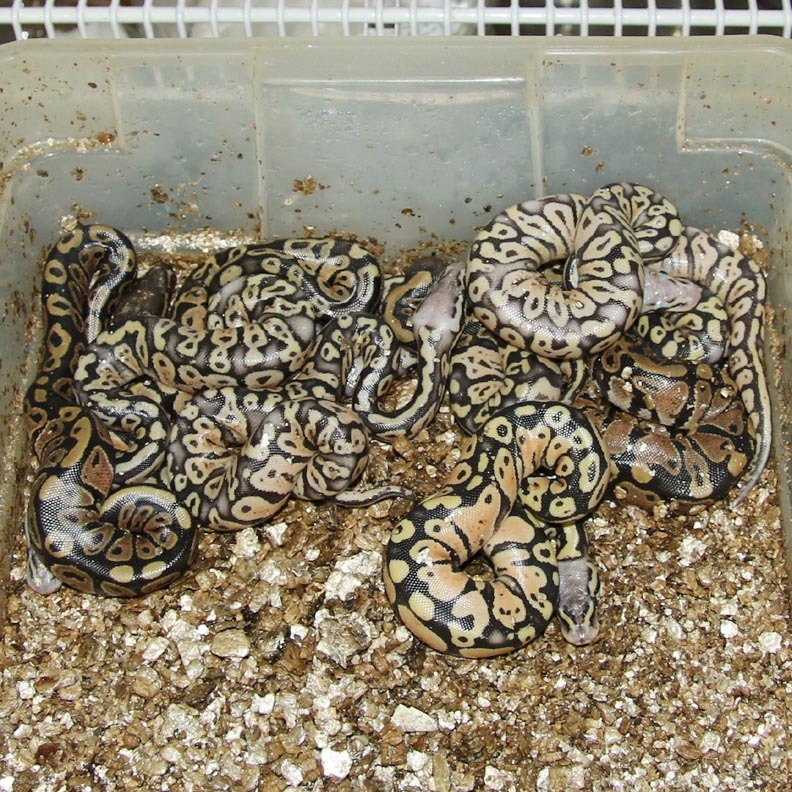 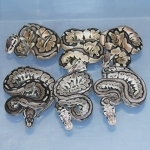 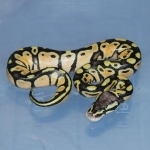 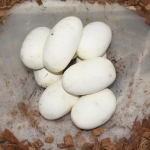 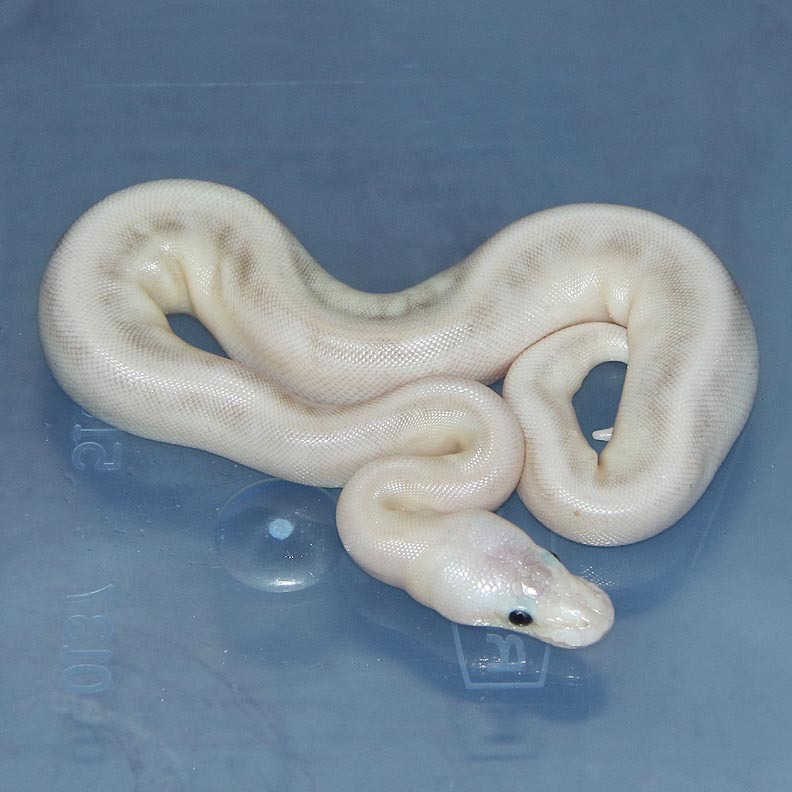 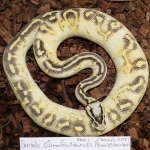 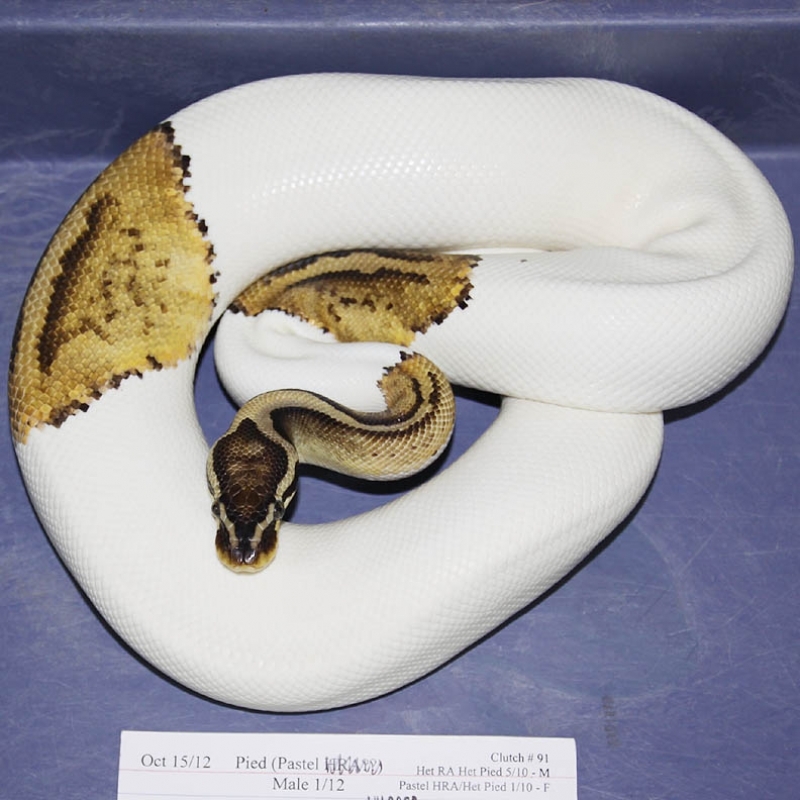 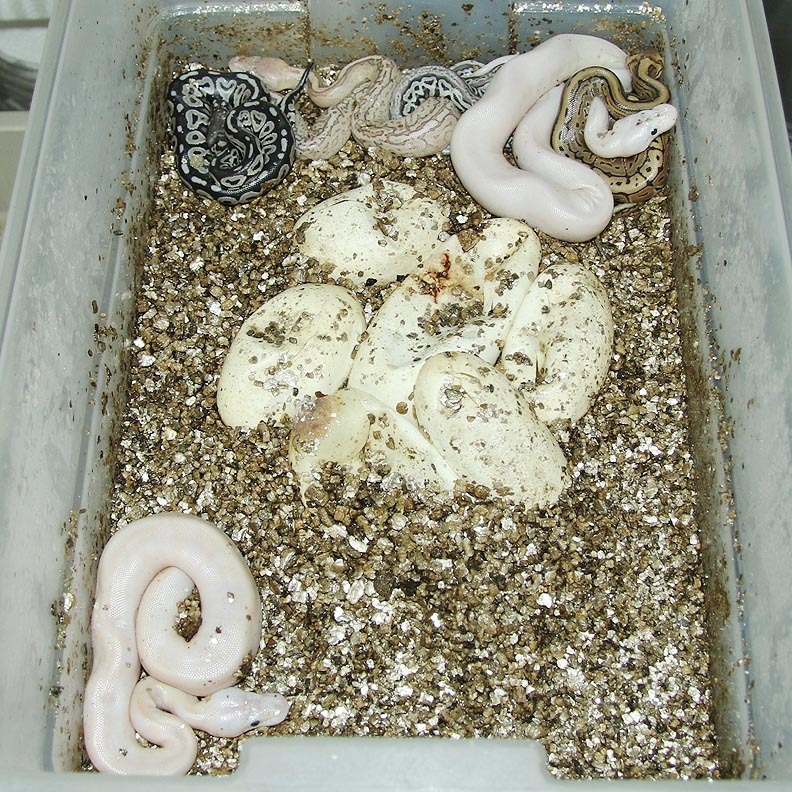 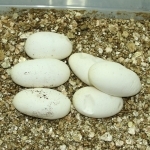 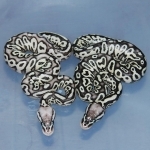 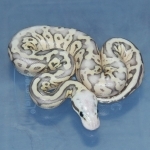 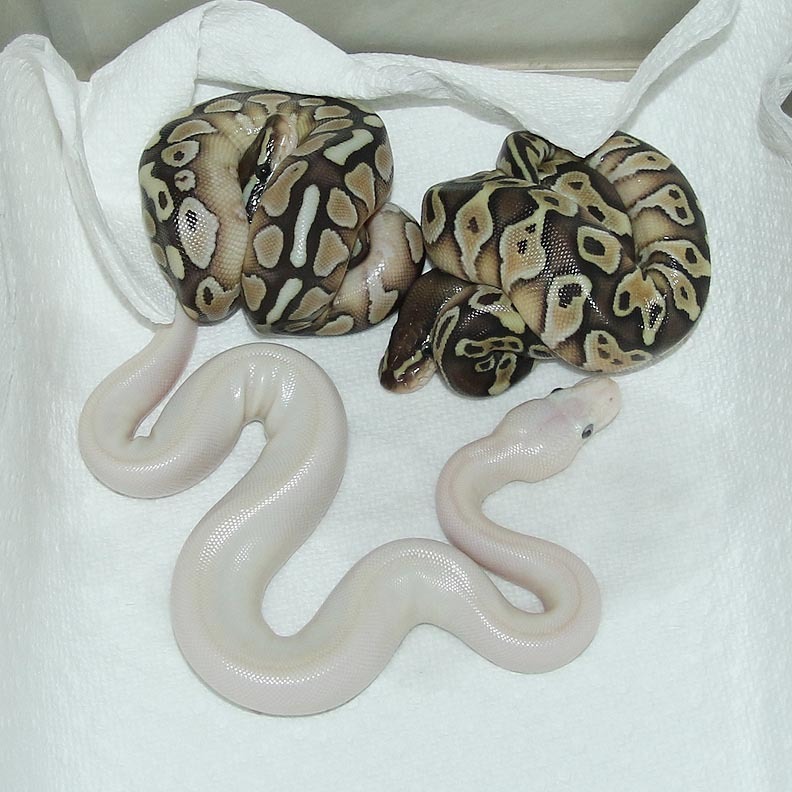 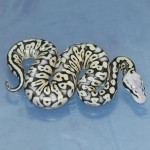 Description: Pastel Pied 1/12 x Het RA/Pied 2/10. 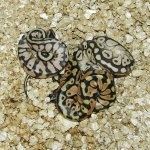 Description: POG HRA YB 1/13 x POG YB 2/13. 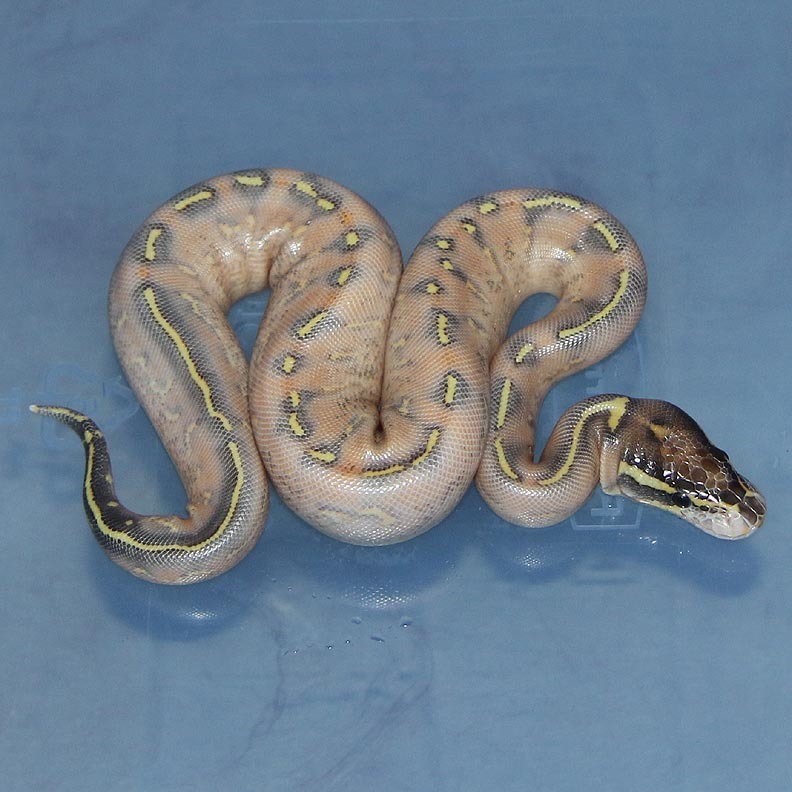 Description: Mutation X Pastel Genetic Stripe 1/13 x Lesser Genetic Stripe HRA 1/12. 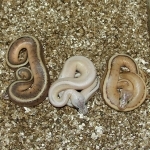 Description: Lesser Caramel 1/12 x Lesser YB HRA 3/12. 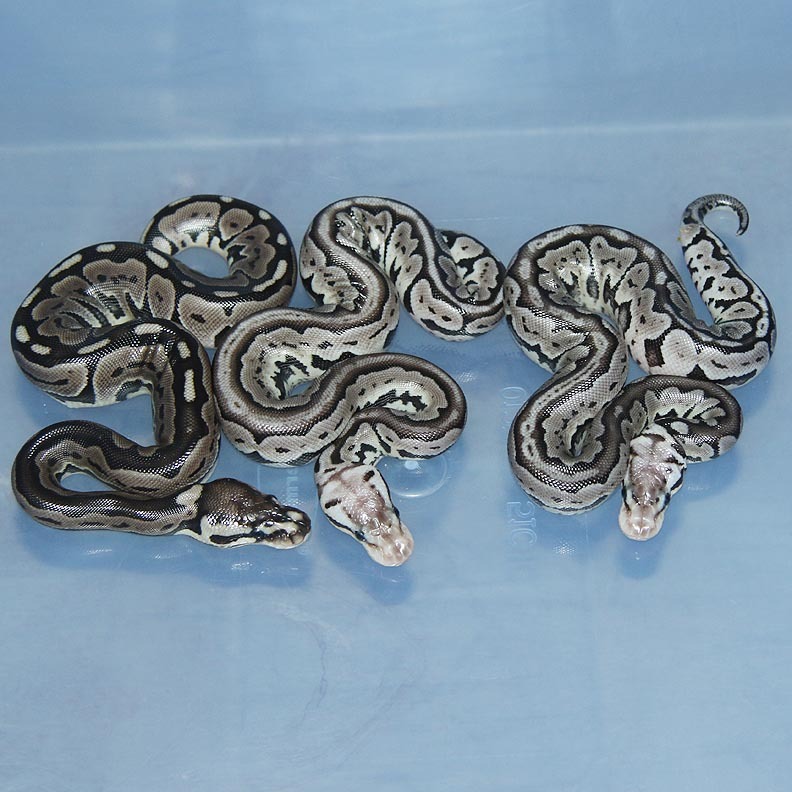 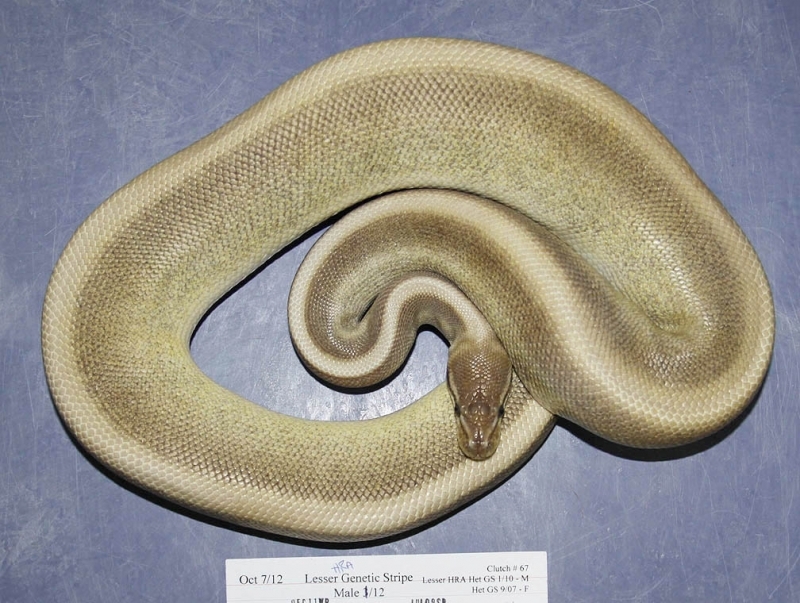 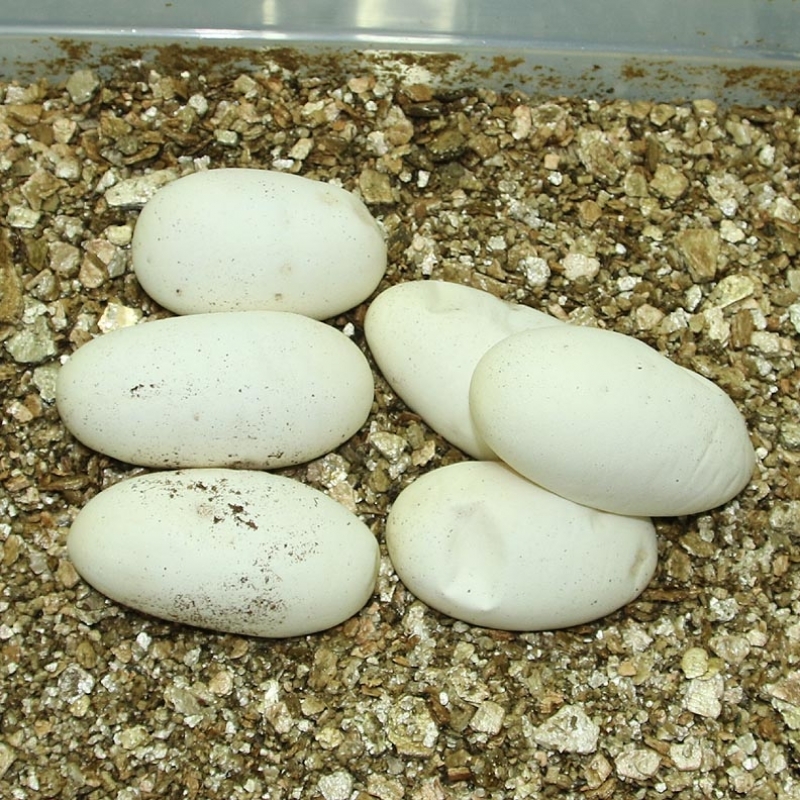 Description: Lavender HRA 1/13 x Lesser Het RA Het Lavender PHGS 1/12. Description: Toffino HRA 1/12 x Chocolate HRA 3/11. 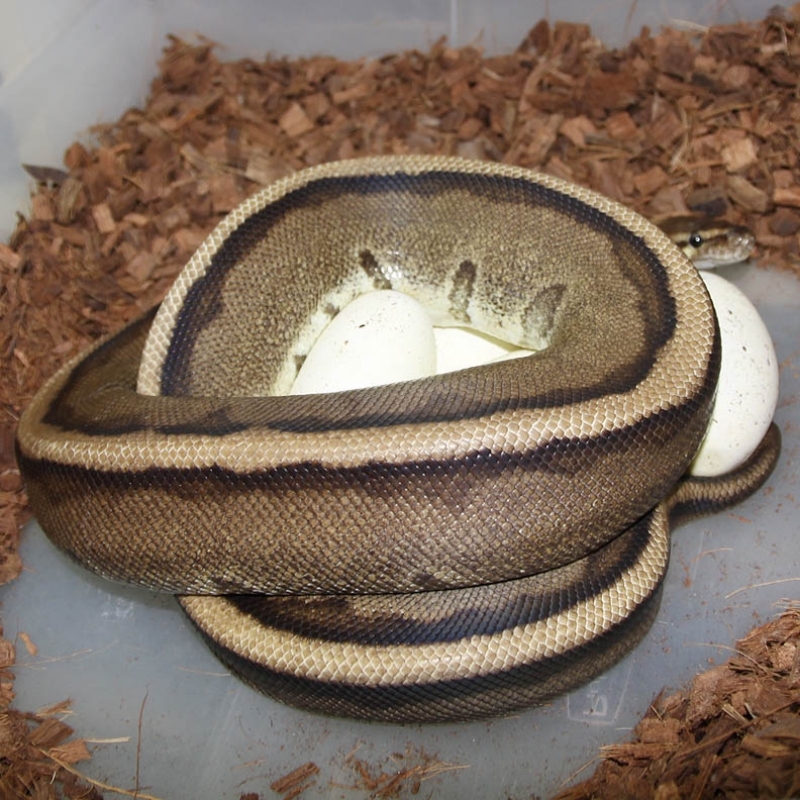 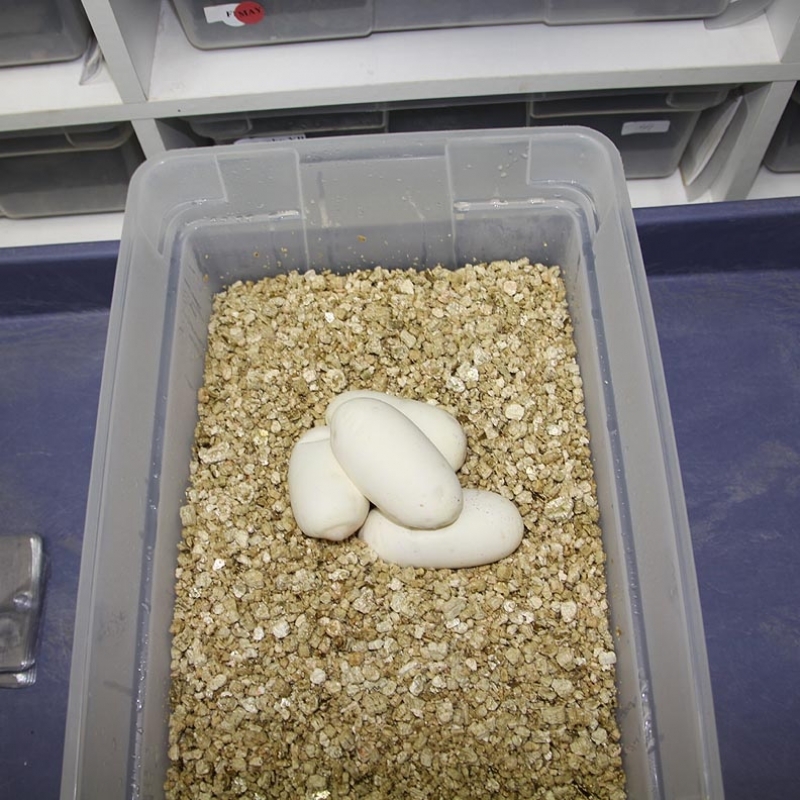 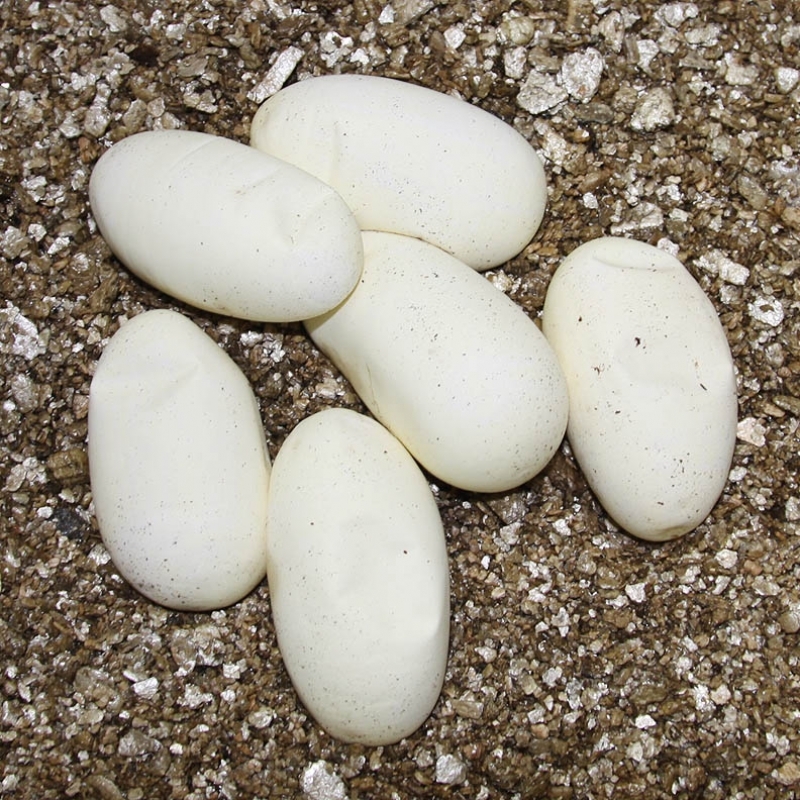 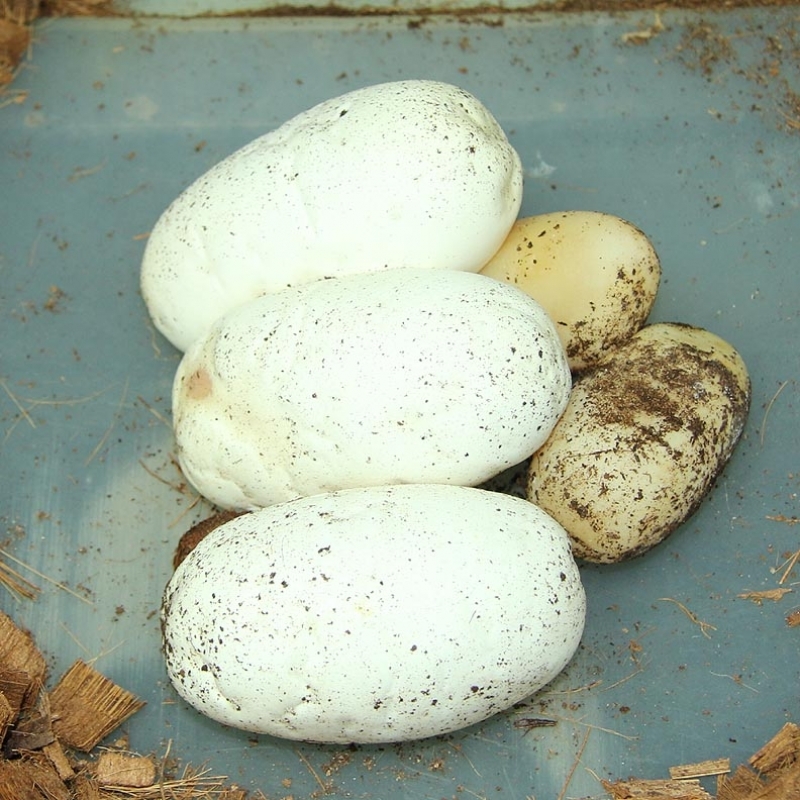 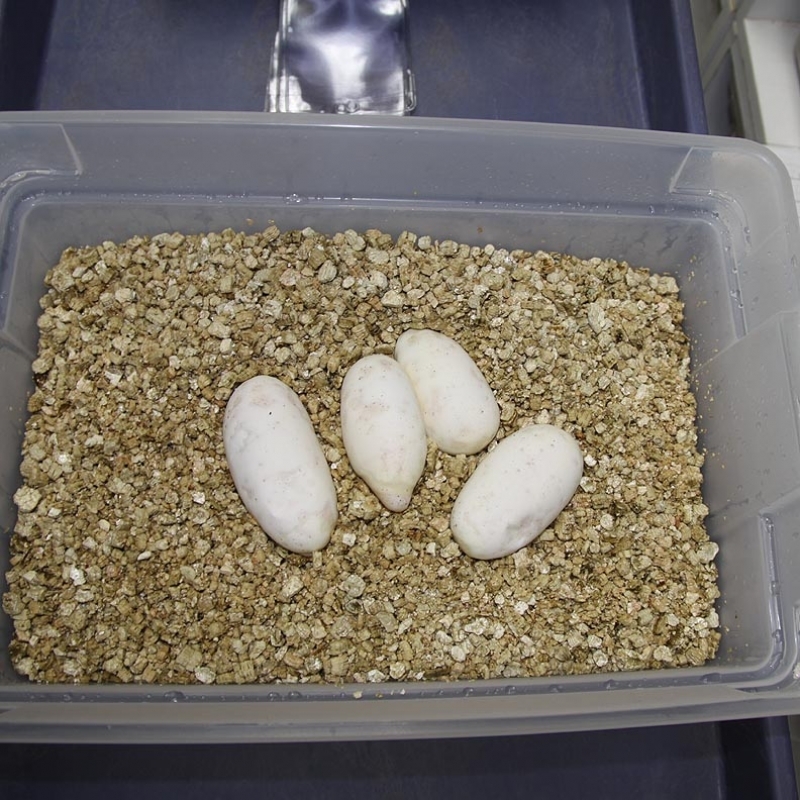 This is the last clutch to hatch of the season. 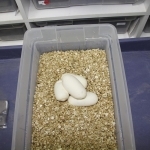 It is always a little sad shutting off the incubator for the year. 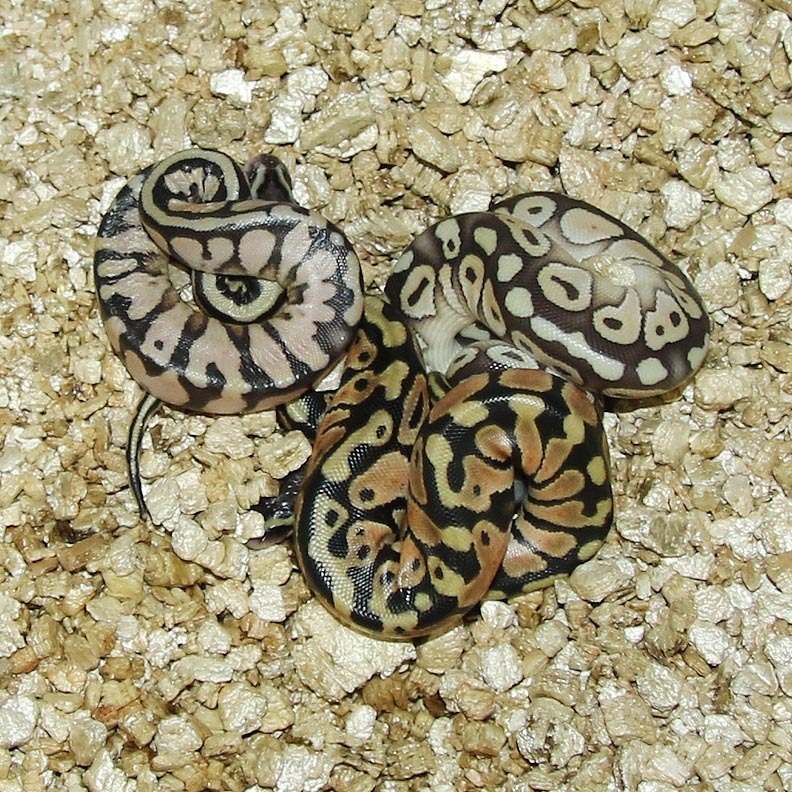 However, we did have a great season and hatched out some stunning animals! 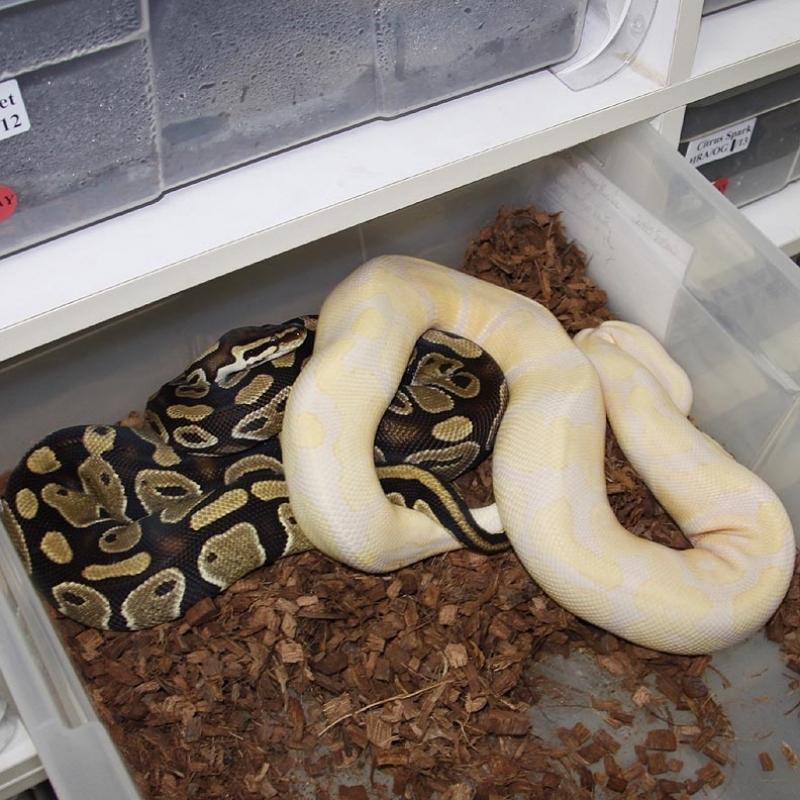 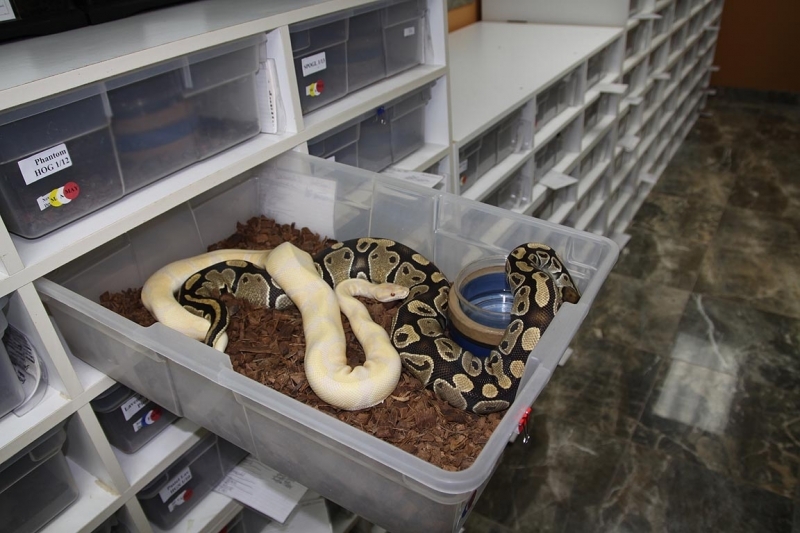 Thank you to everyone who purchased animals from Corey Woods Reptile in 2015!